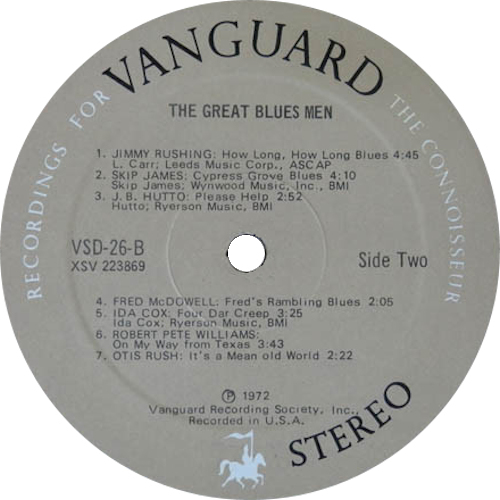 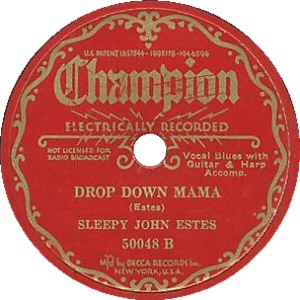 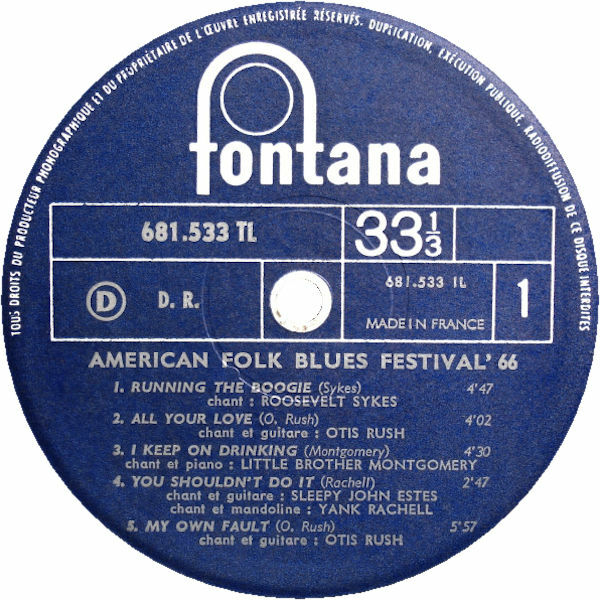 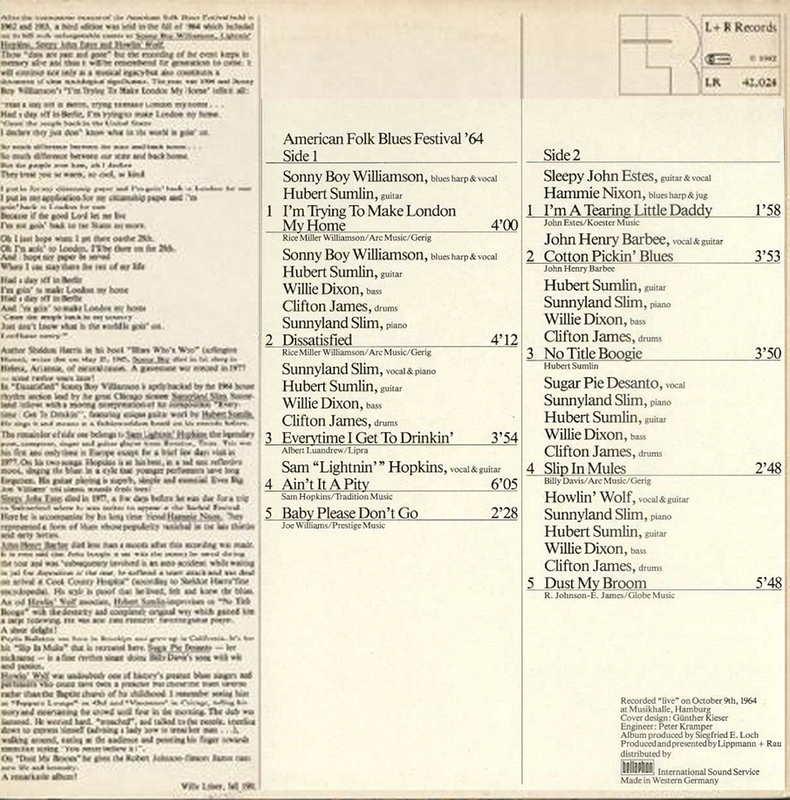 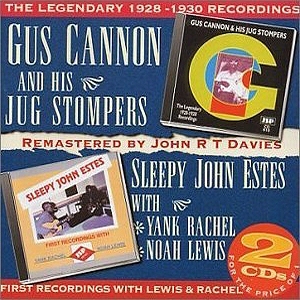 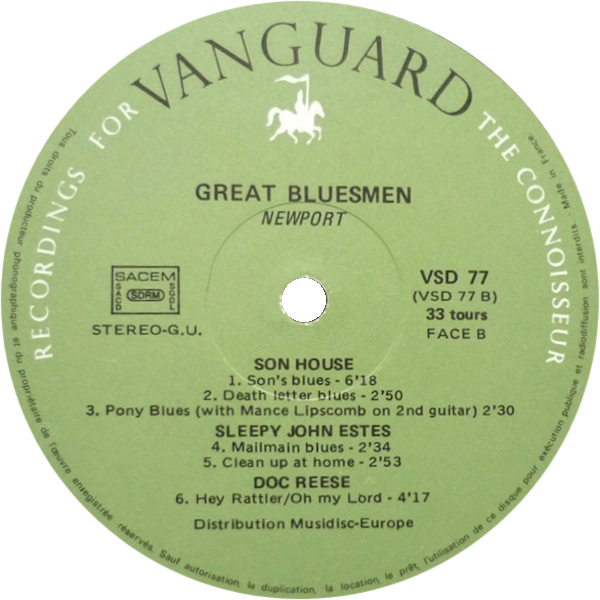 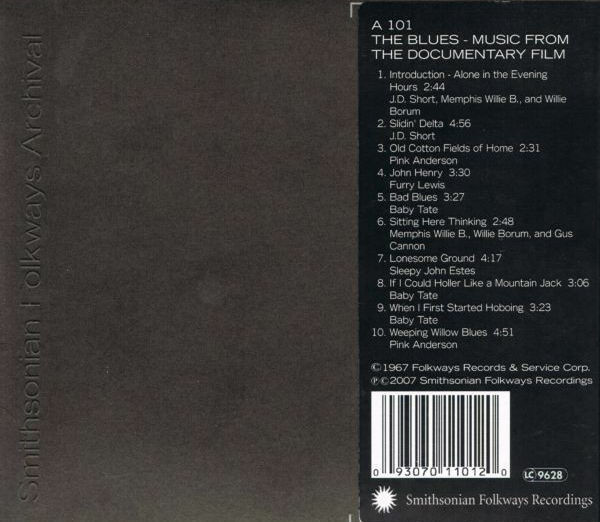 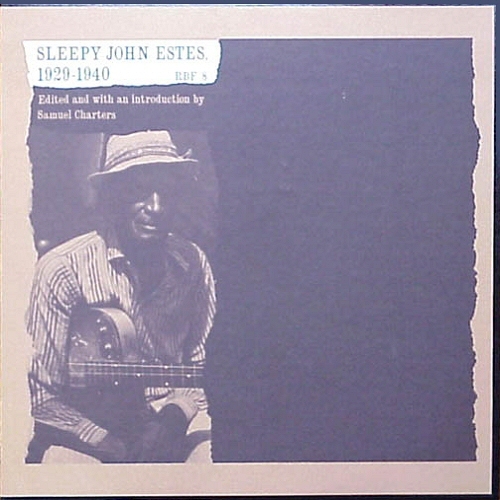 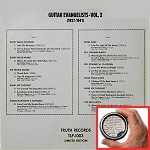 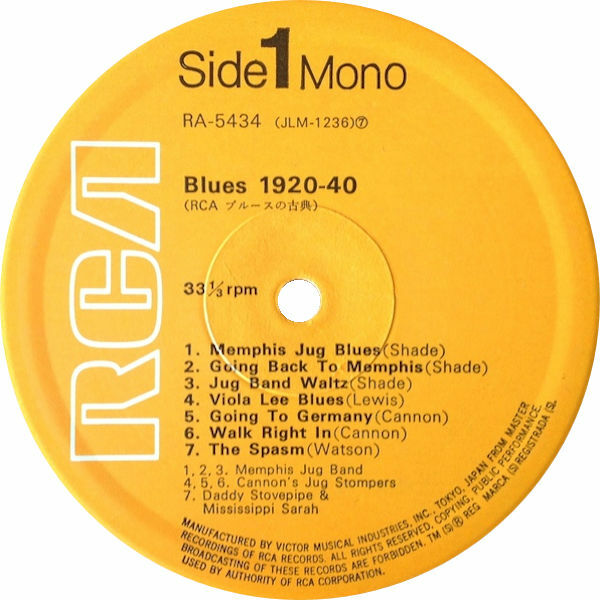 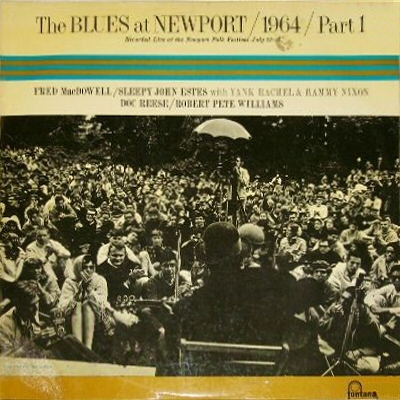 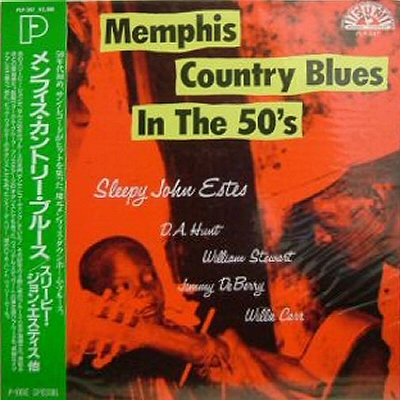 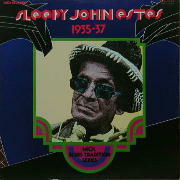 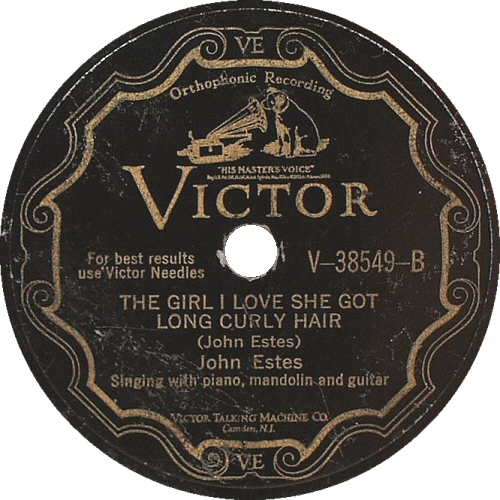 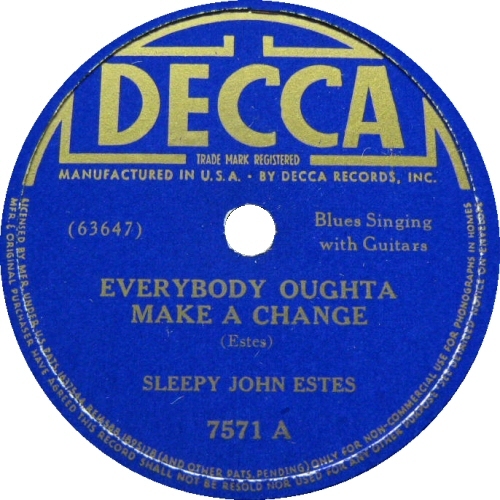 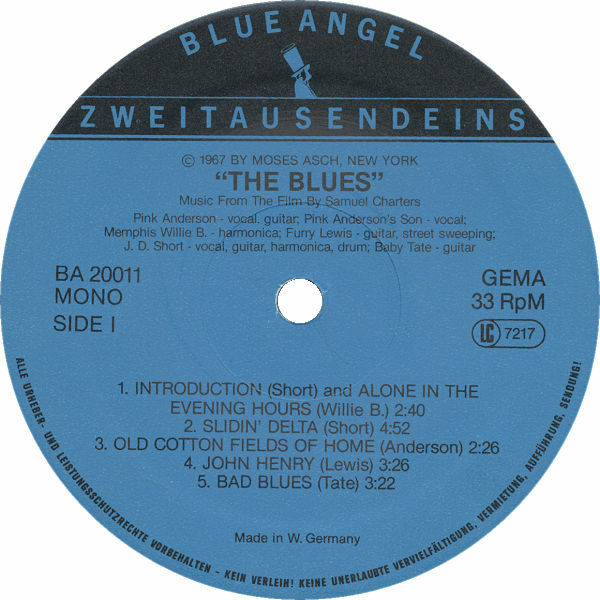 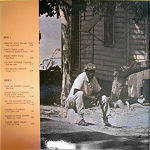 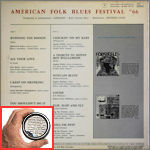 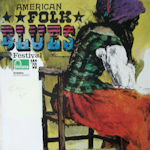 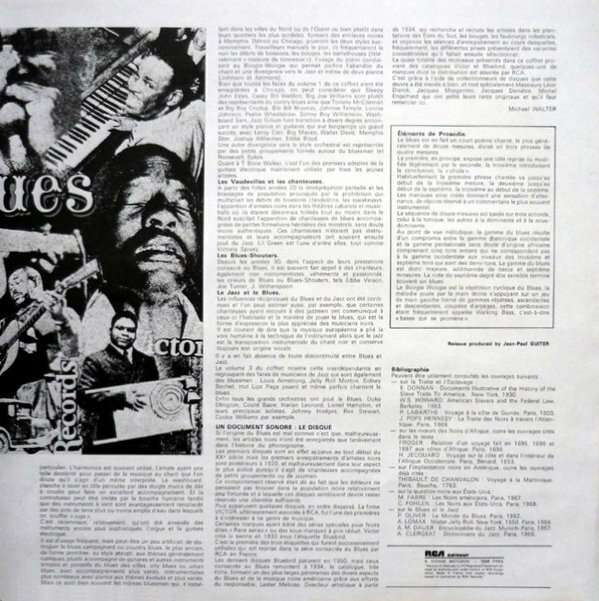 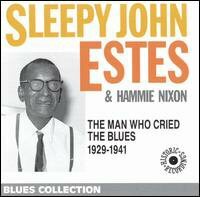 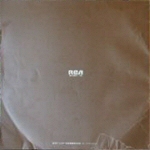 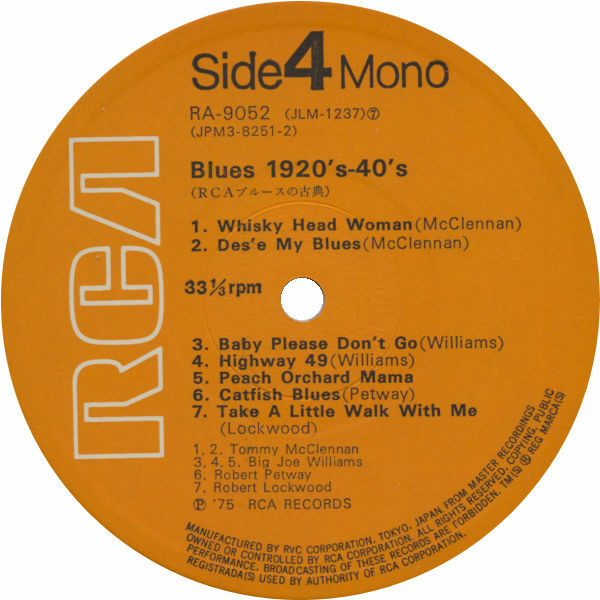 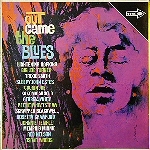 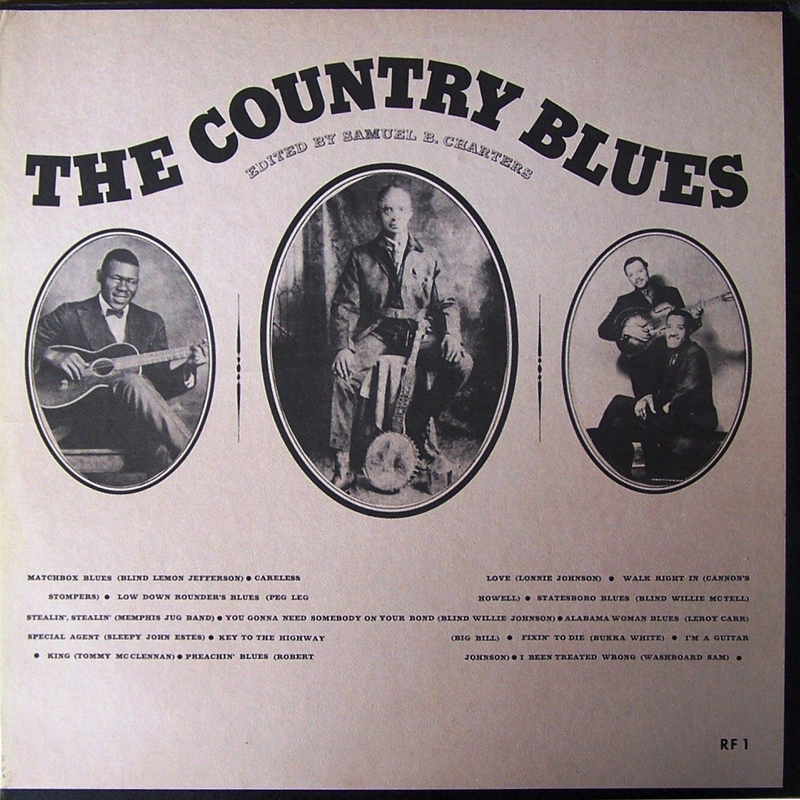 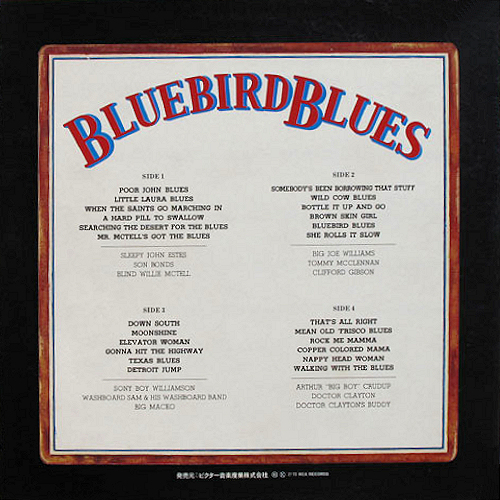 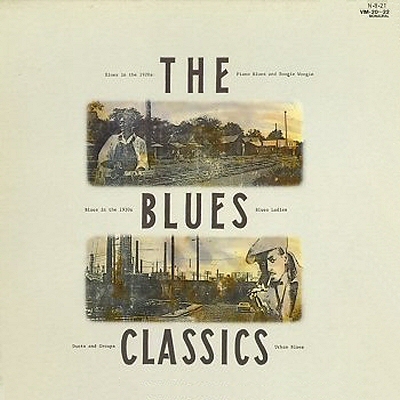 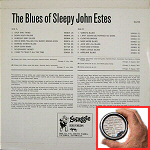 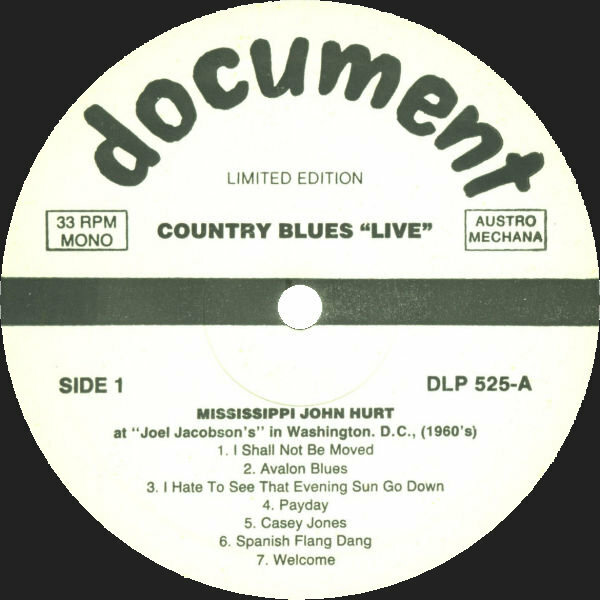 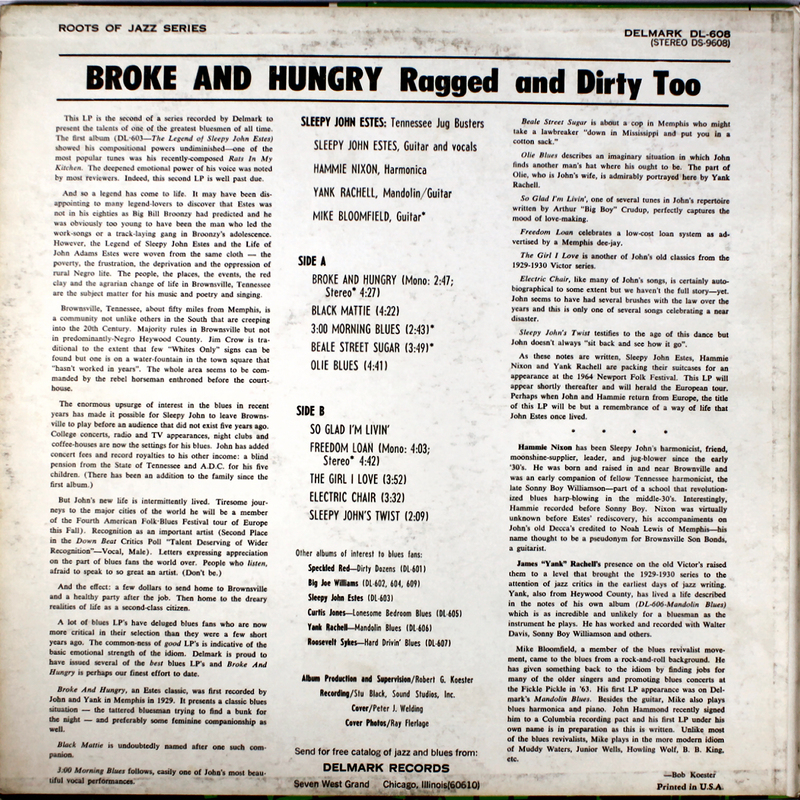 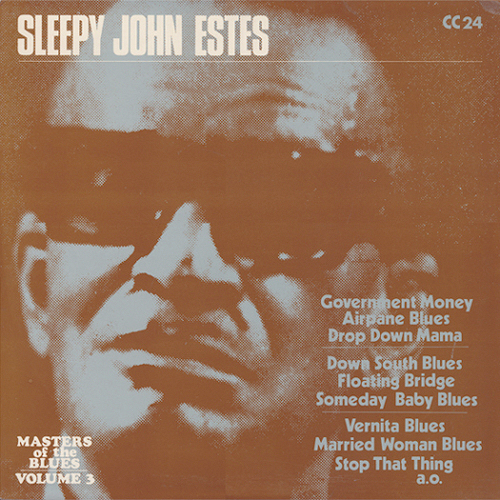 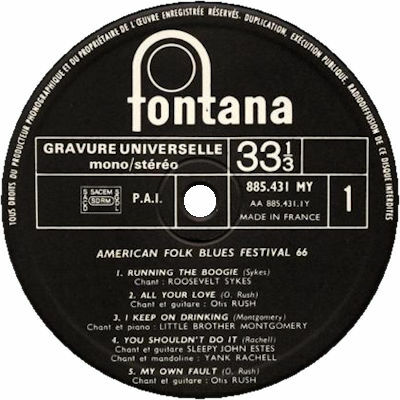 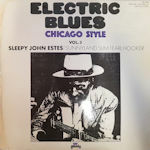 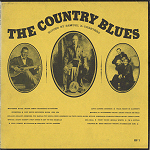 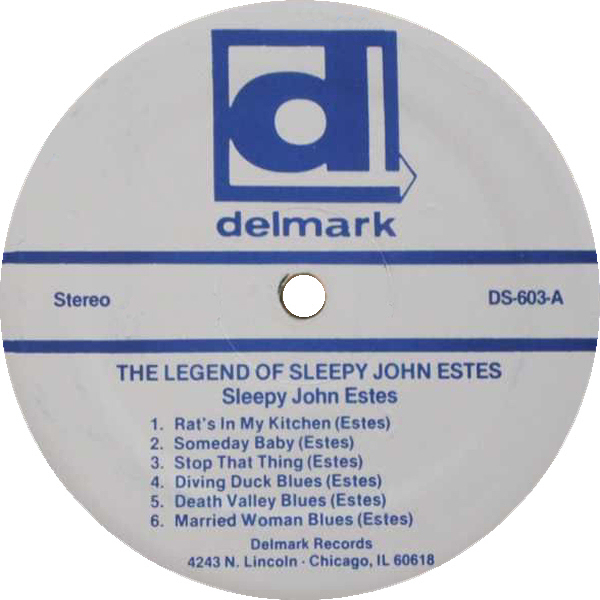 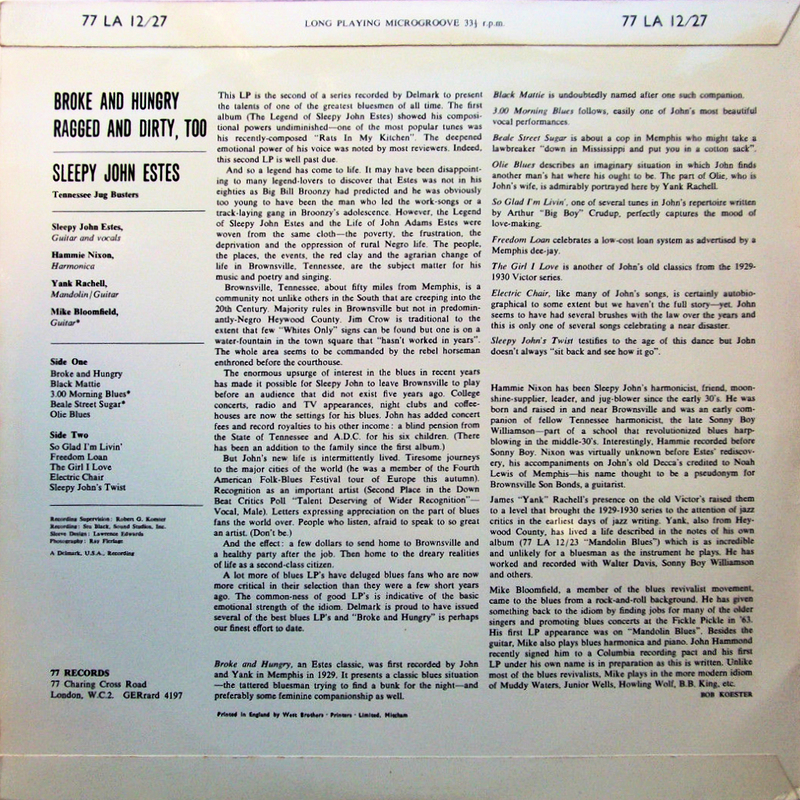 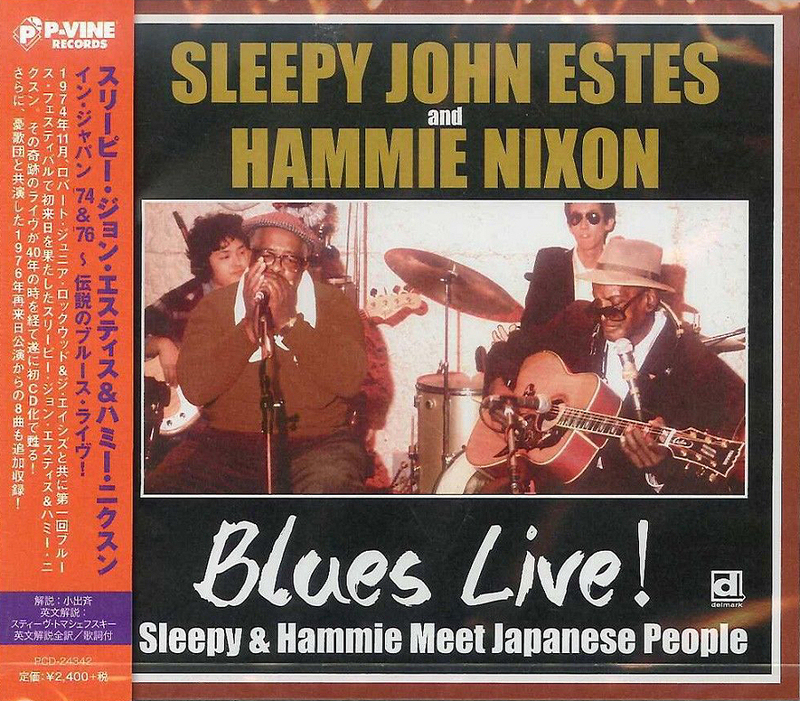 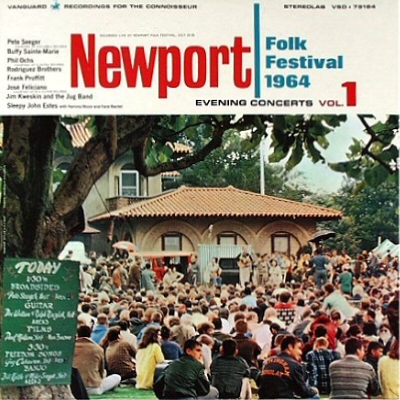 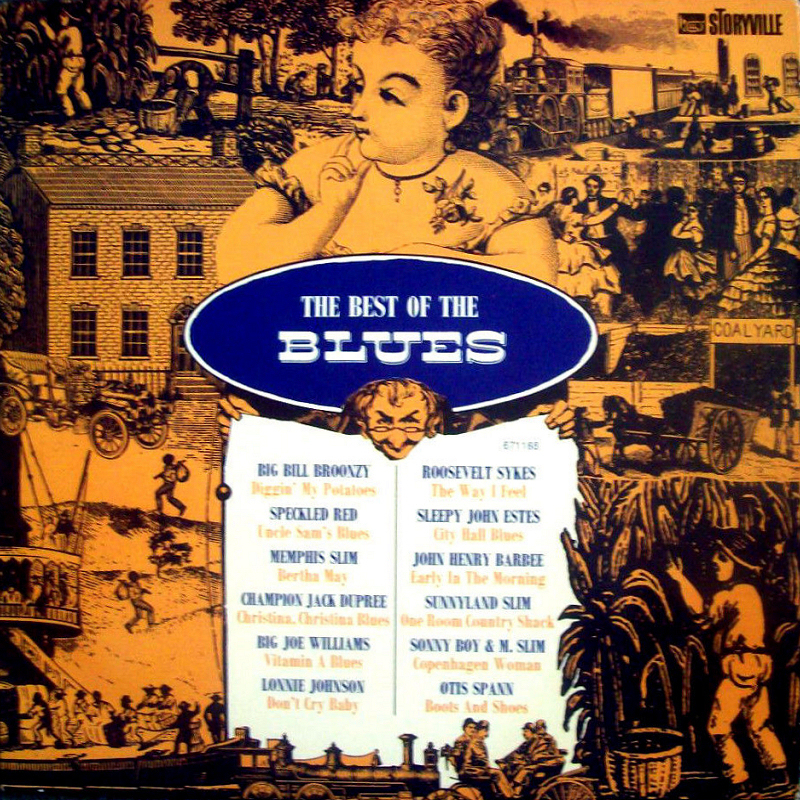 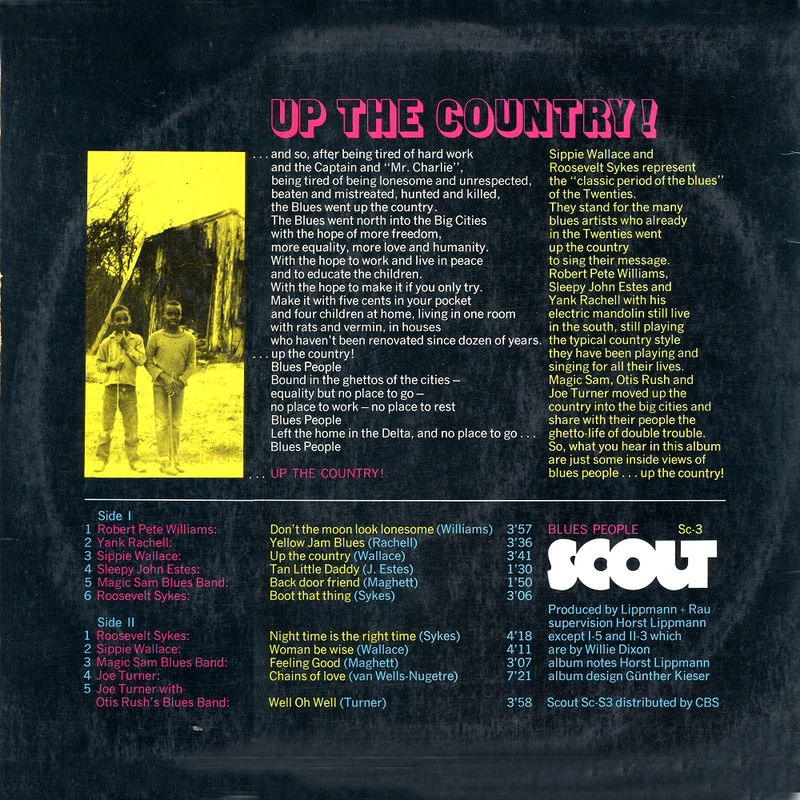 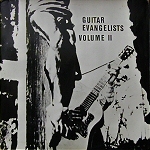 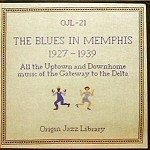 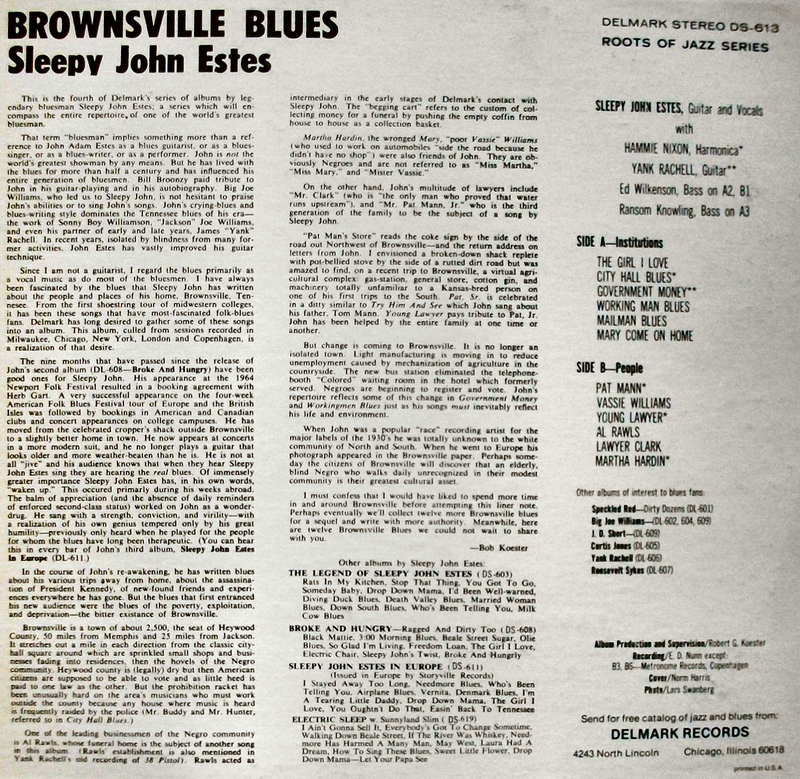 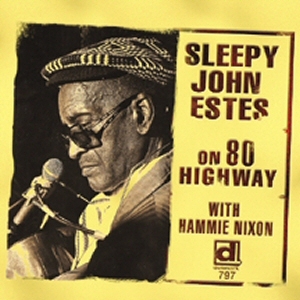 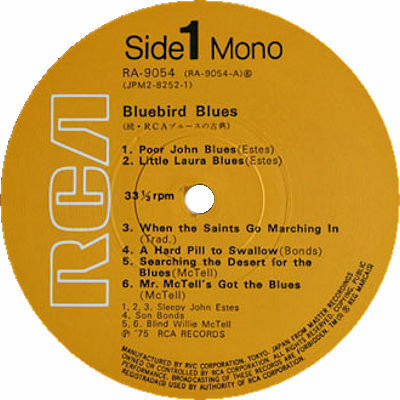 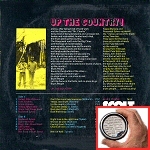 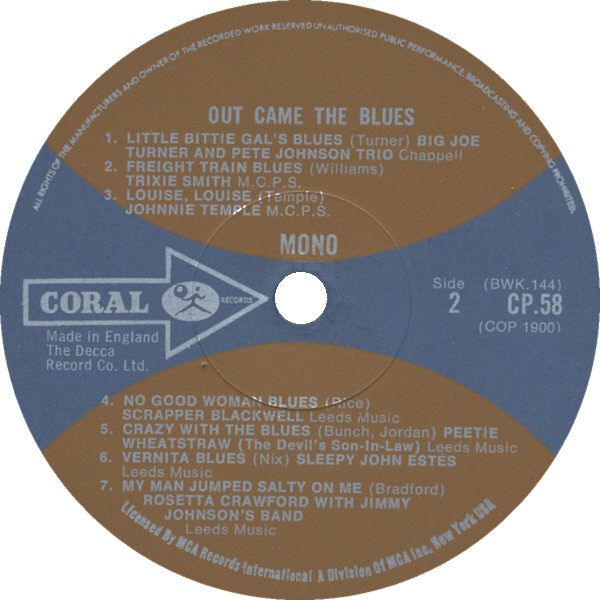 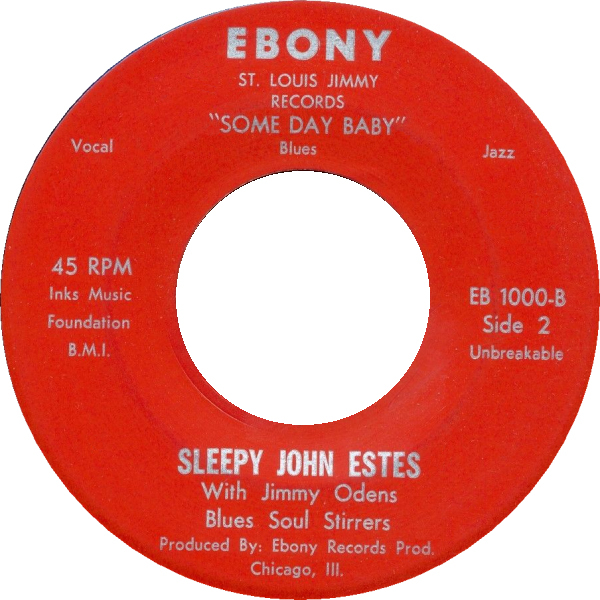 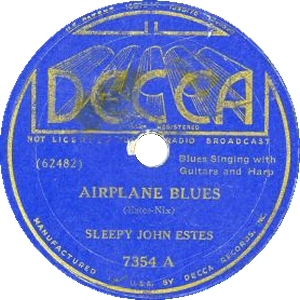 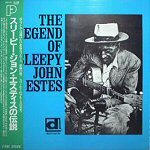 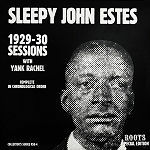 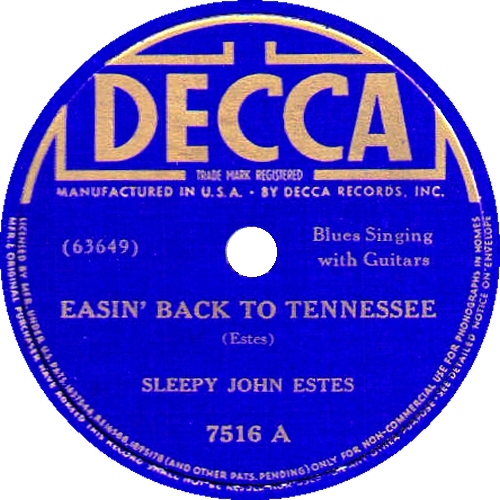 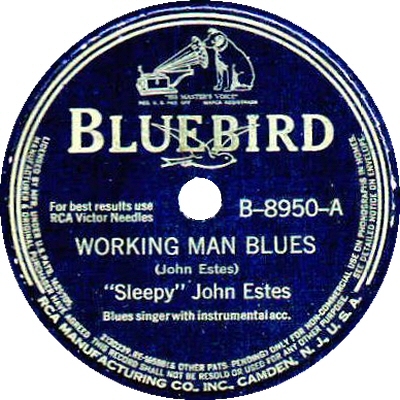 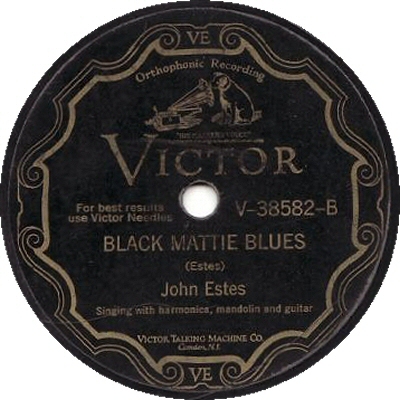 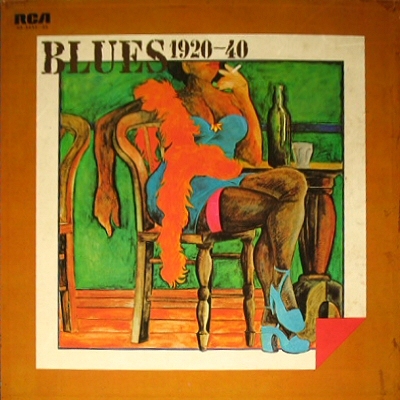 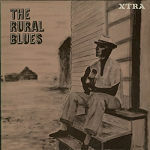 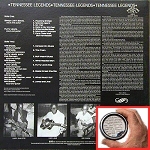 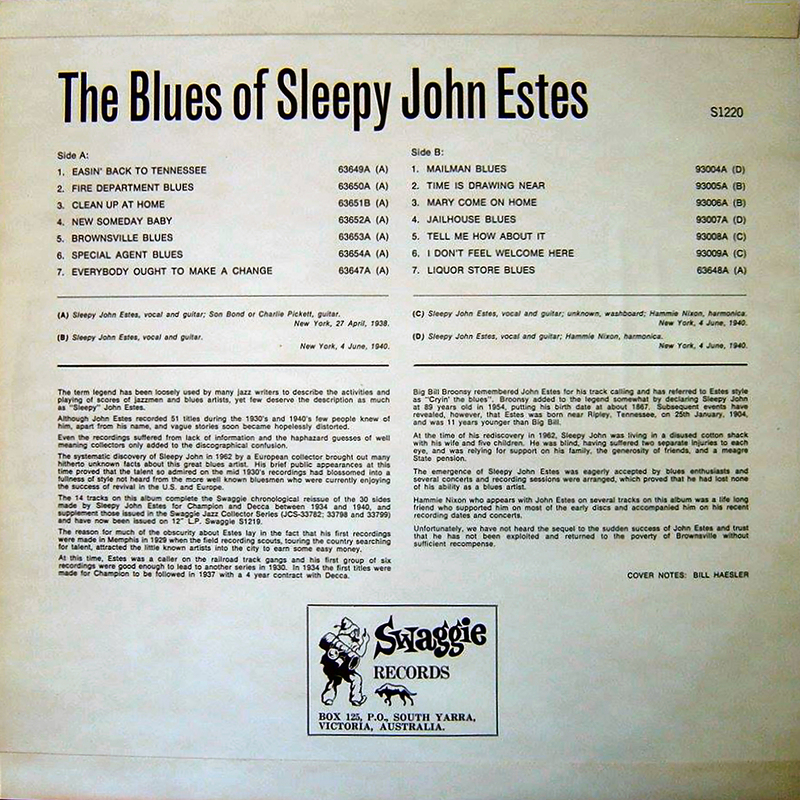 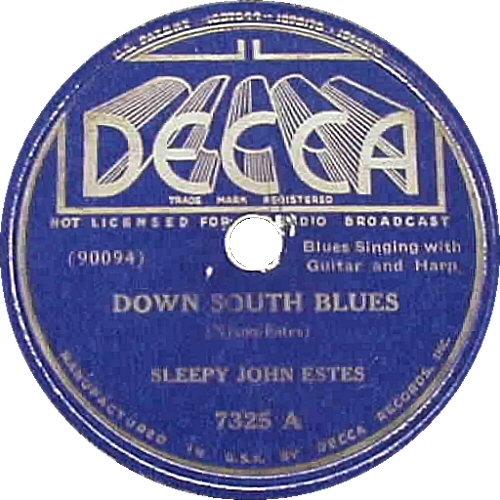 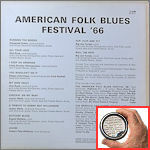 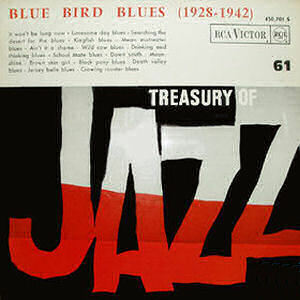 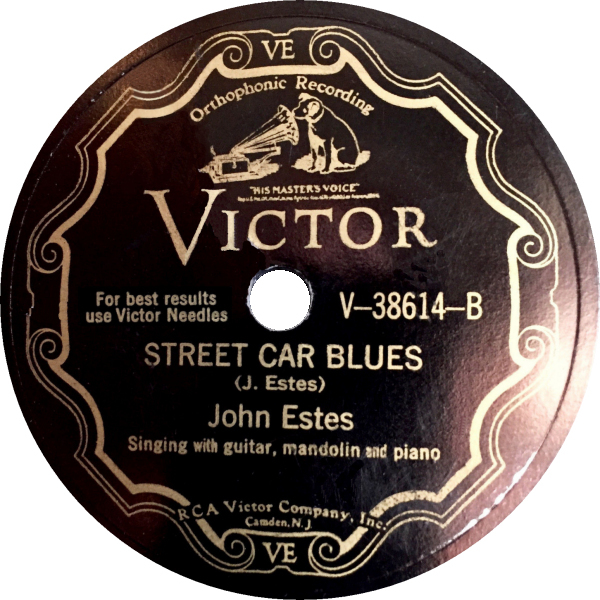 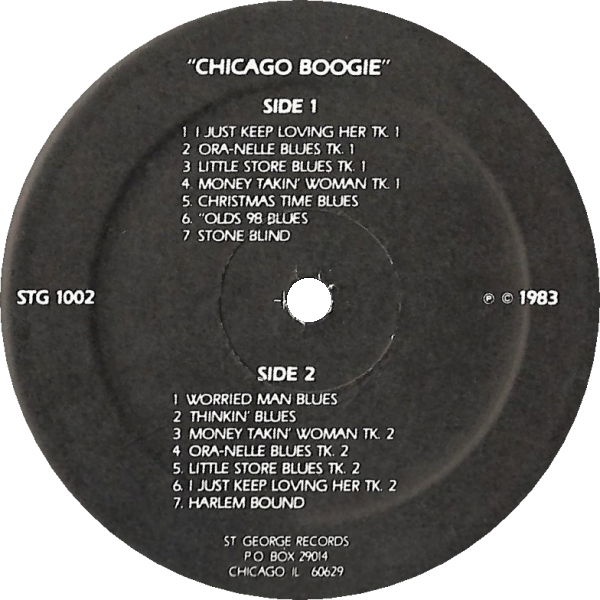 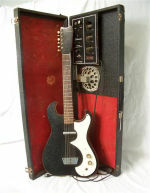 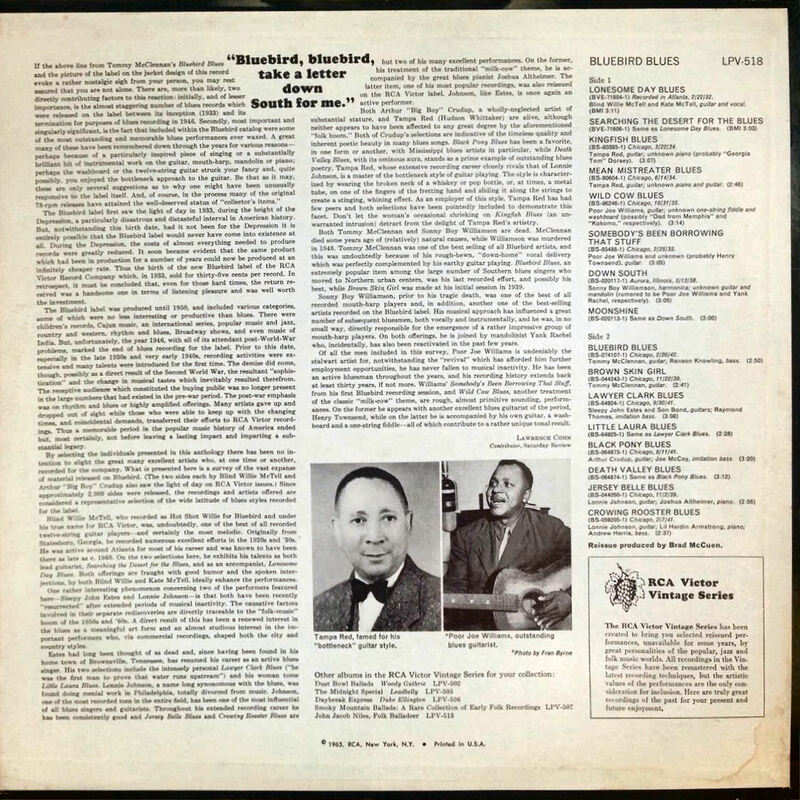 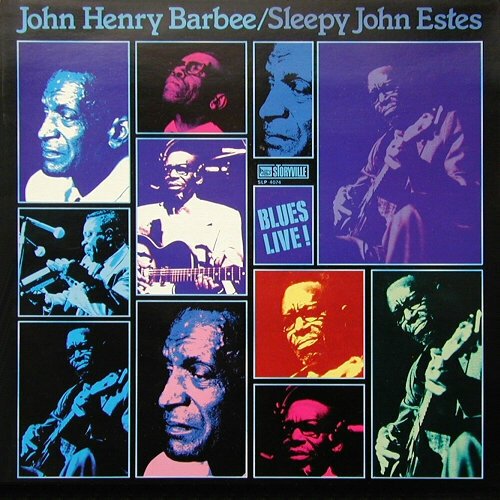 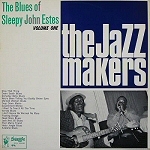 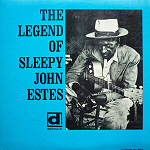 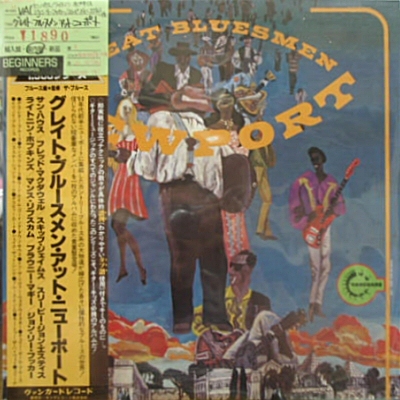 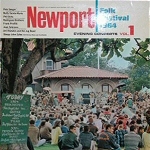 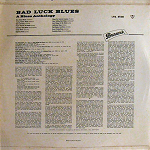 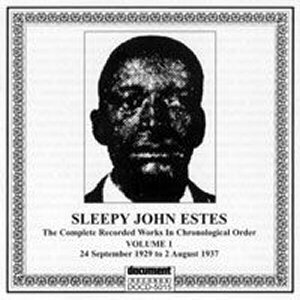 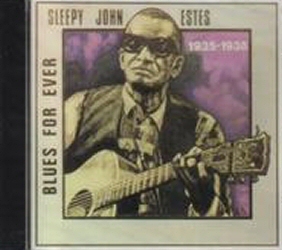 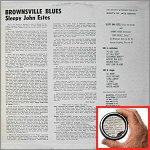 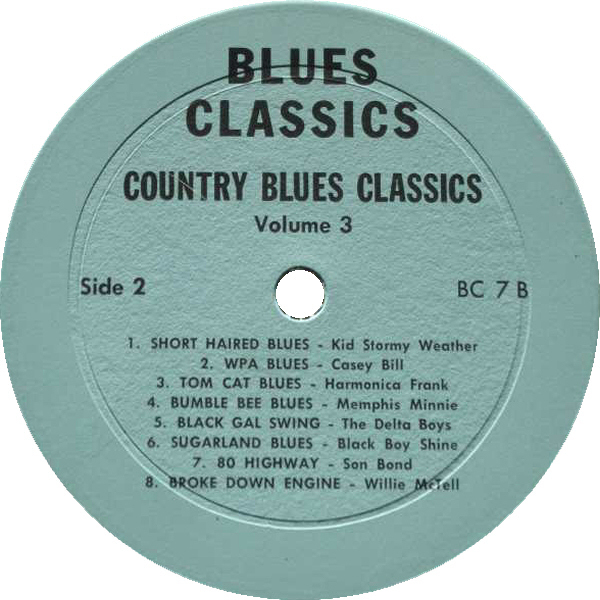 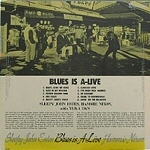 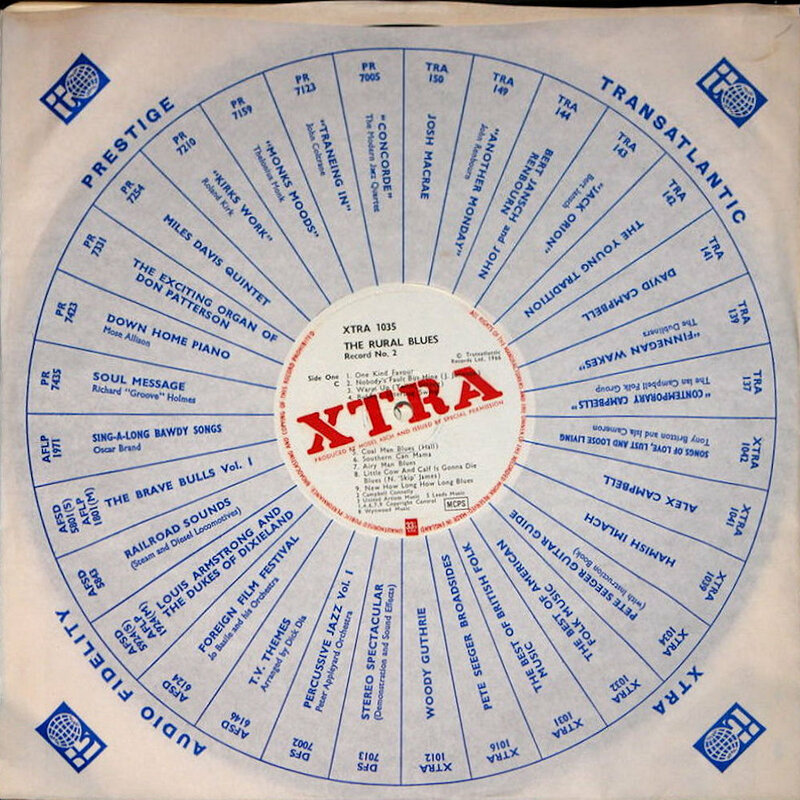 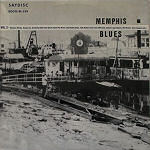 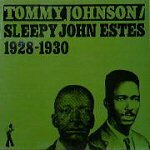 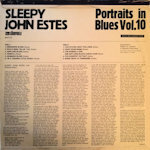 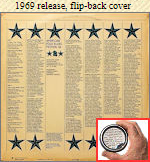 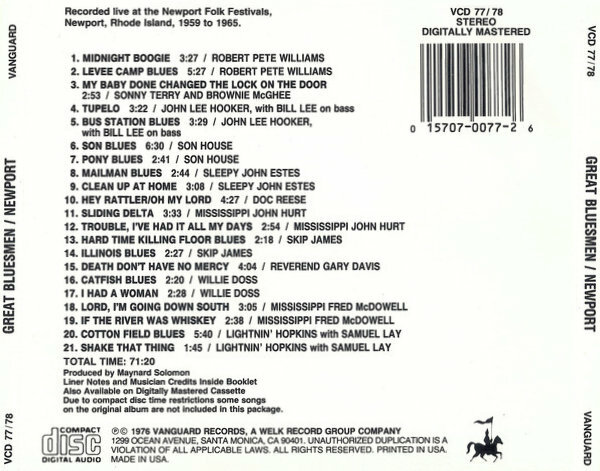 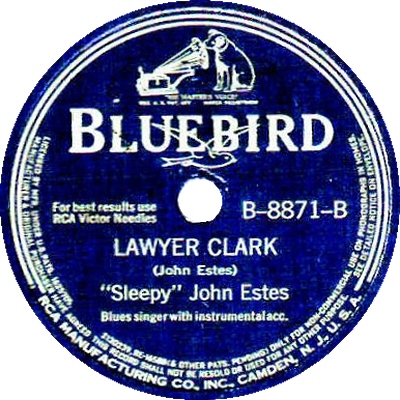 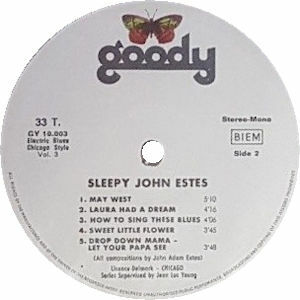 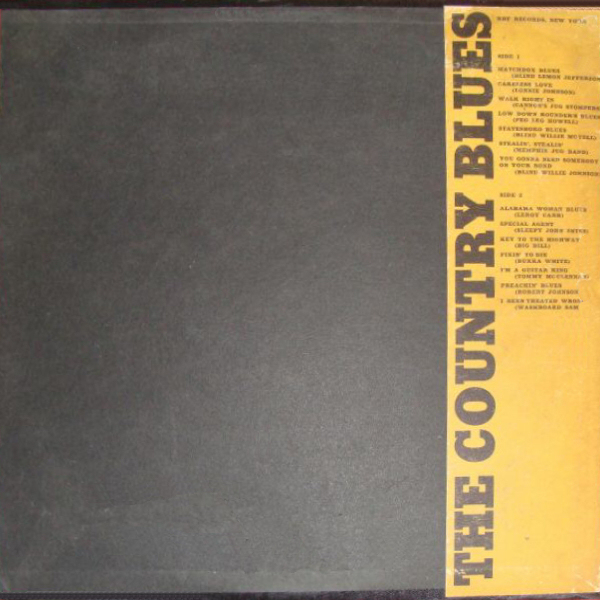 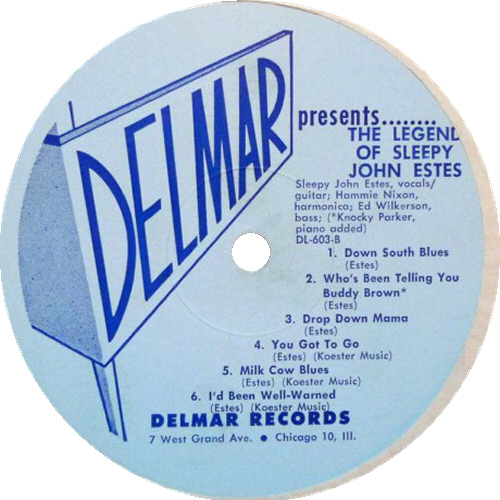 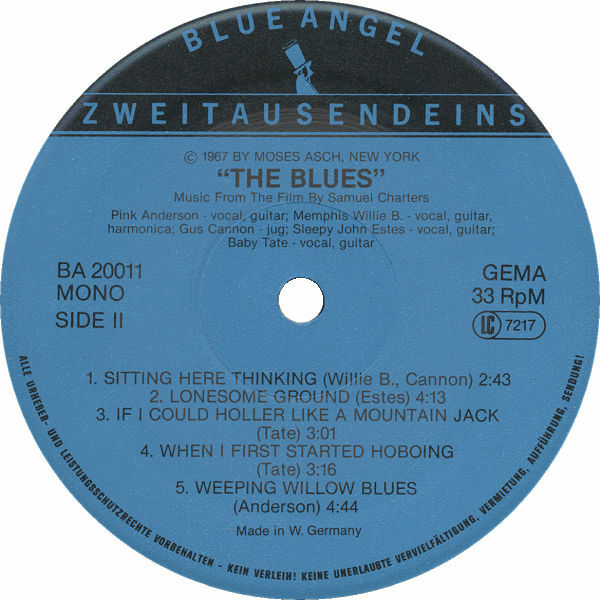 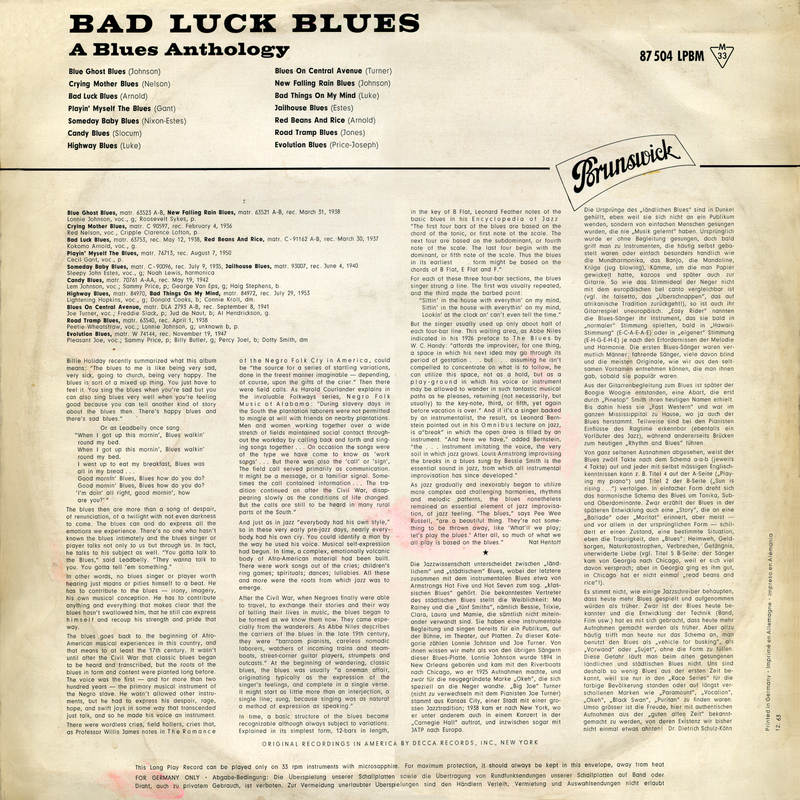 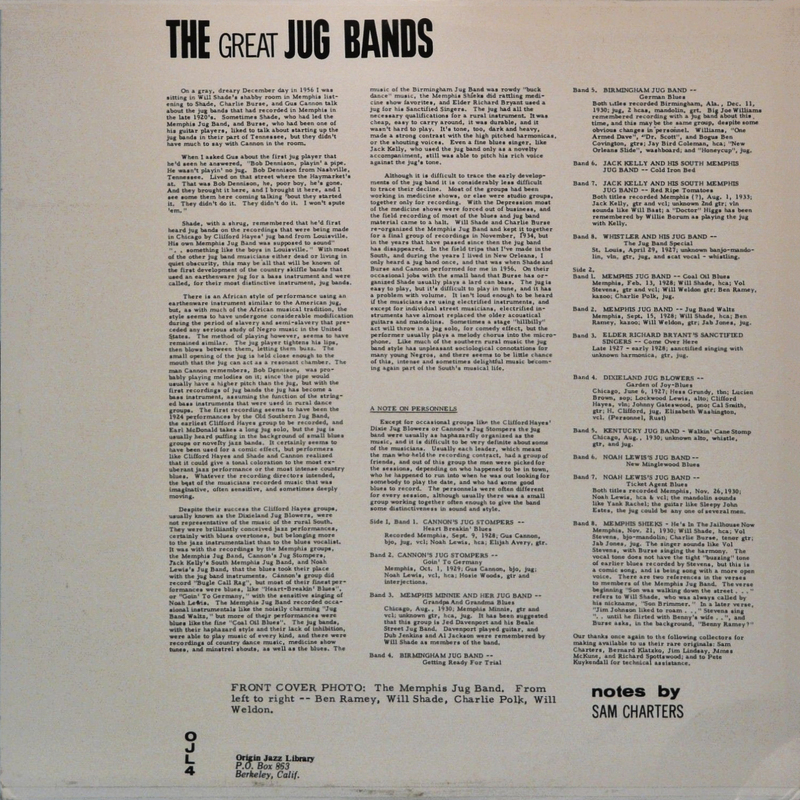 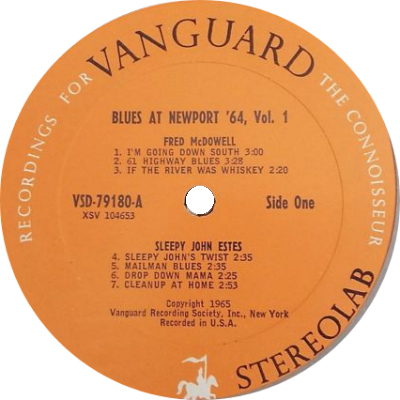 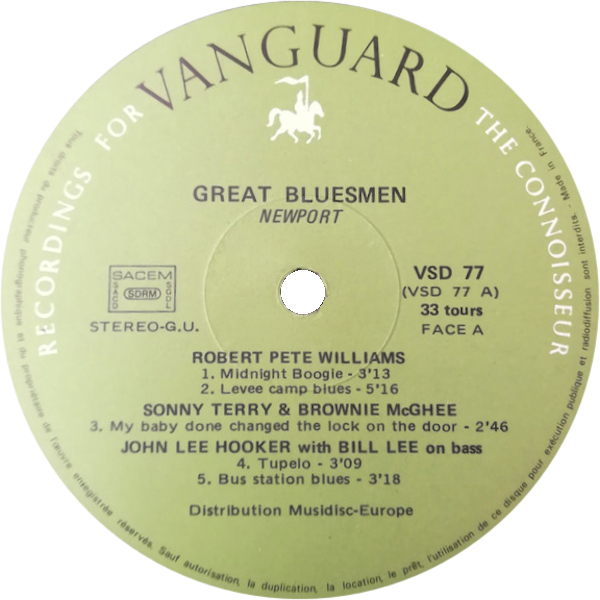 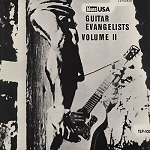 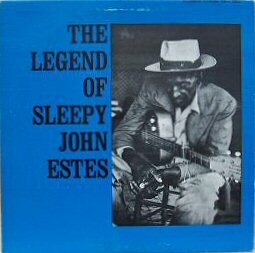 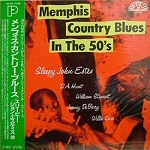 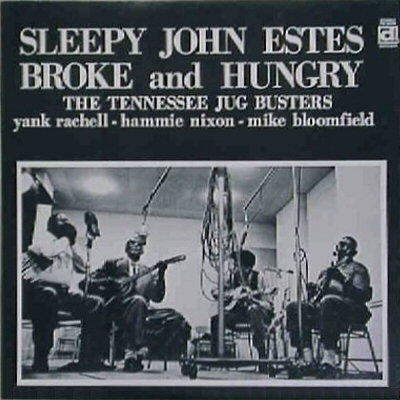 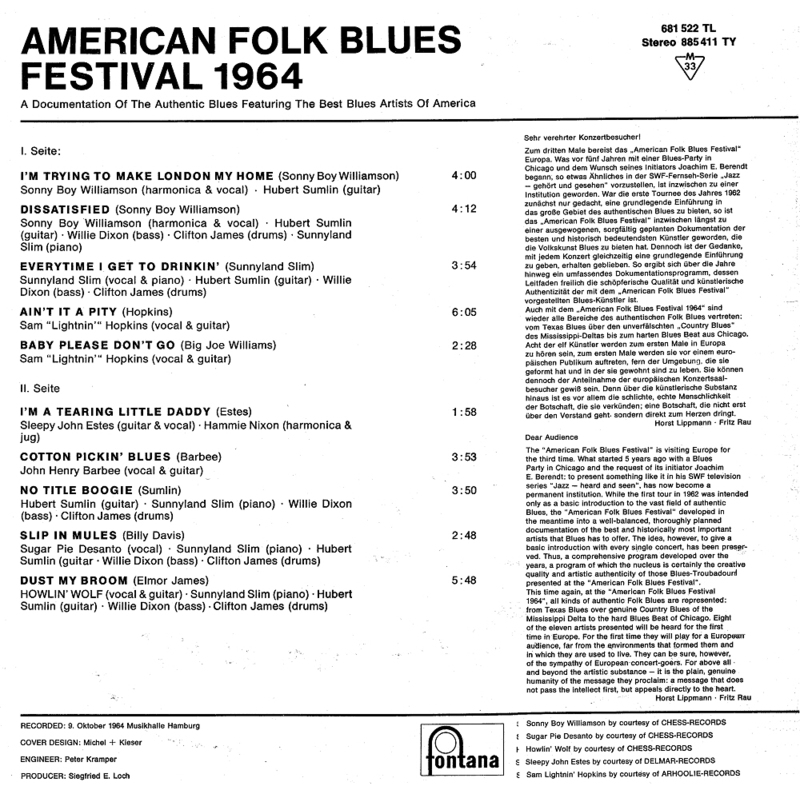 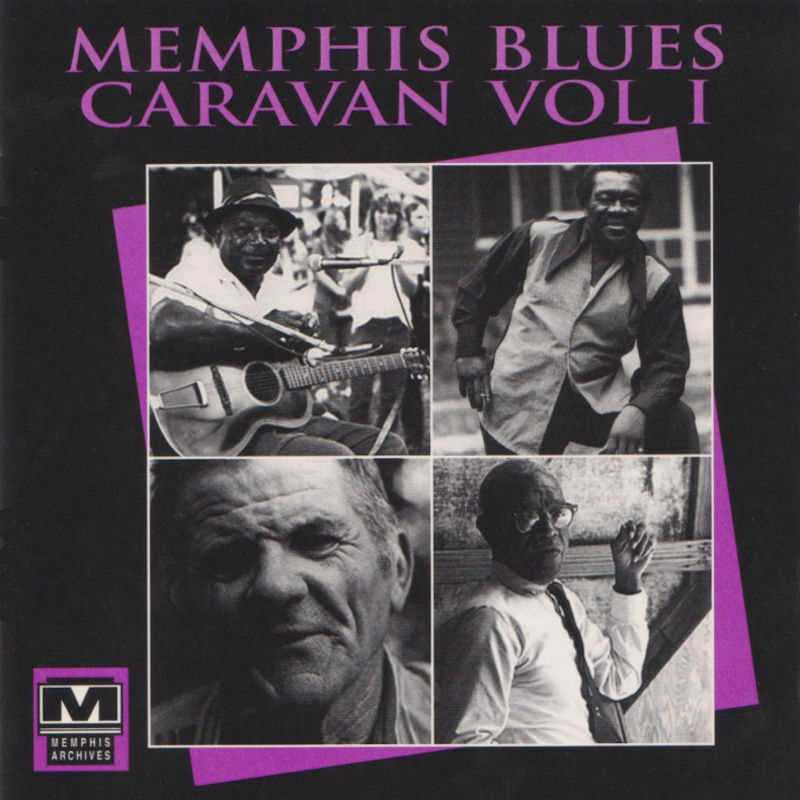 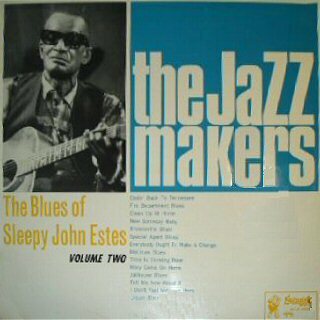 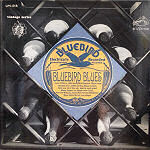 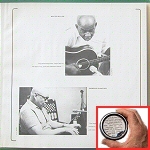 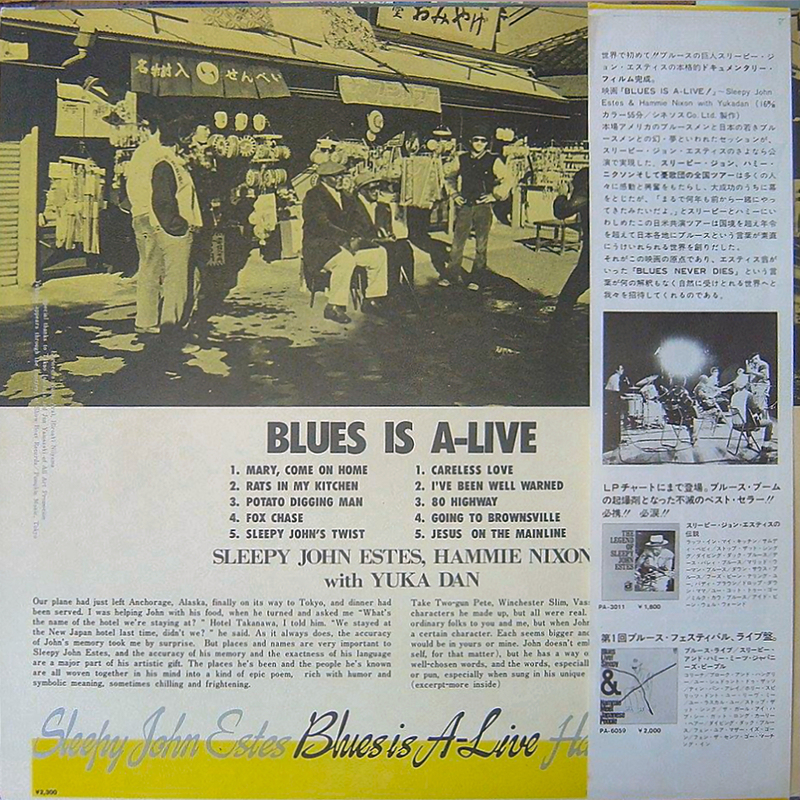 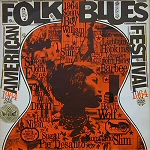 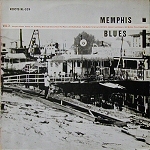 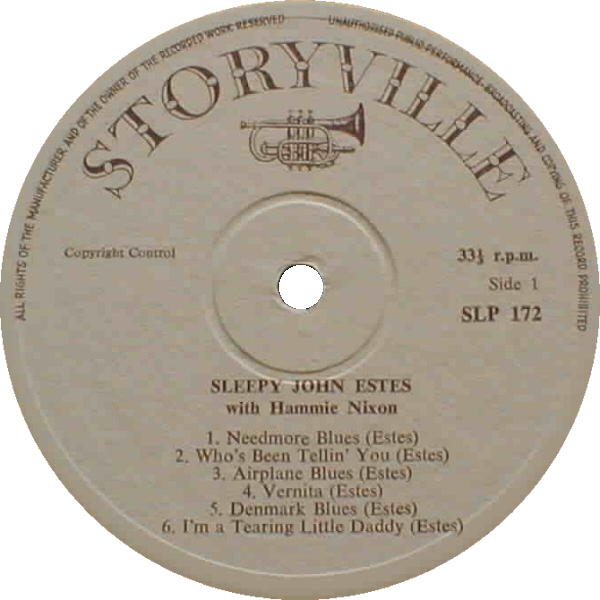 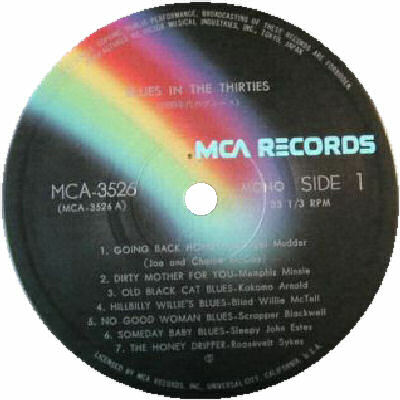 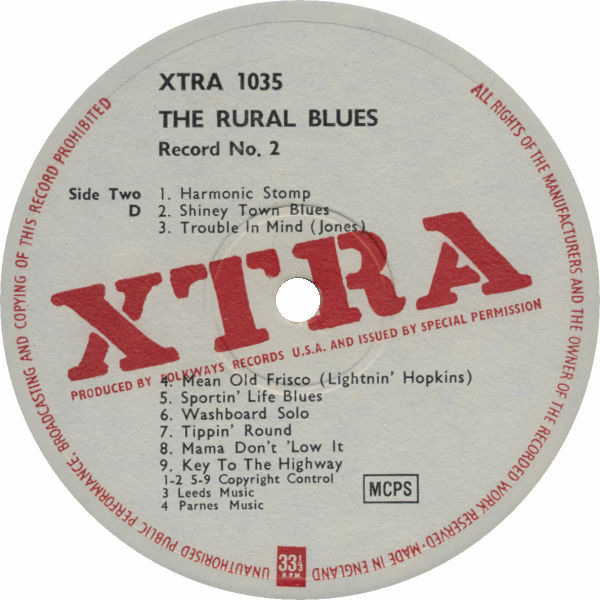 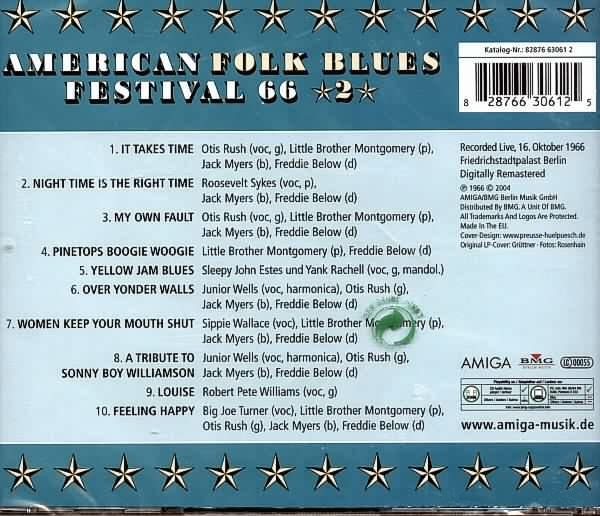 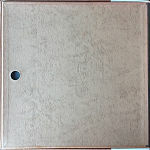 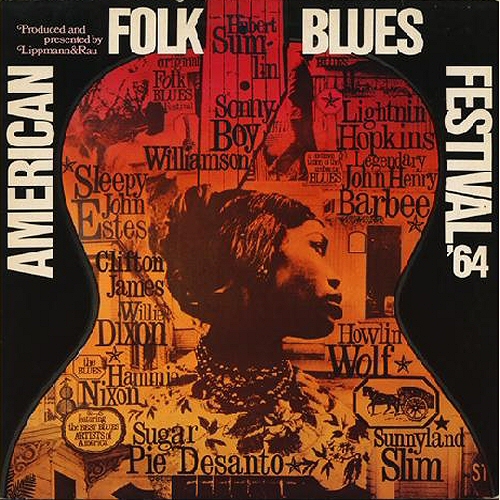 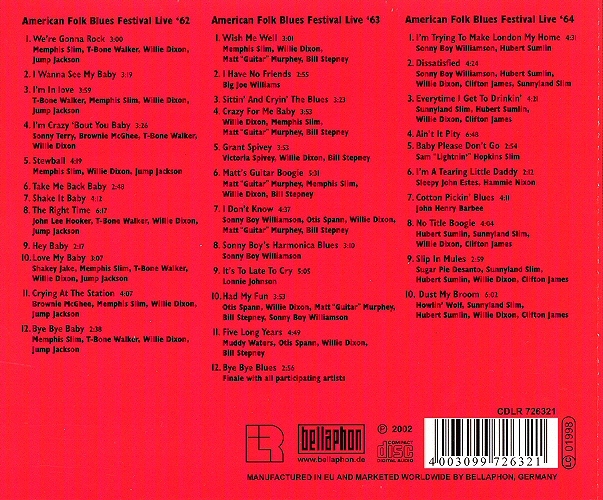 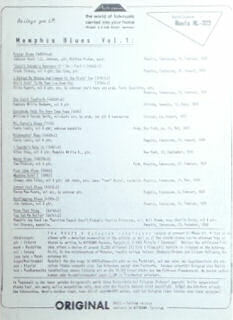 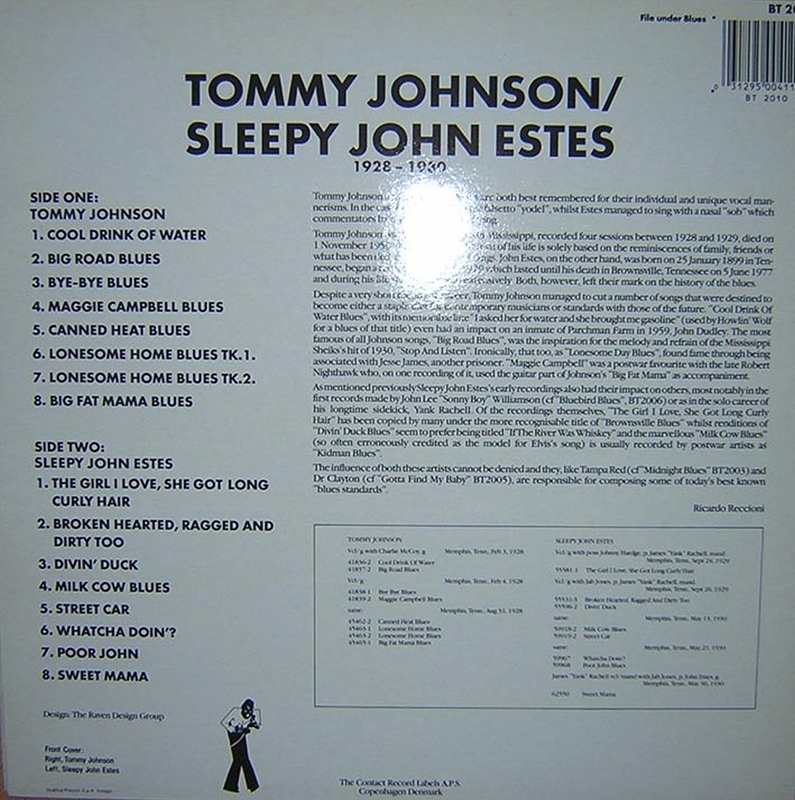 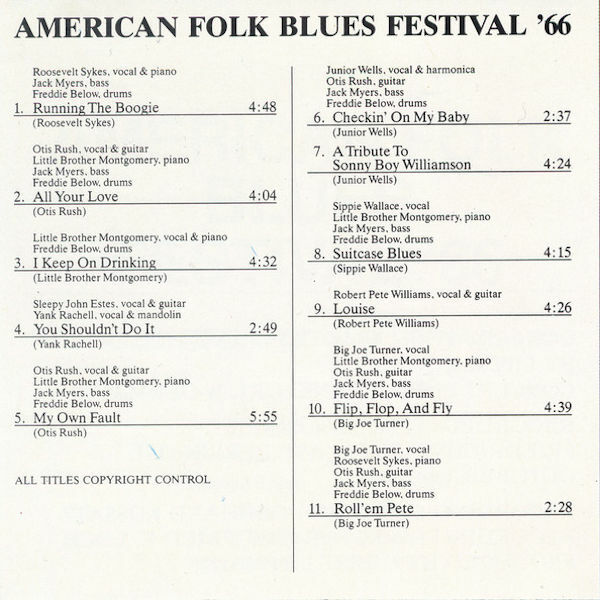 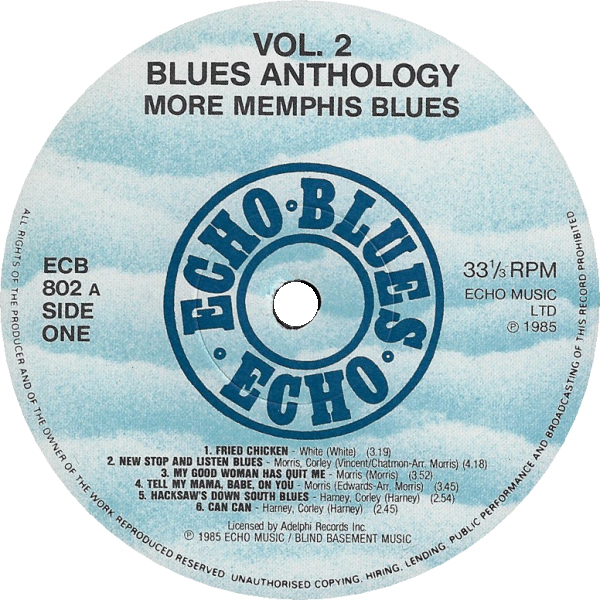 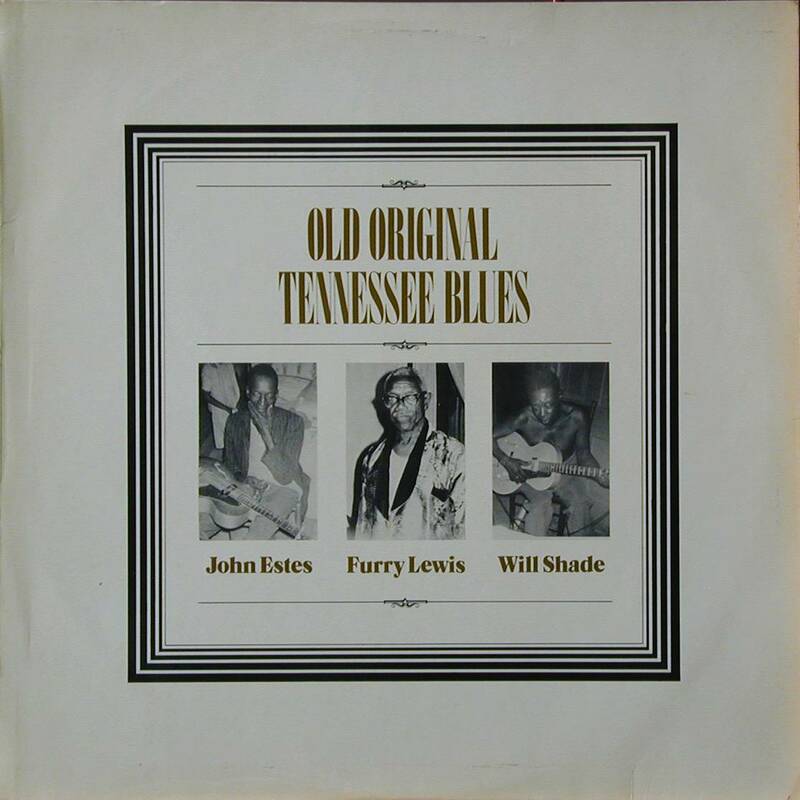 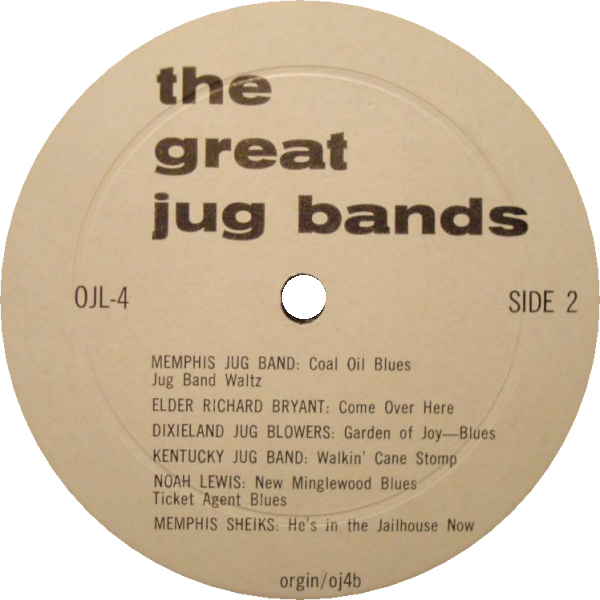 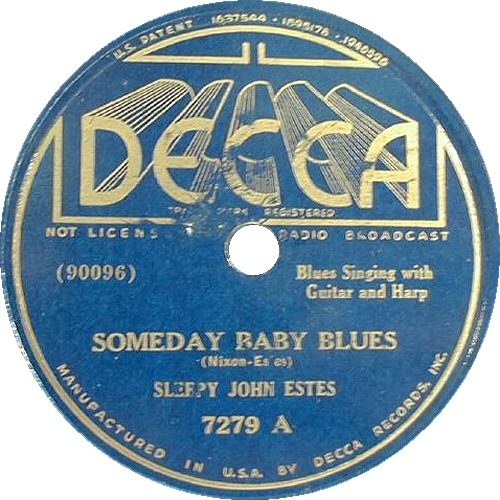 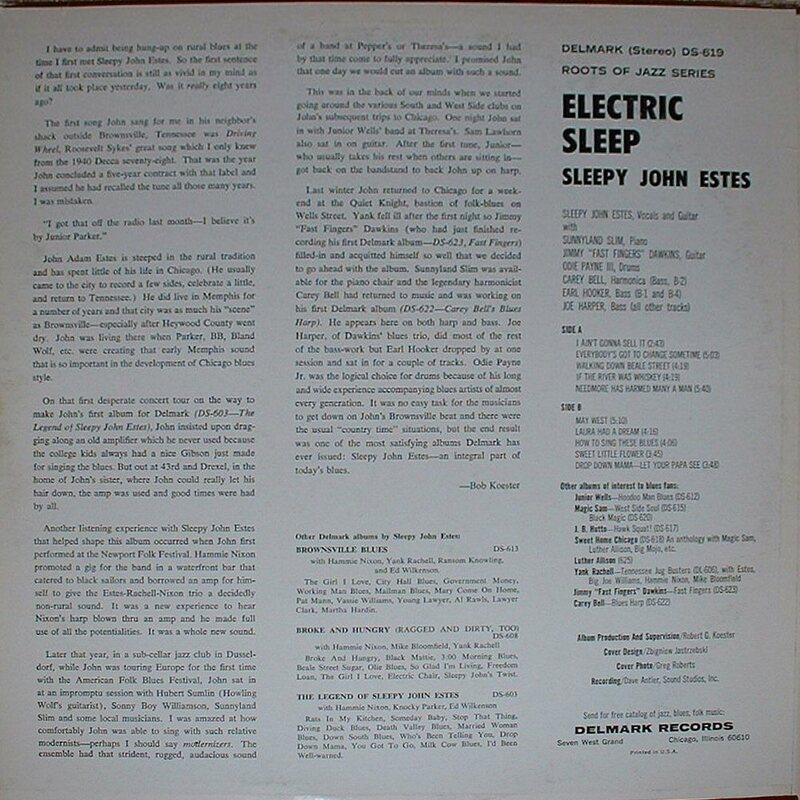 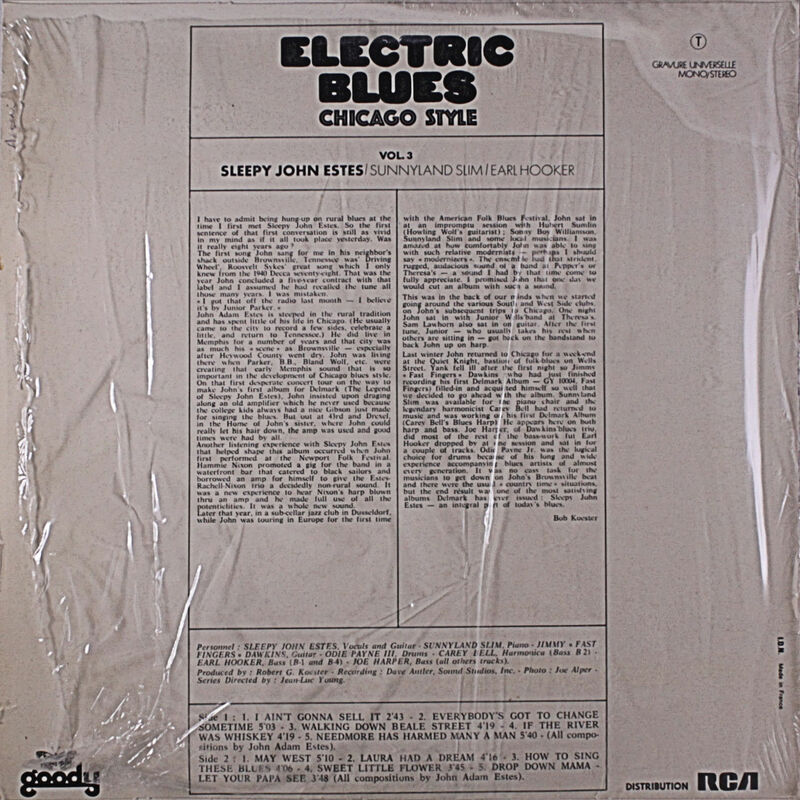 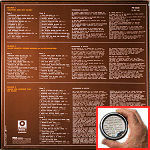 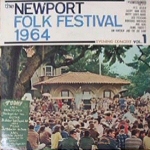 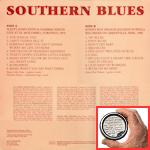 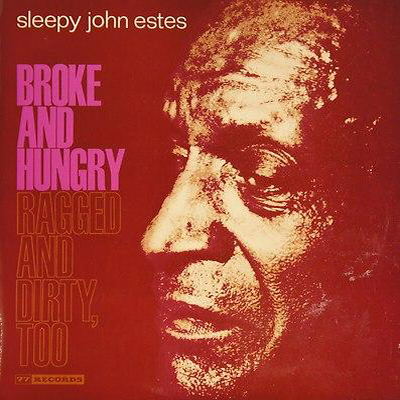 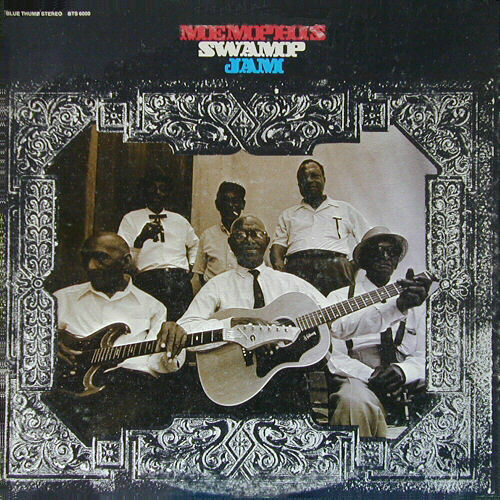 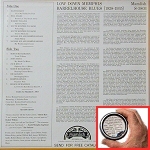 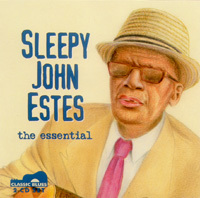 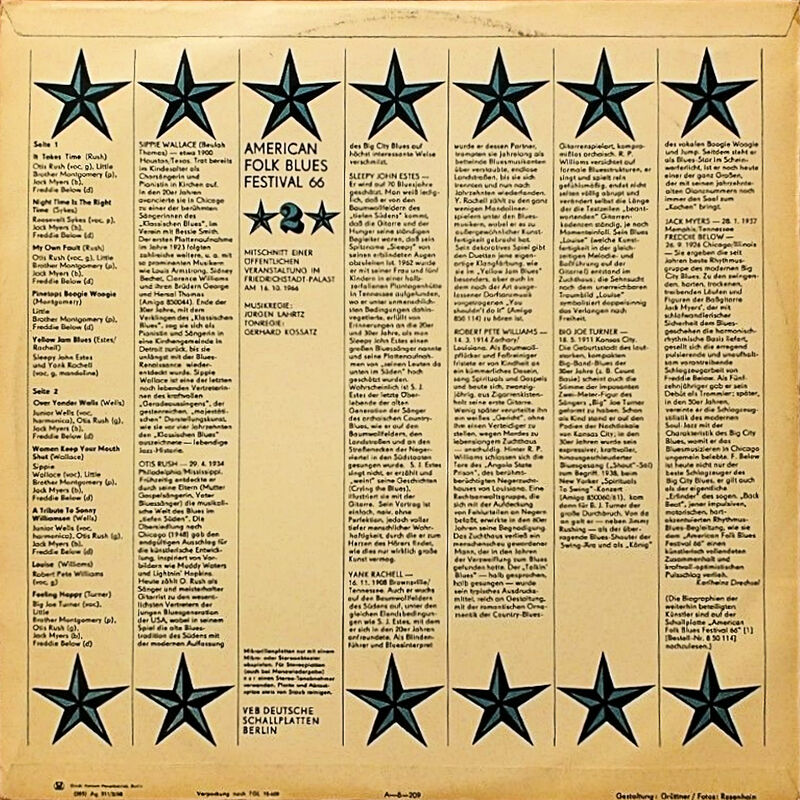 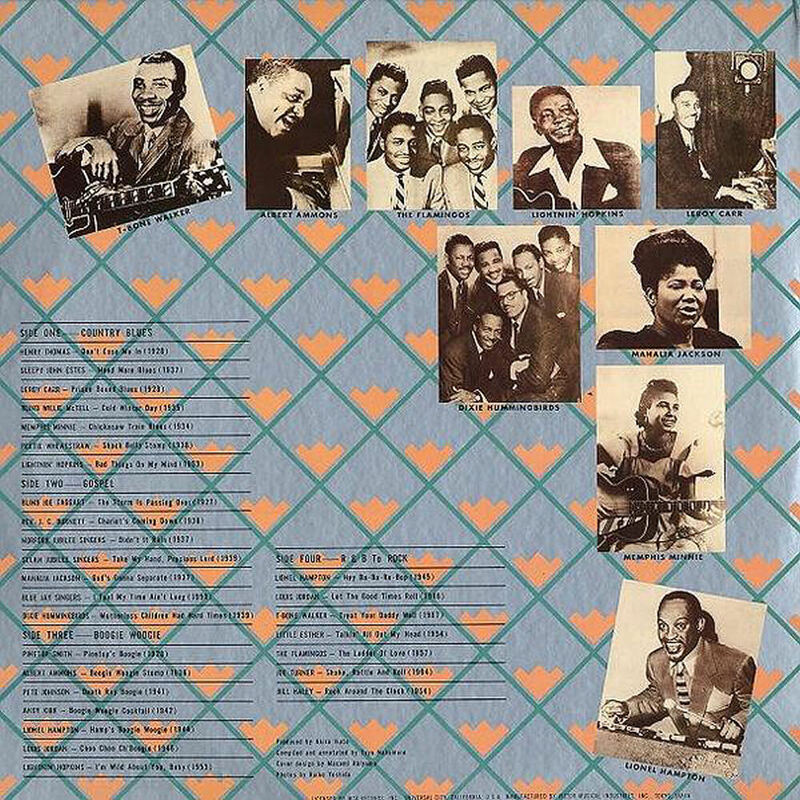 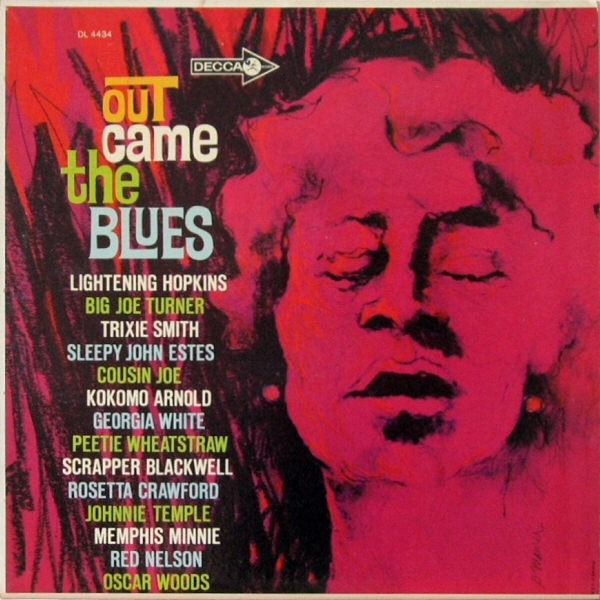 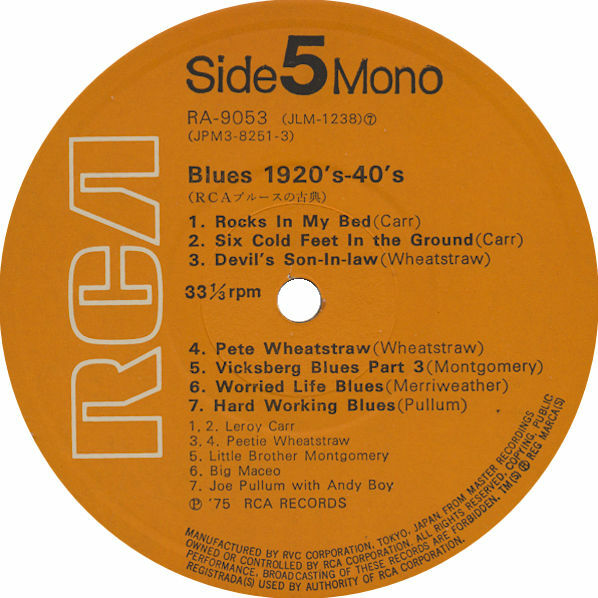 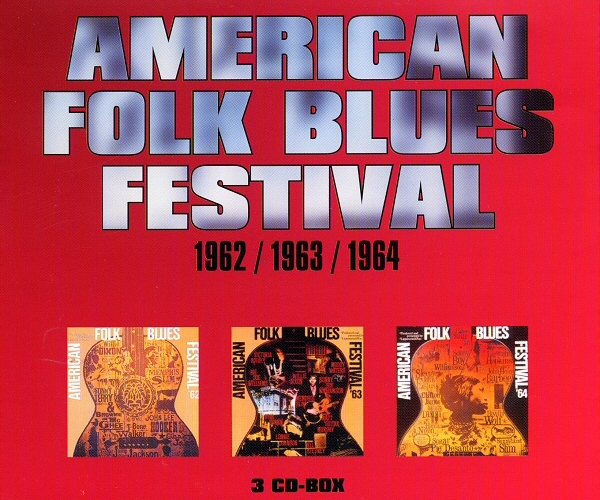 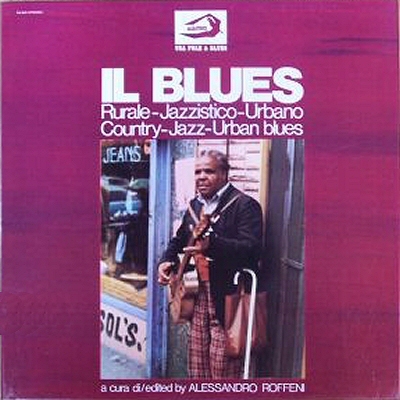 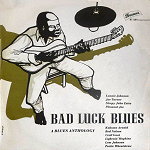 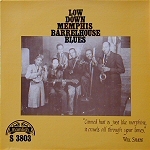 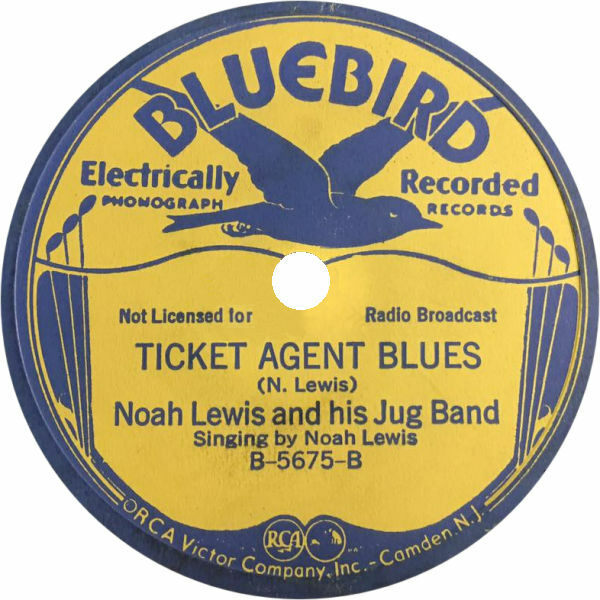 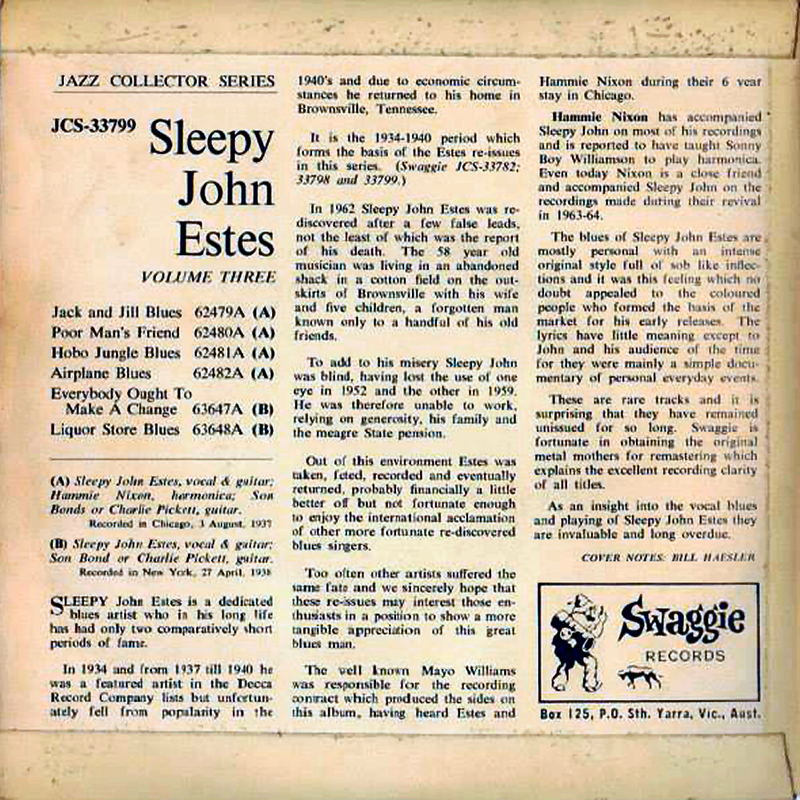 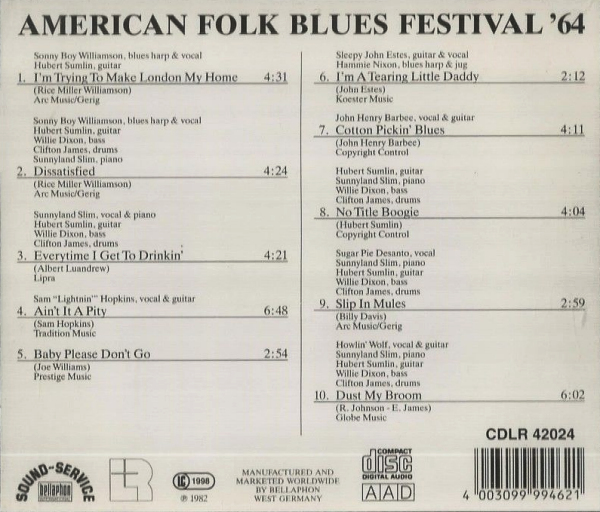 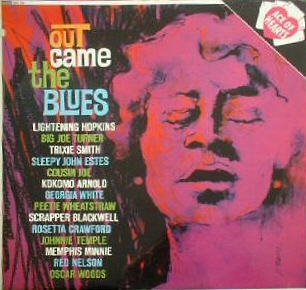 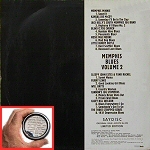 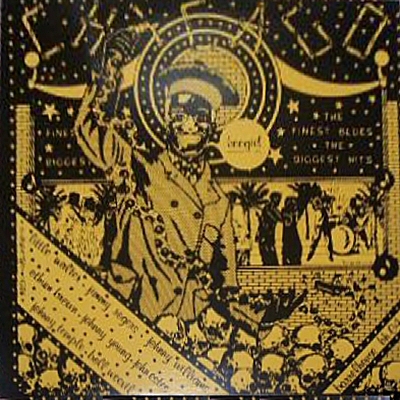 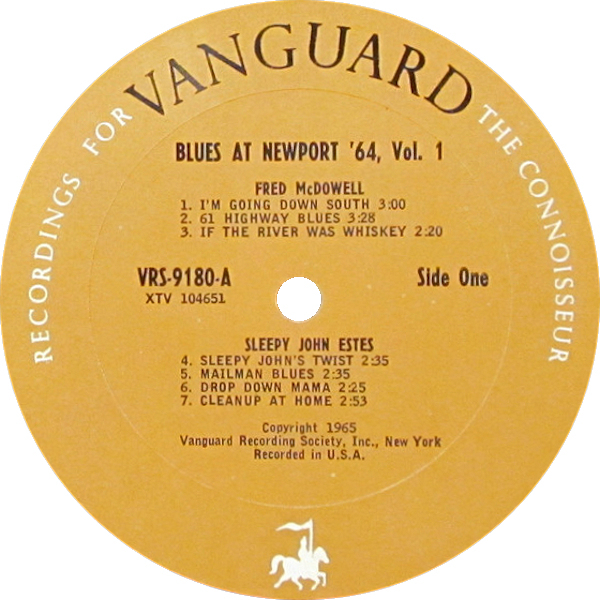 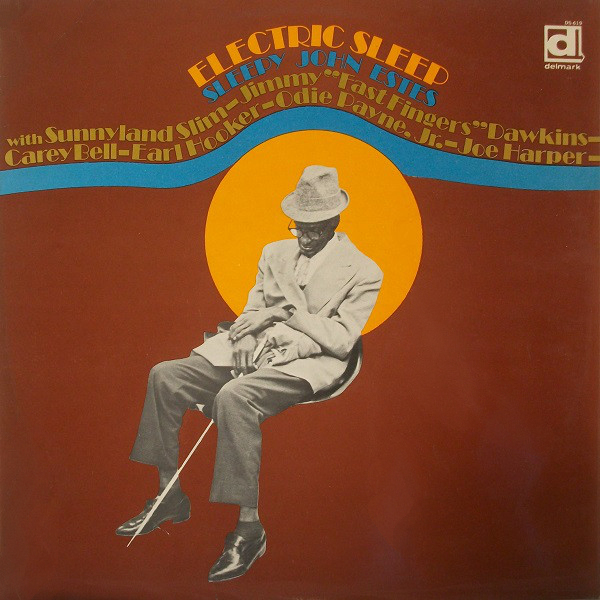 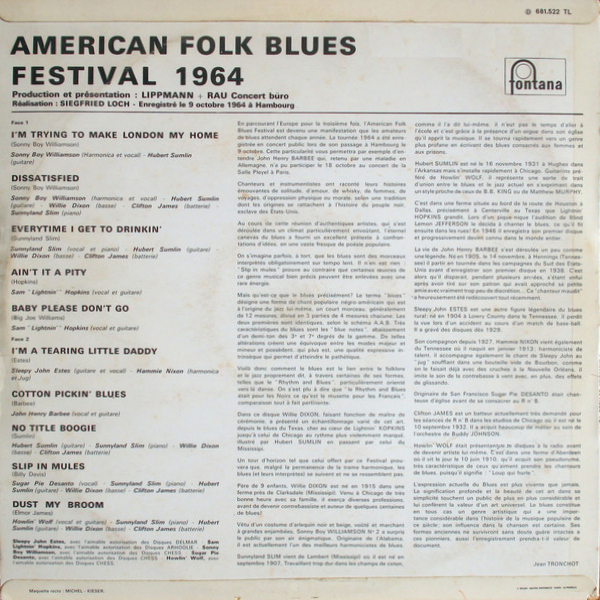 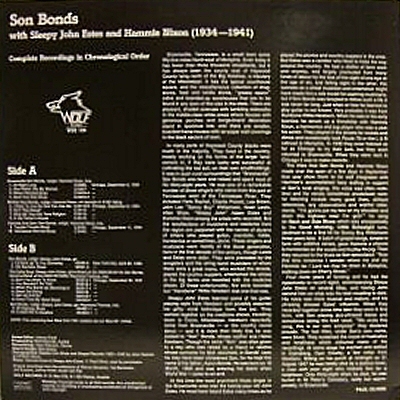 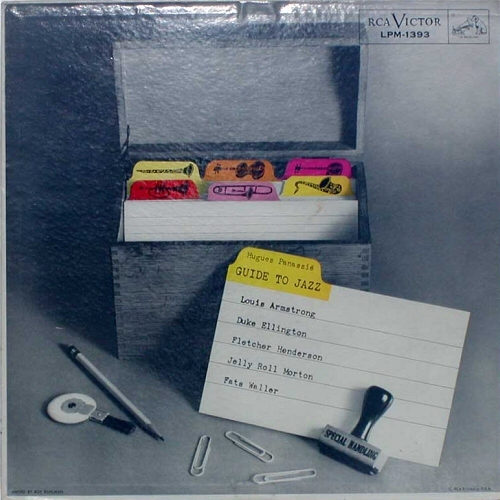 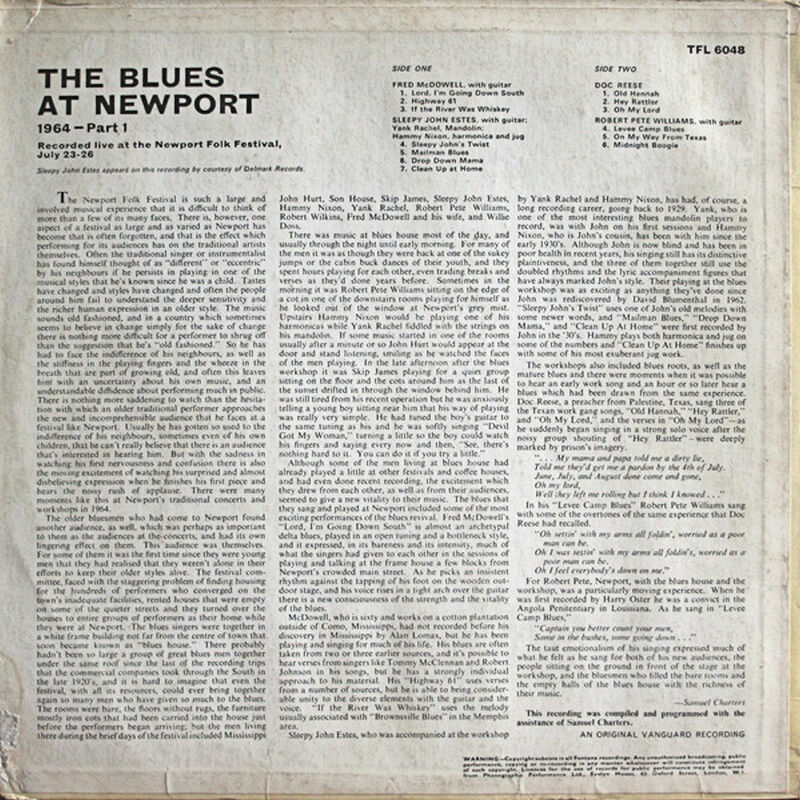 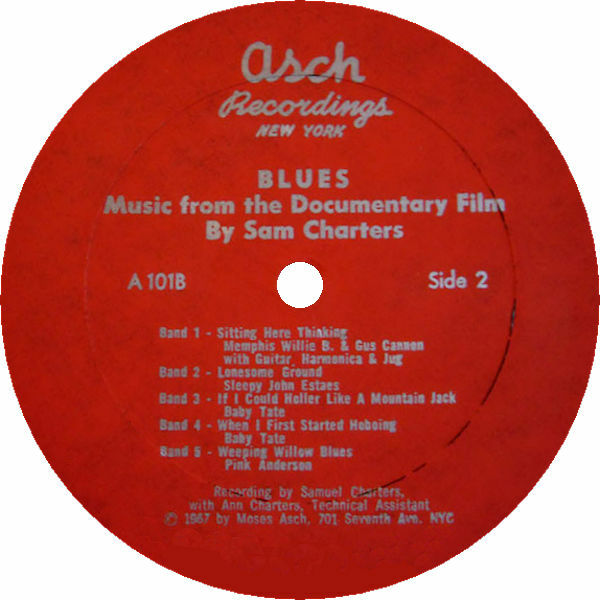 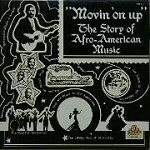 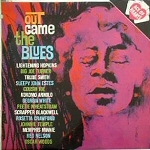 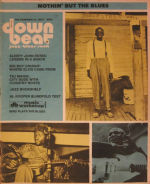 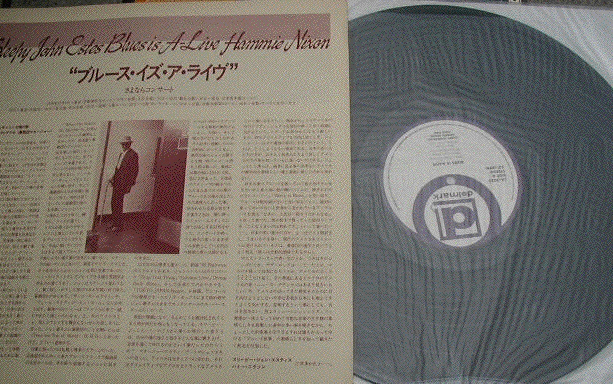 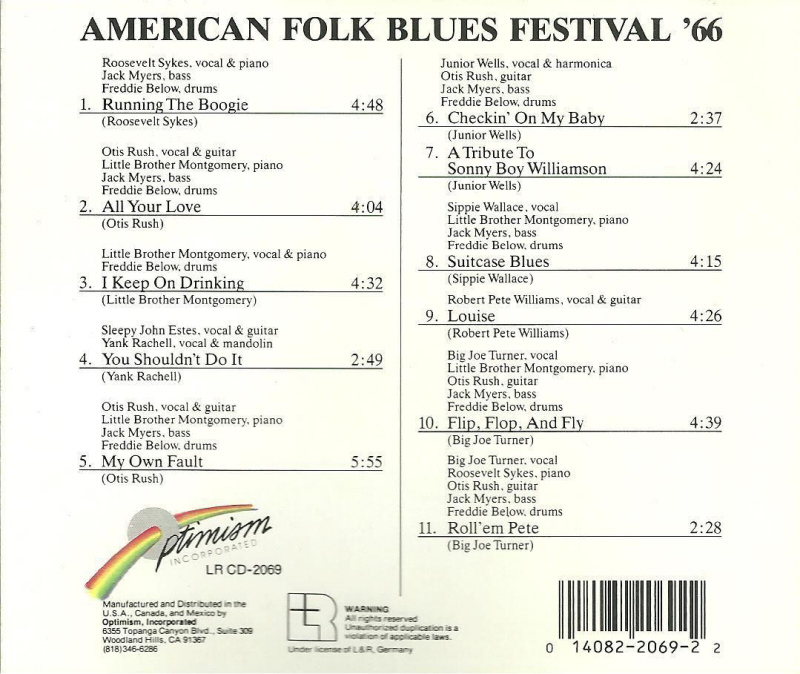 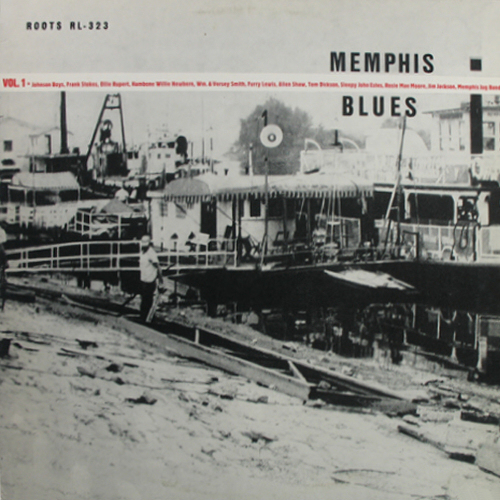 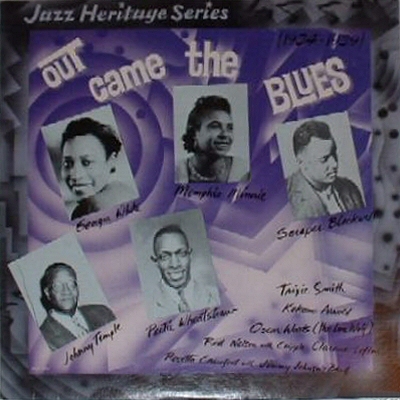 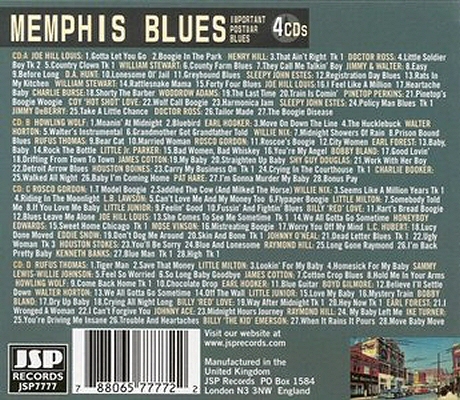 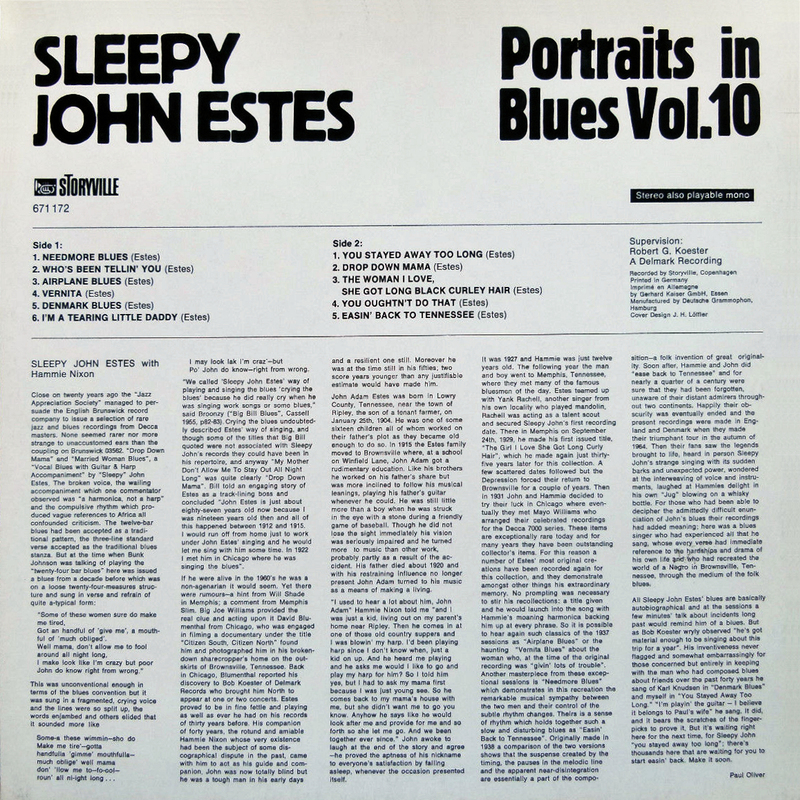 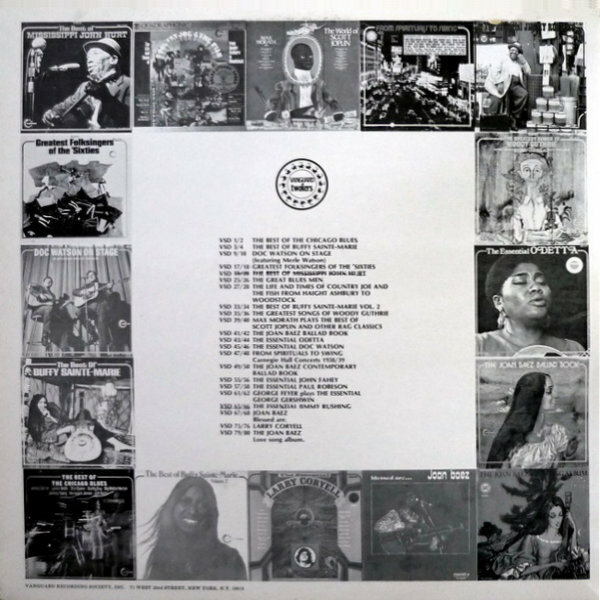 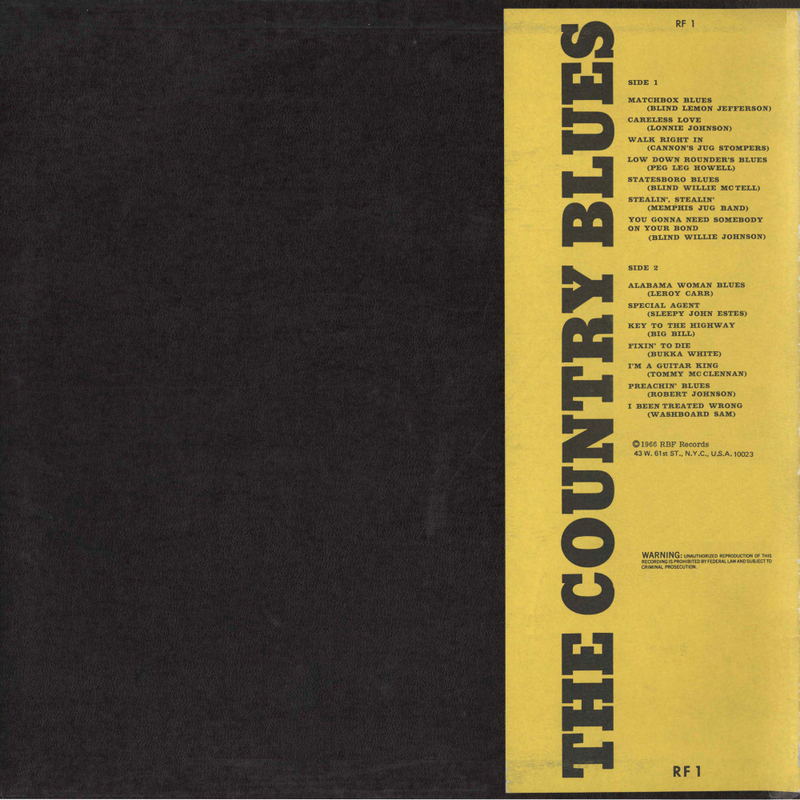 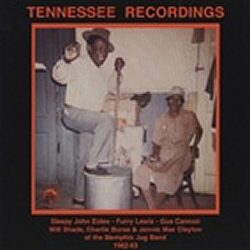 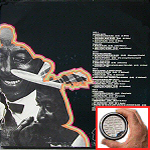 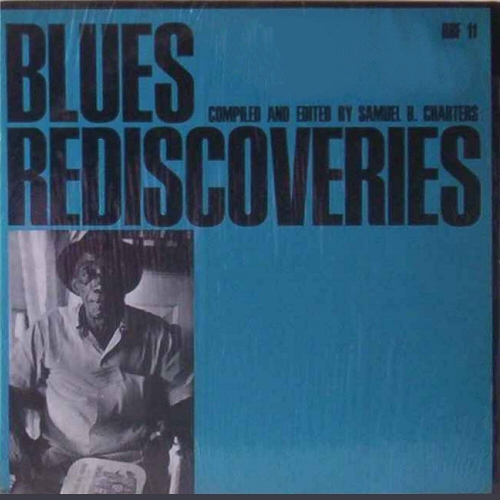 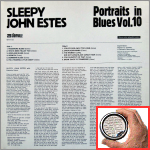 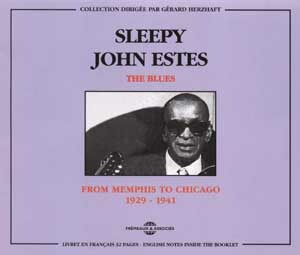 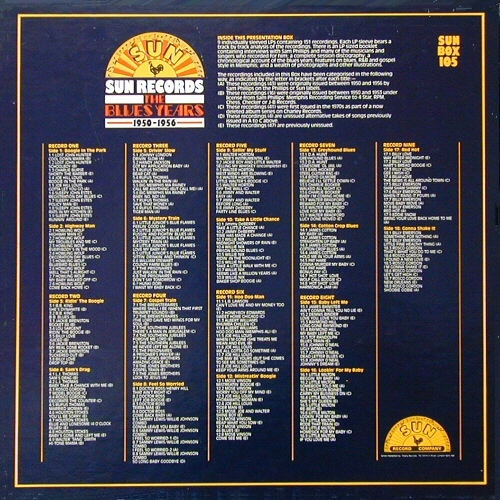 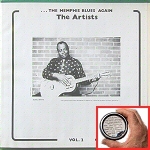 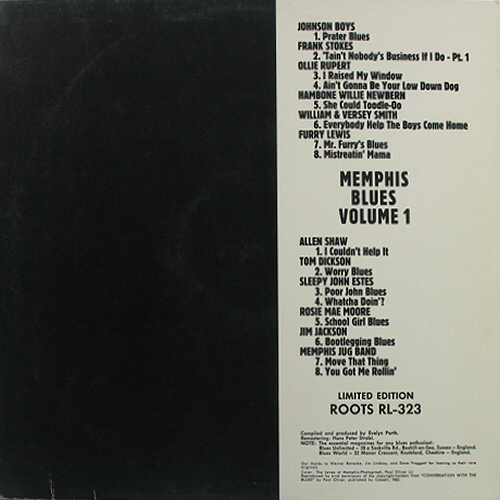 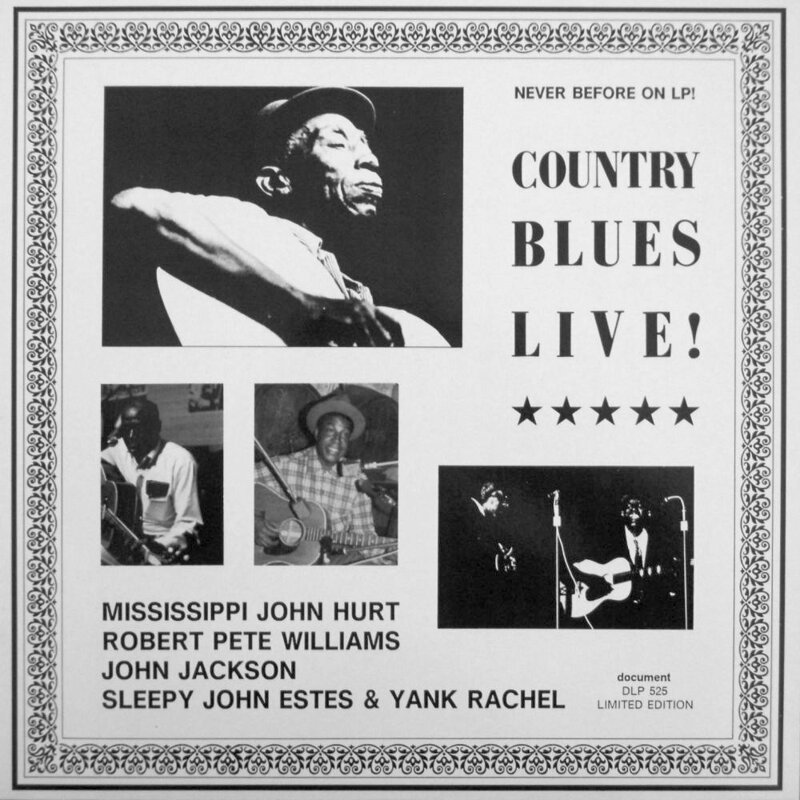 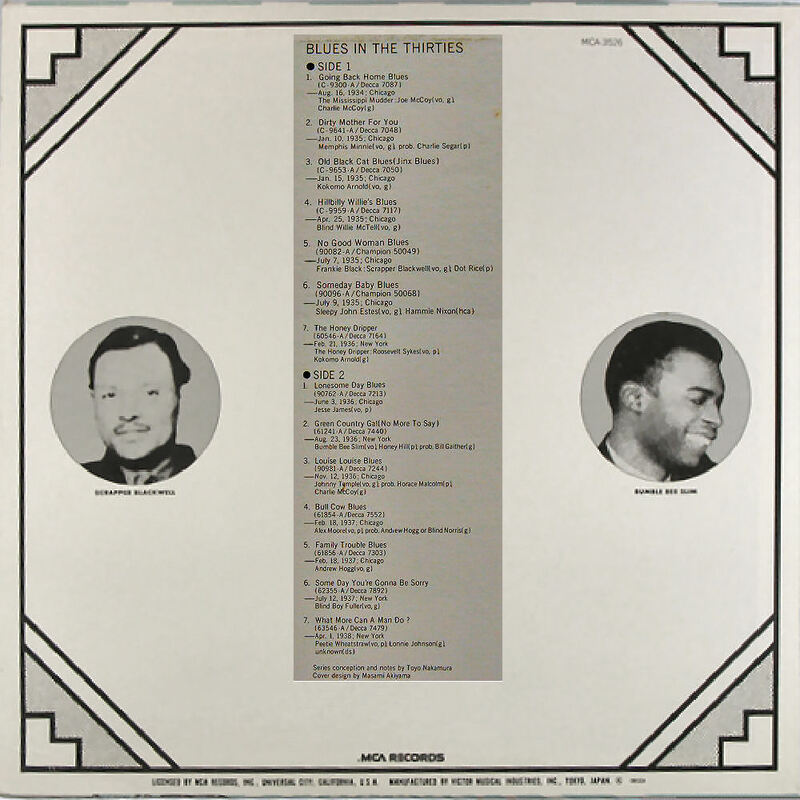 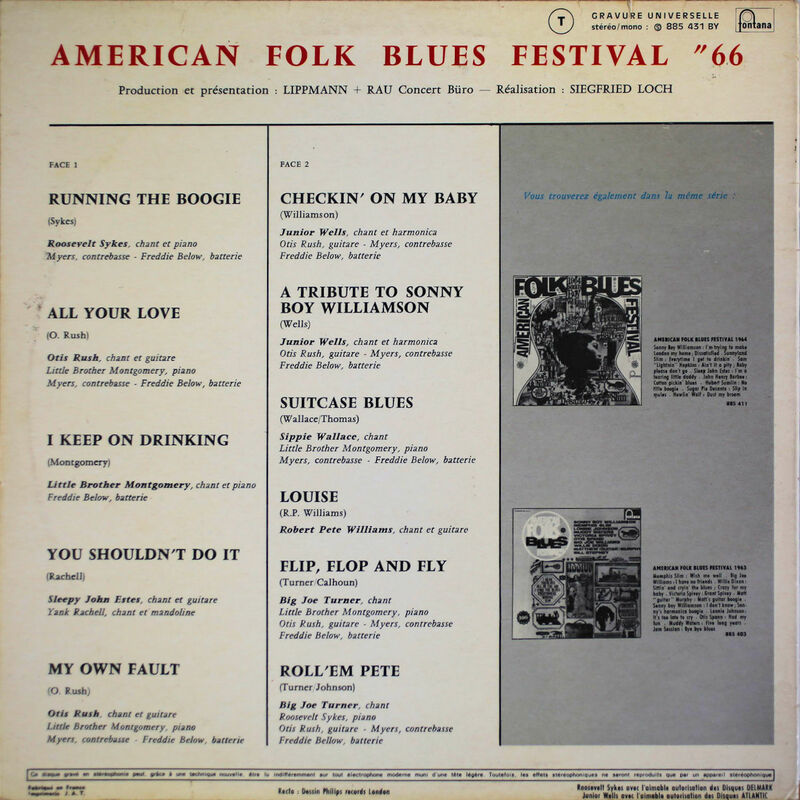 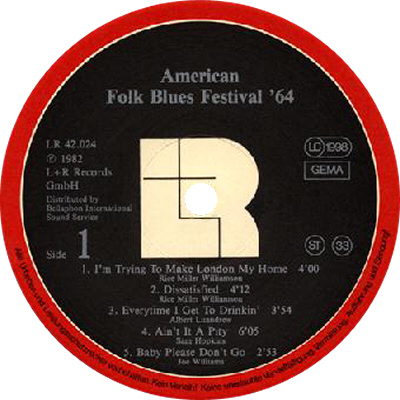 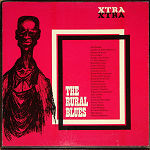 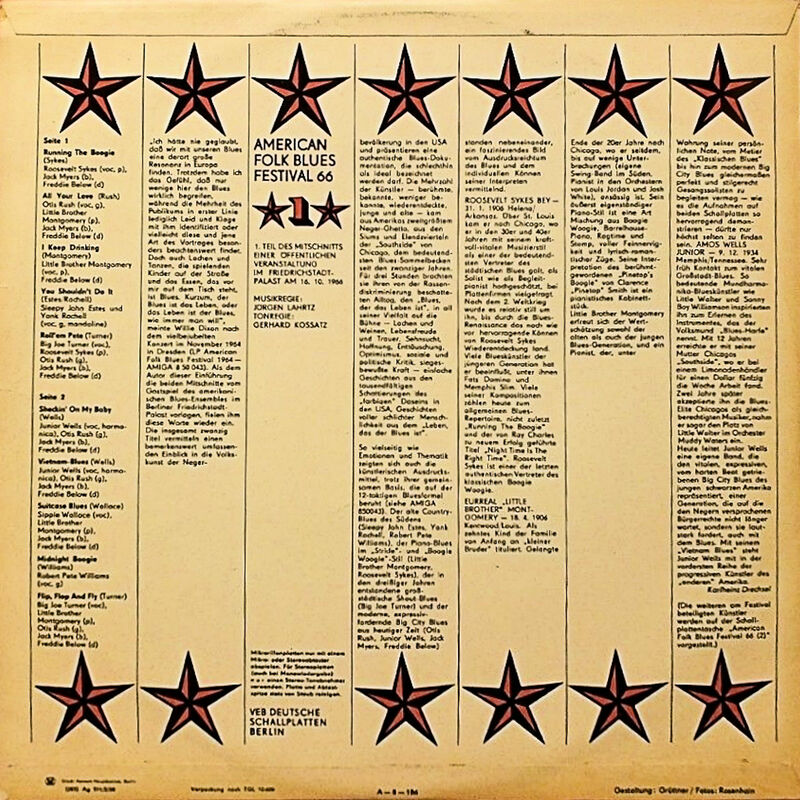 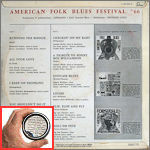 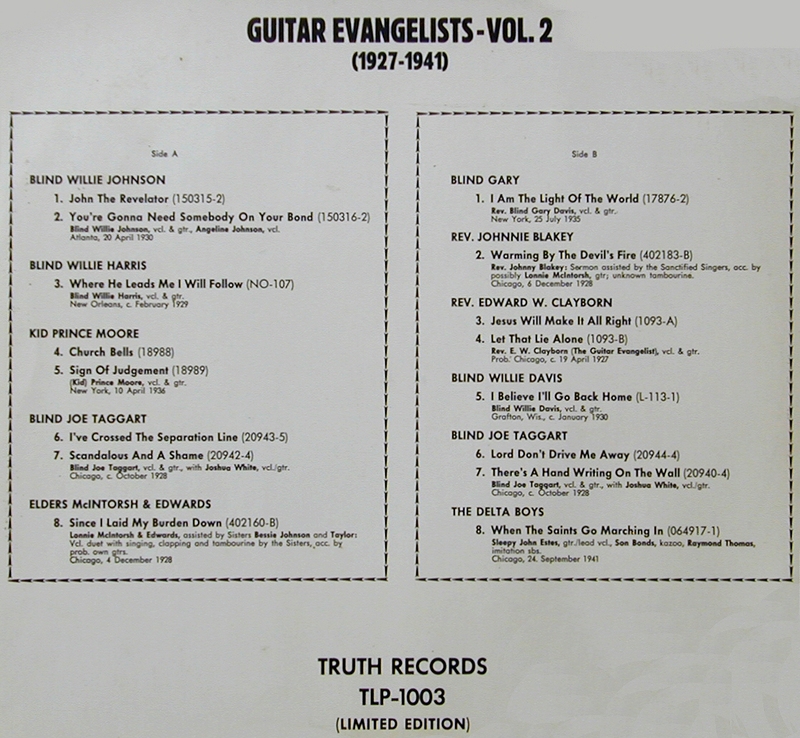 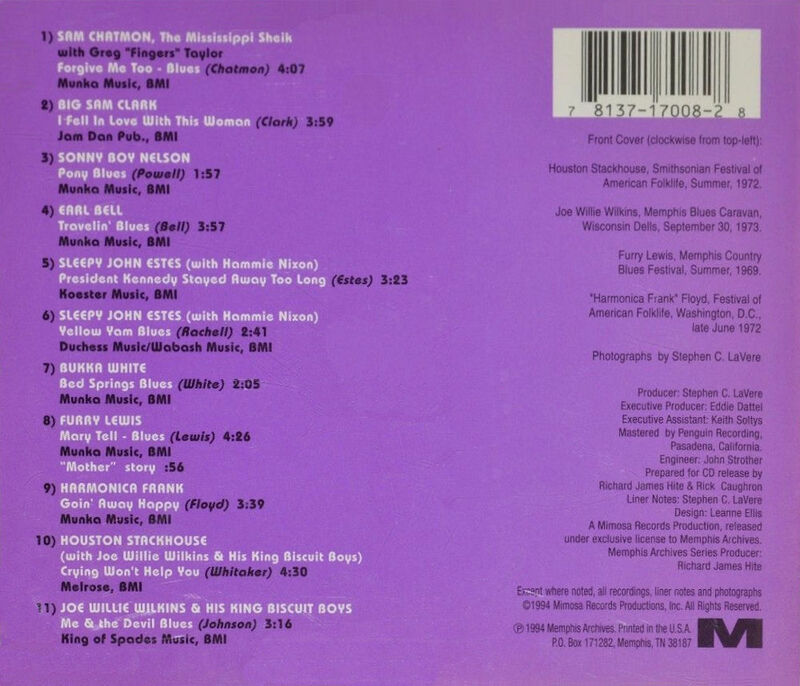 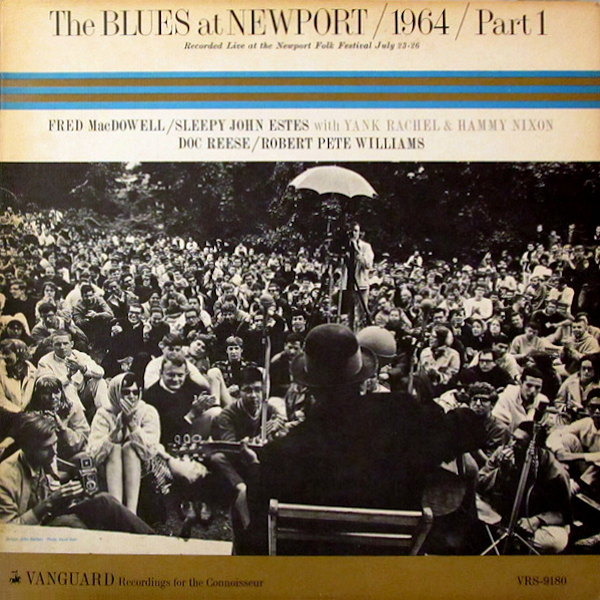 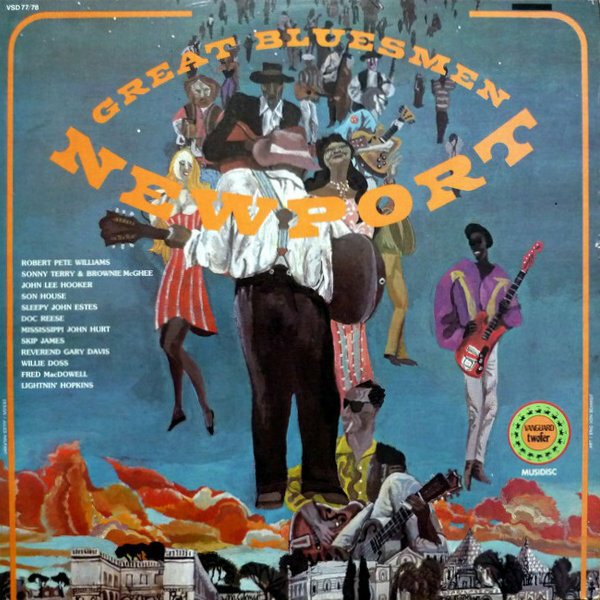 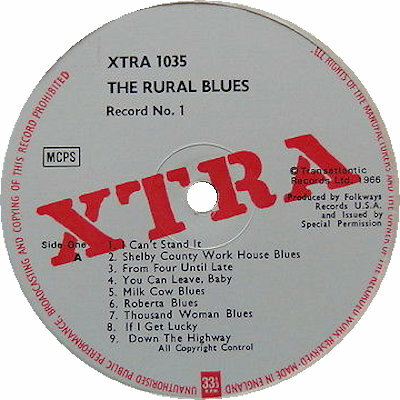 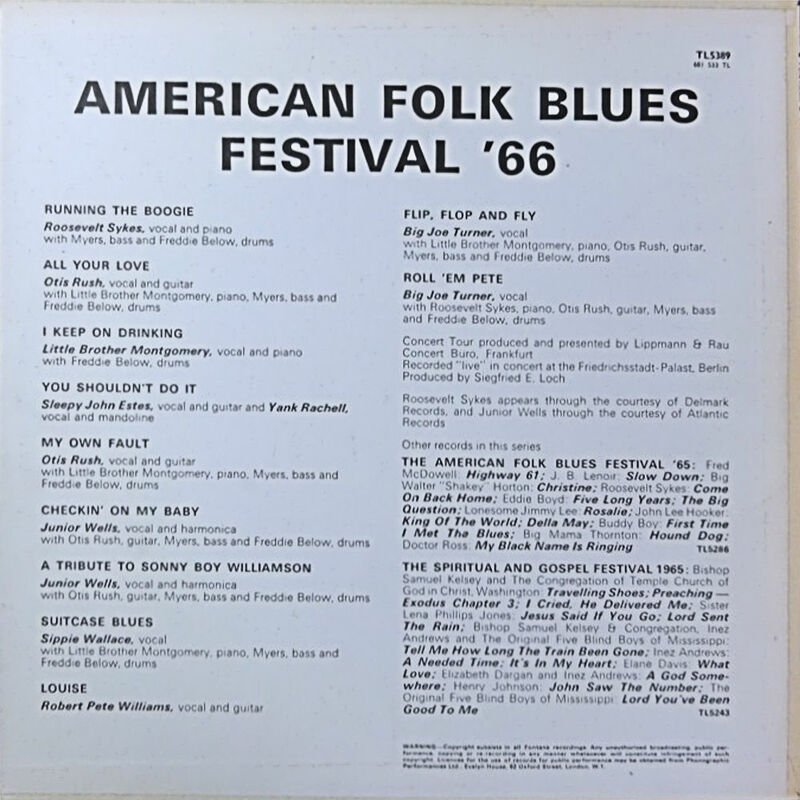 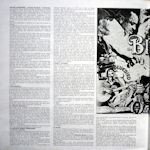 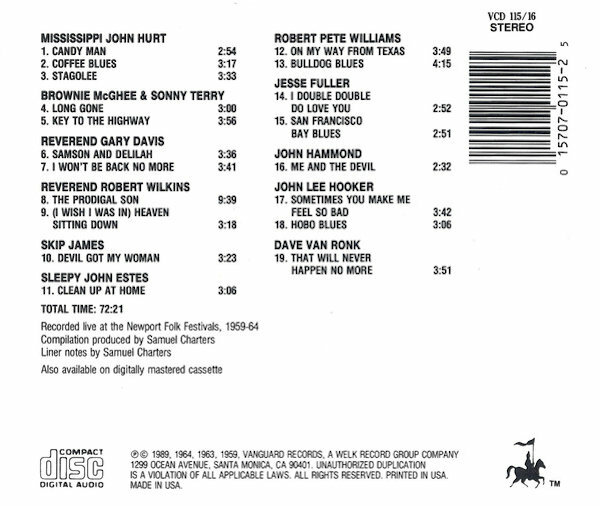 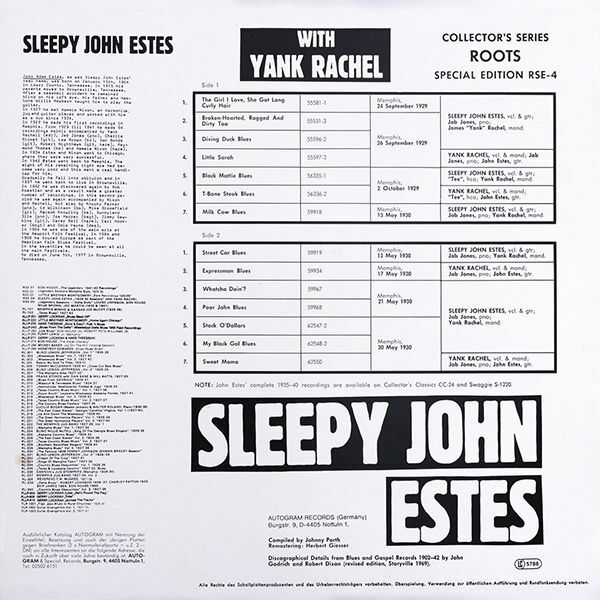 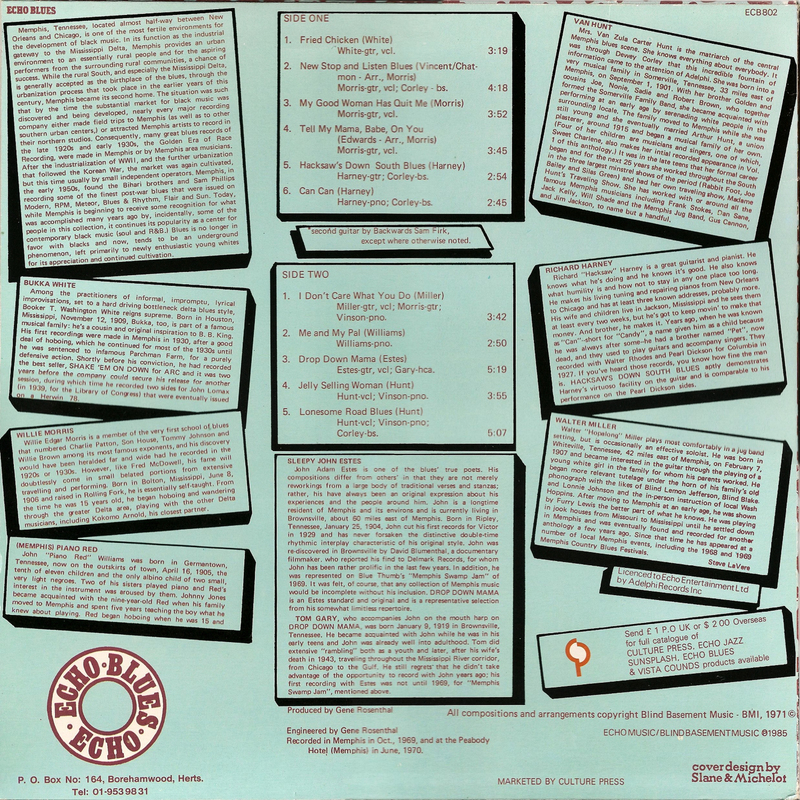 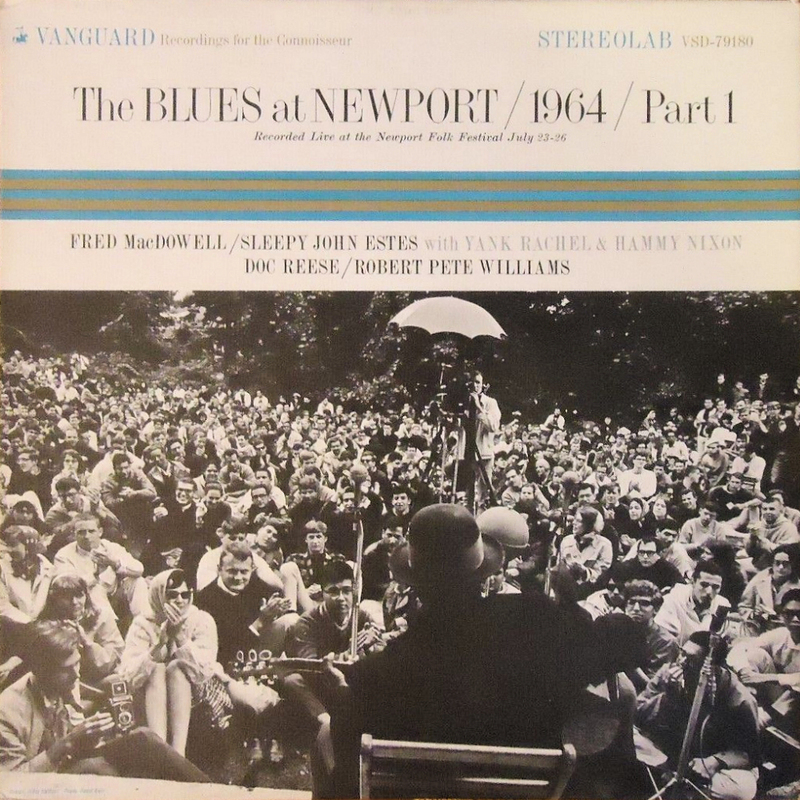 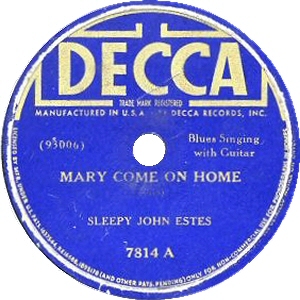 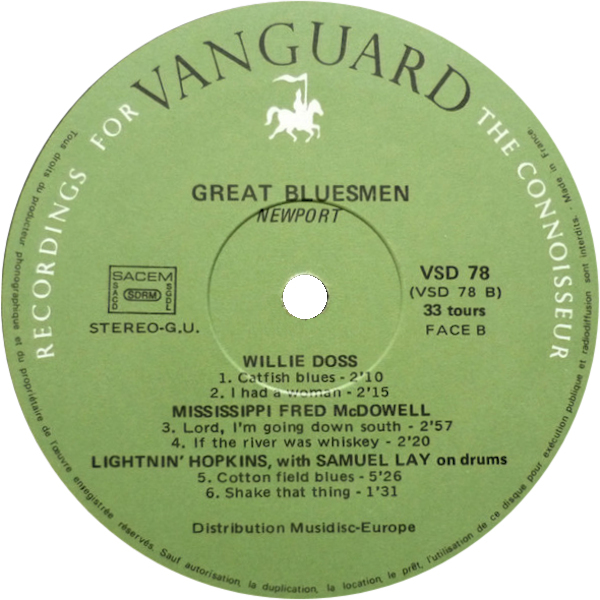 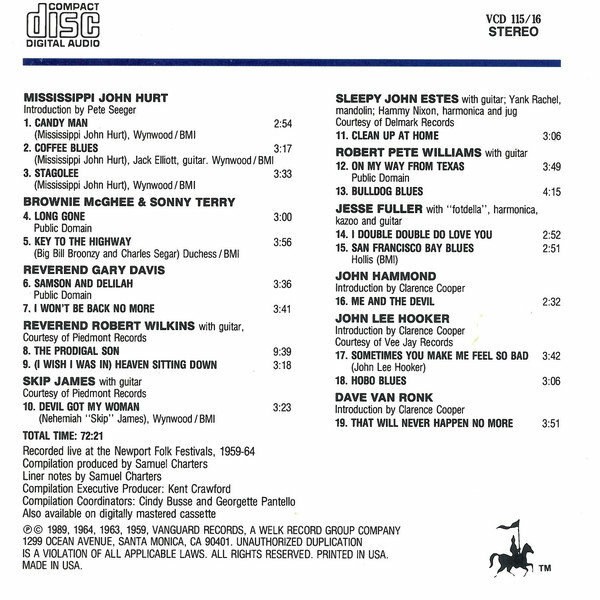 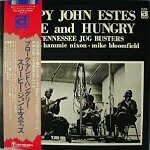 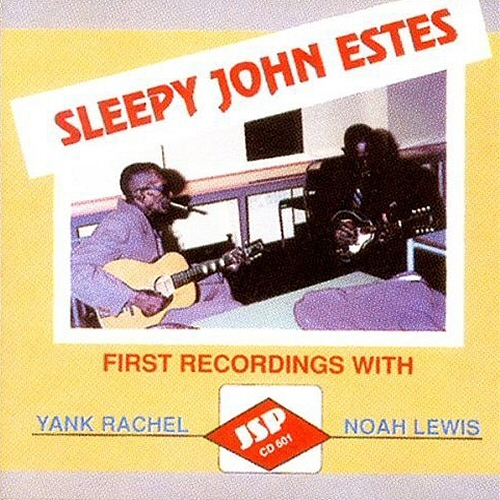 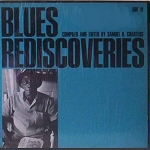 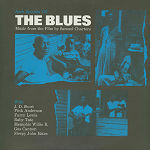 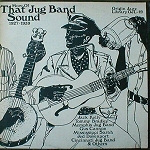 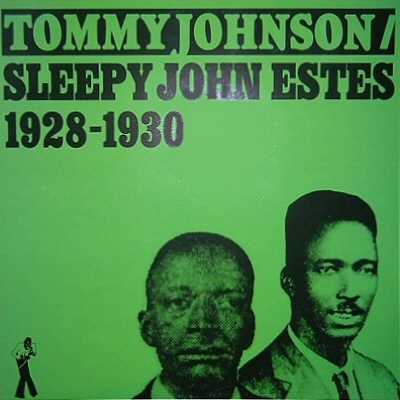 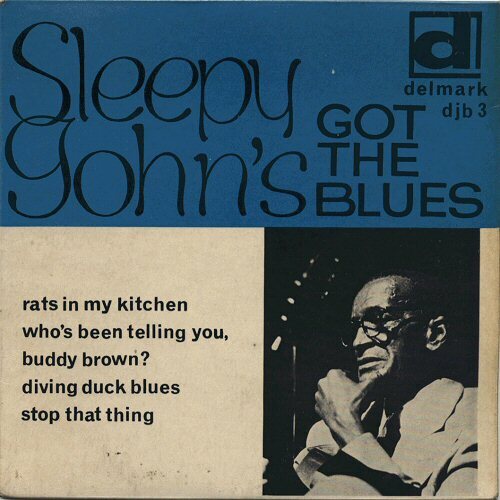 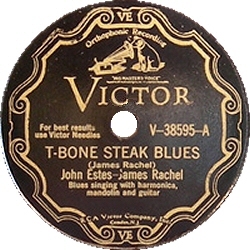 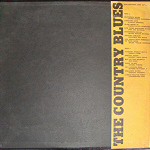 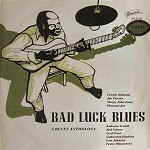 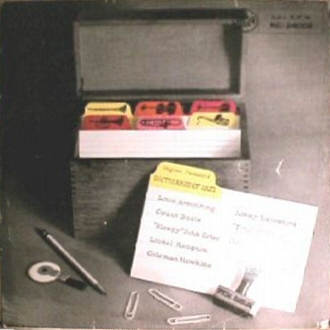 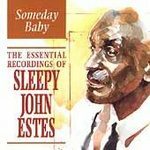 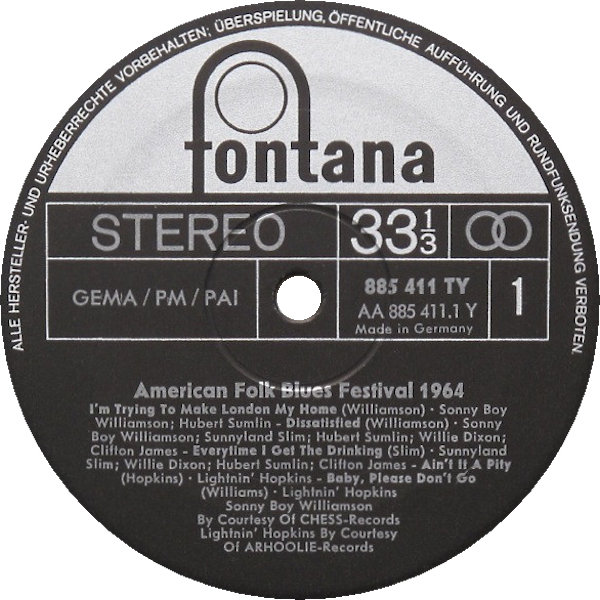 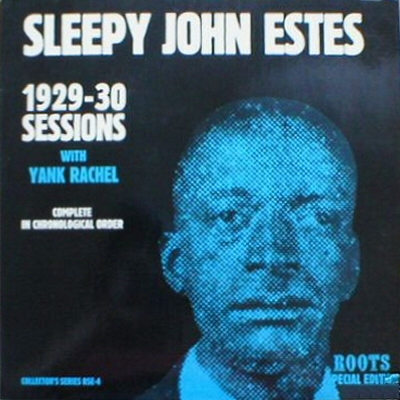 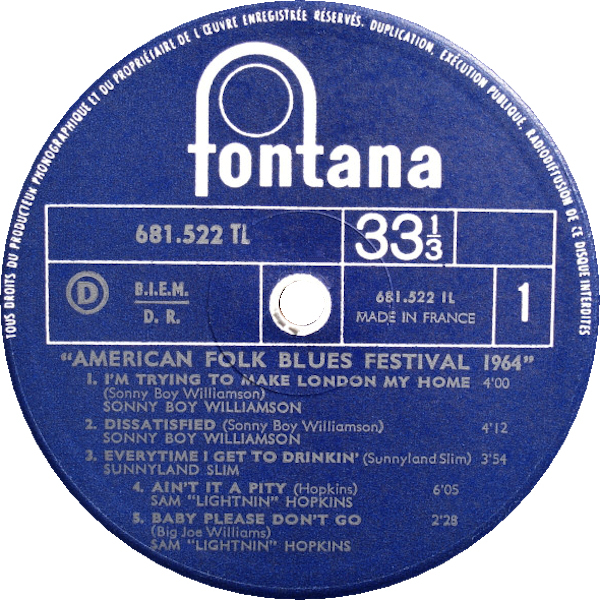 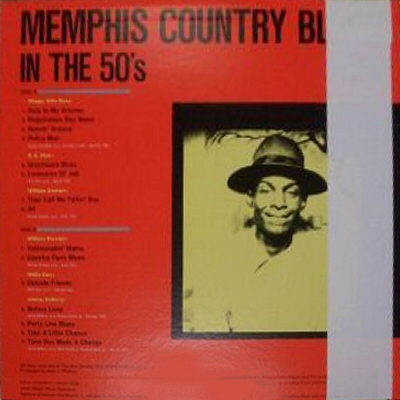 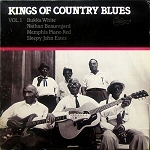 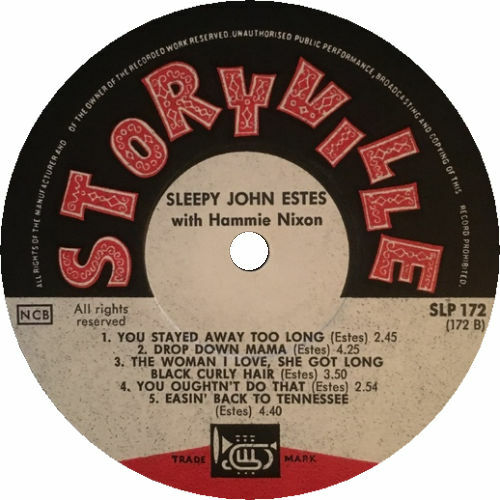 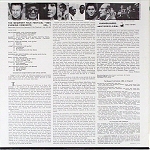 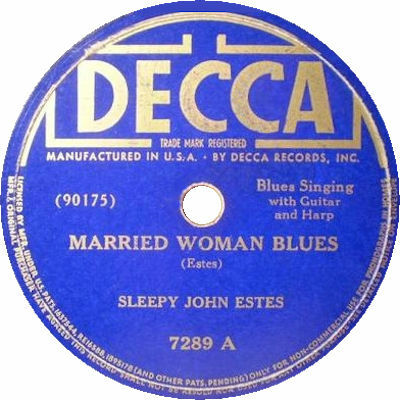 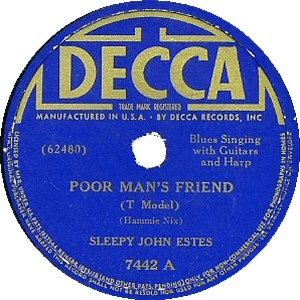 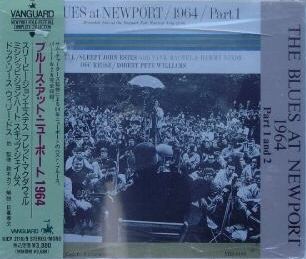 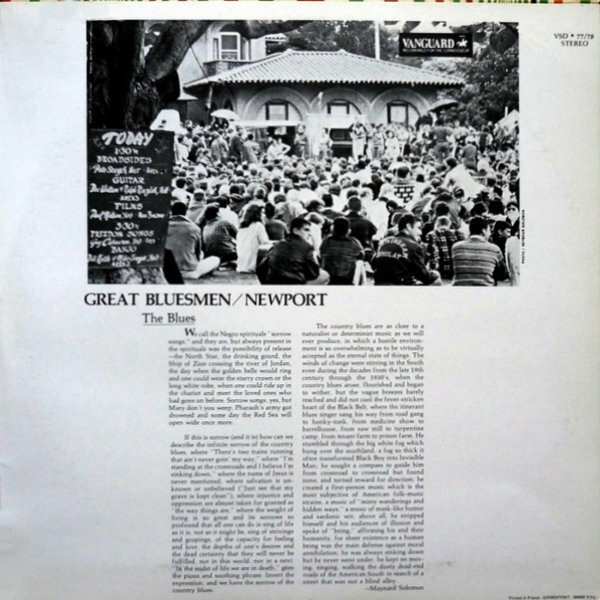 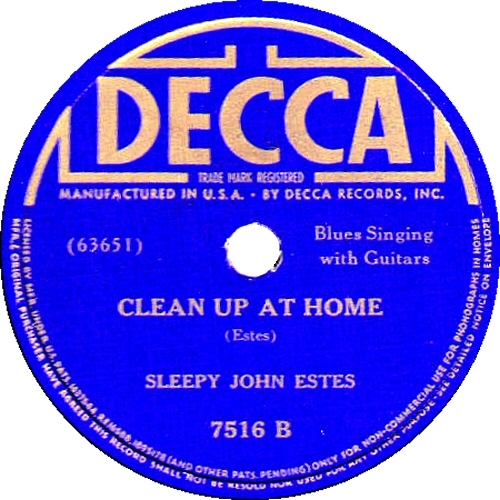 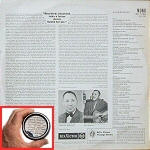 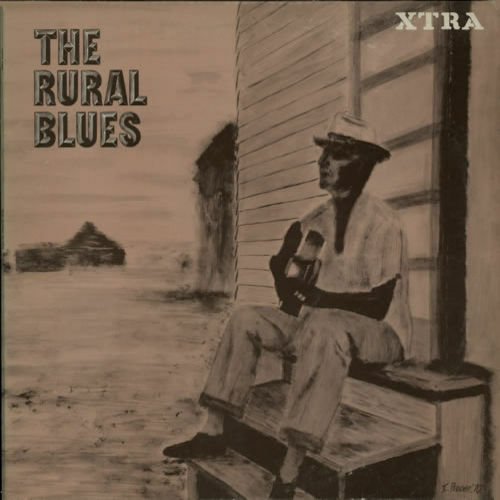 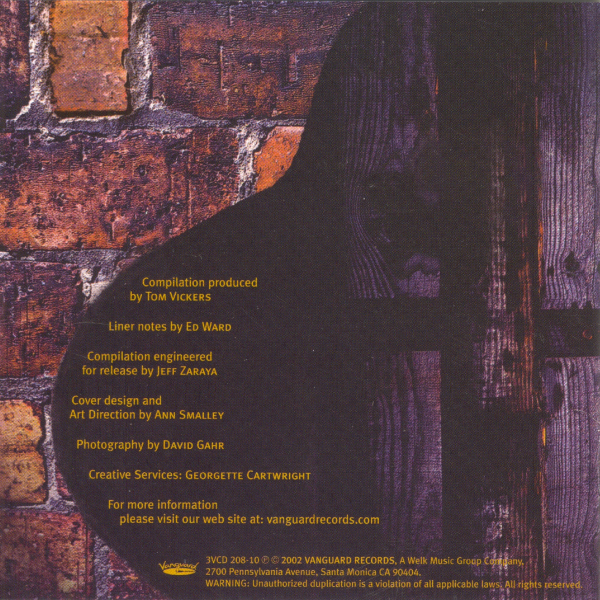 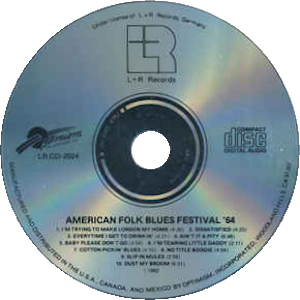 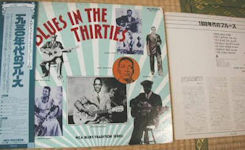 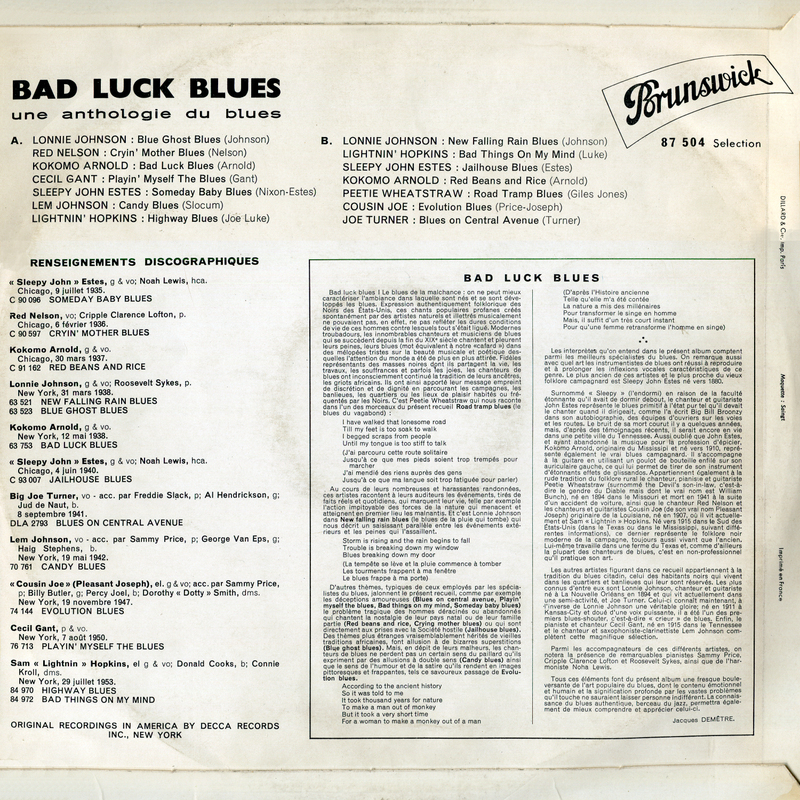 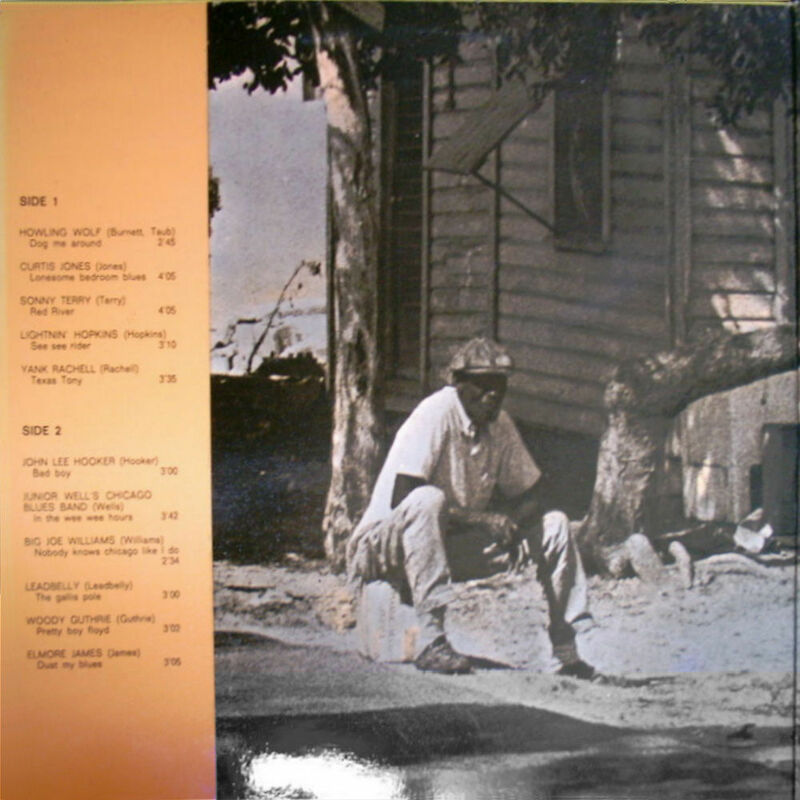 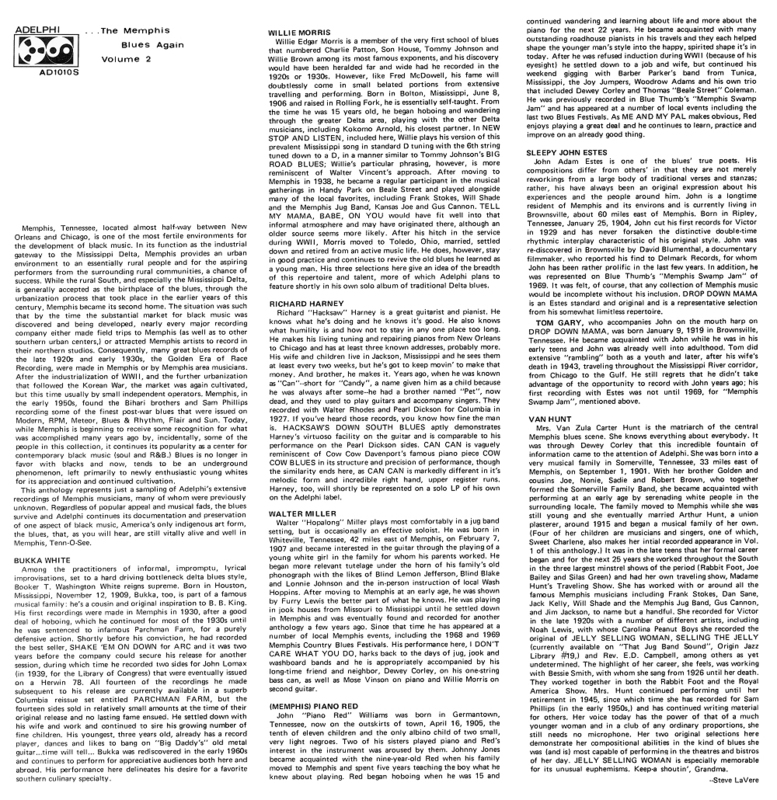 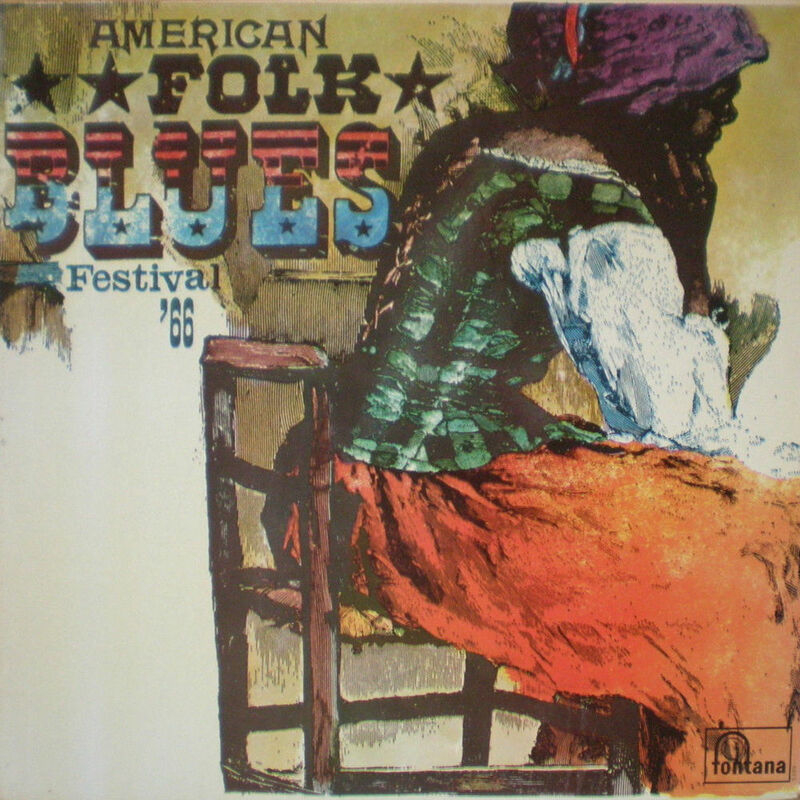 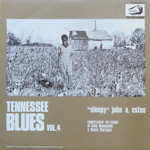 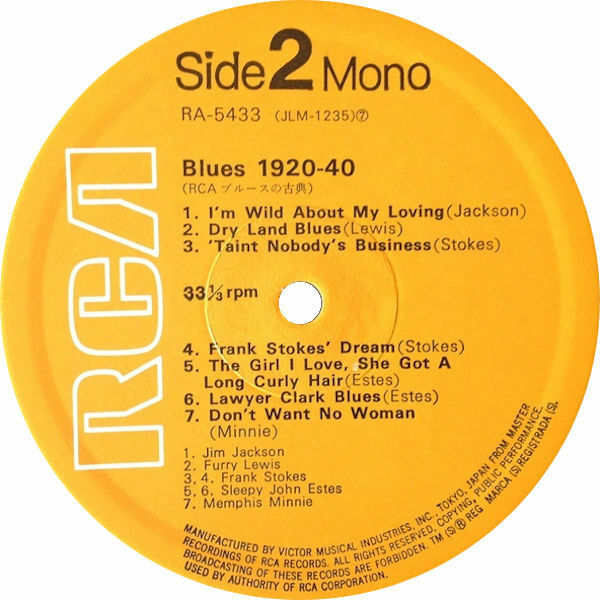 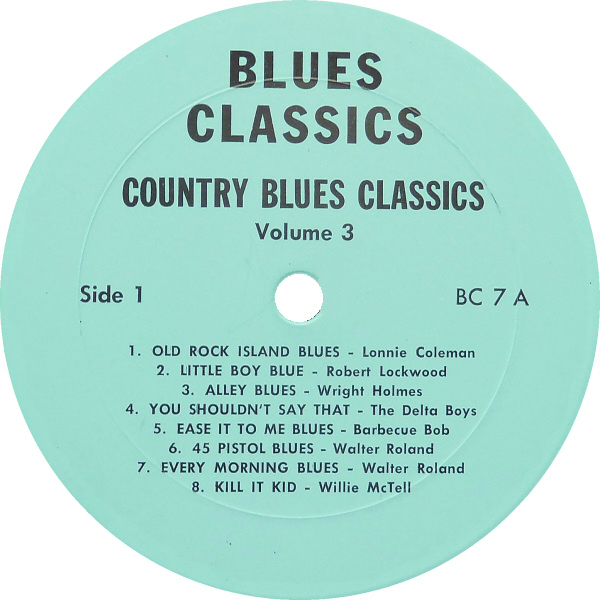 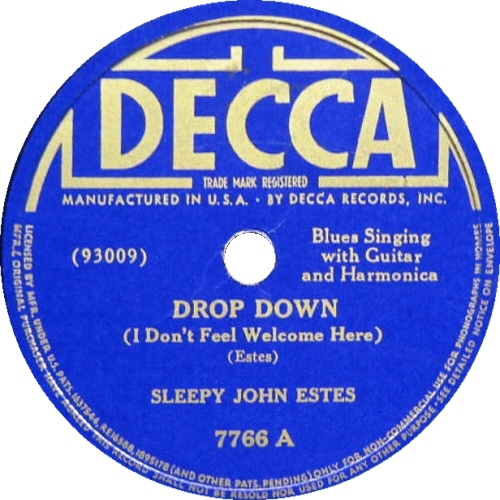 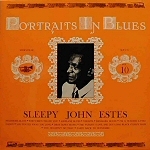 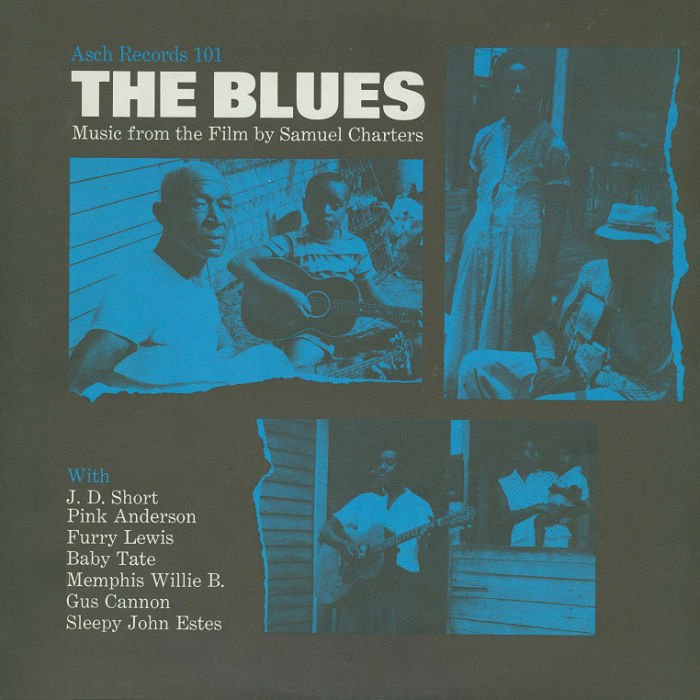 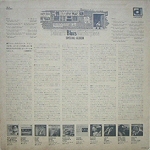 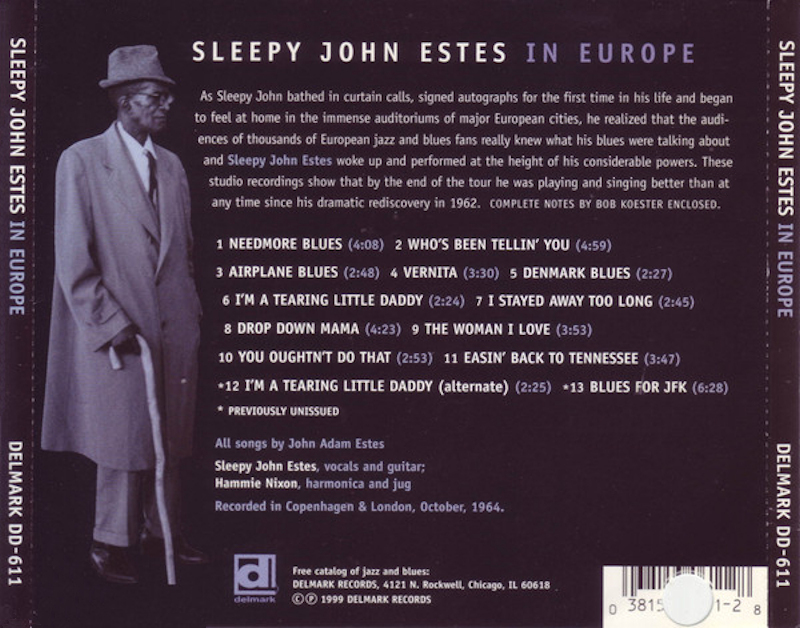 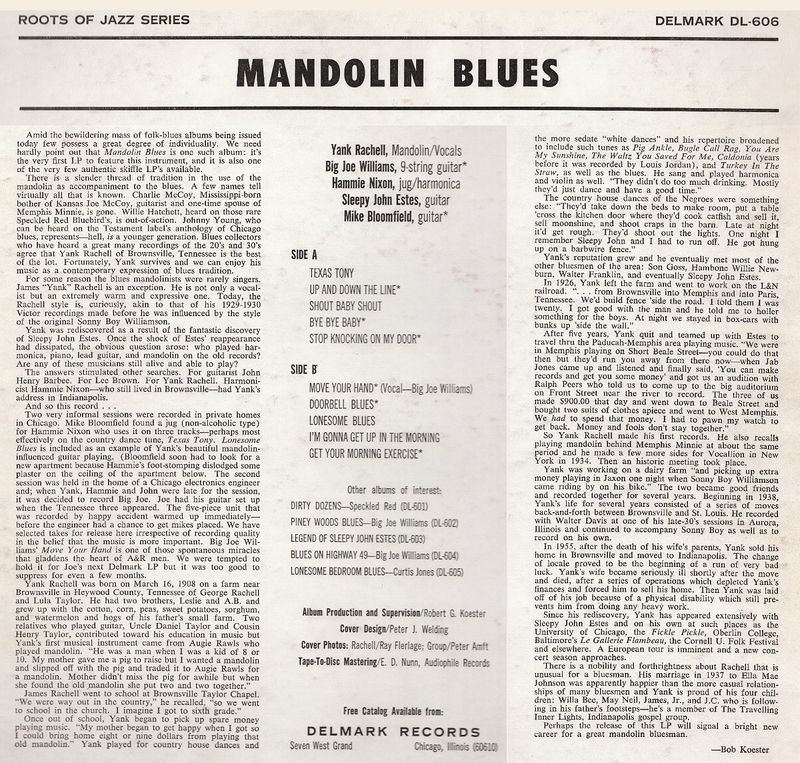 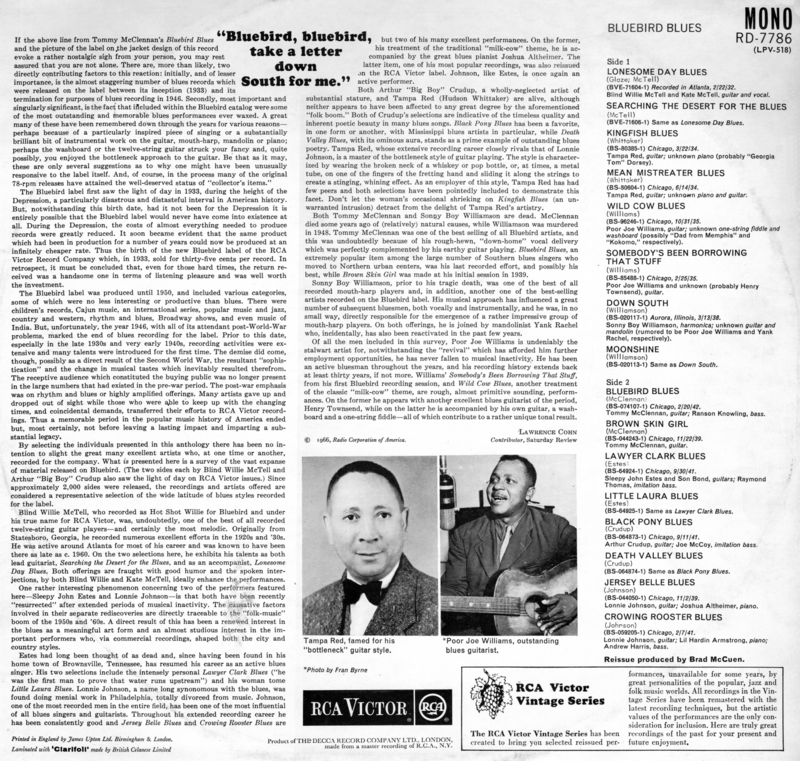 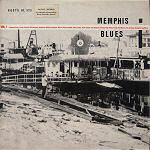 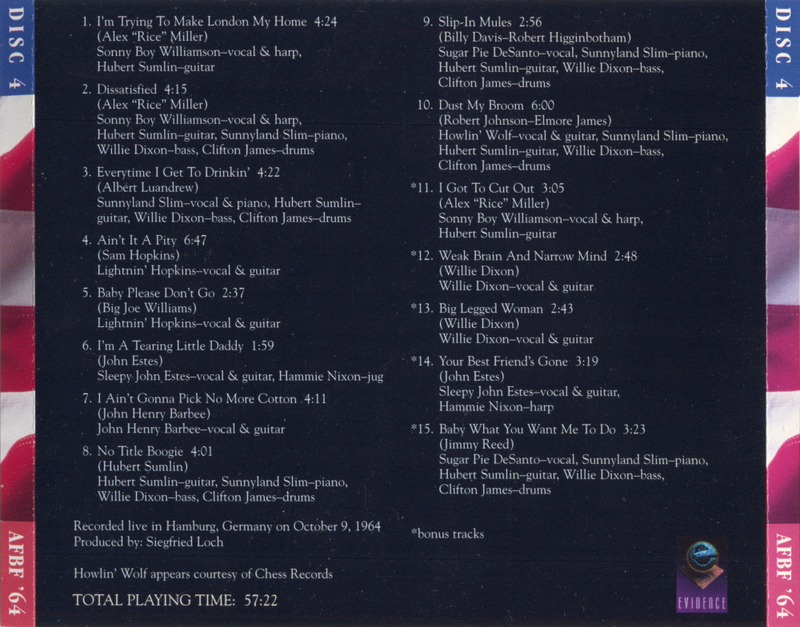 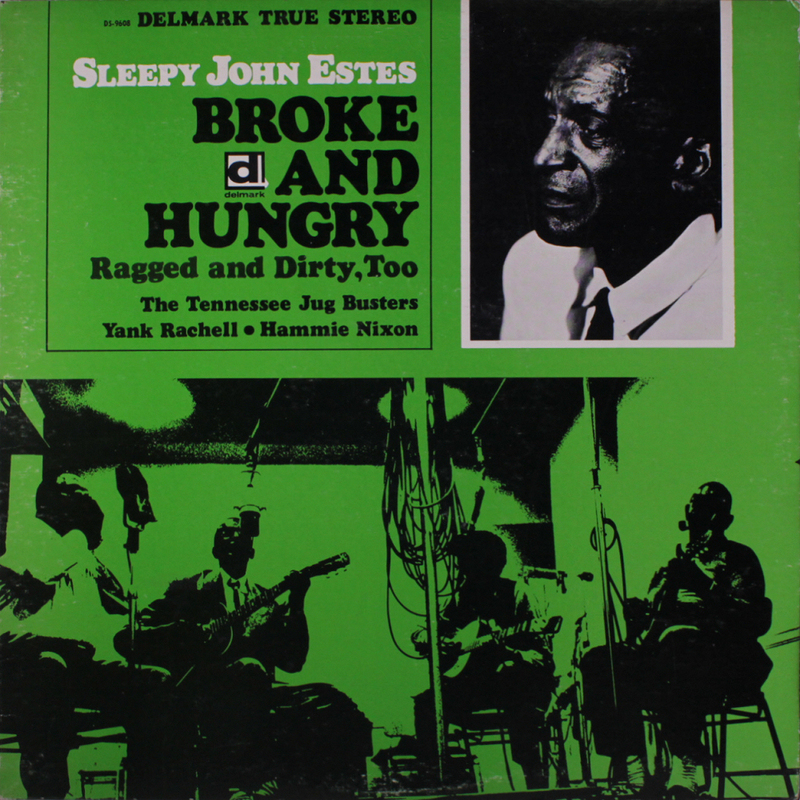 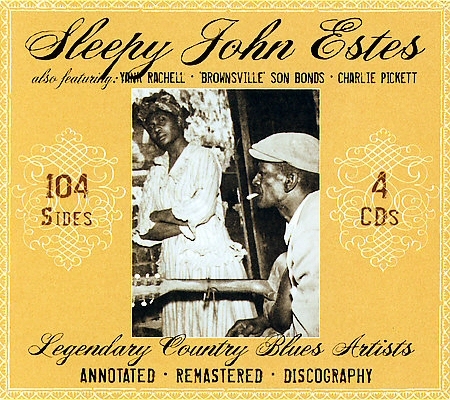 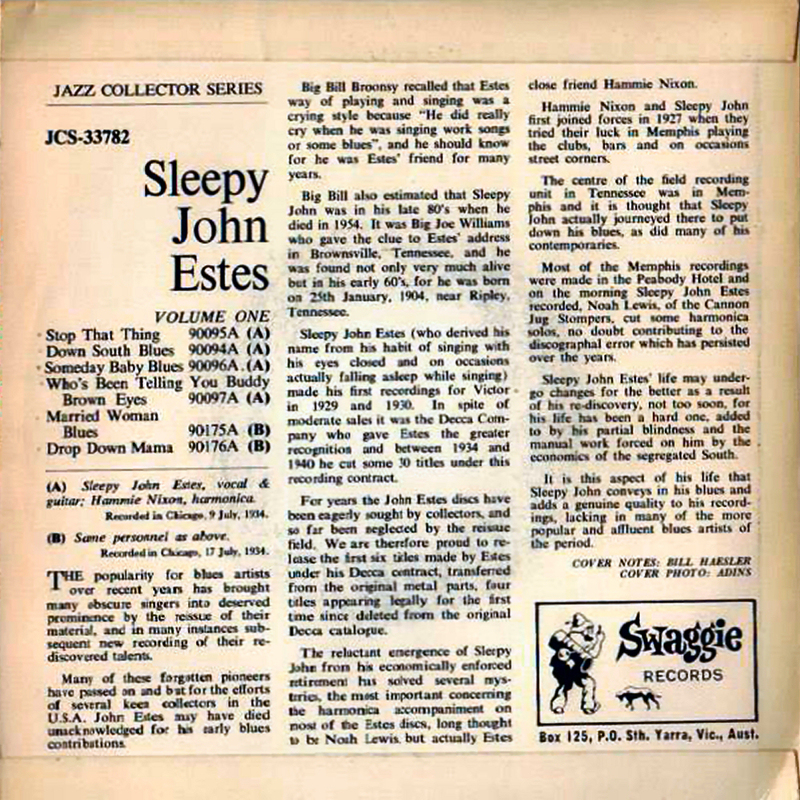 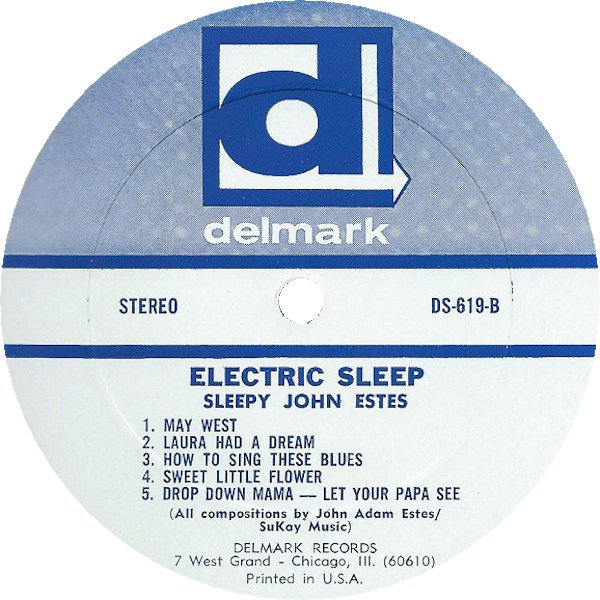 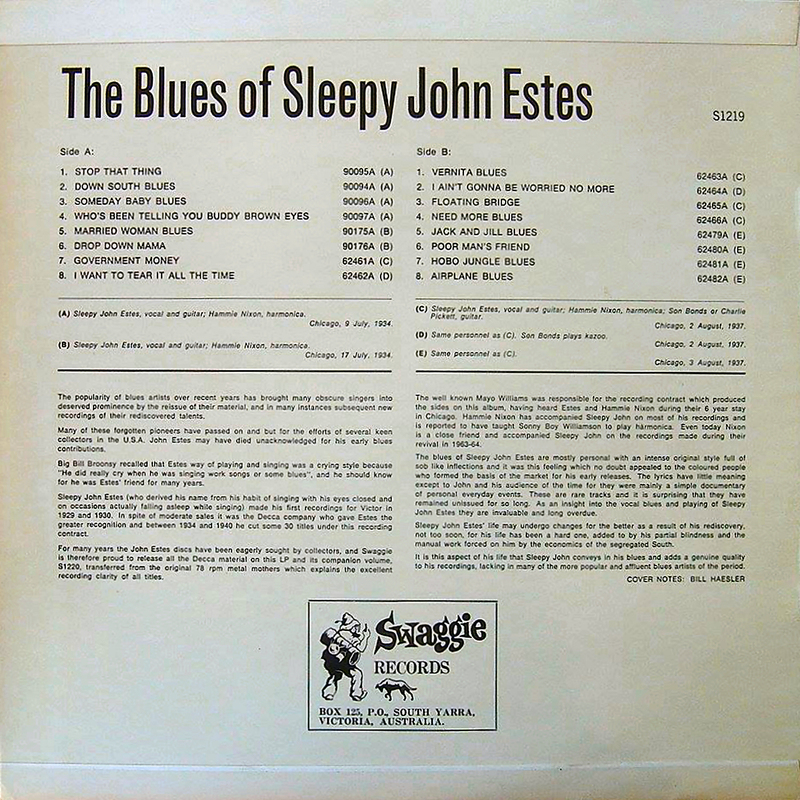 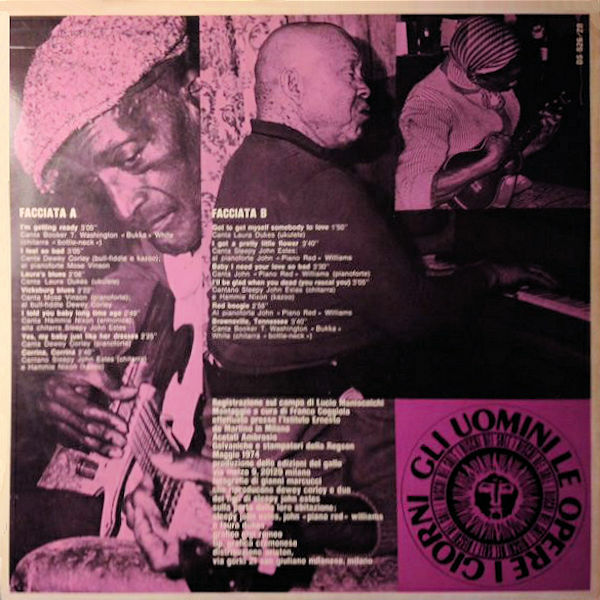 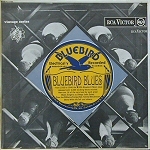 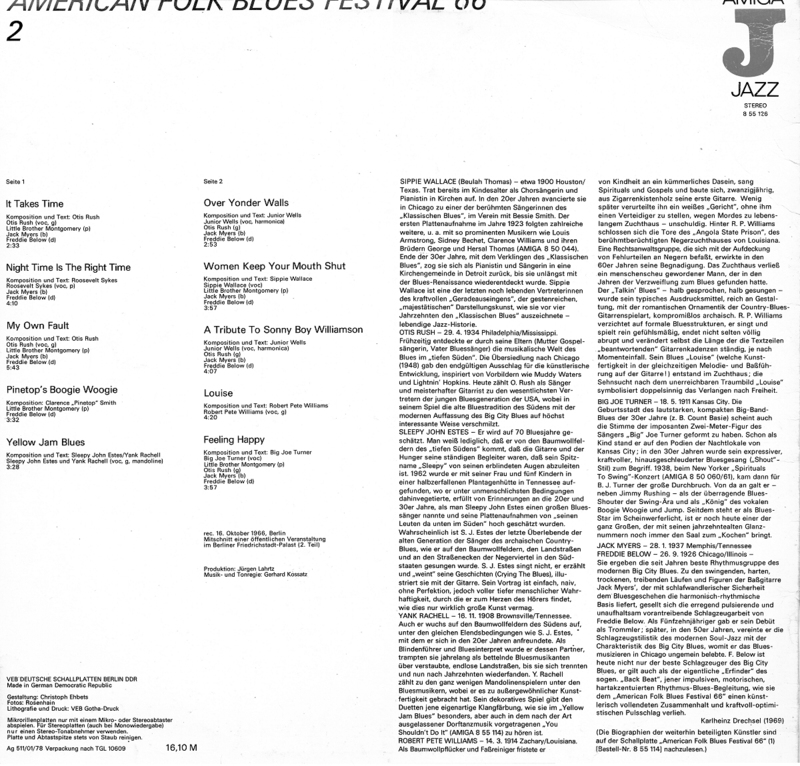 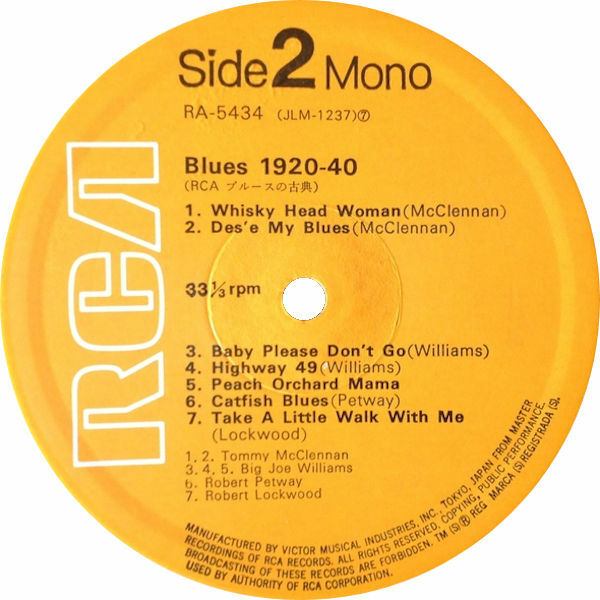 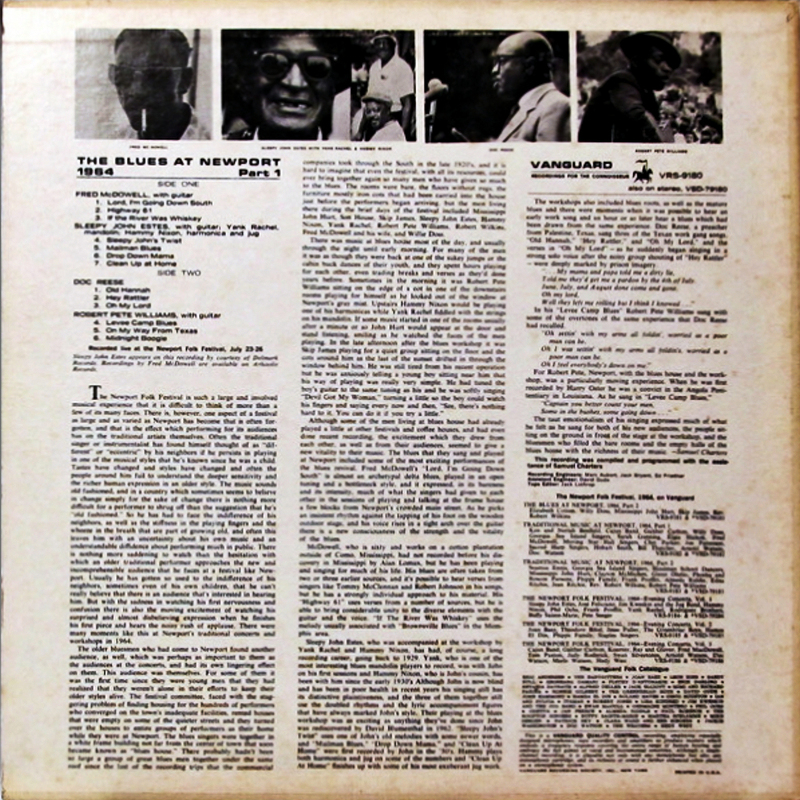 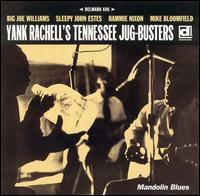 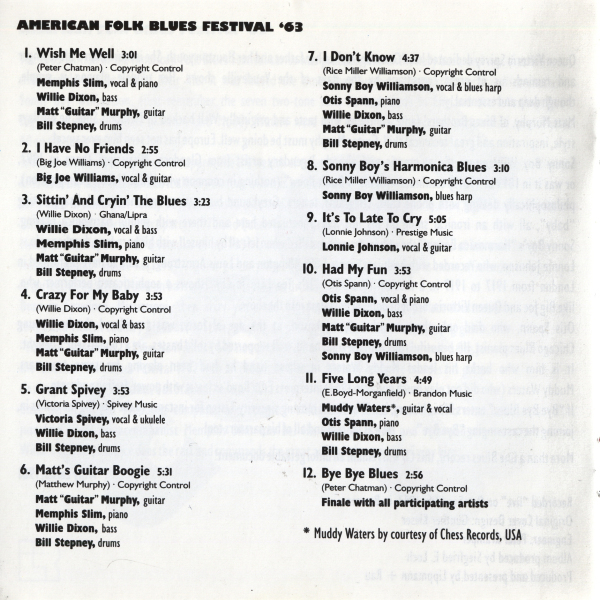 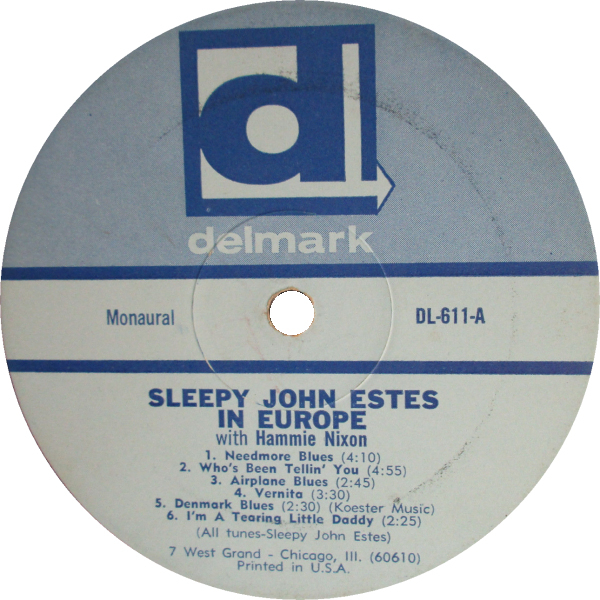 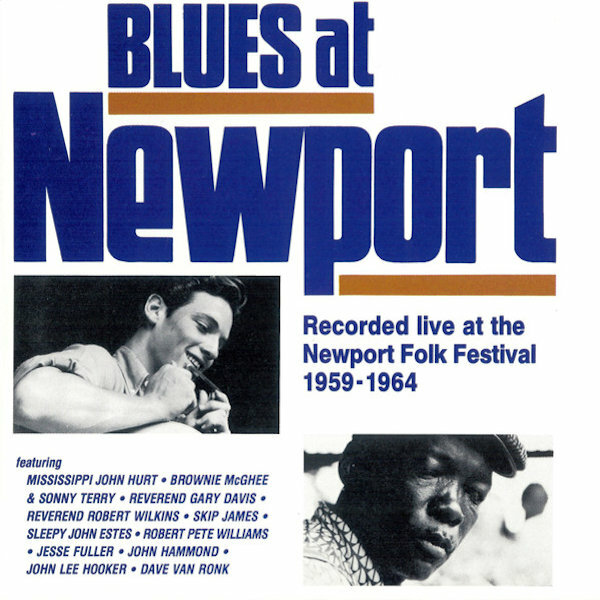 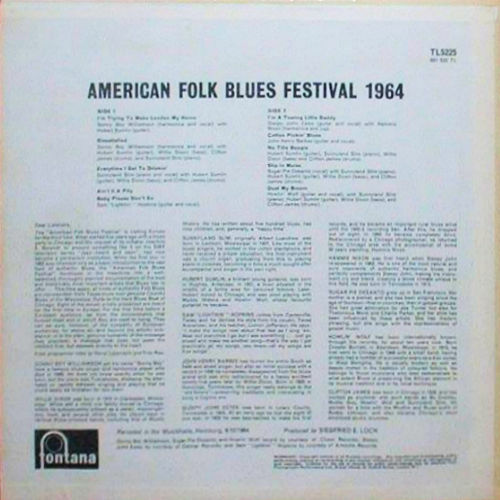 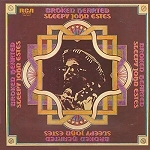 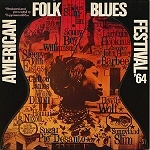 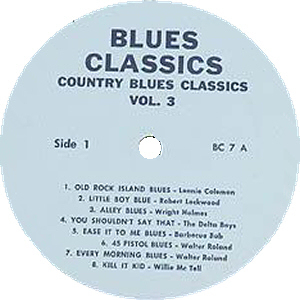 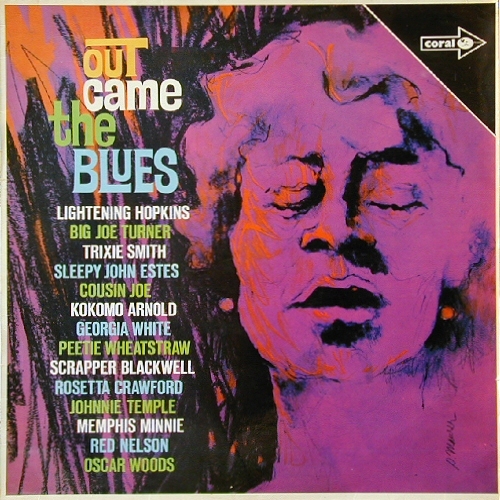 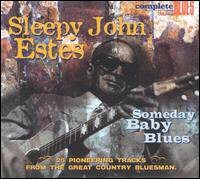 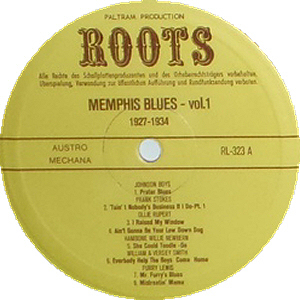 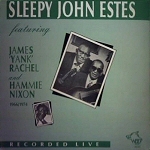 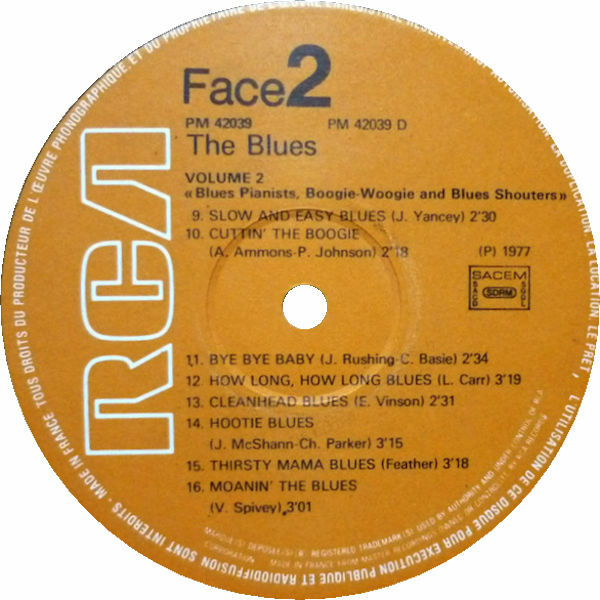 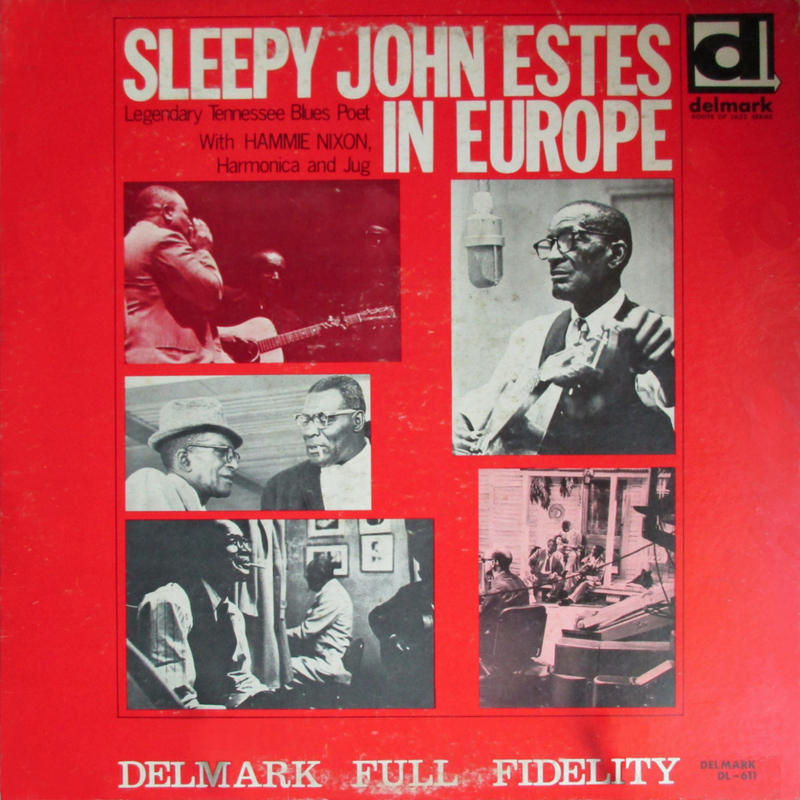 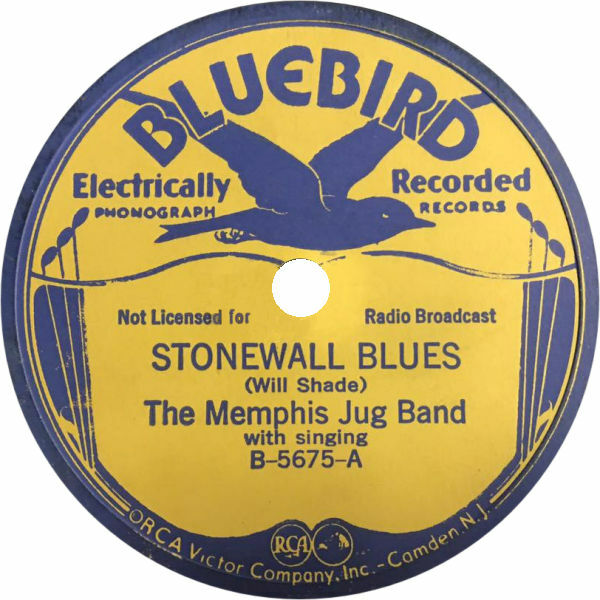 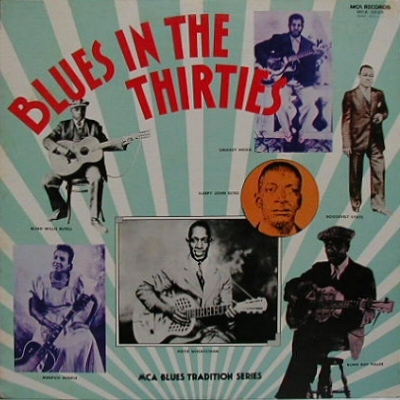 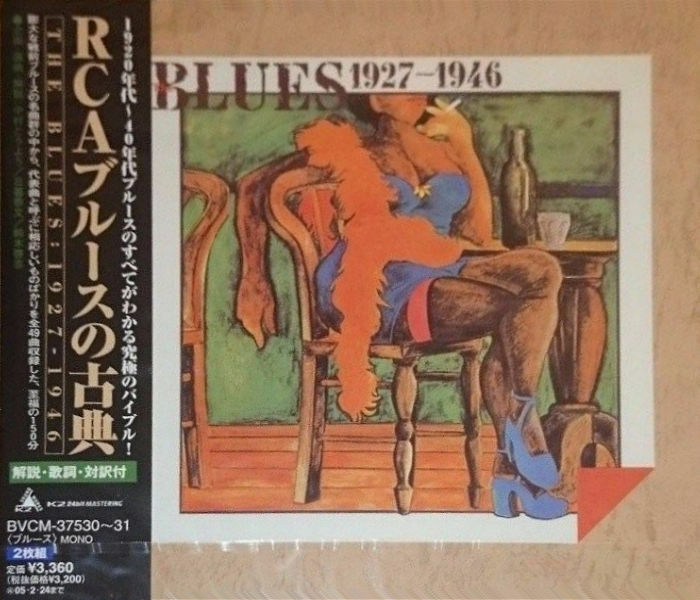 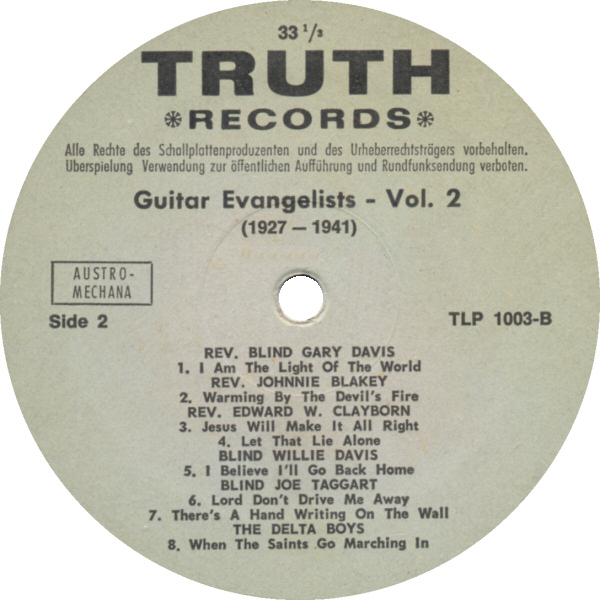 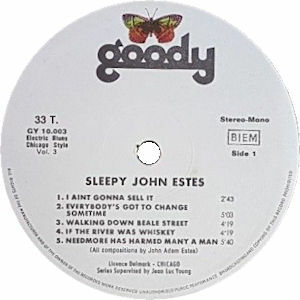 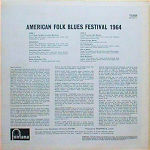 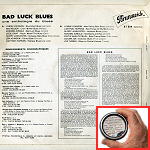 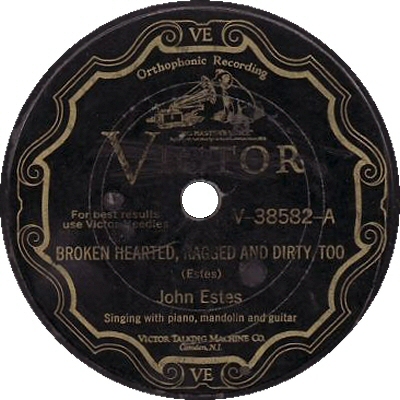 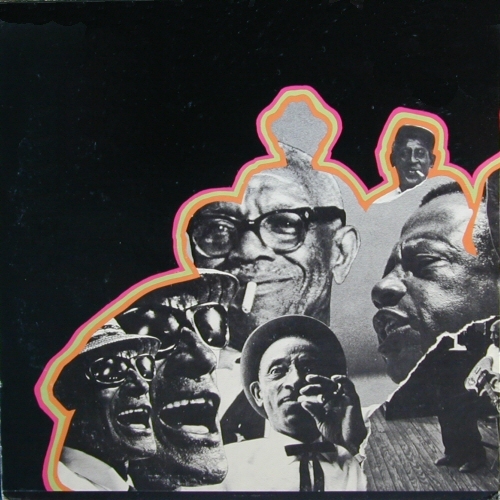 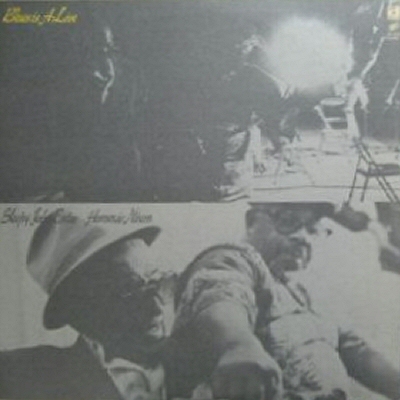 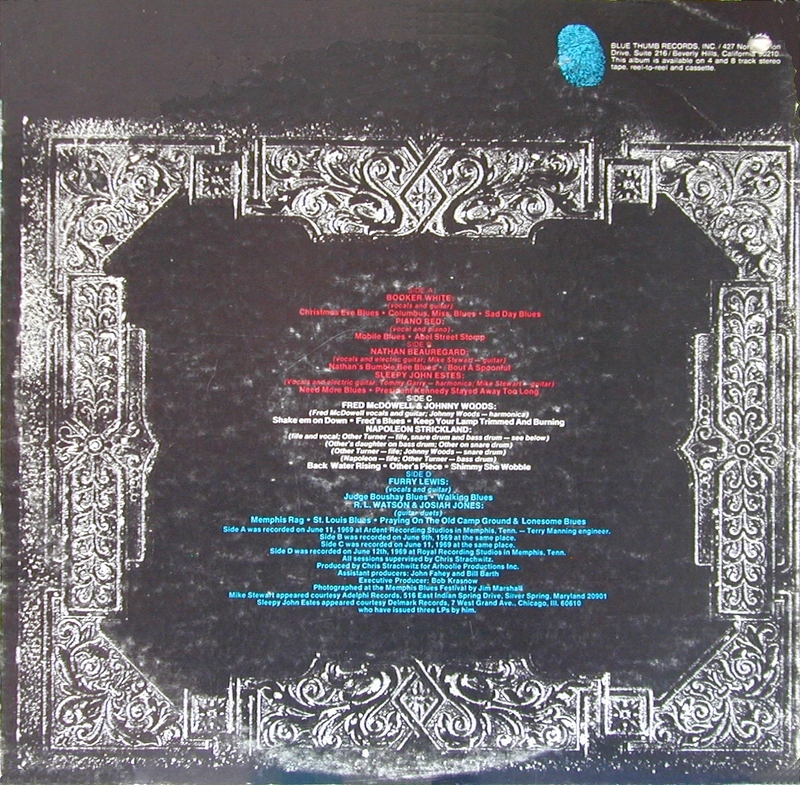 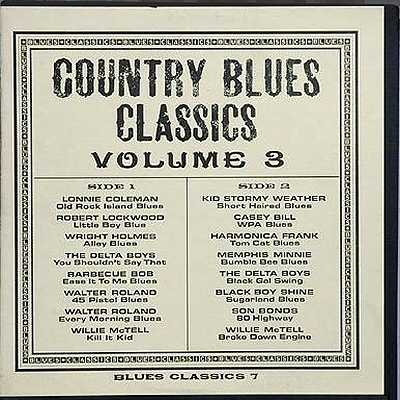 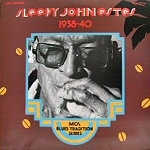 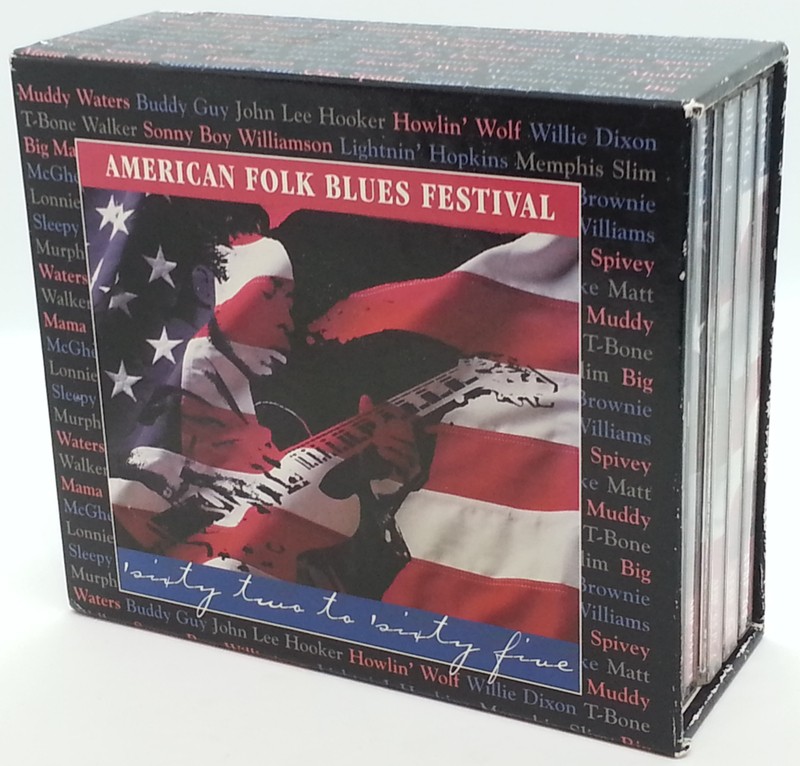 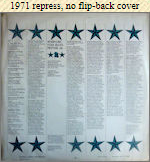 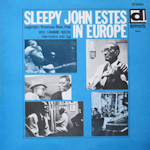 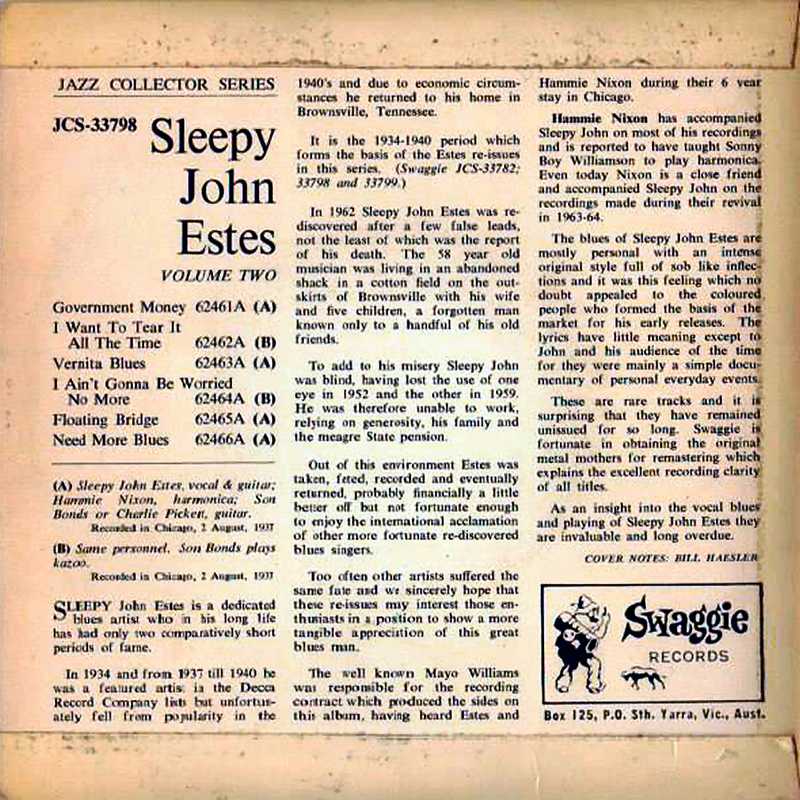 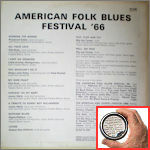 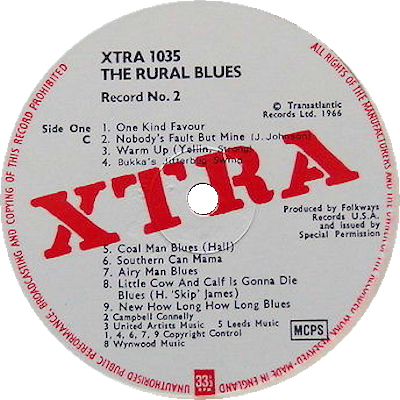 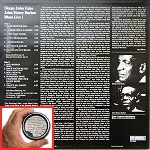 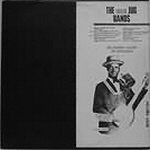 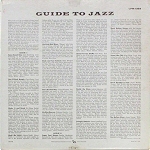 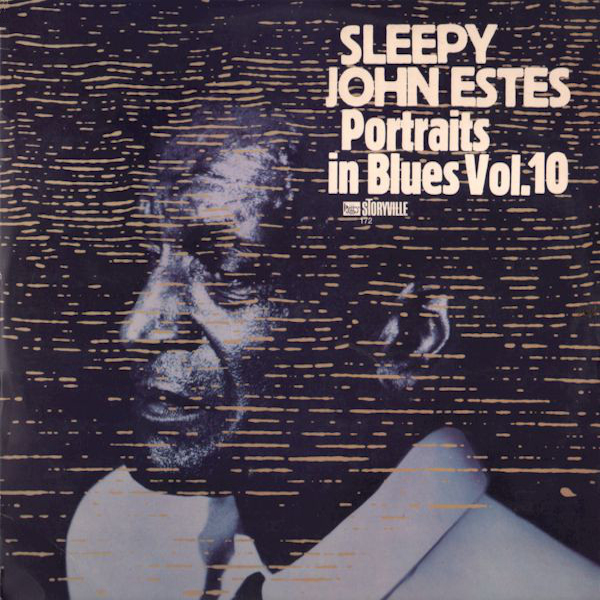 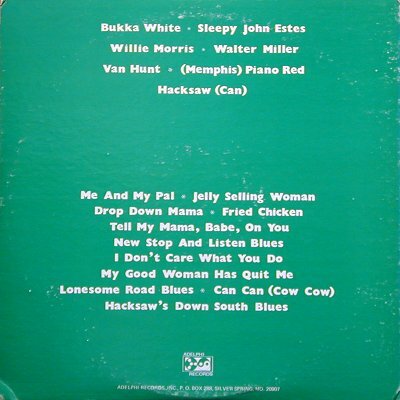 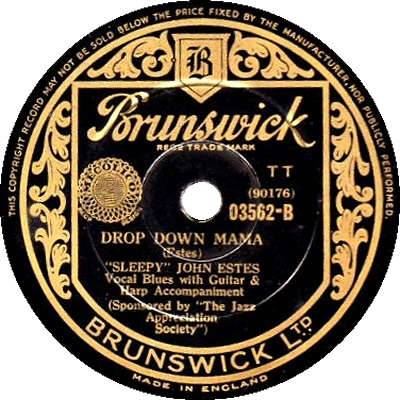 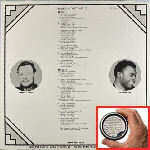 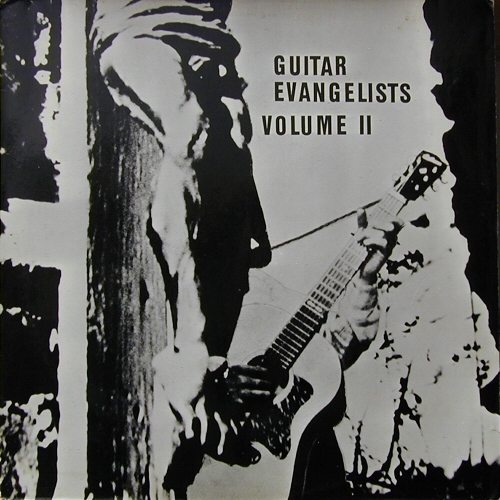 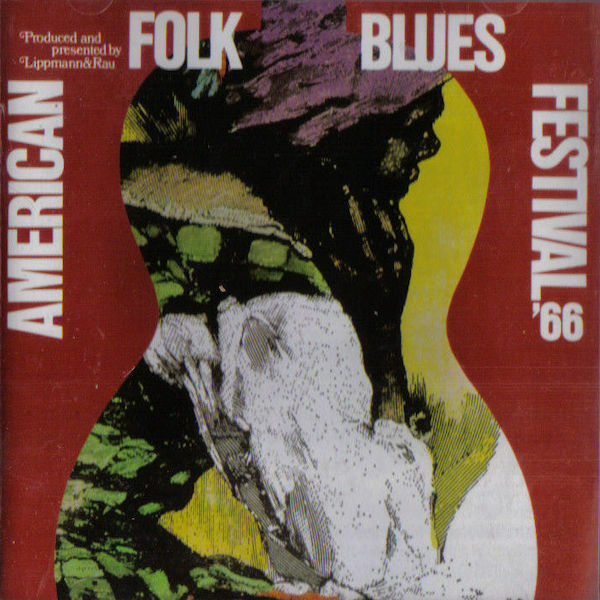 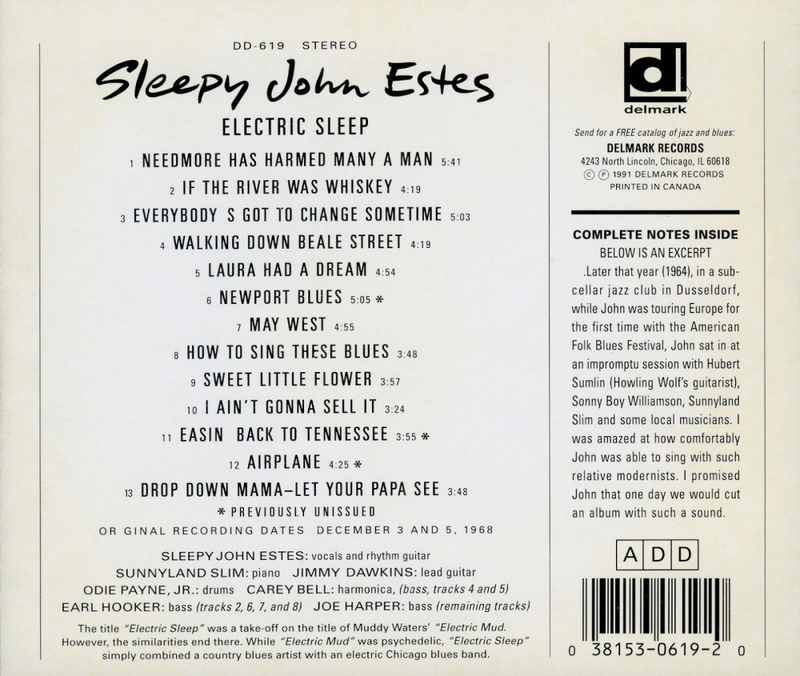 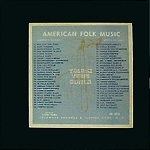 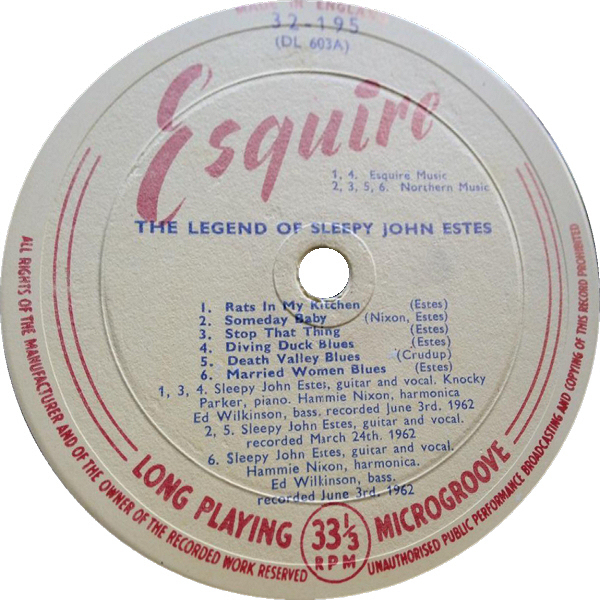 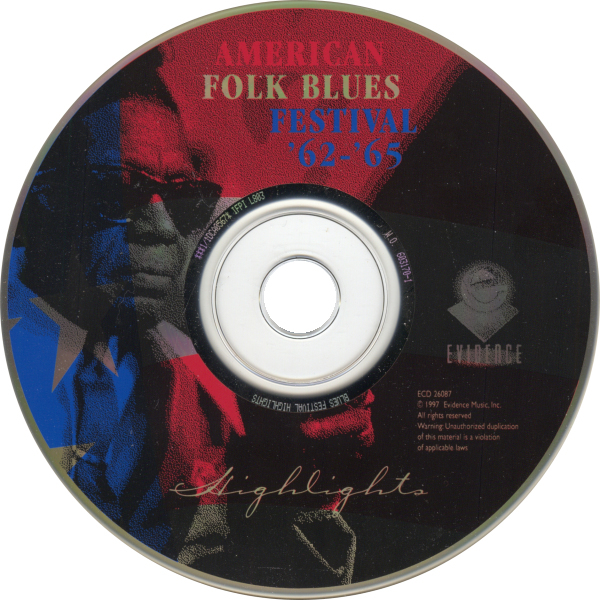 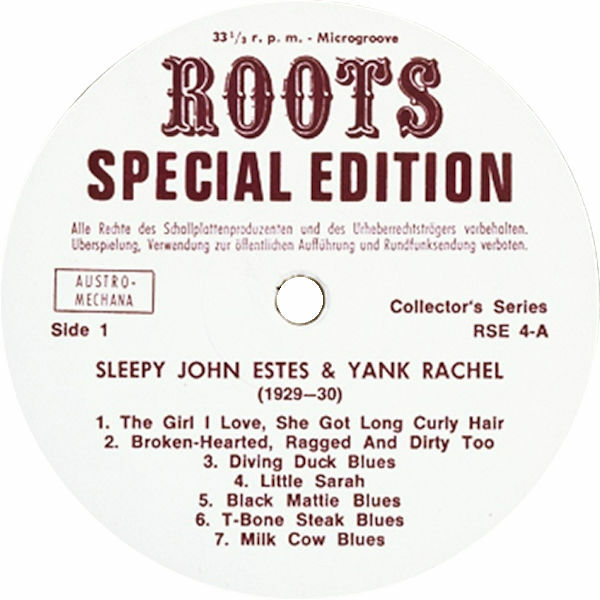 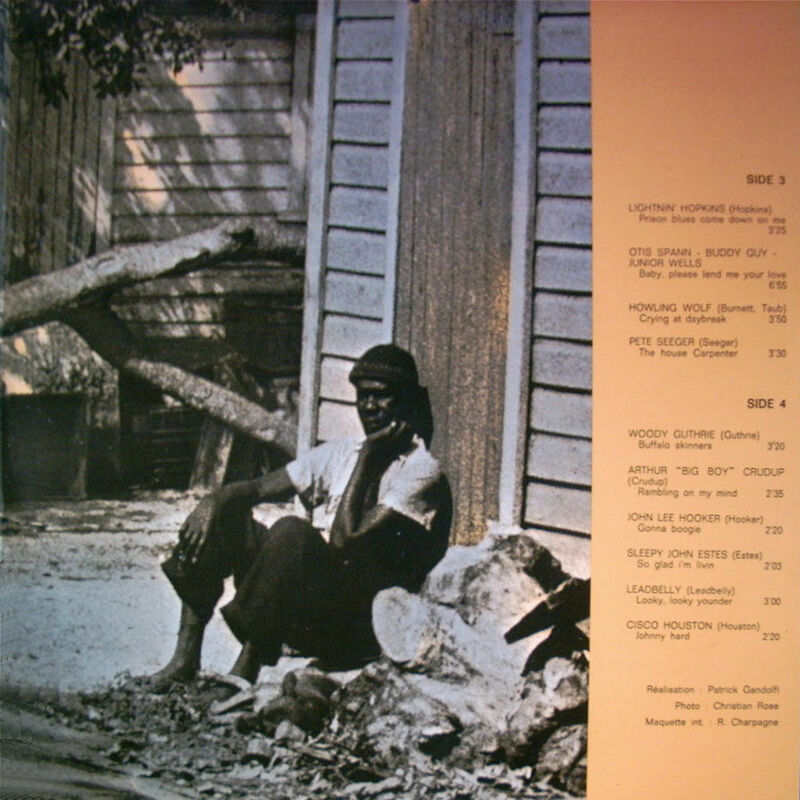 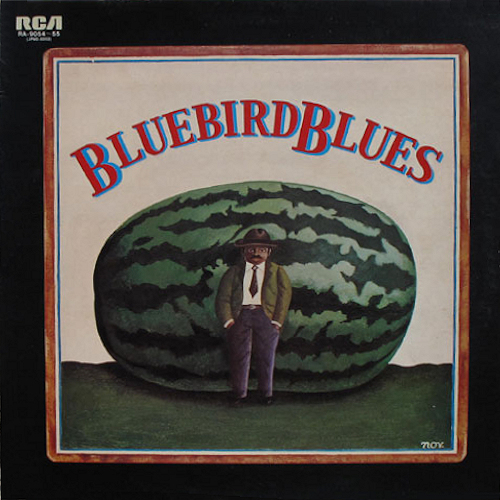 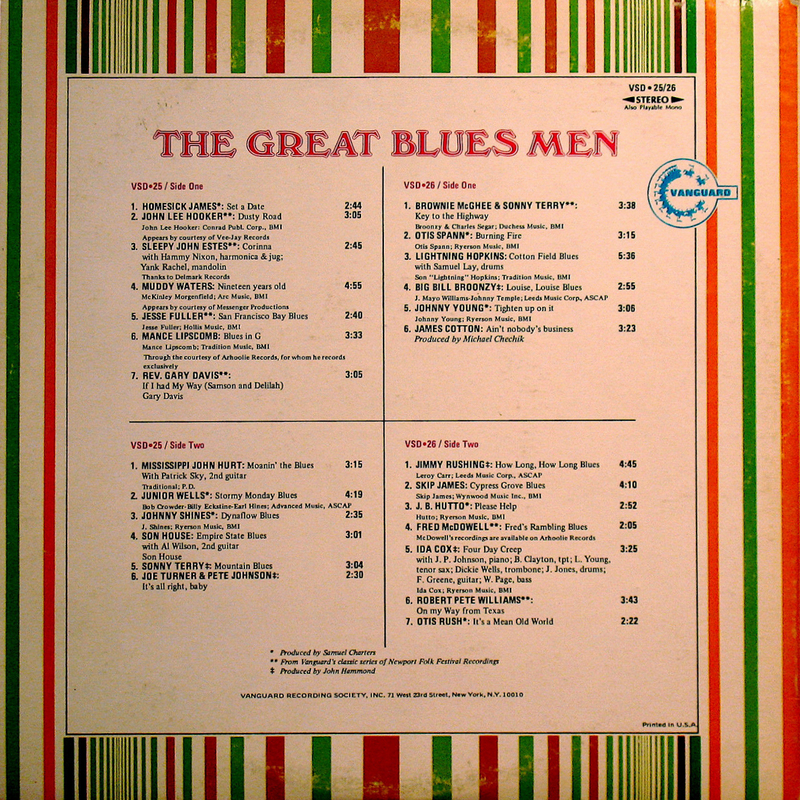 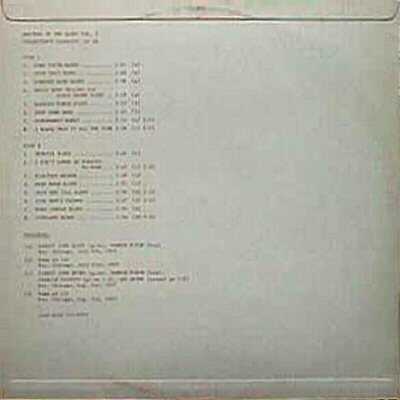 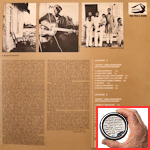 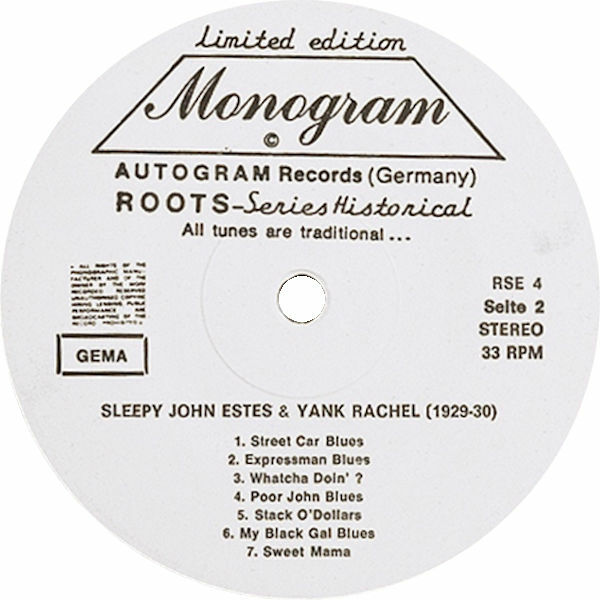 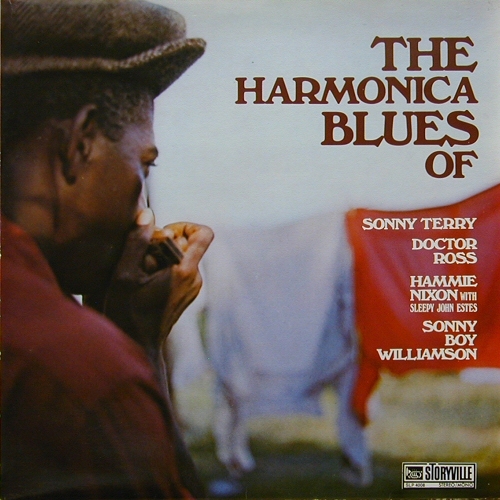 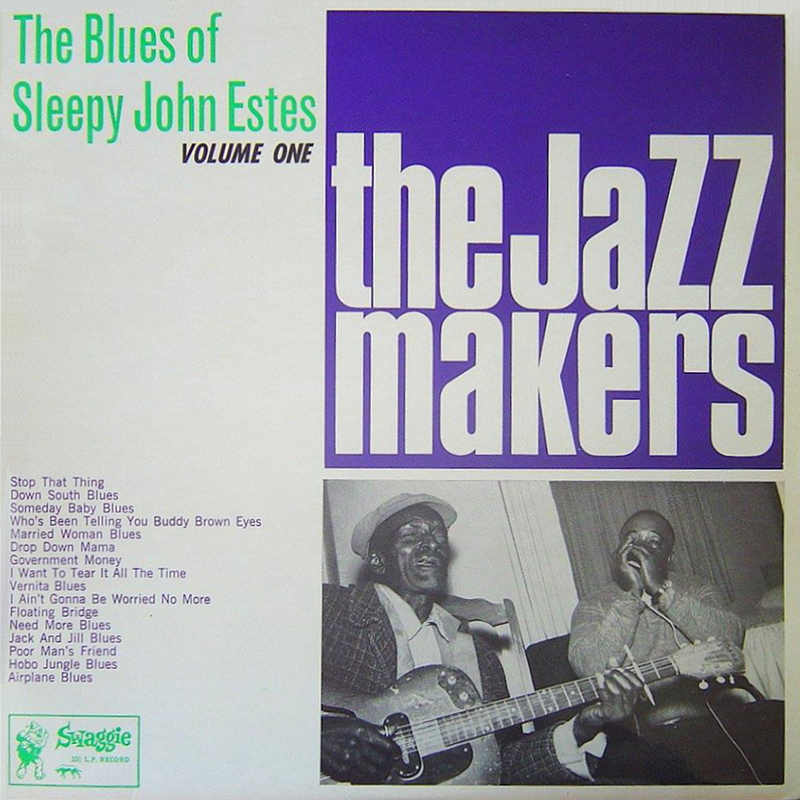 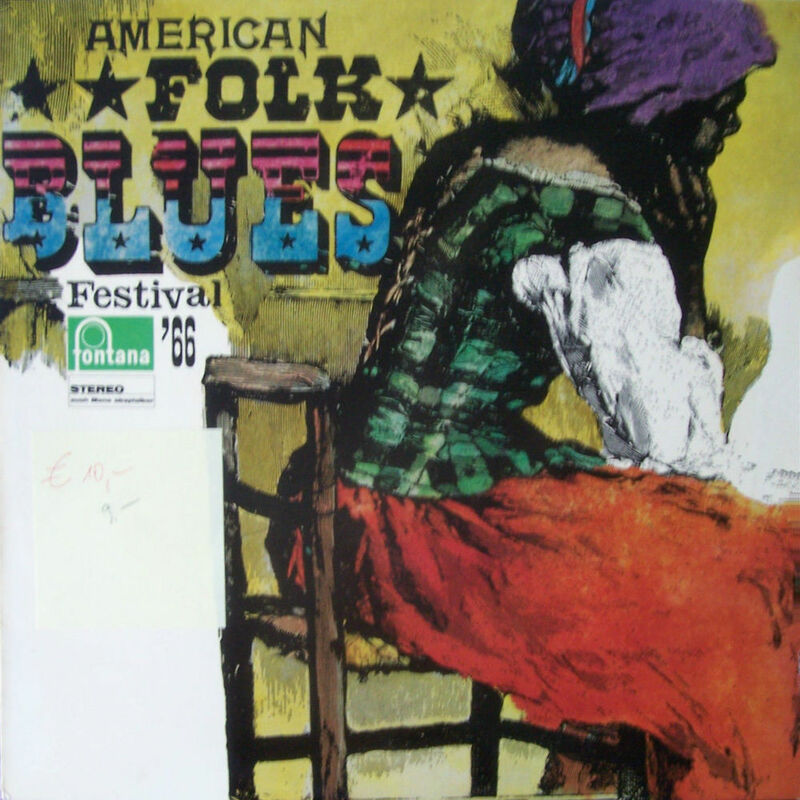 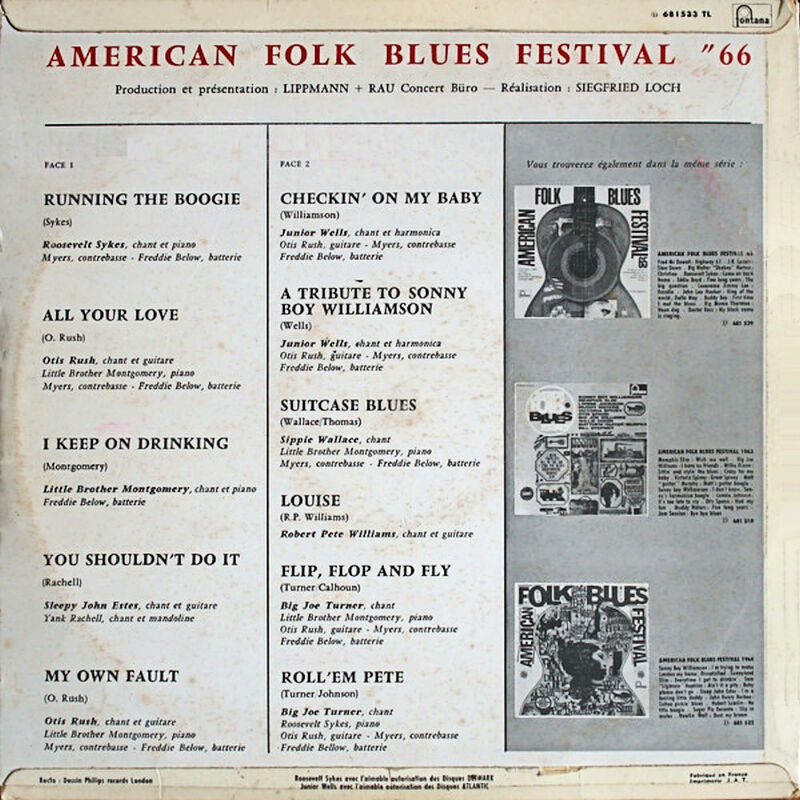 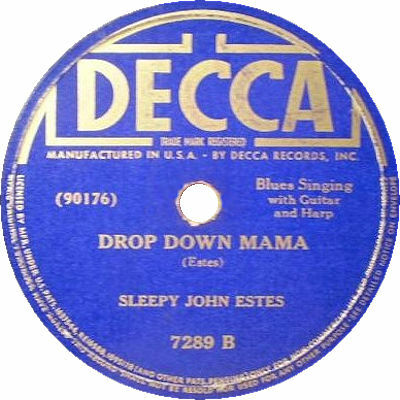 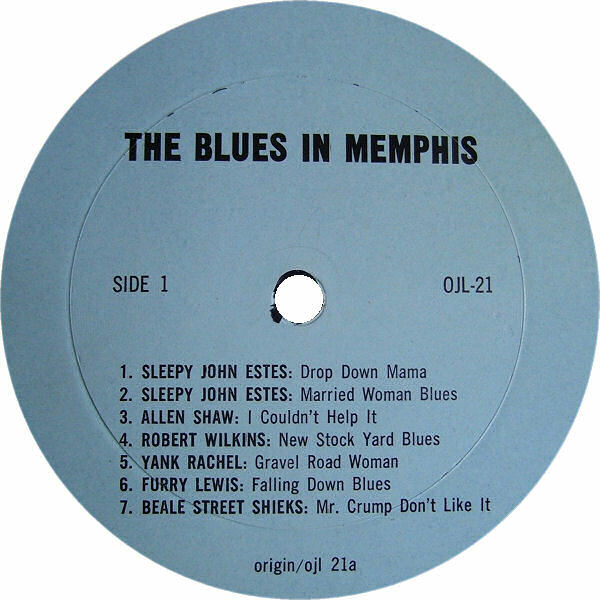 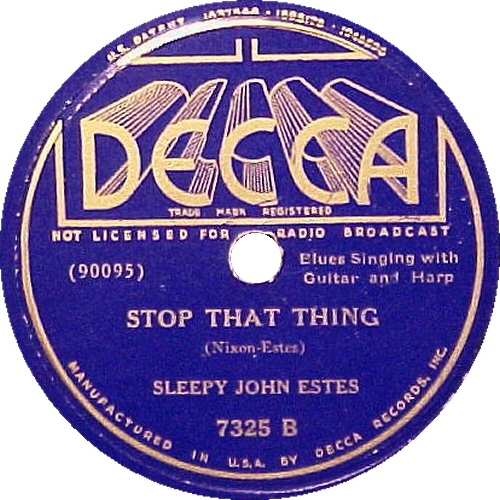 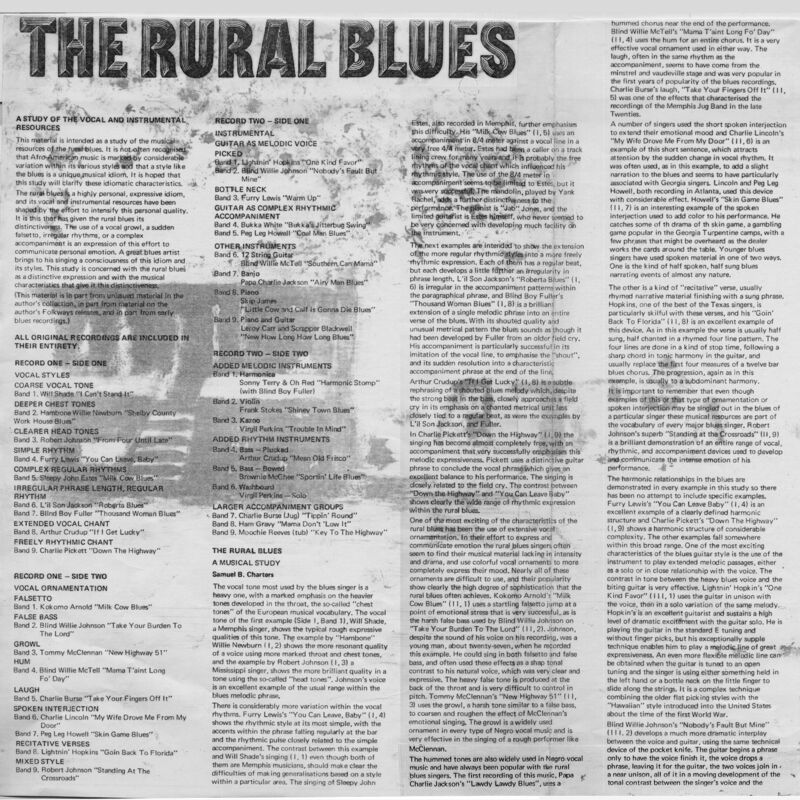 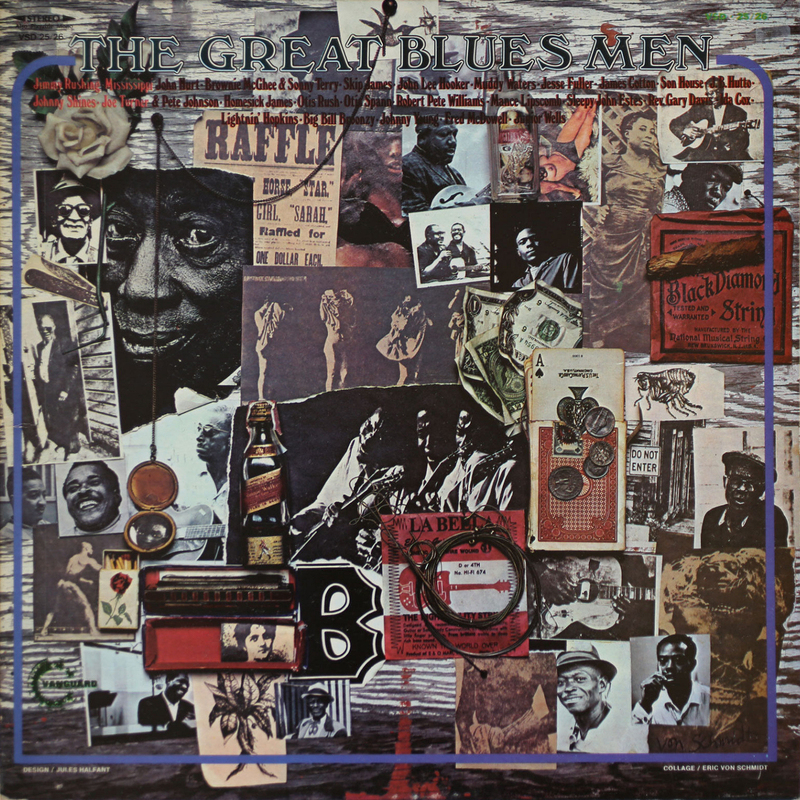 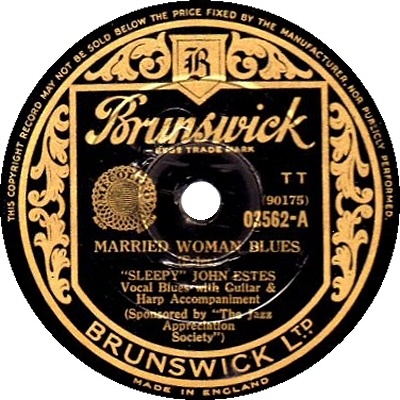 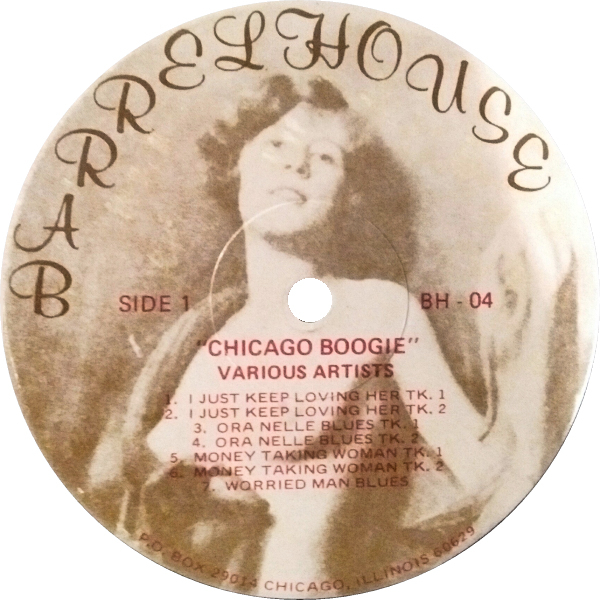 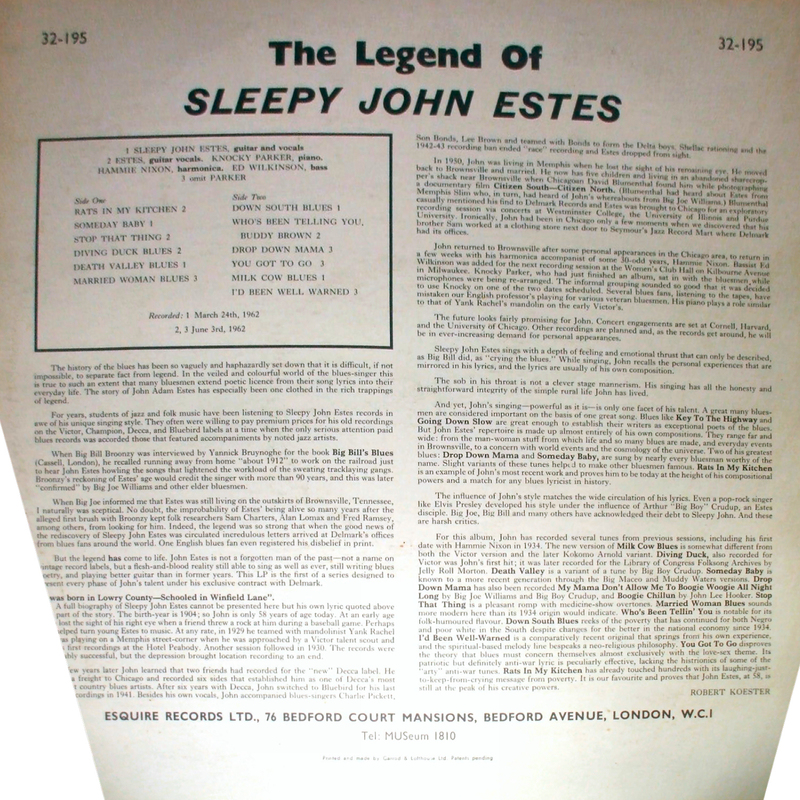 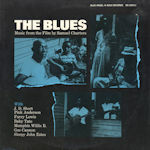 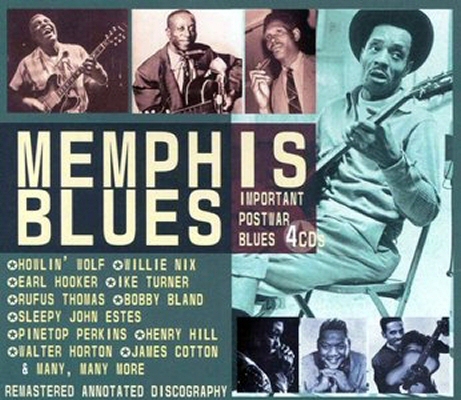 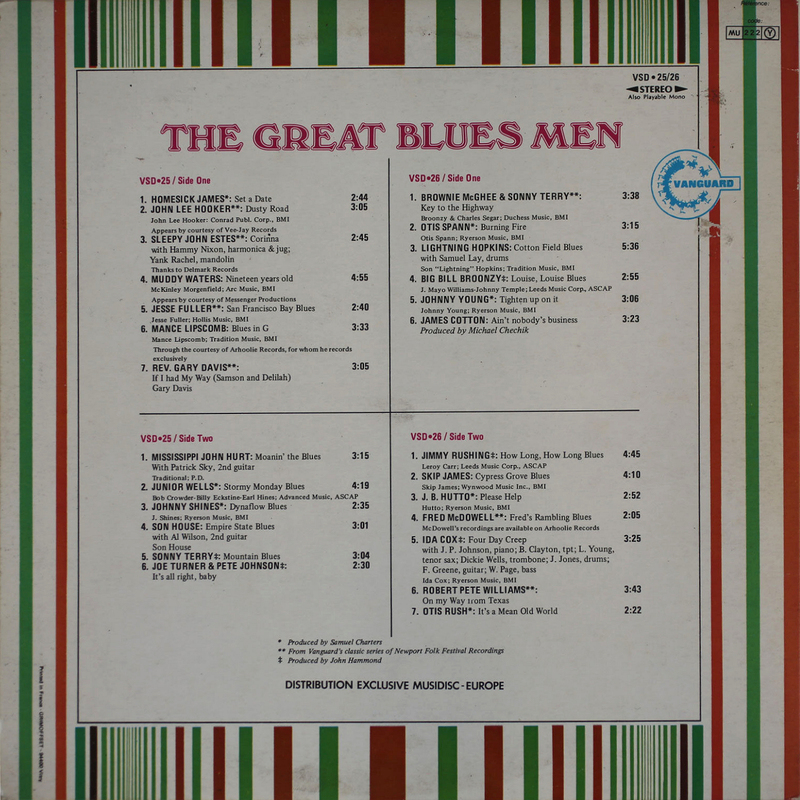 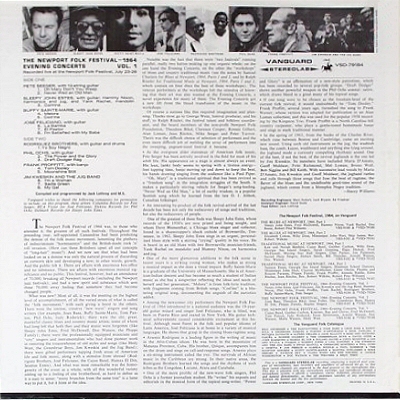 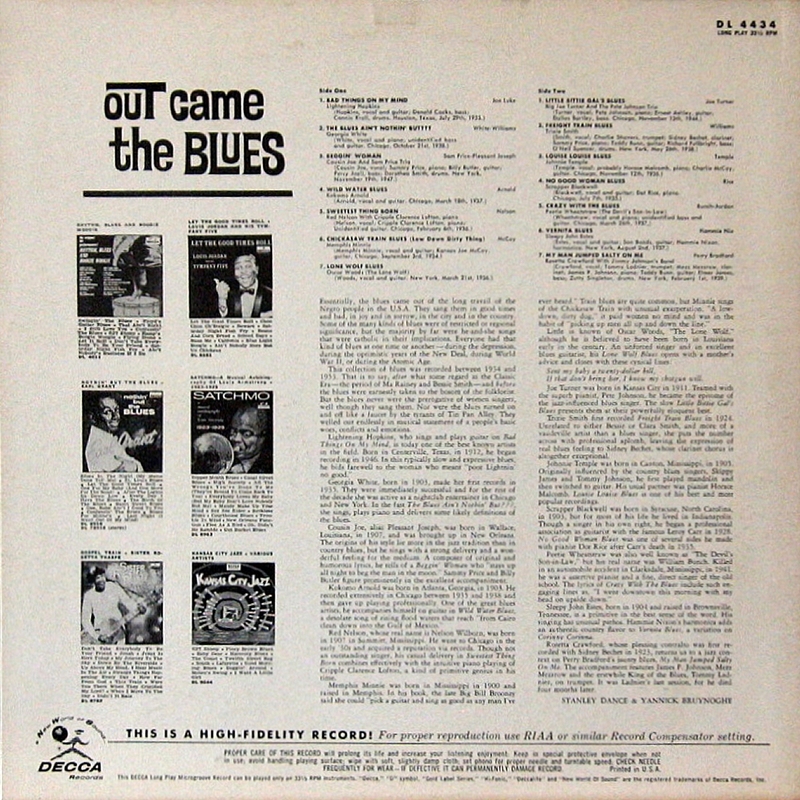 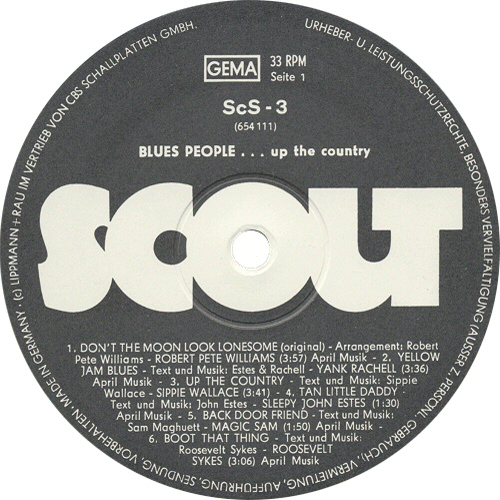 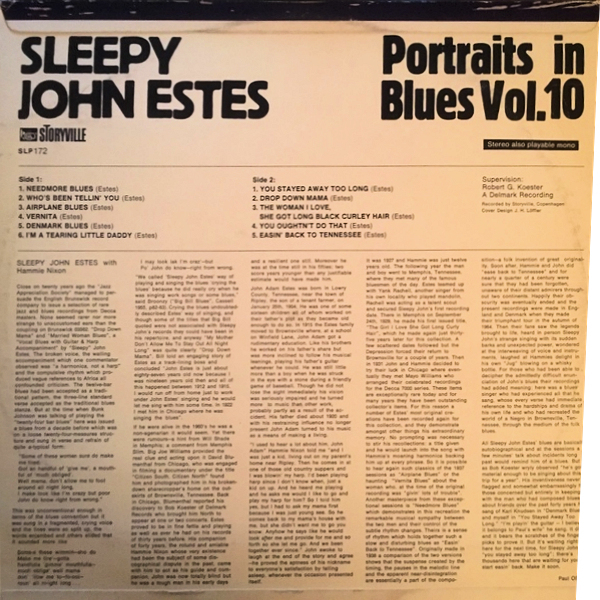 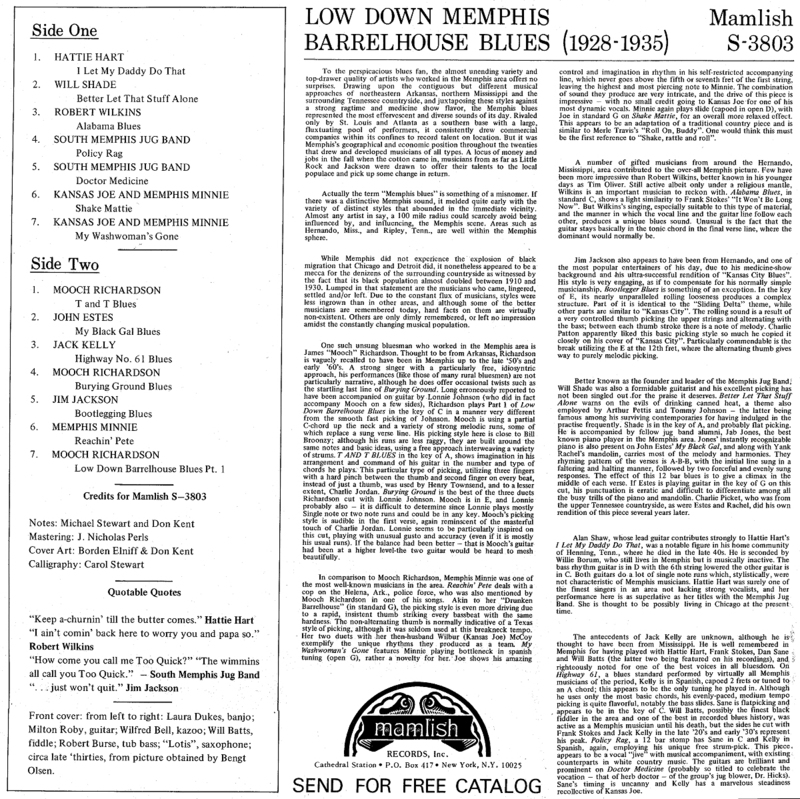 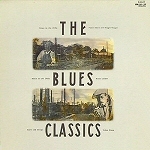 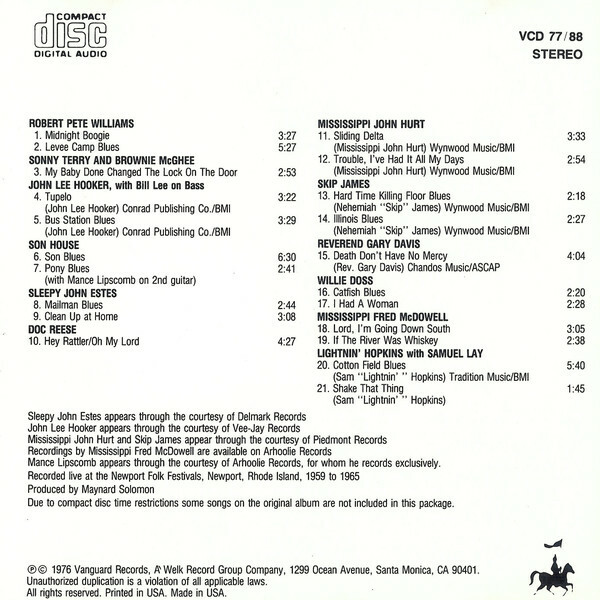 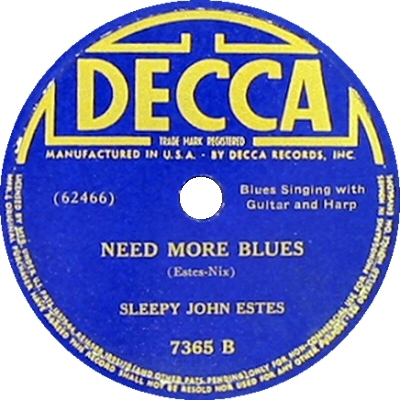 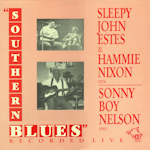 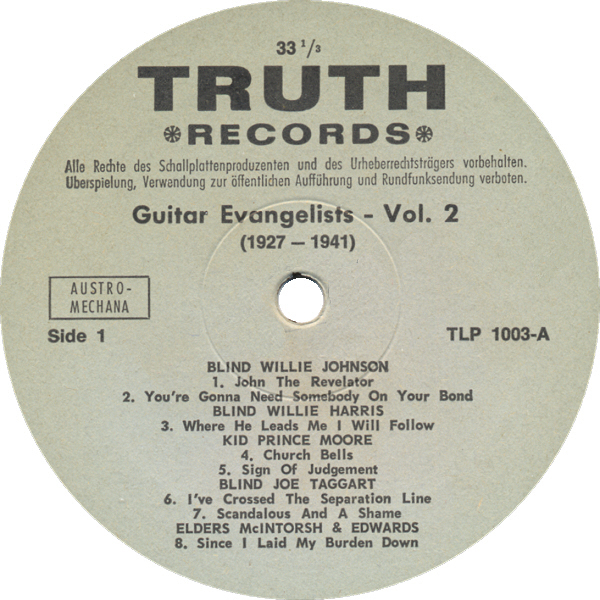 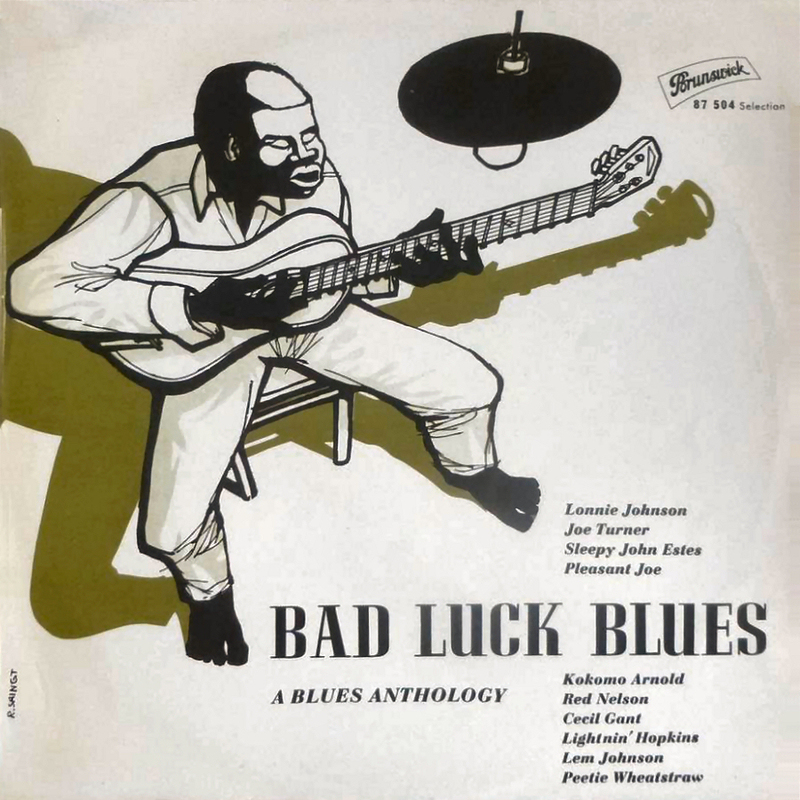 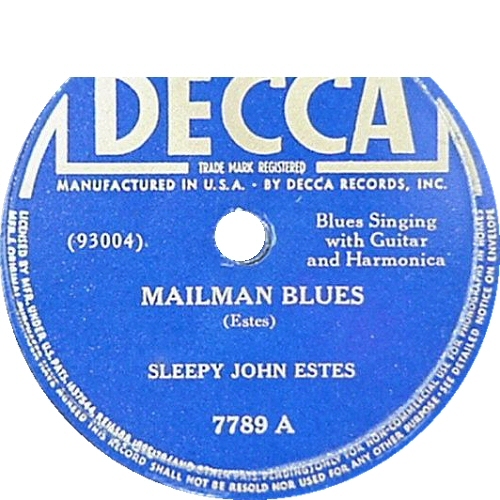 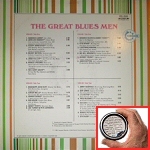 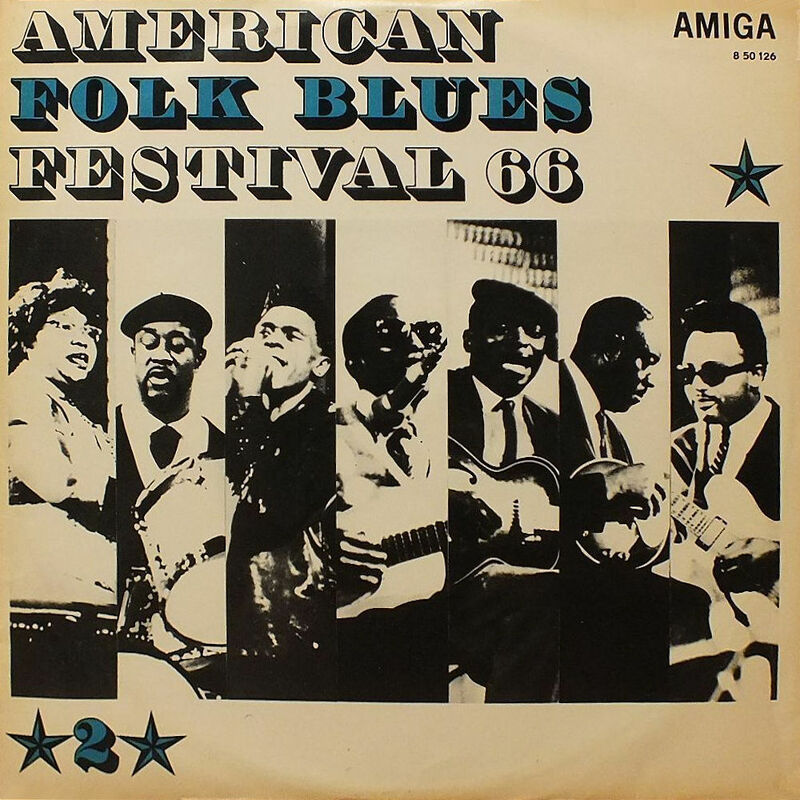 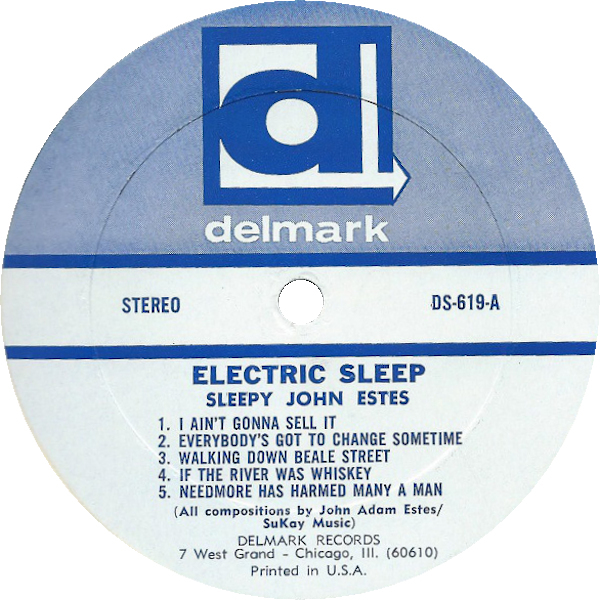 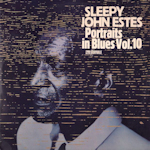 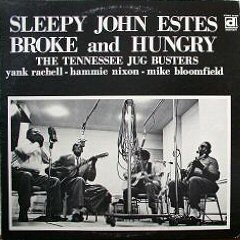 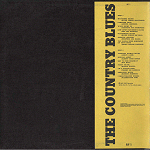 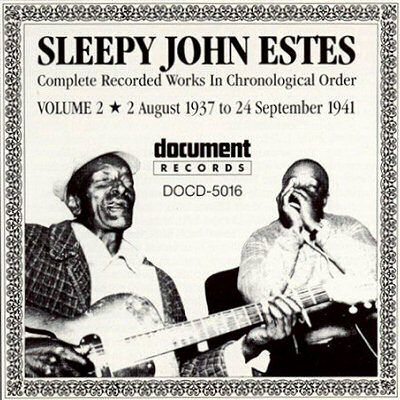 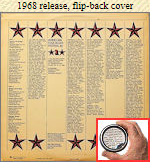 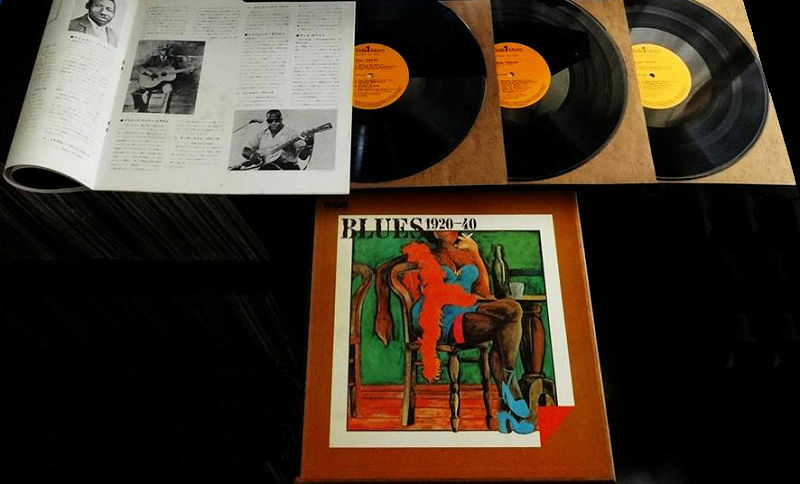 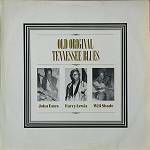 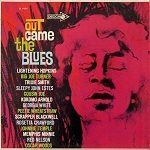 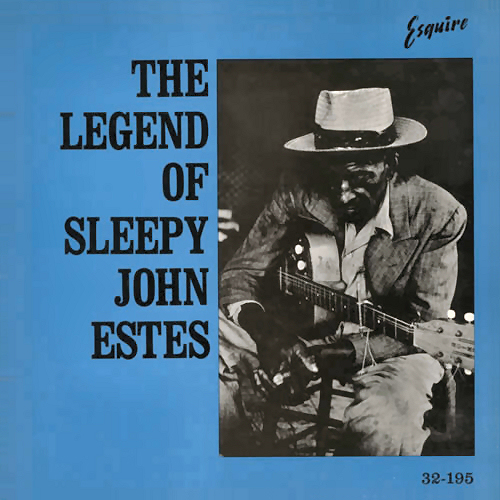 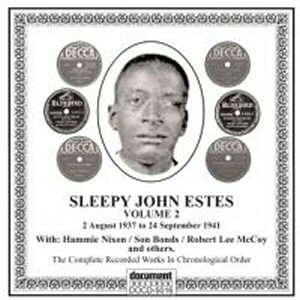 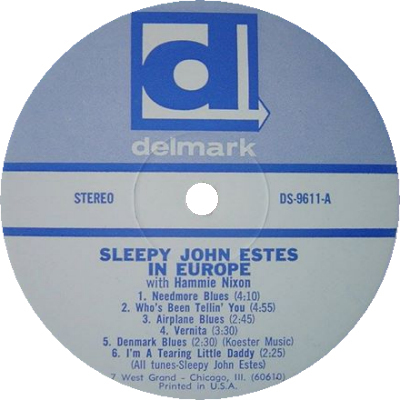 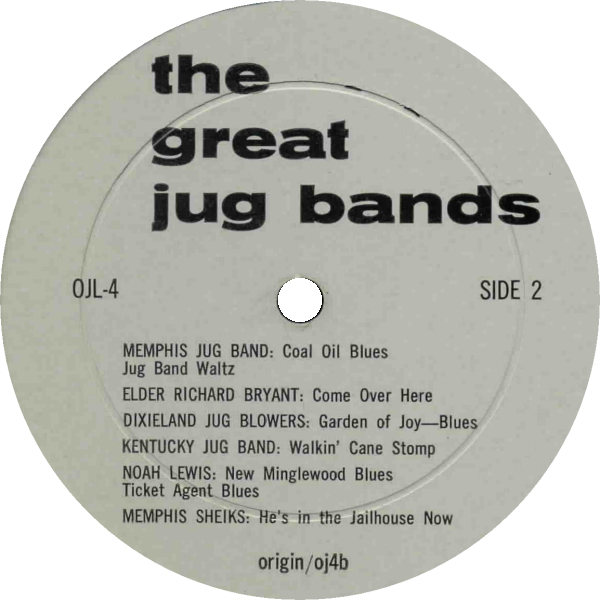 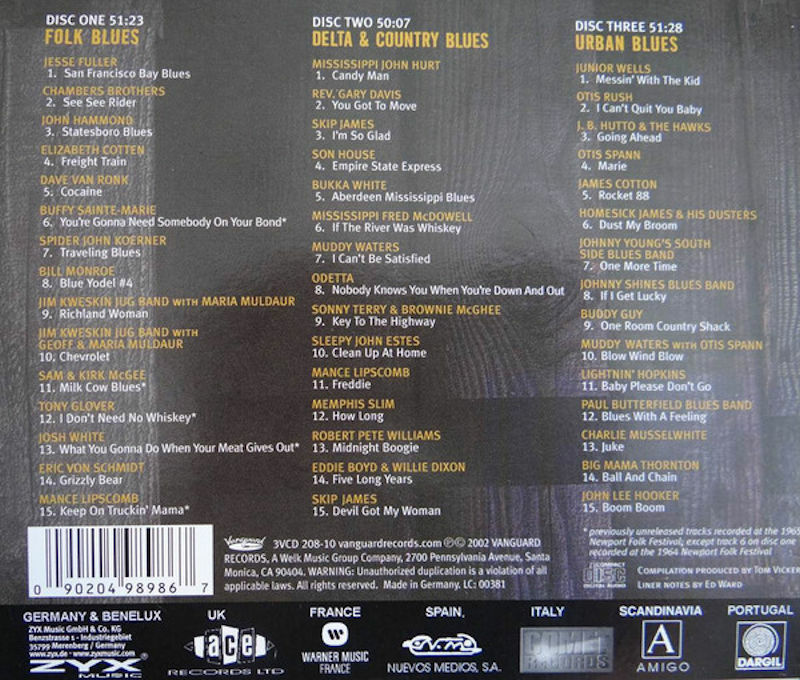 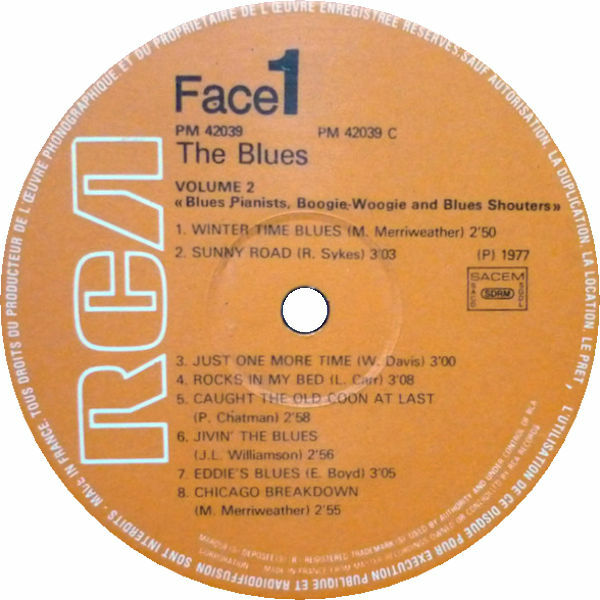 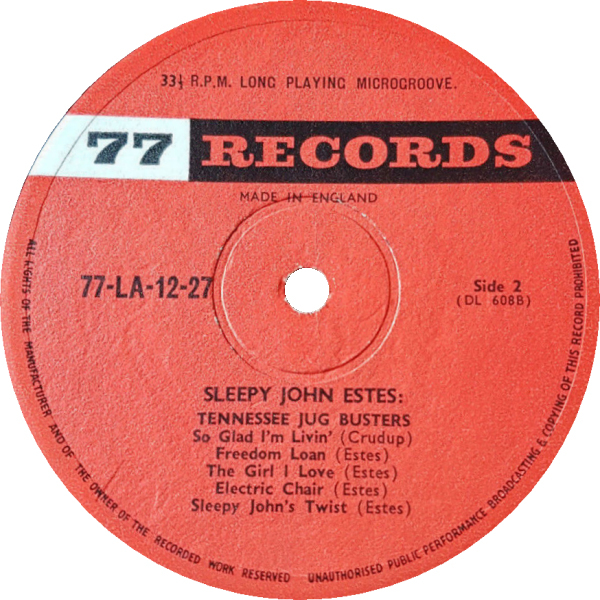 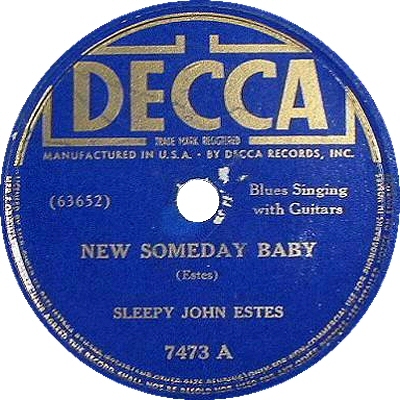 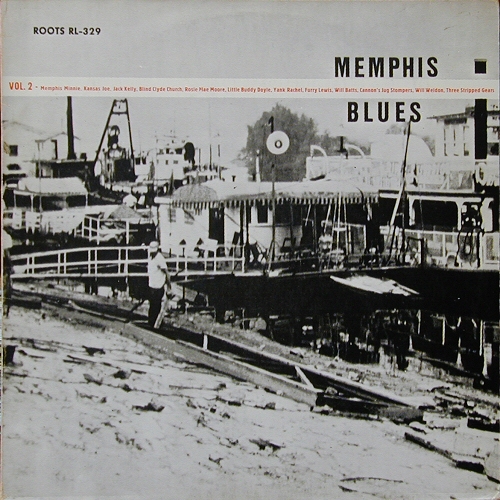 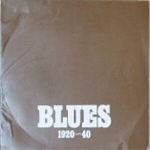 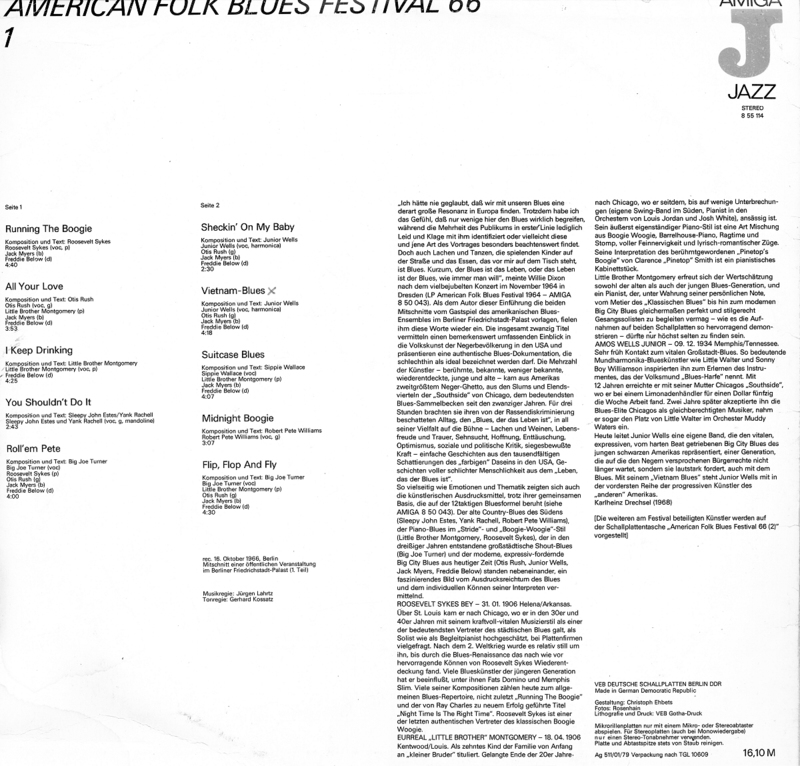 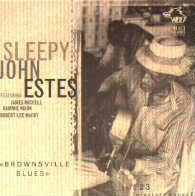 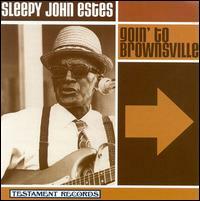 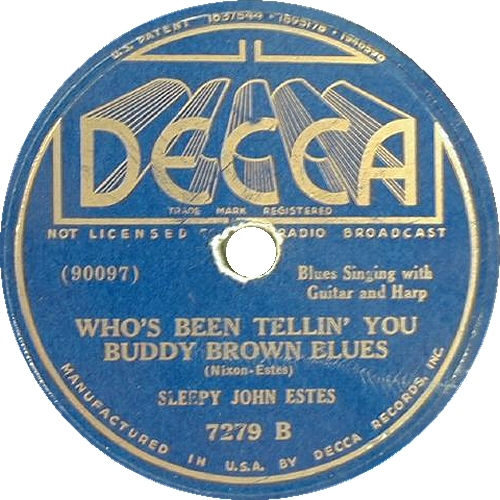 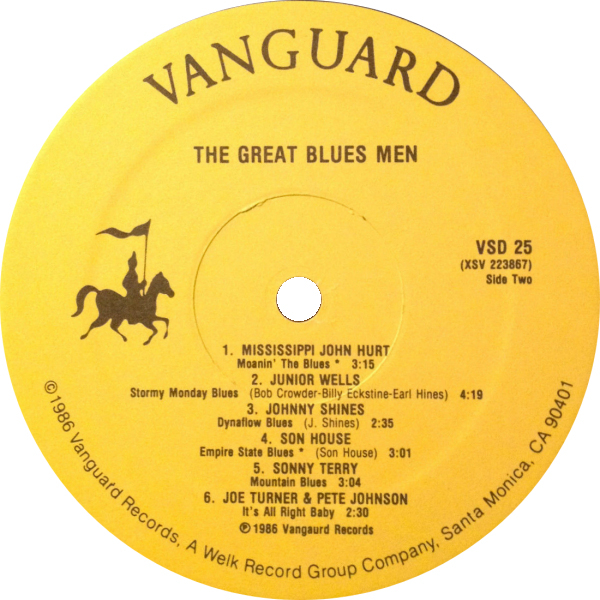 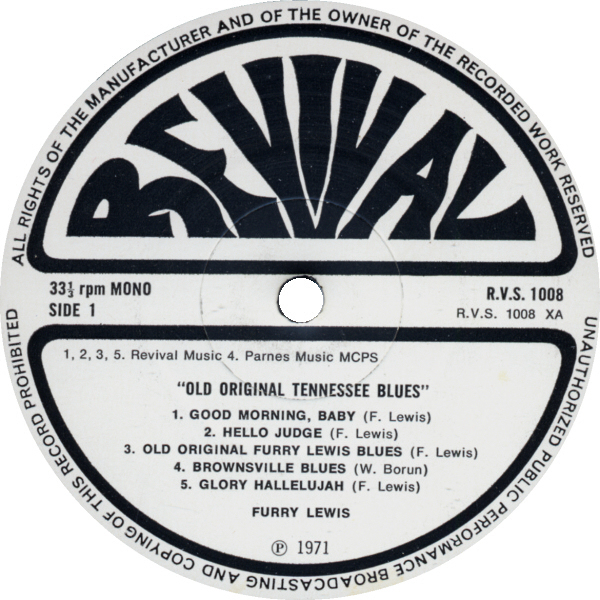 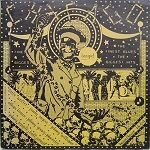 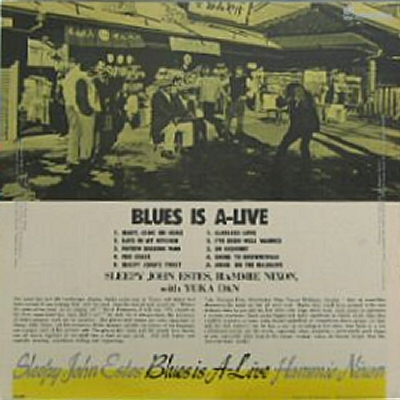 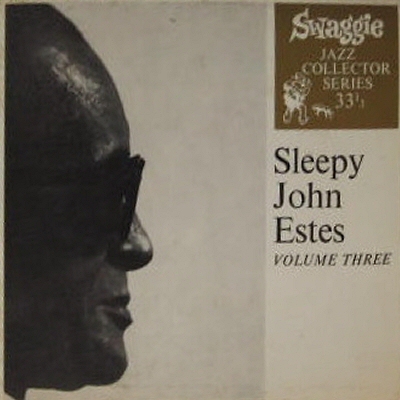 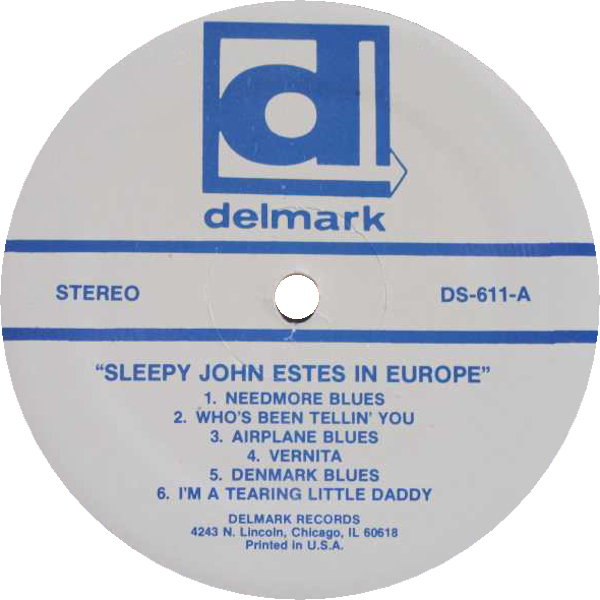 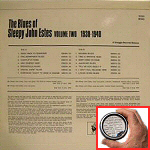 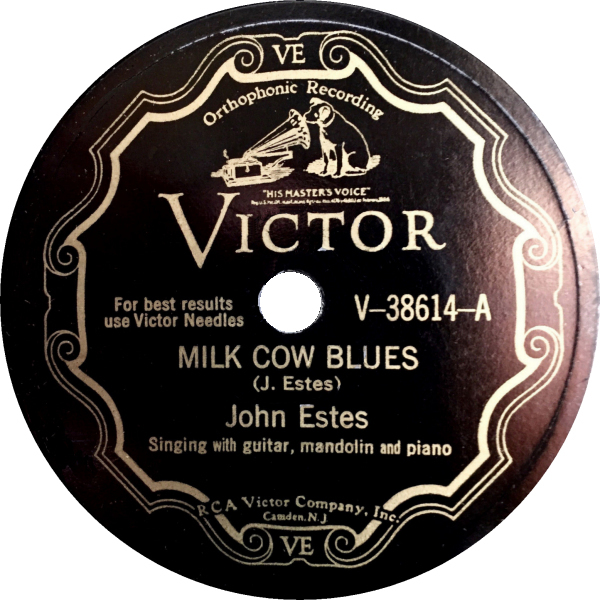 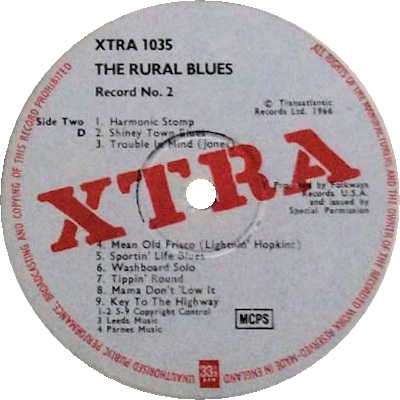 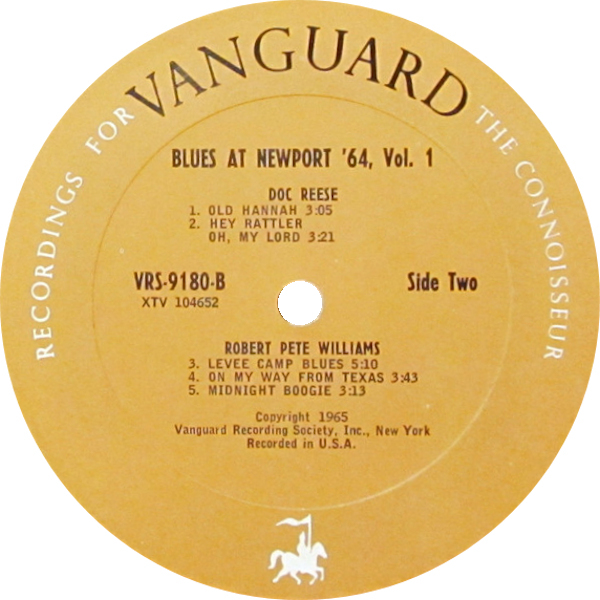 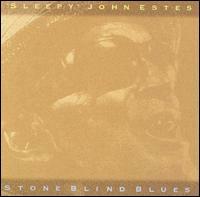 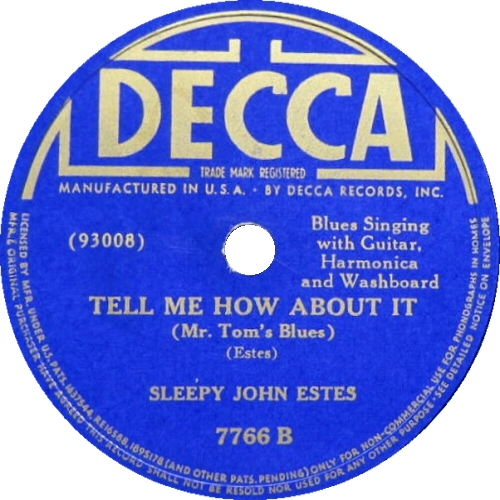 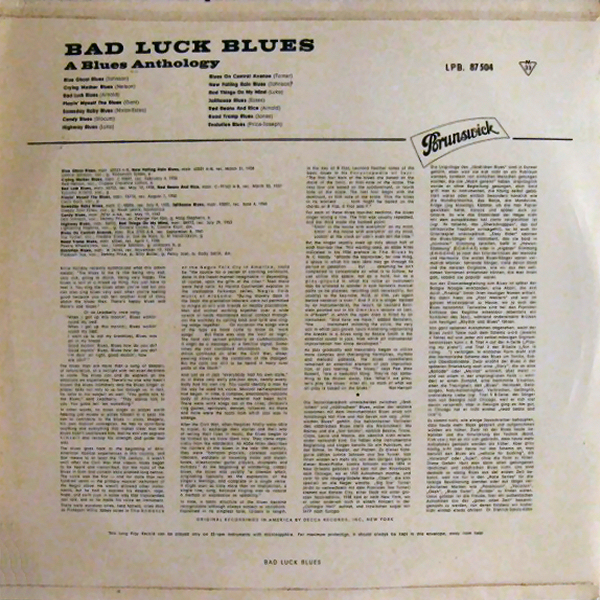 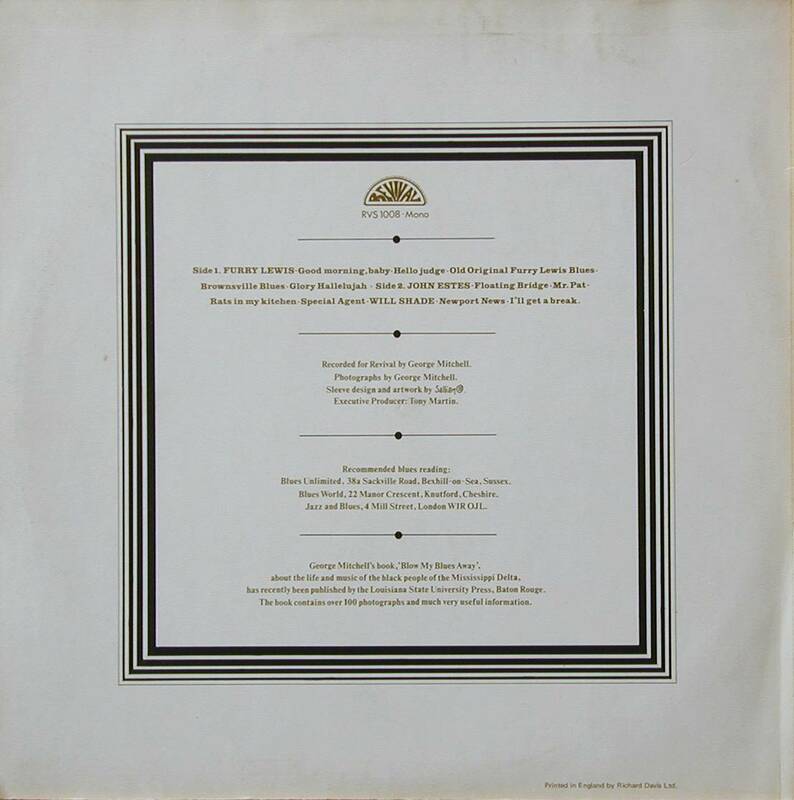 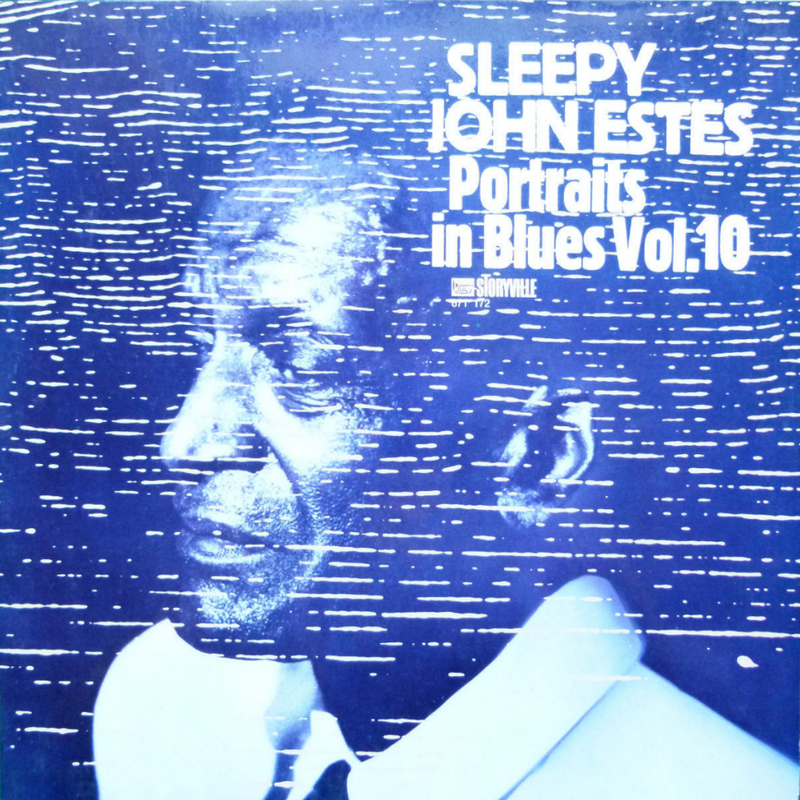 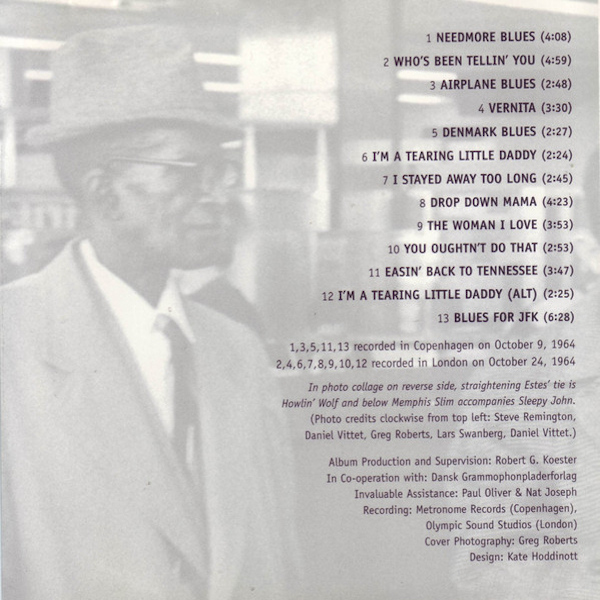 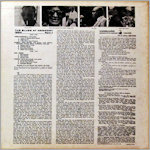 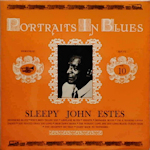 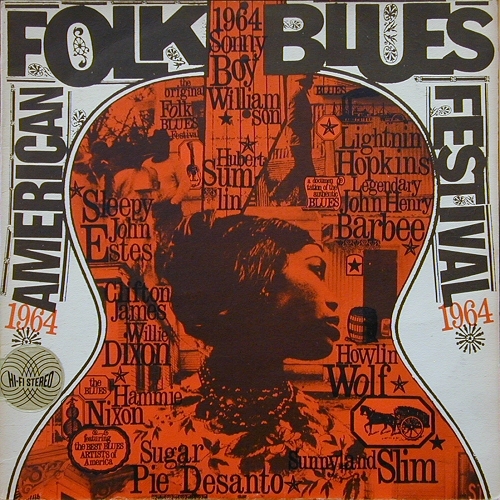 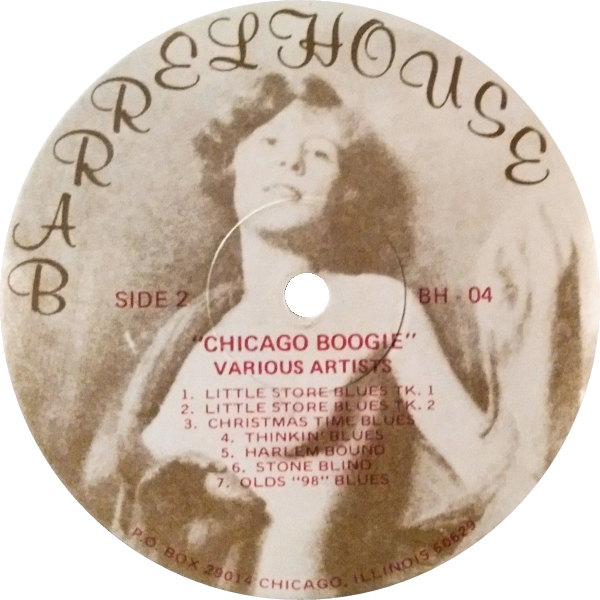 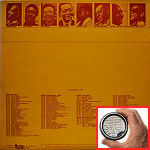 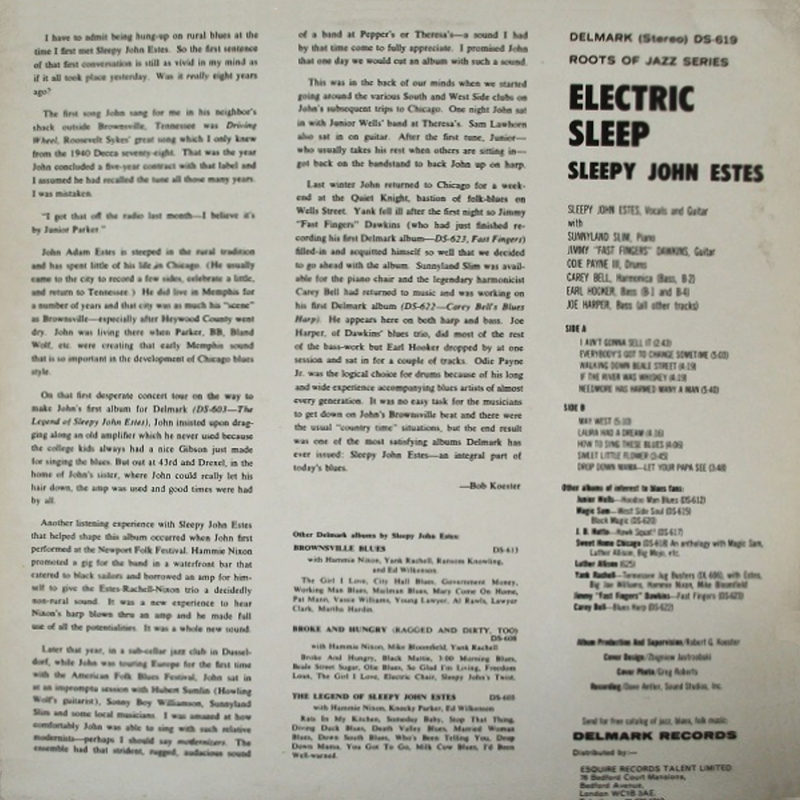 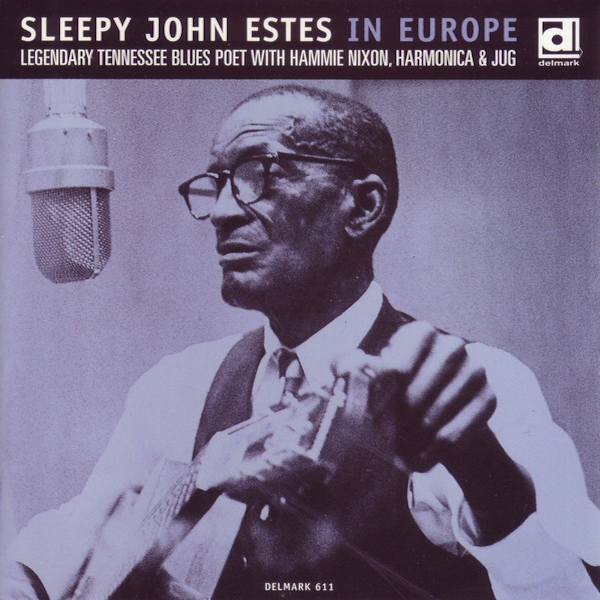 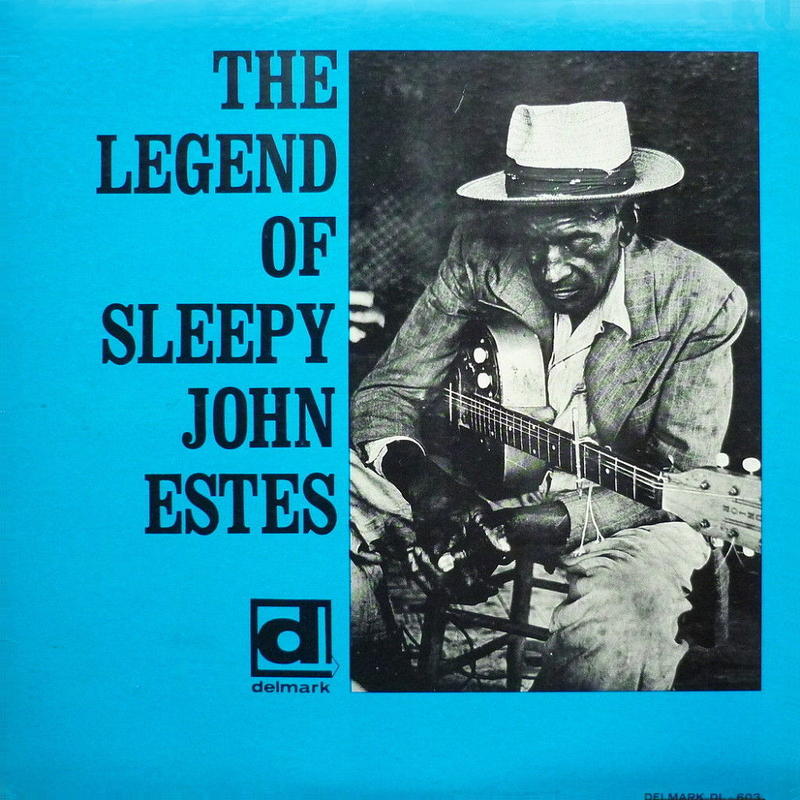 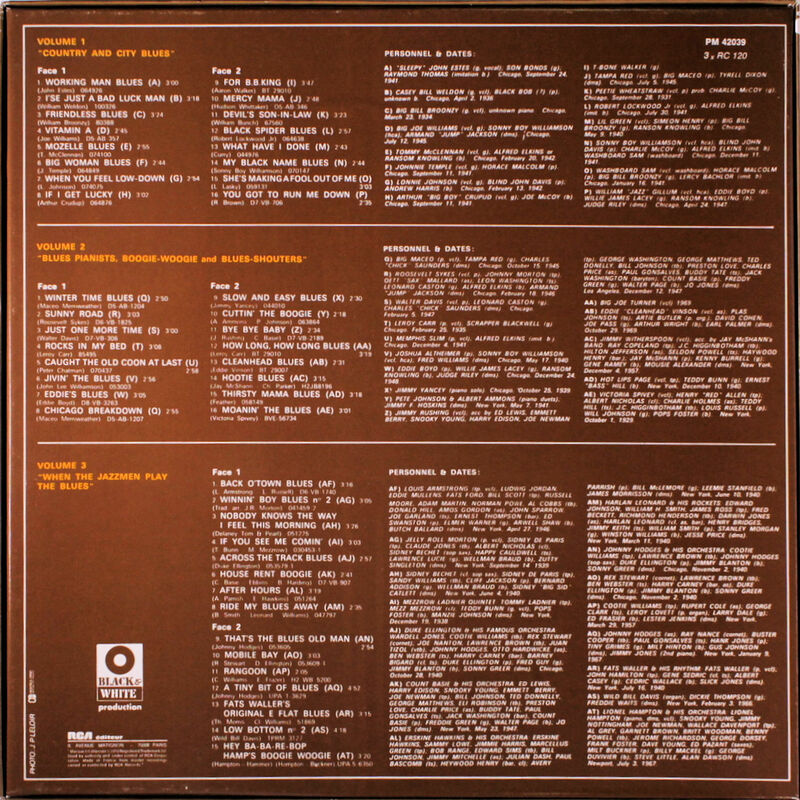 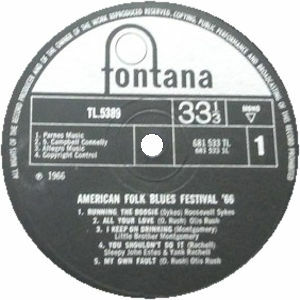 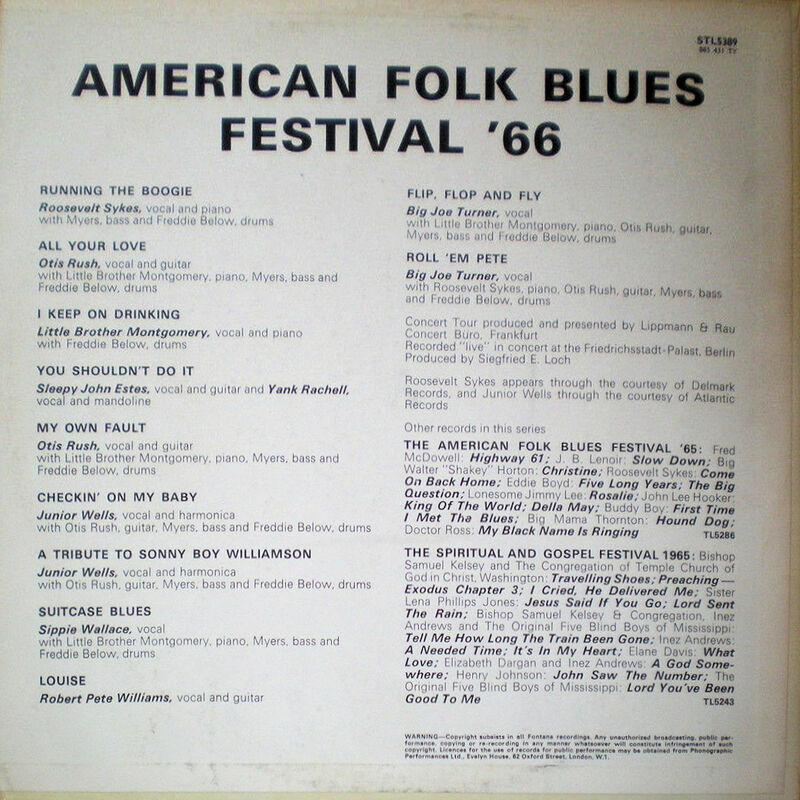 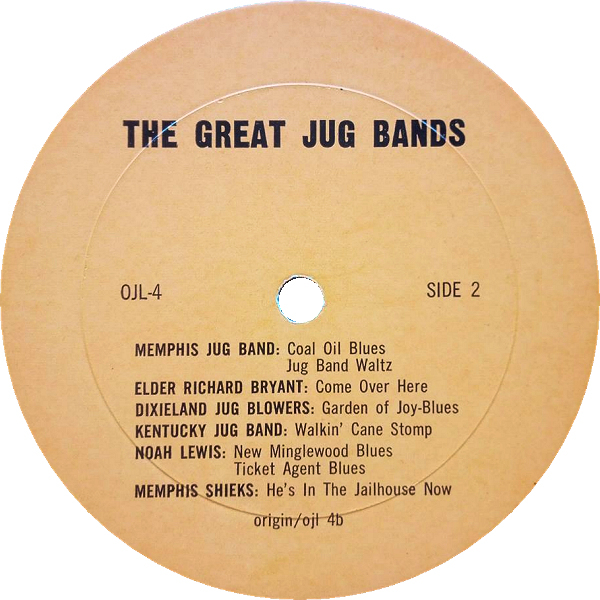 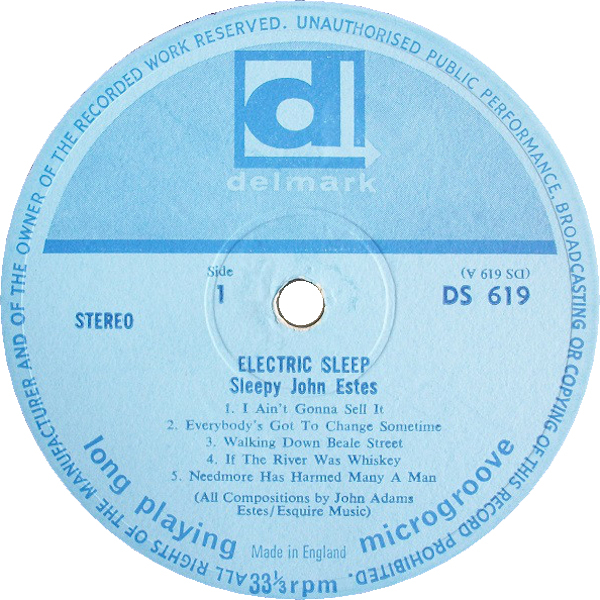 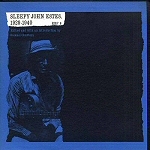 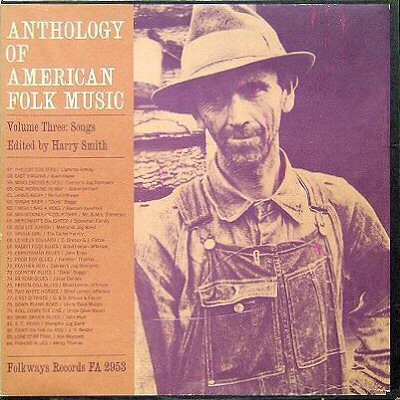 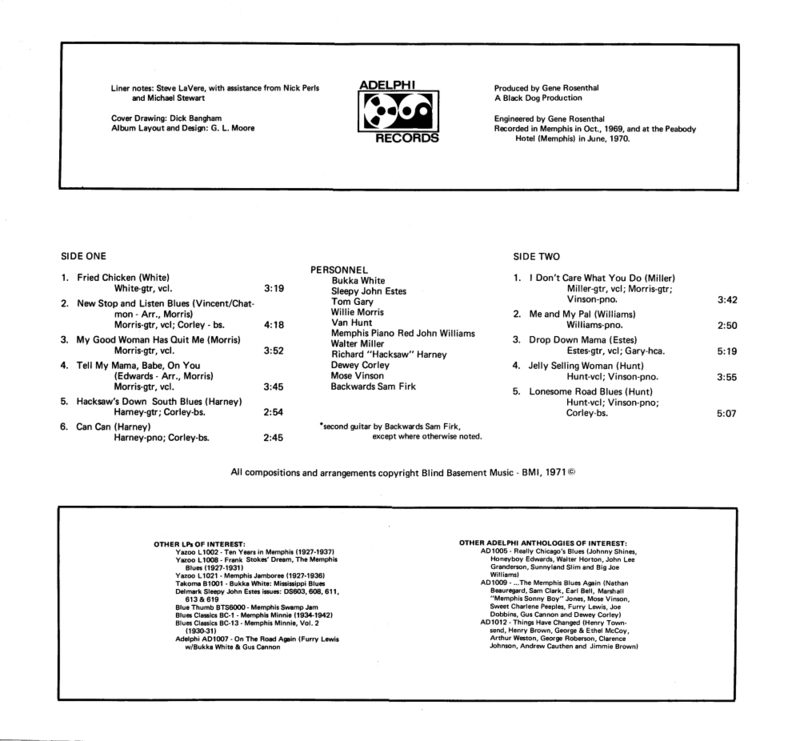 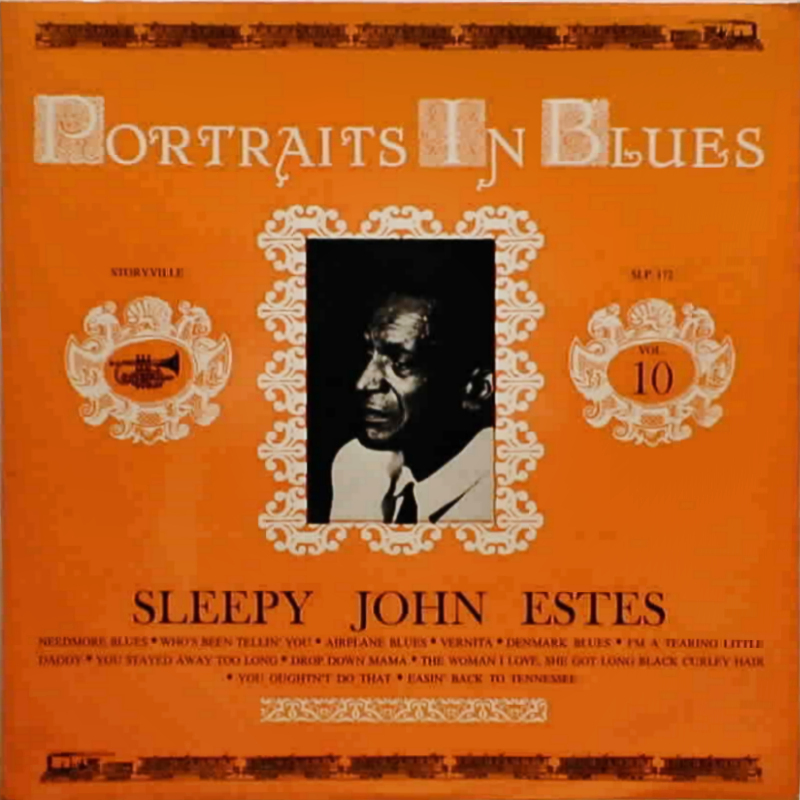 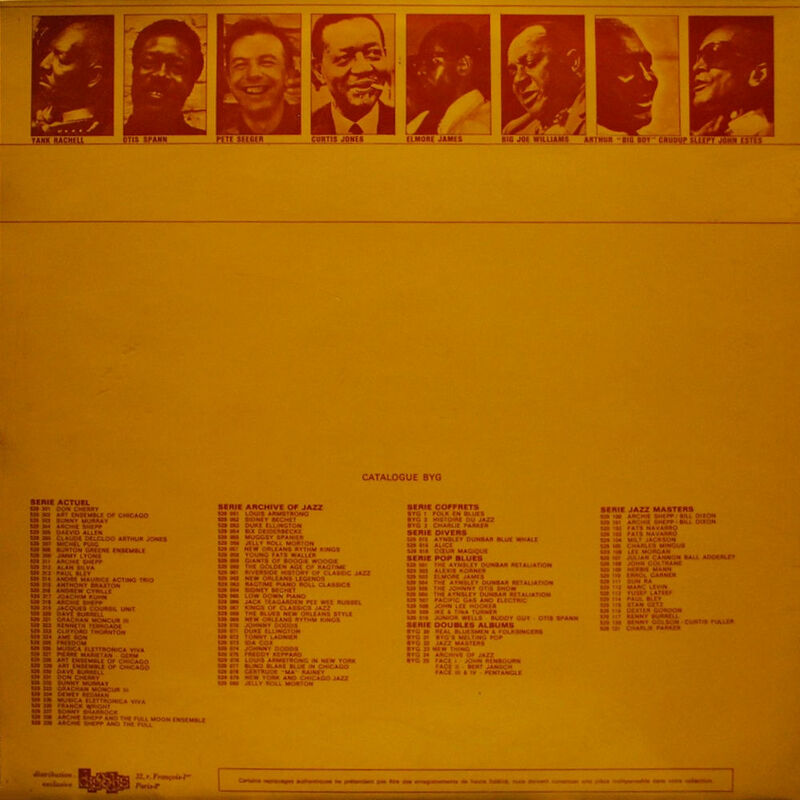 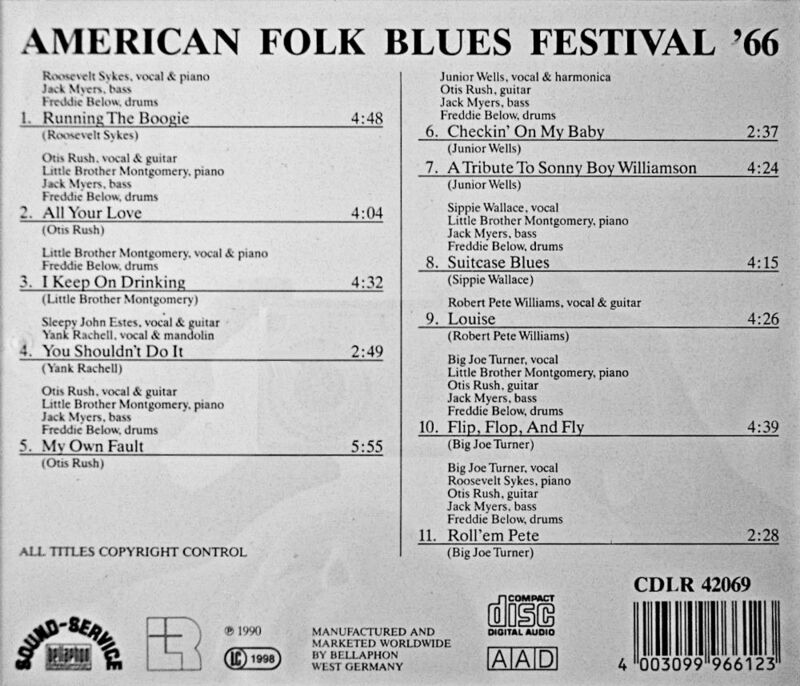 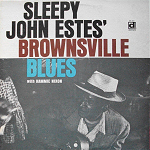 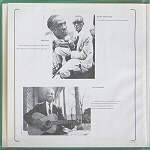 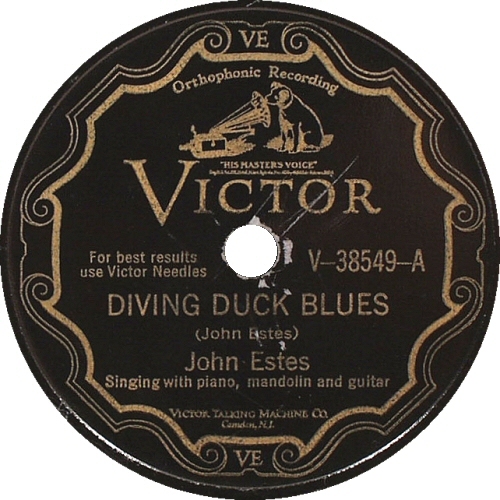 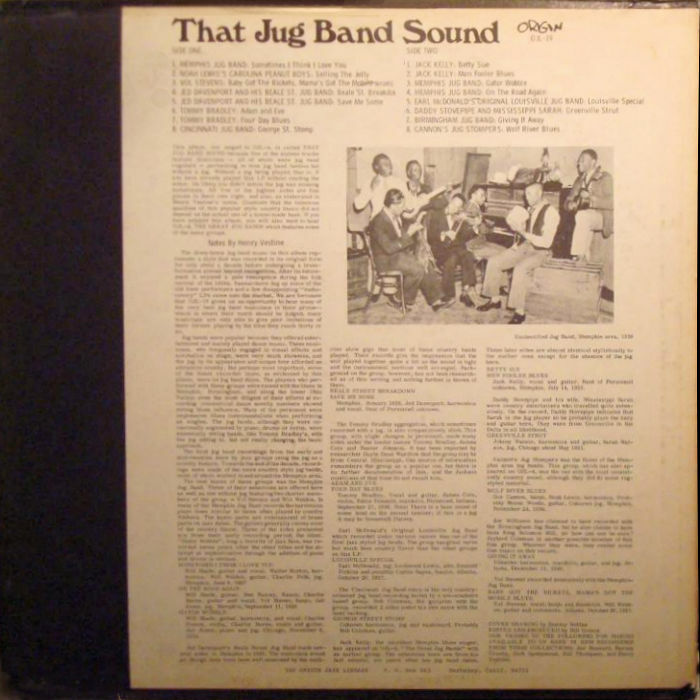 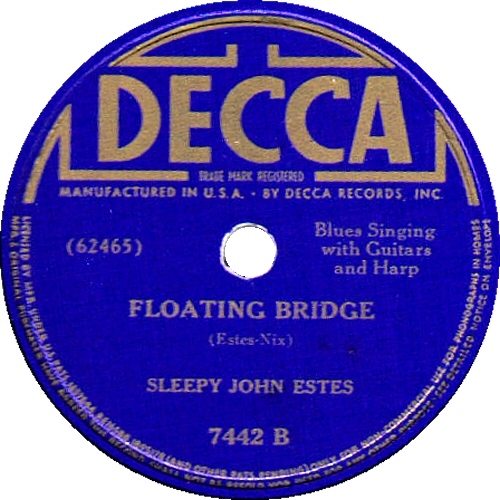 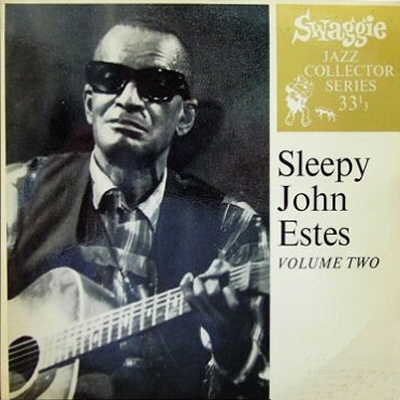 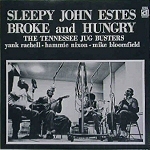 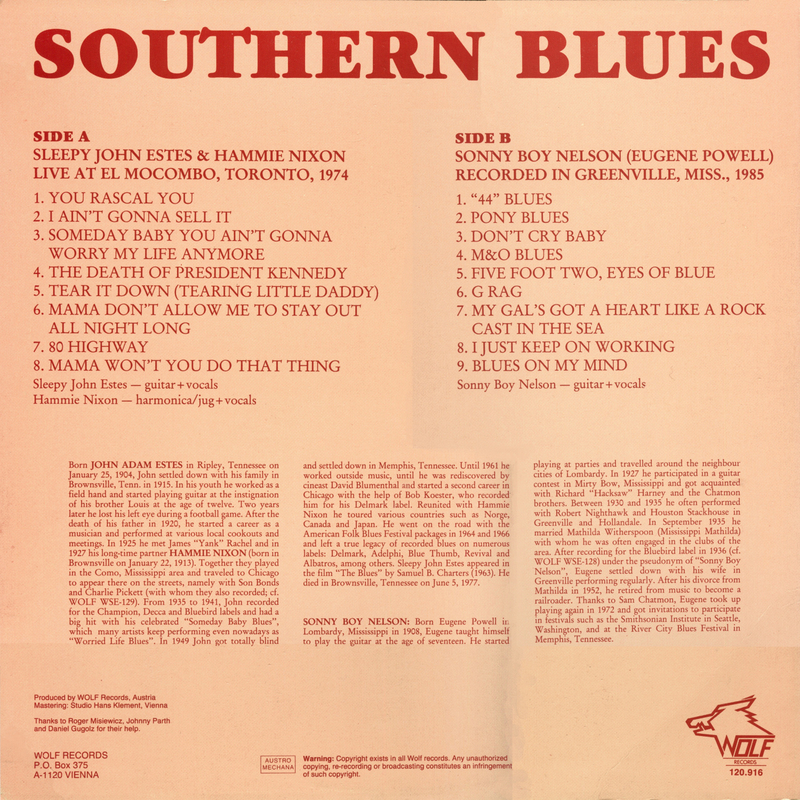 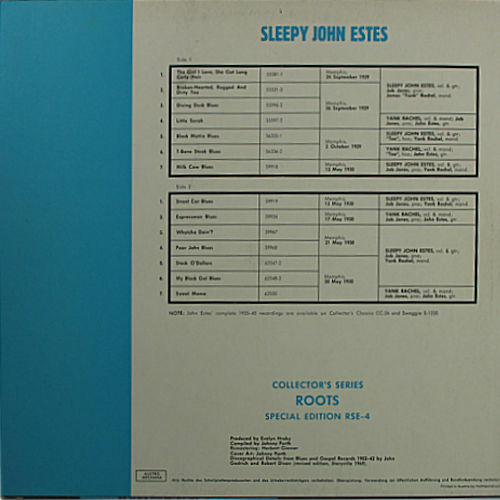 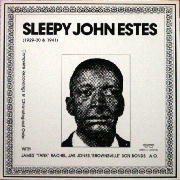 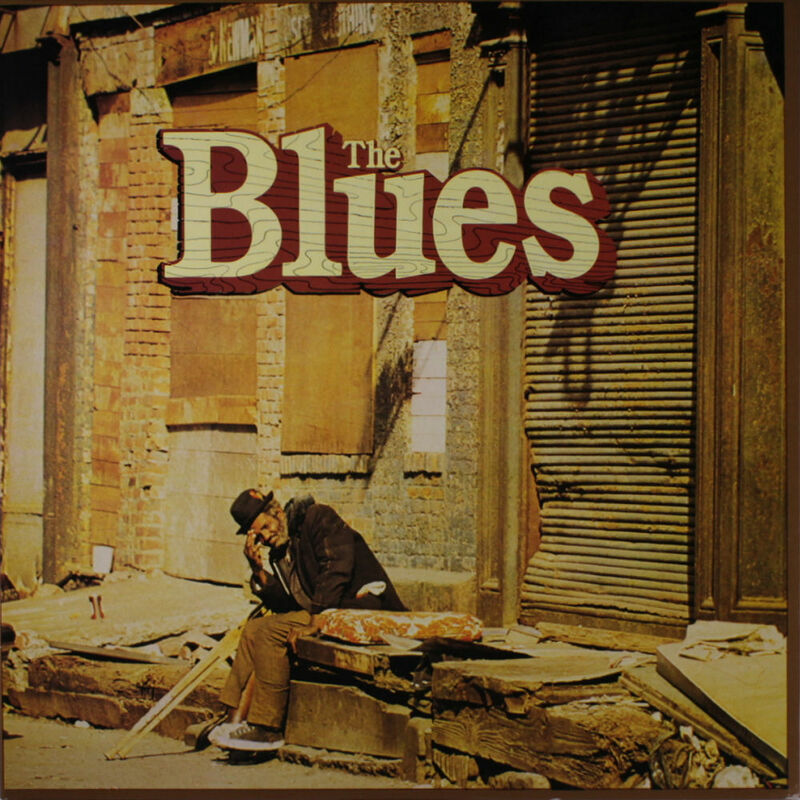 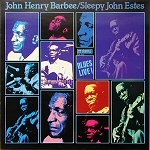 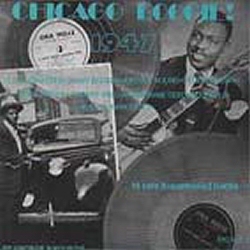 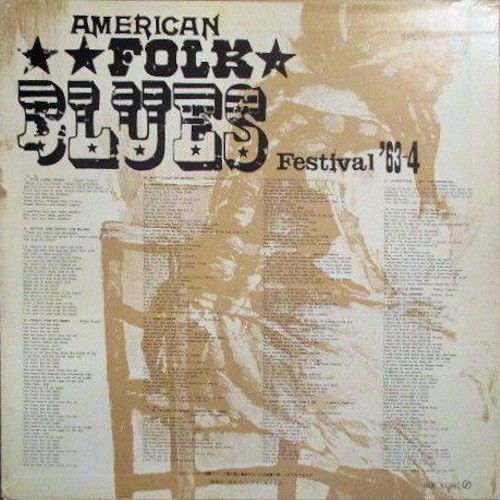 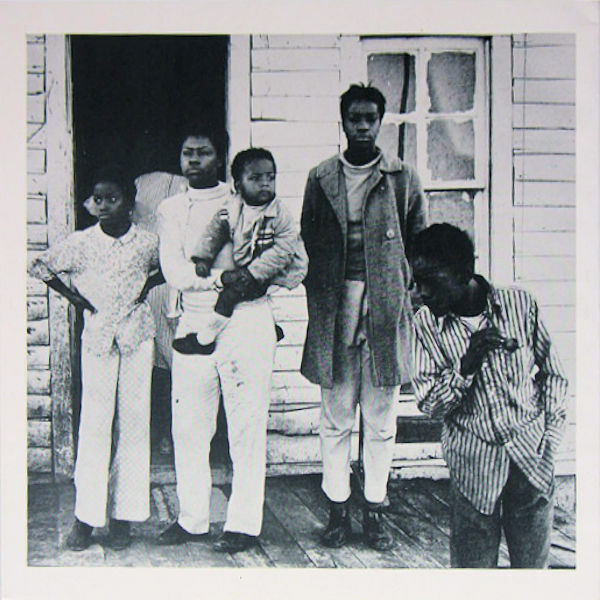 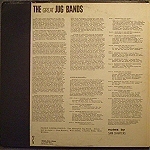 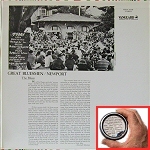 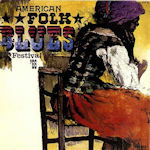 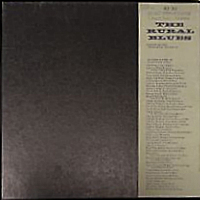 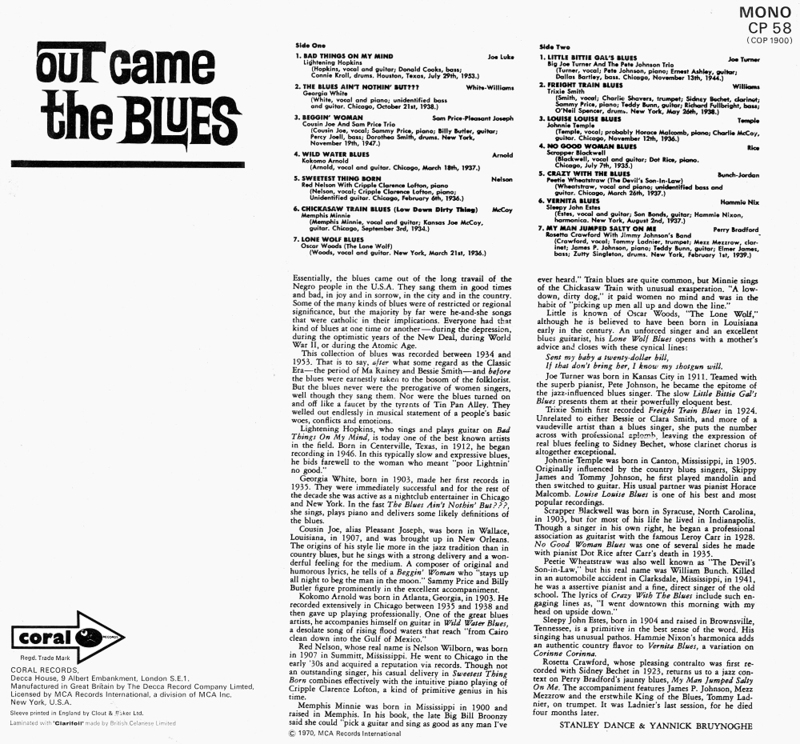 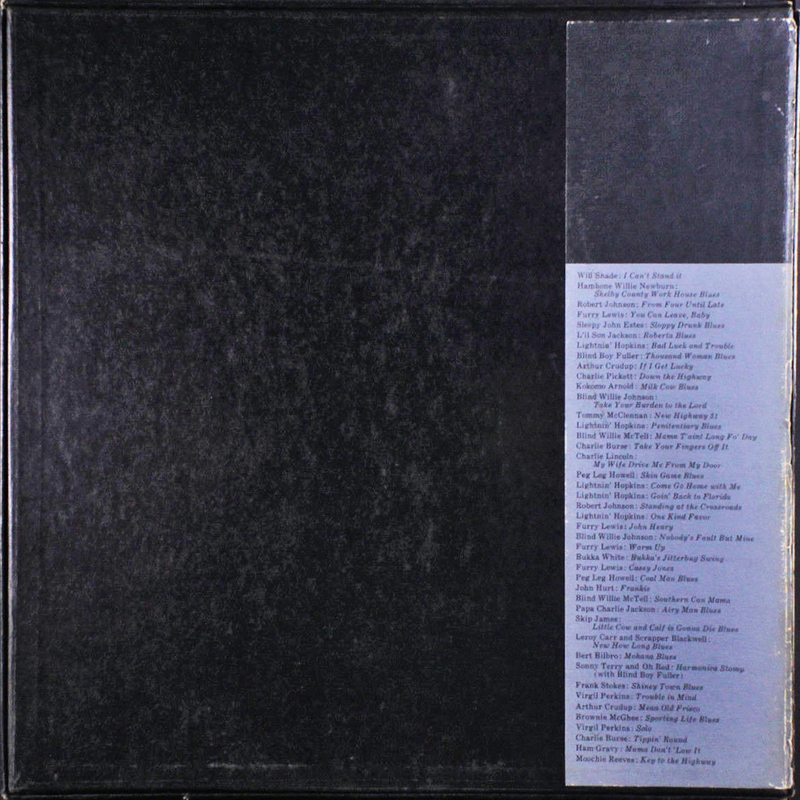 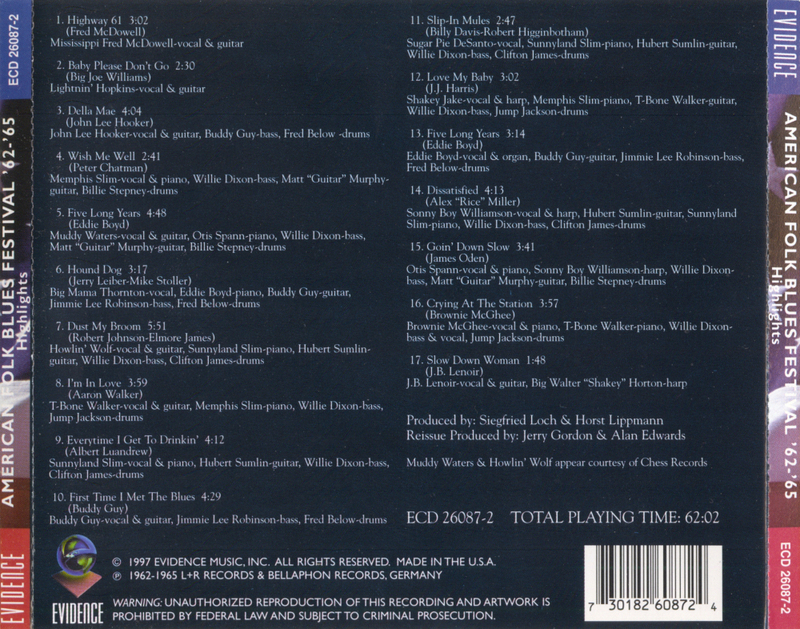 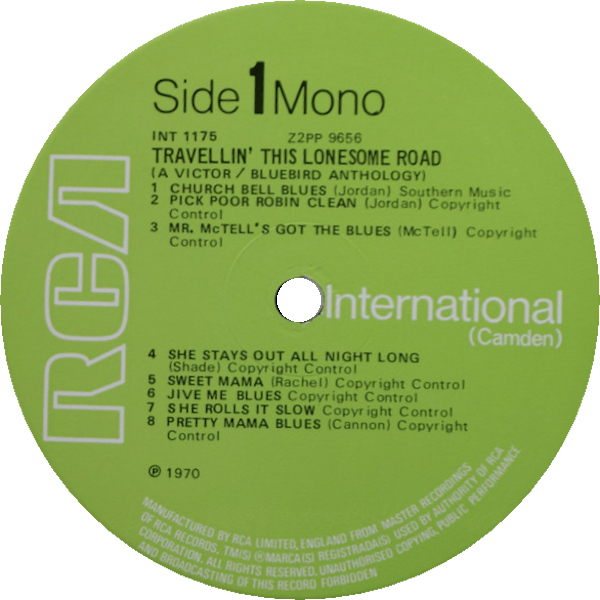 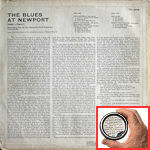 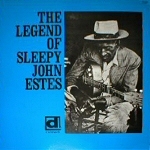 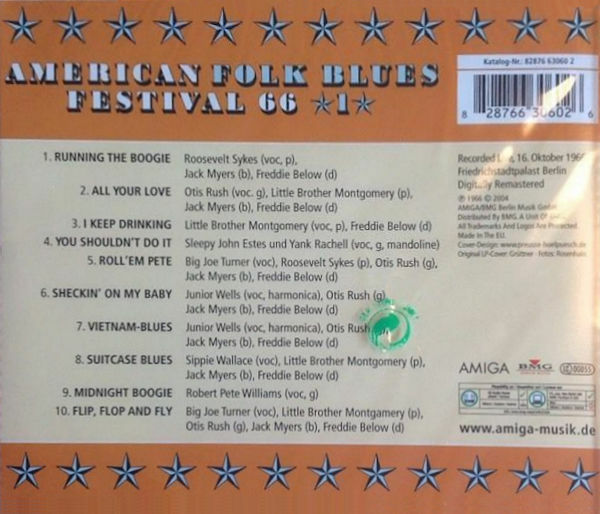 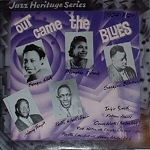 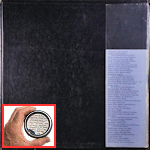 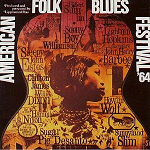 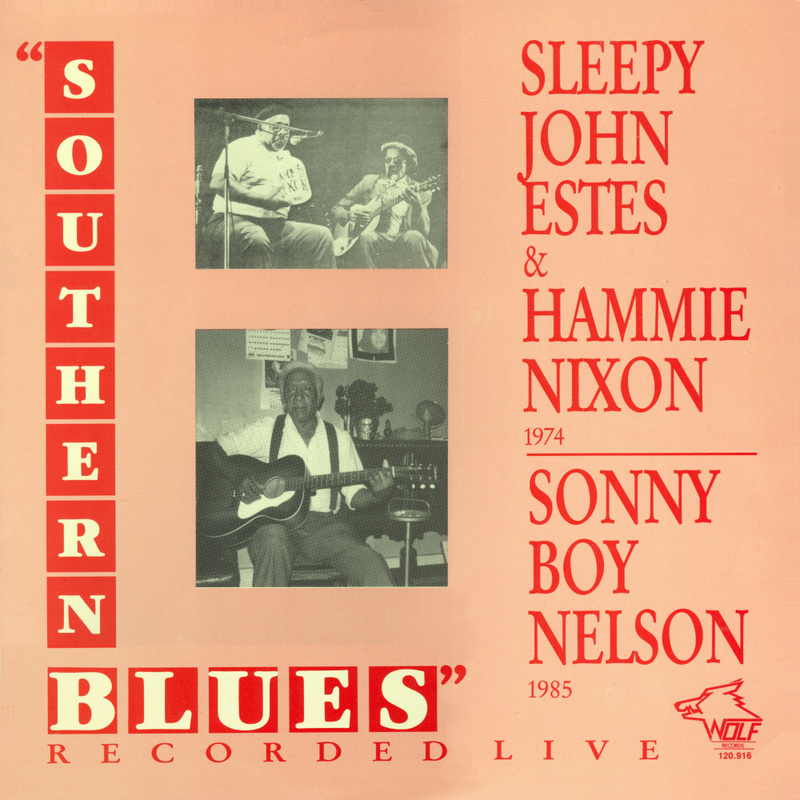 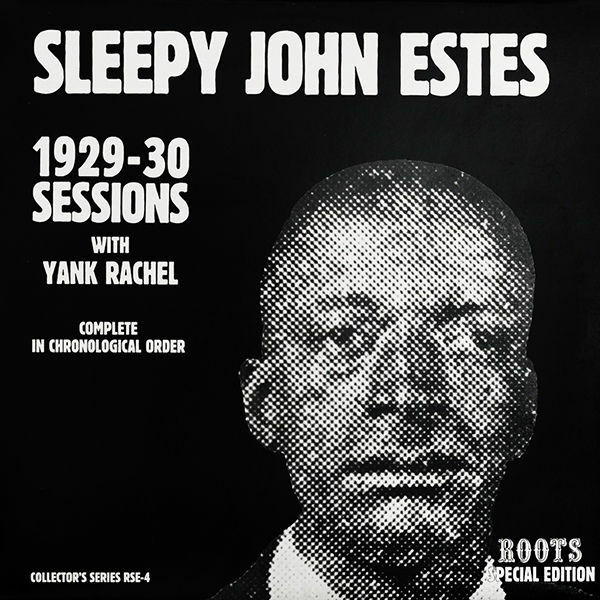 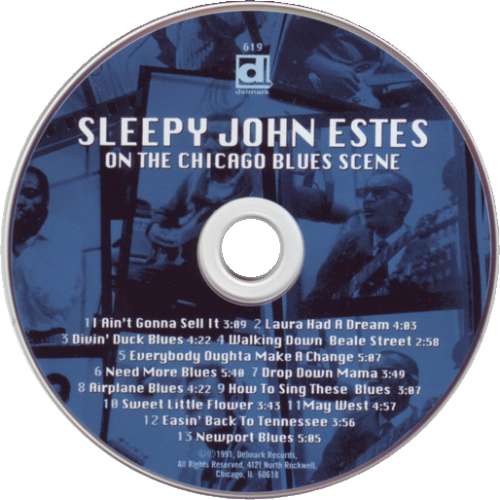 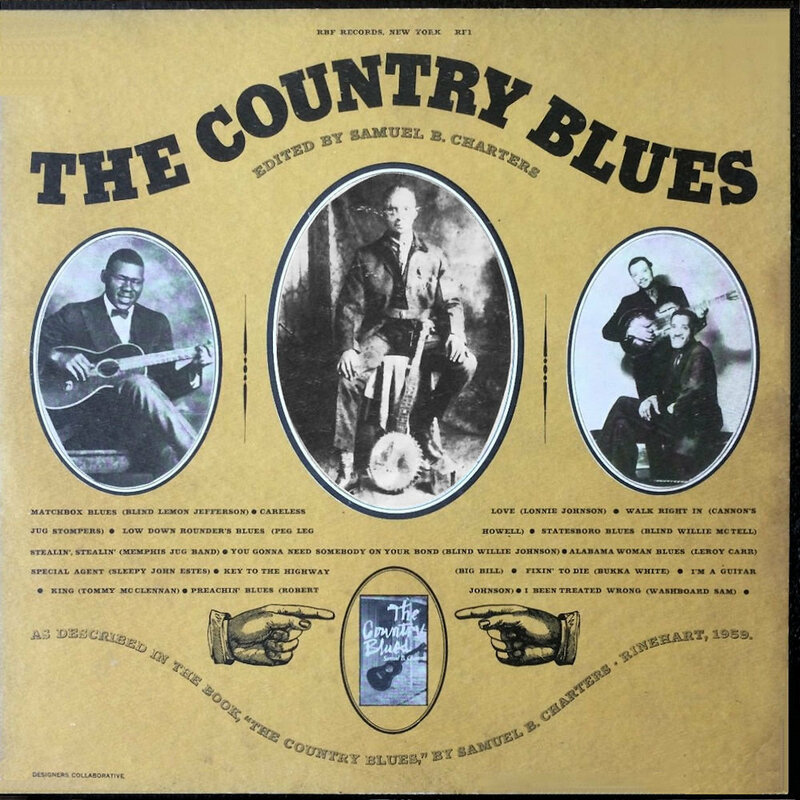 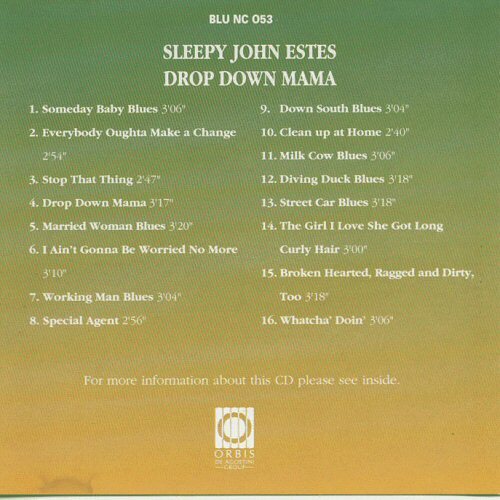 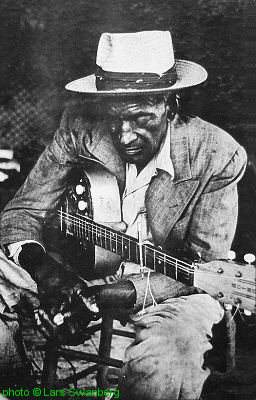 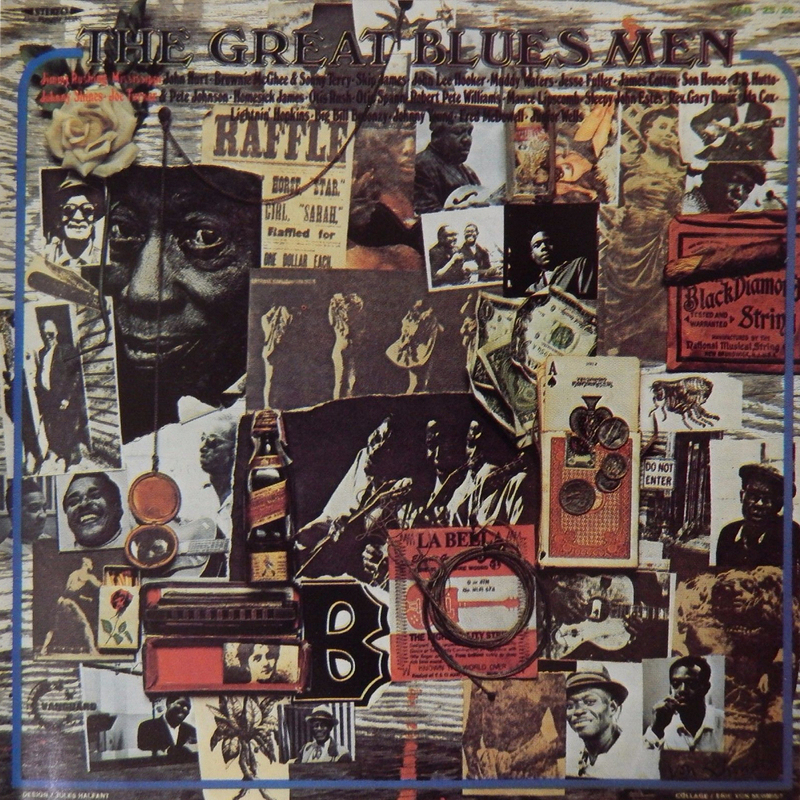 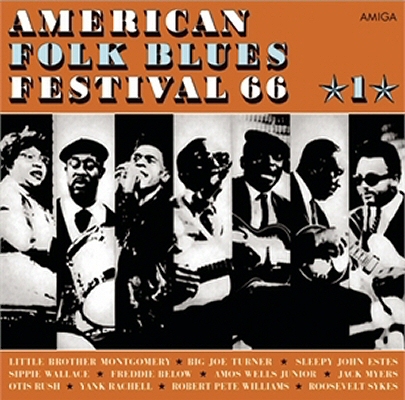 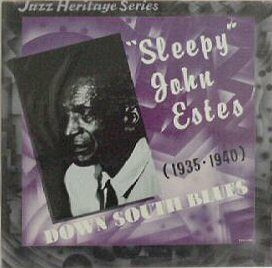 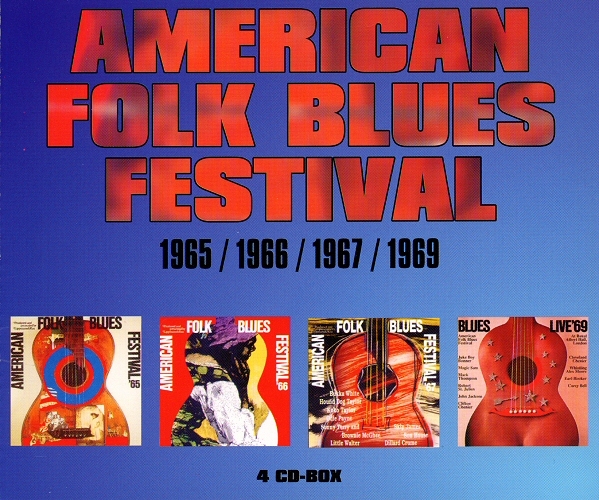 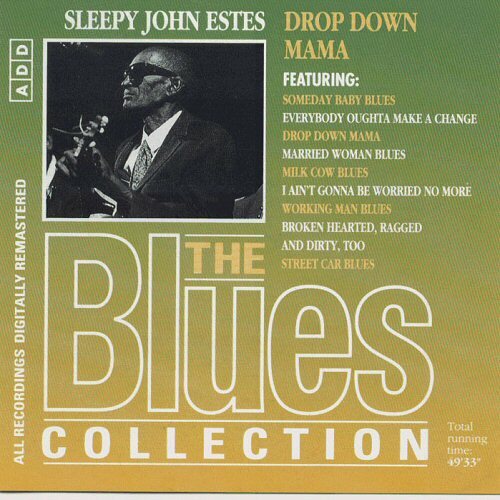 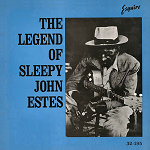 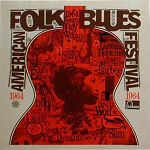 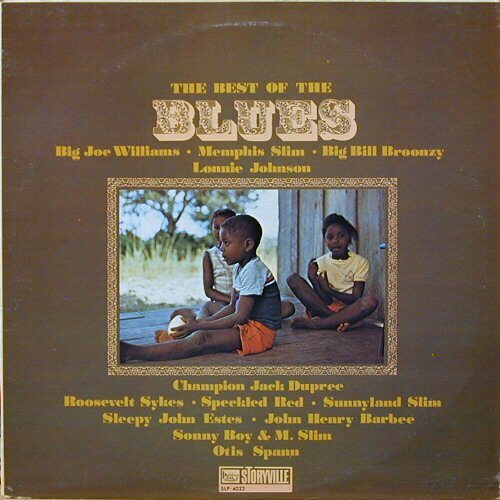 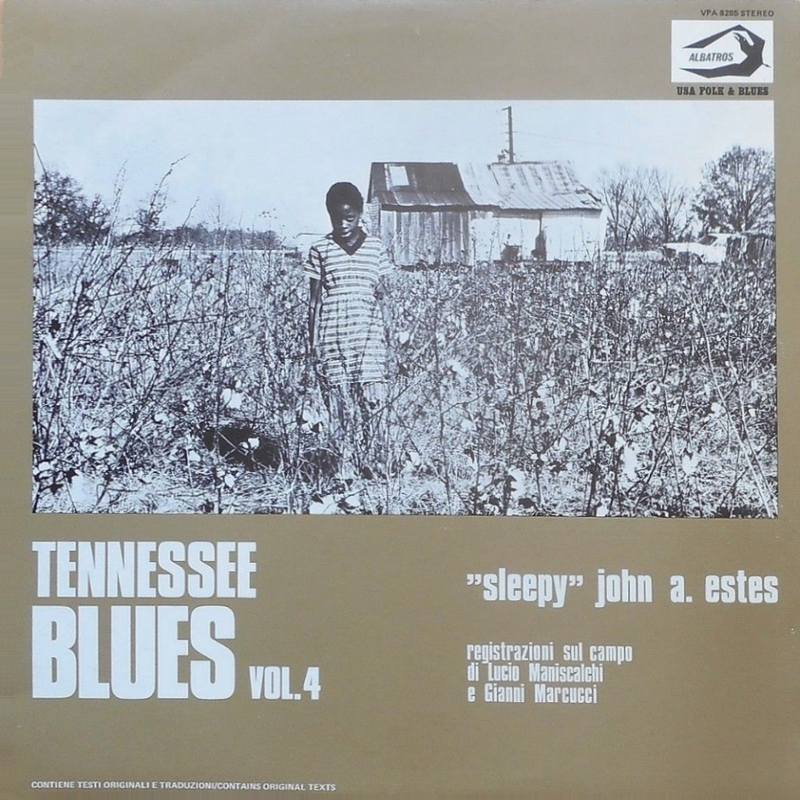 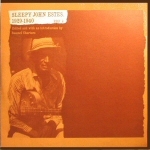 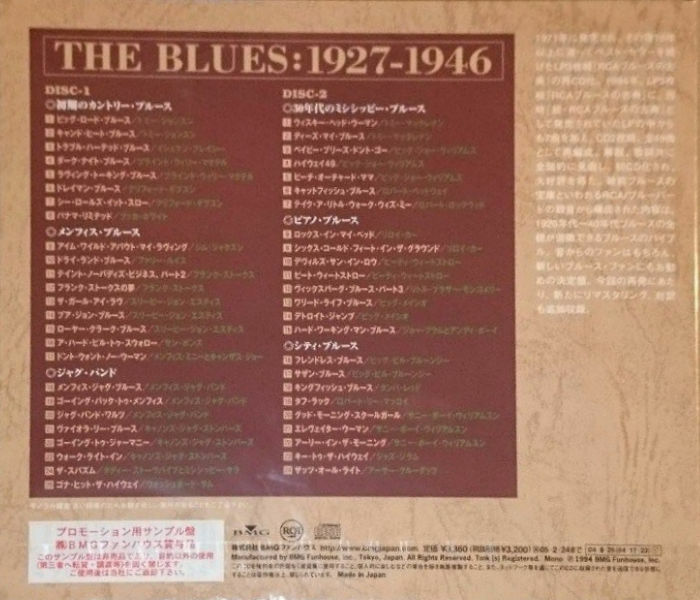 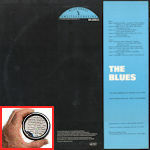 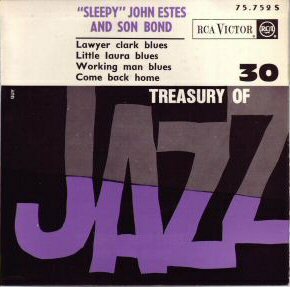 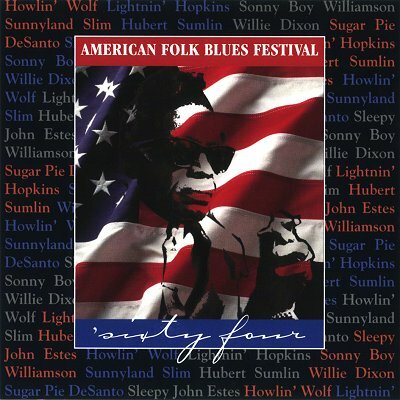 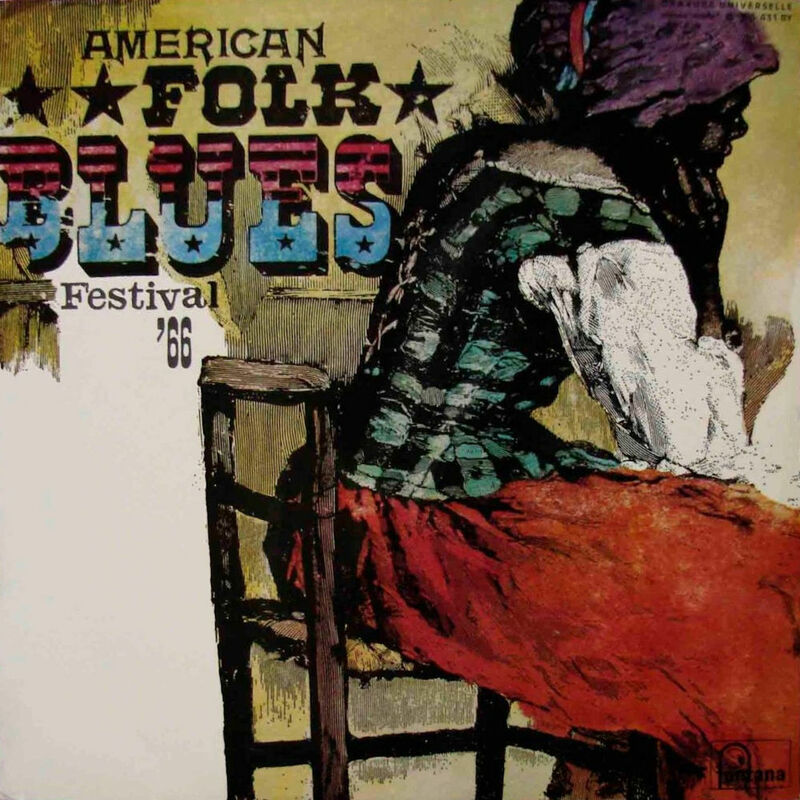 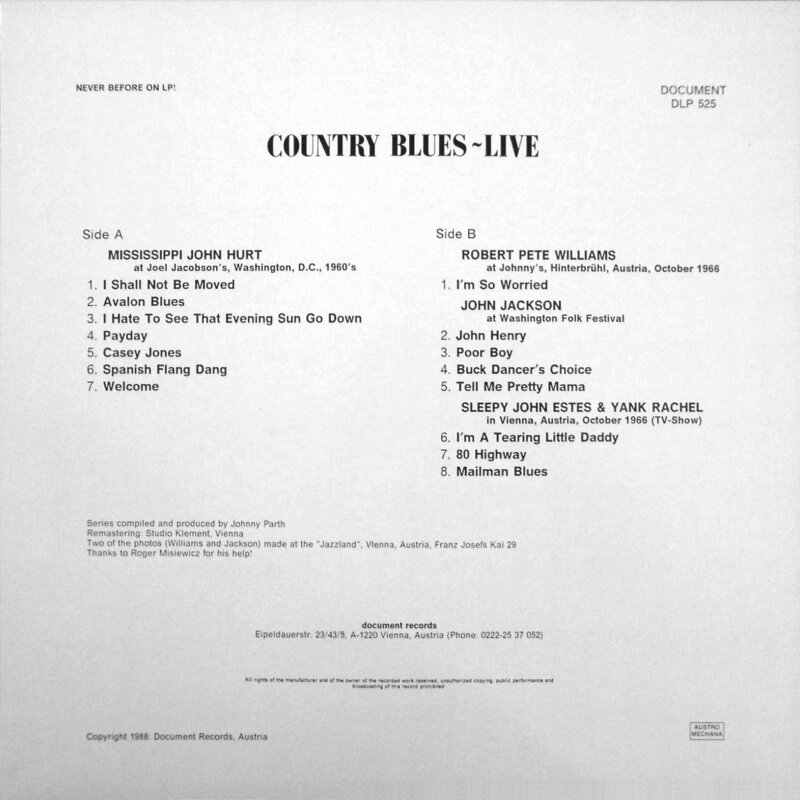 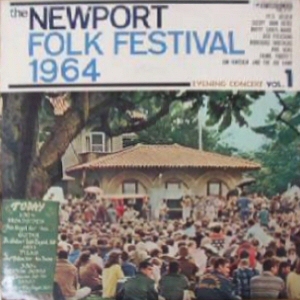 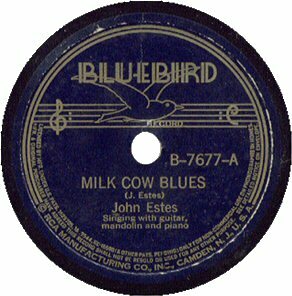 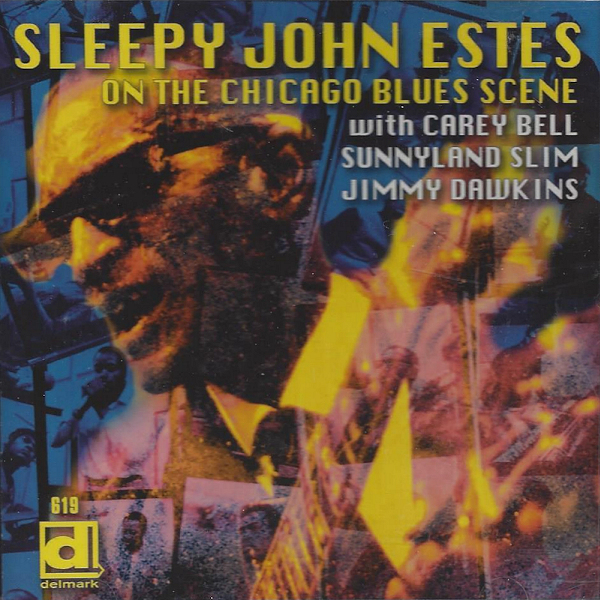 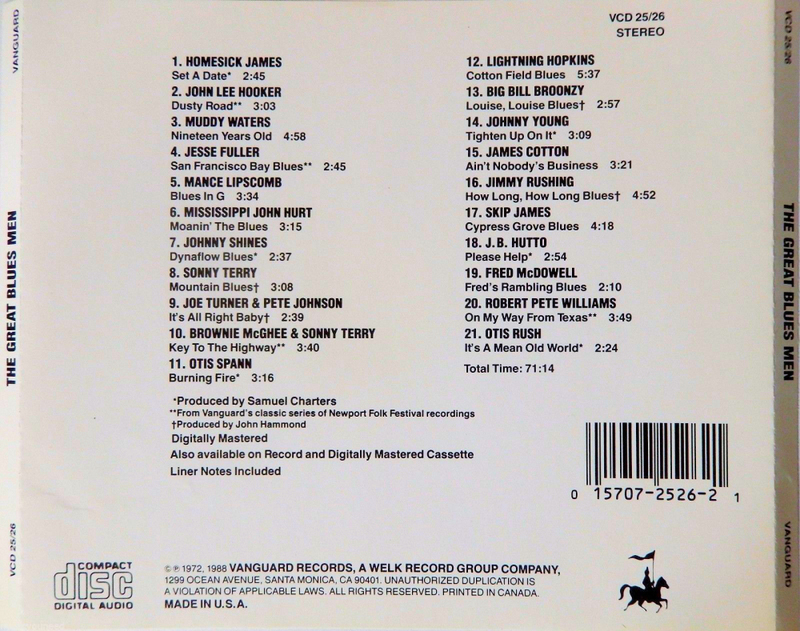 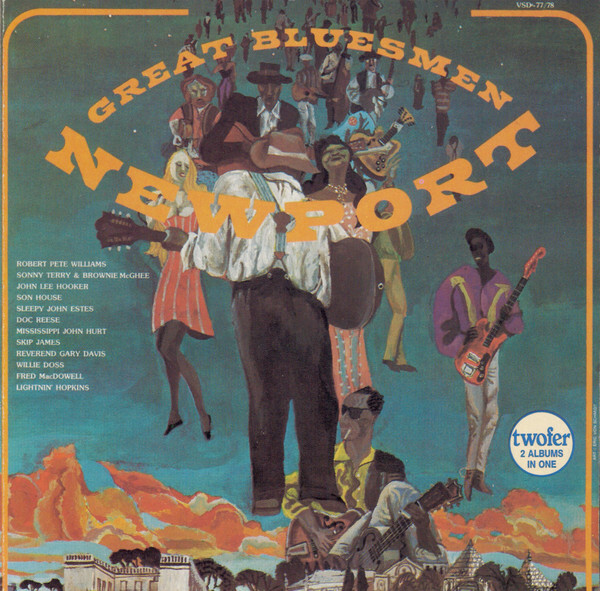 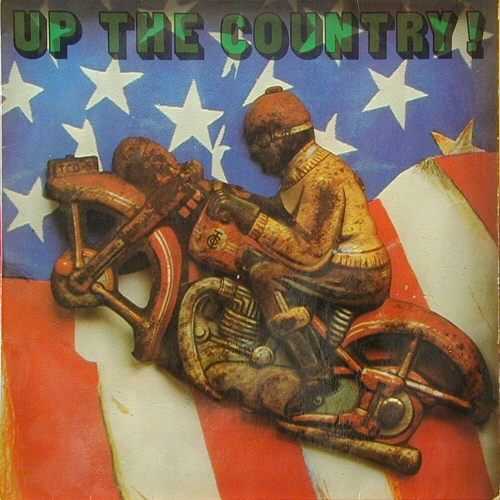 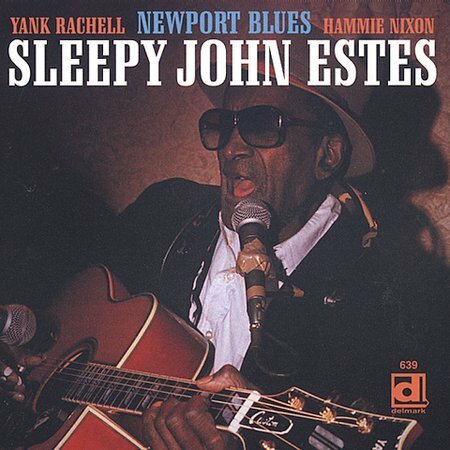 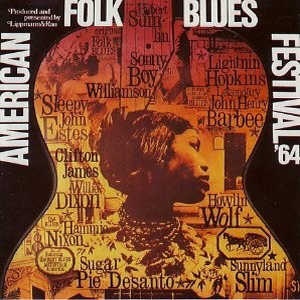 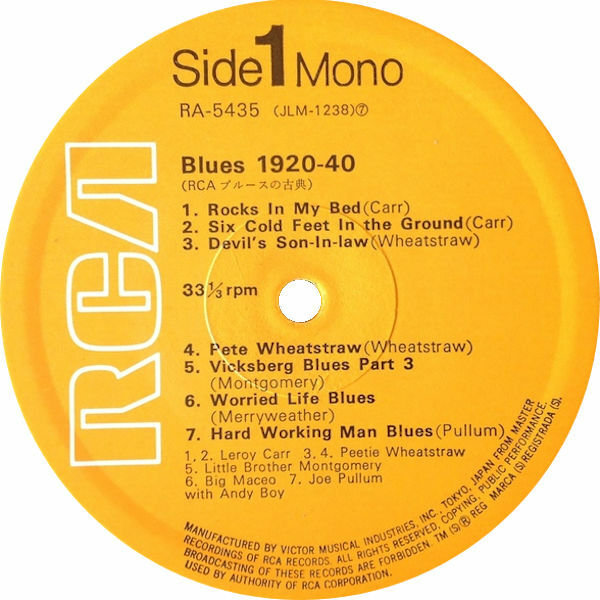 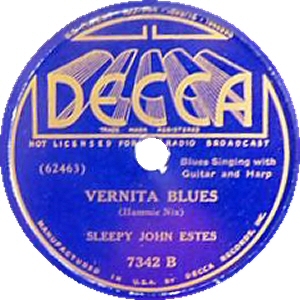 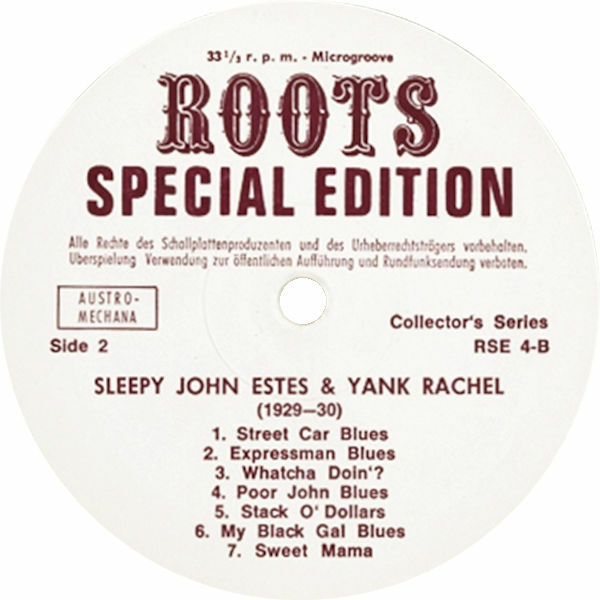 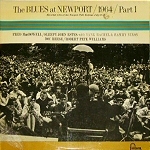 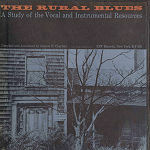 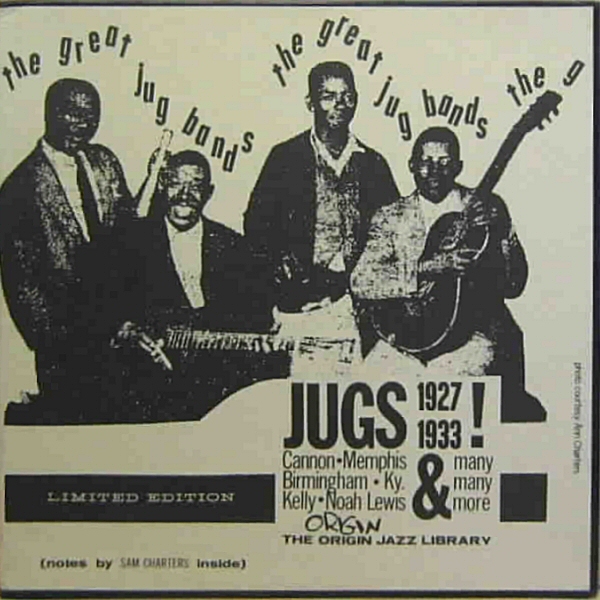 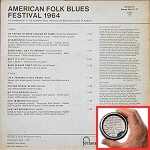 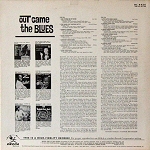 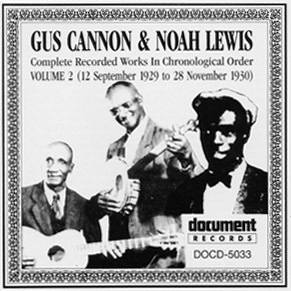 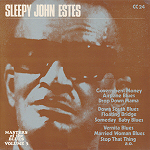 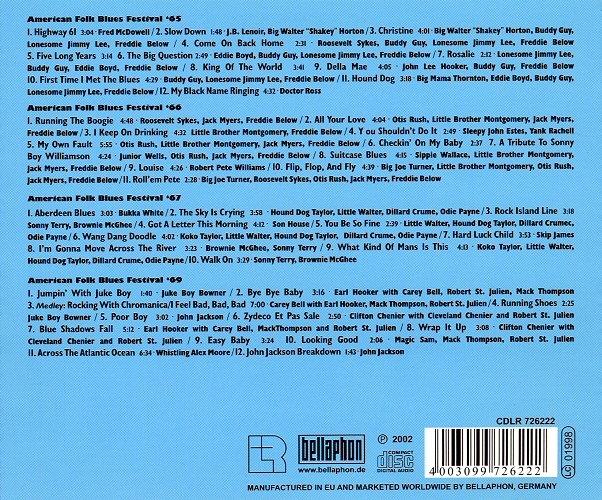 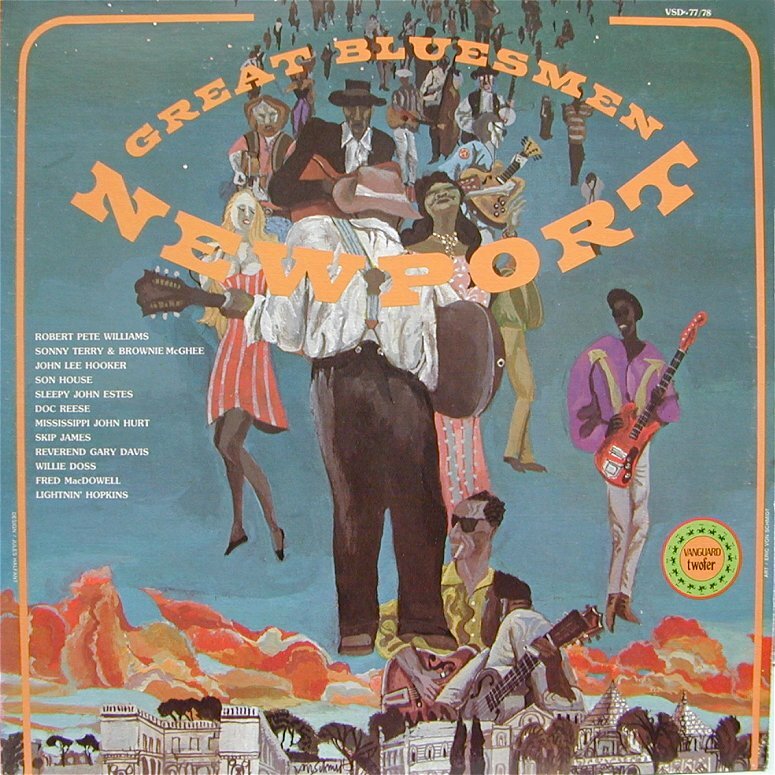 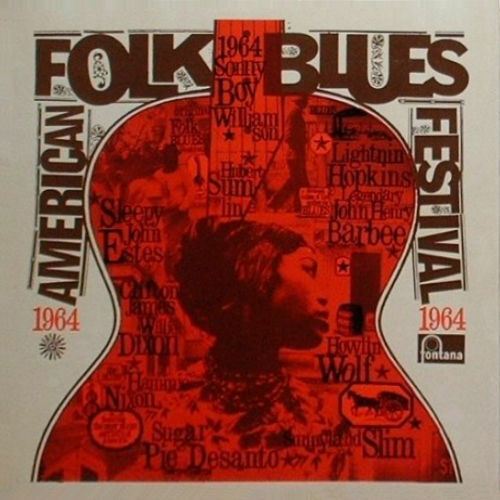 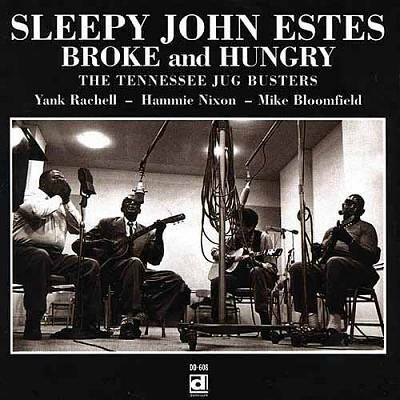 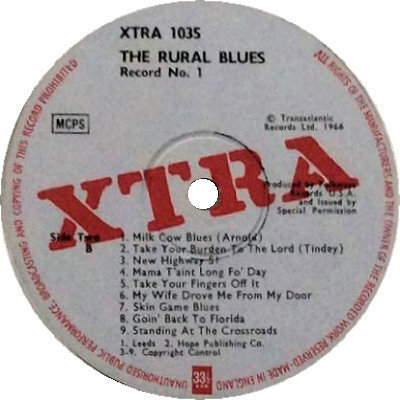 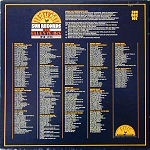 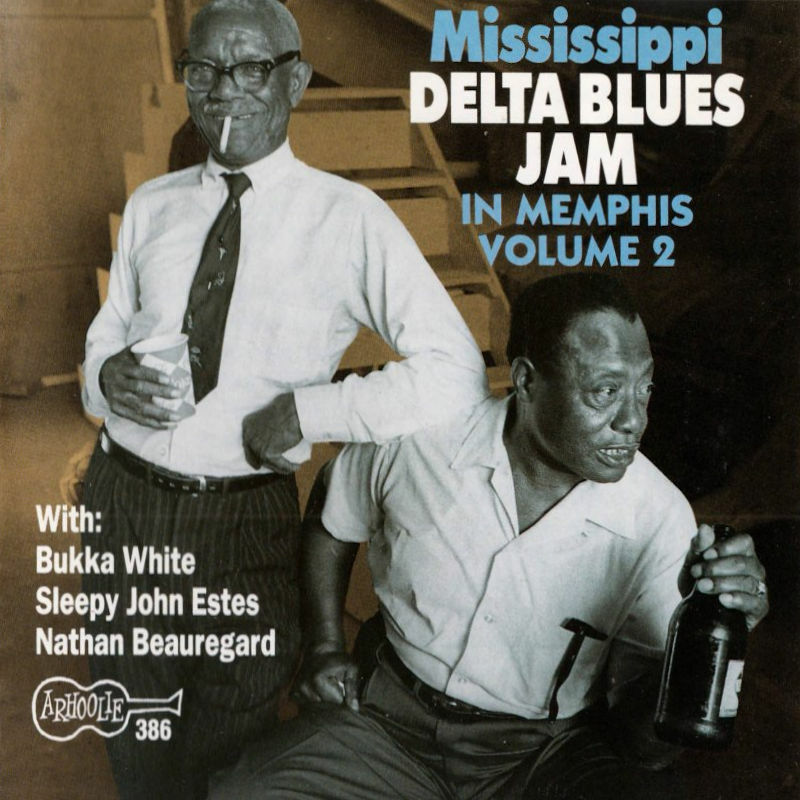 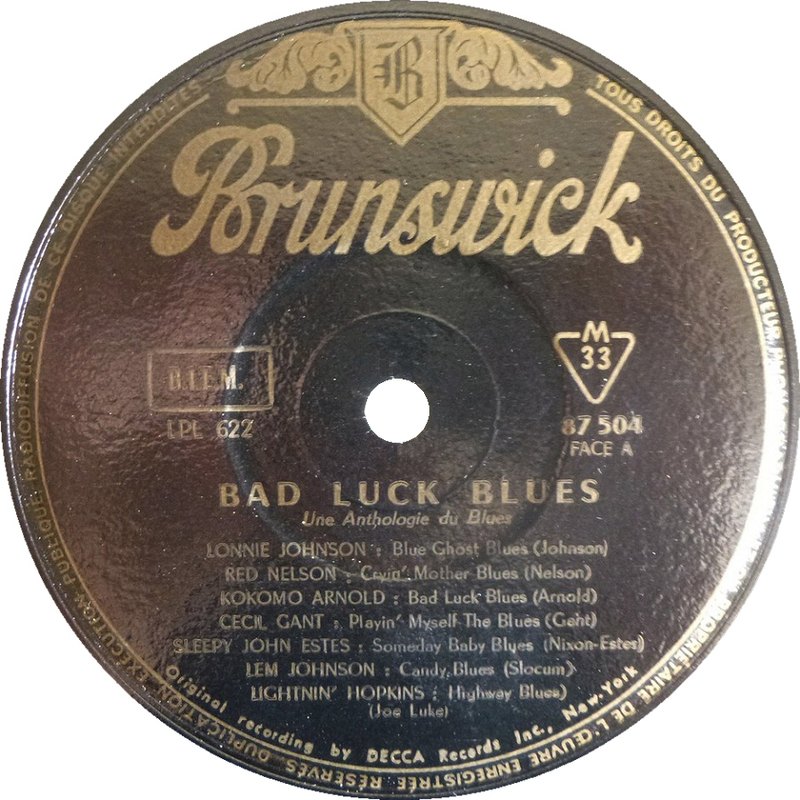 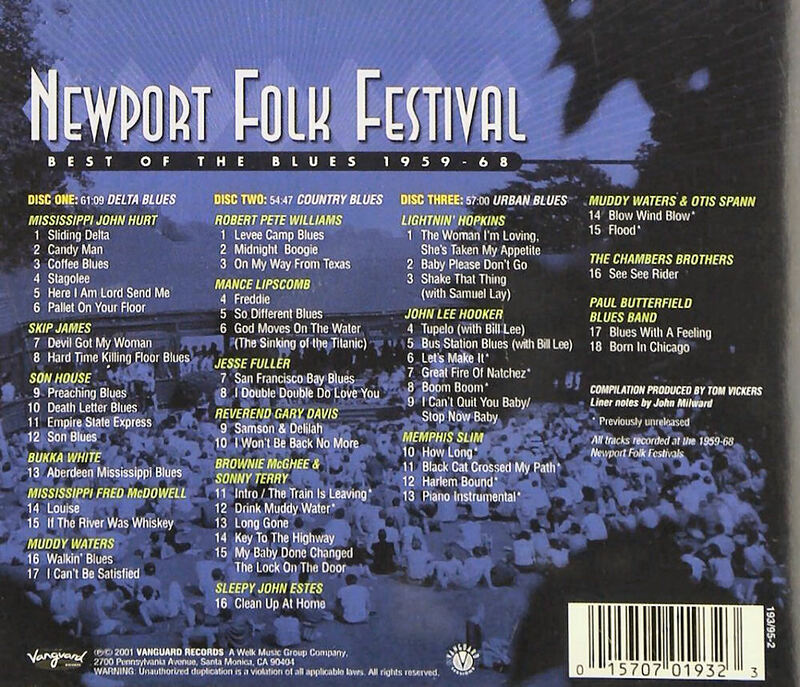 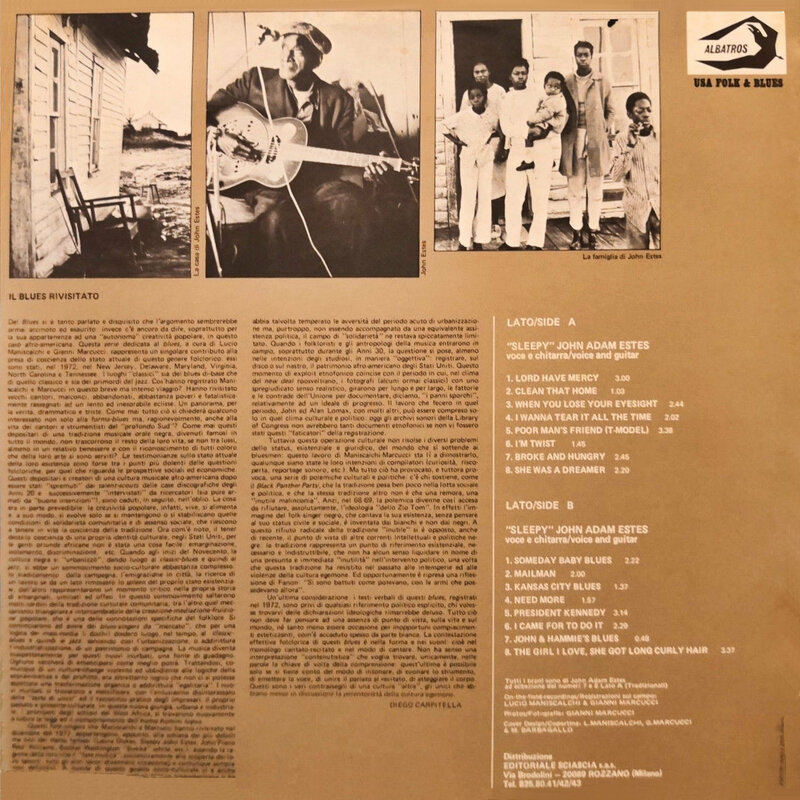 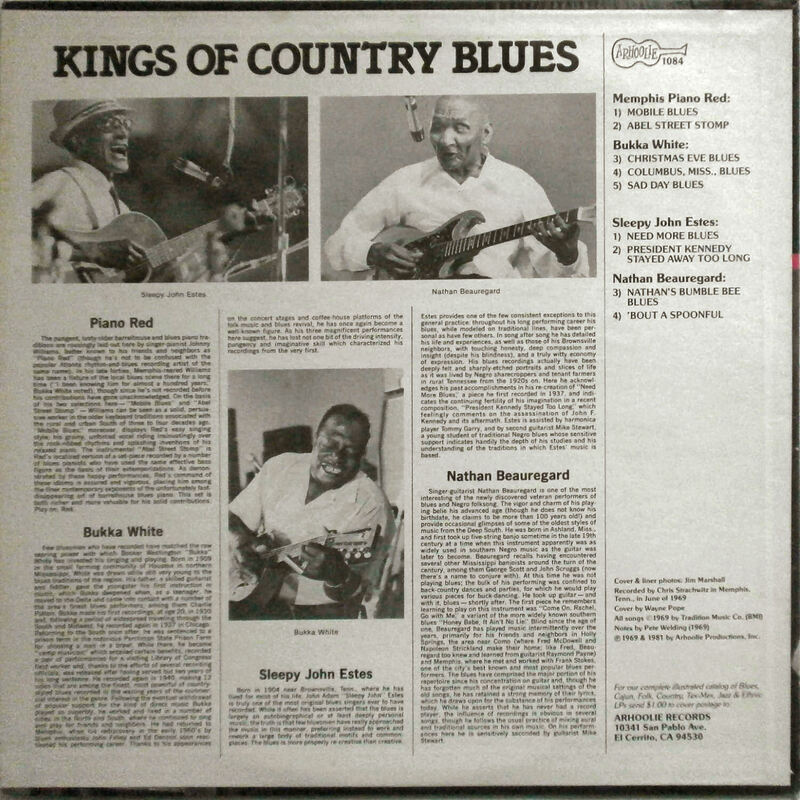 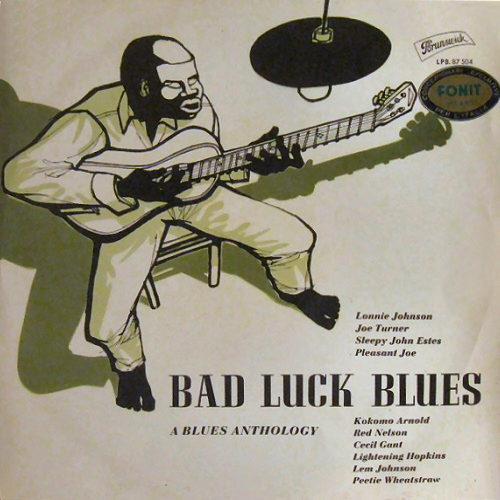 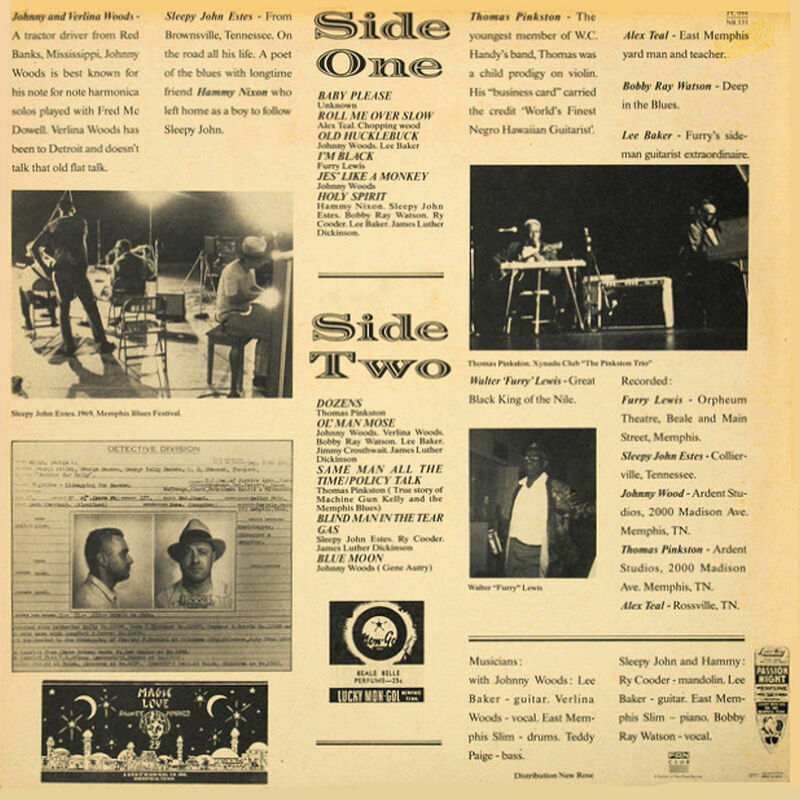 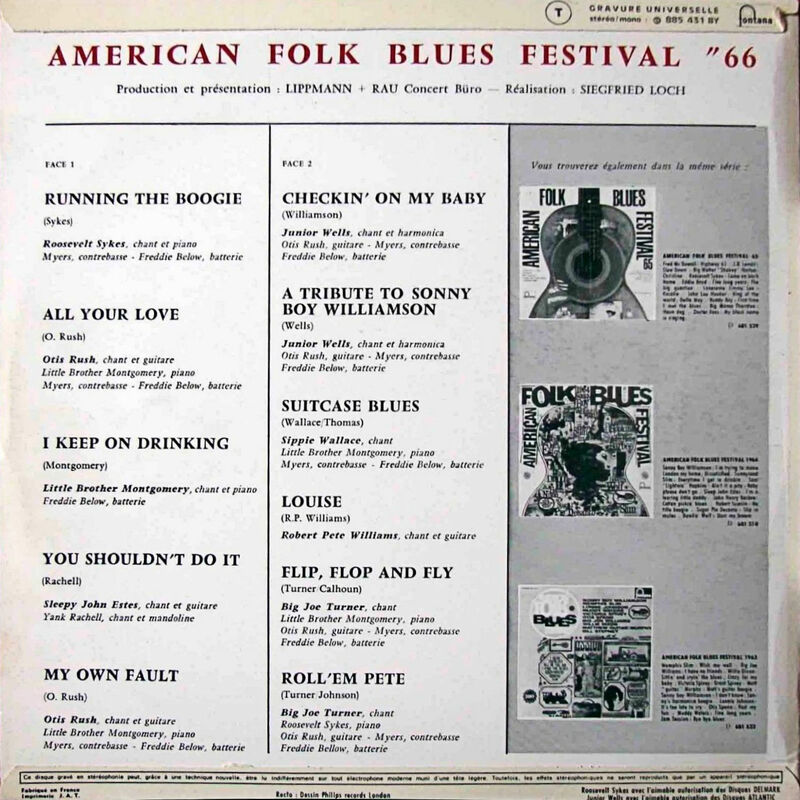 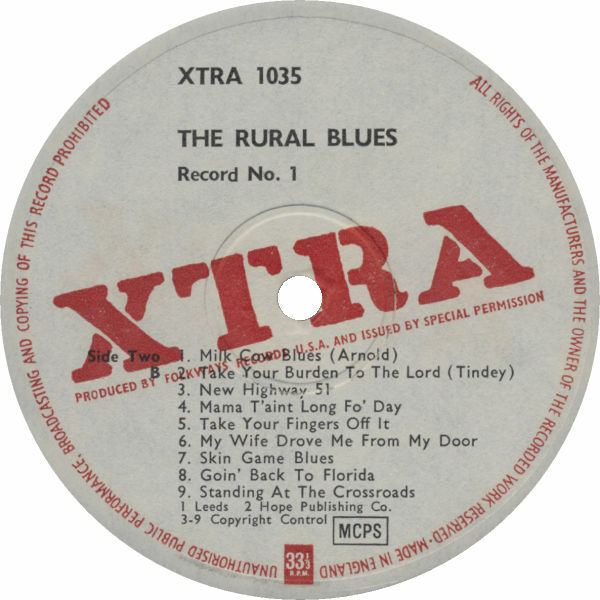 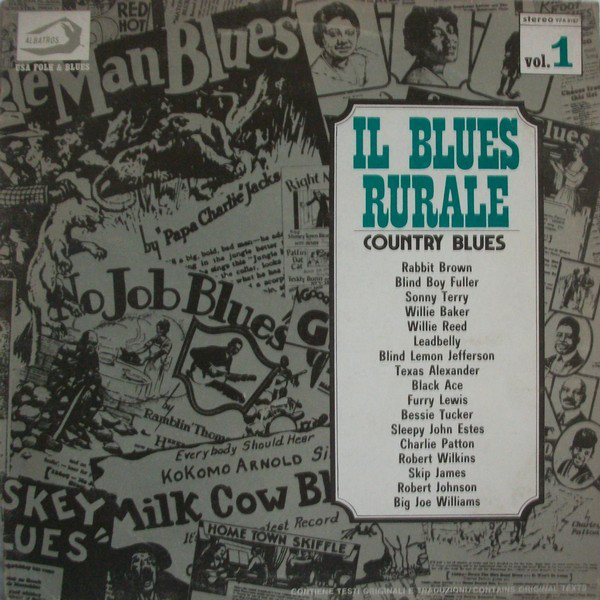 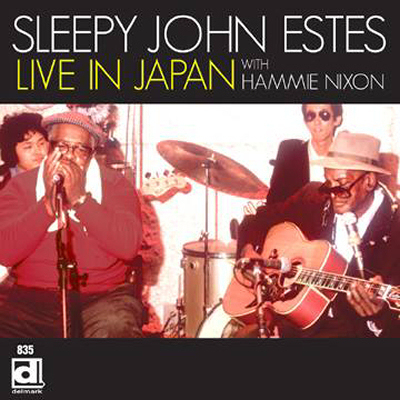 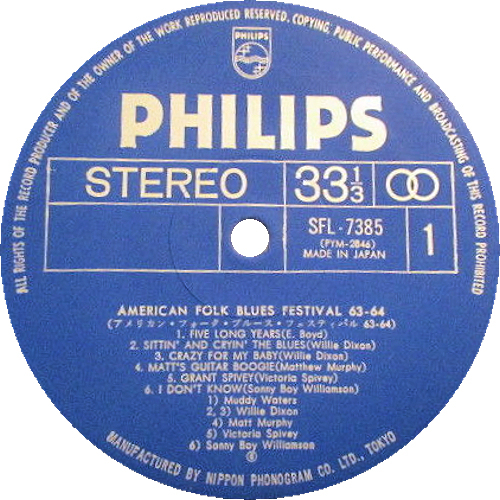 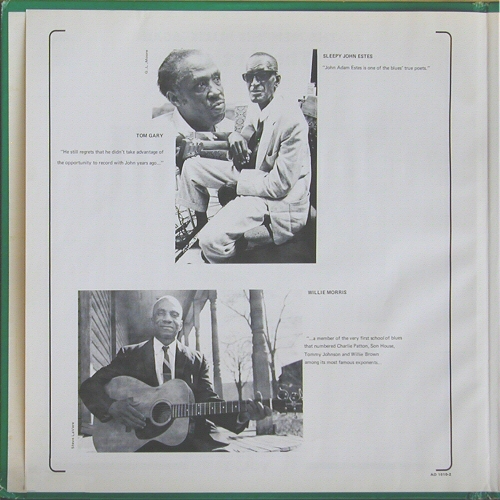 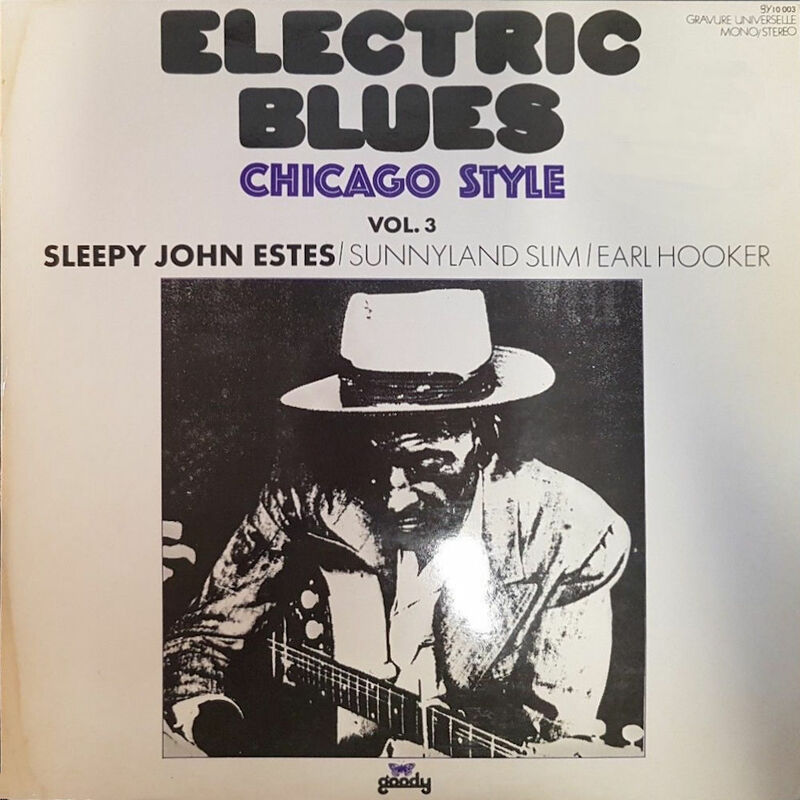 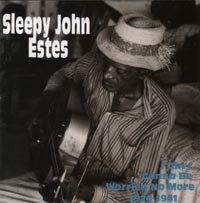 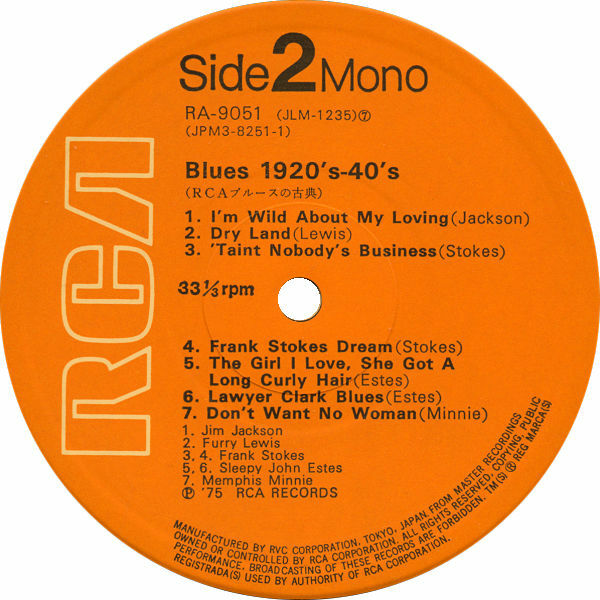 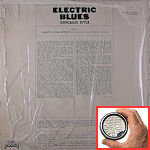 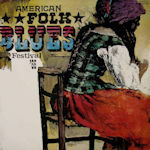 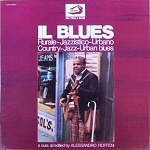 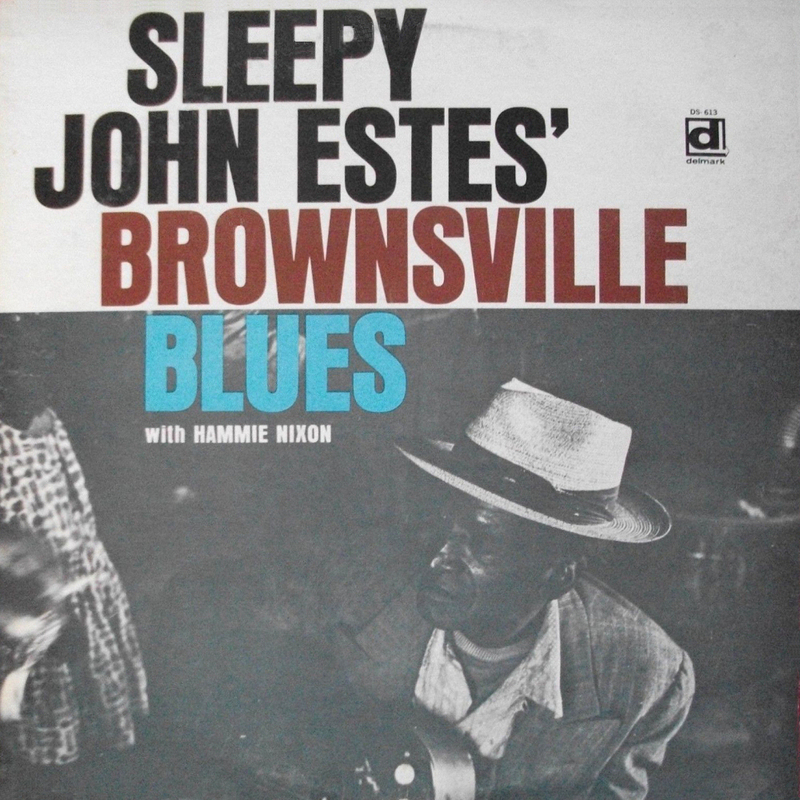 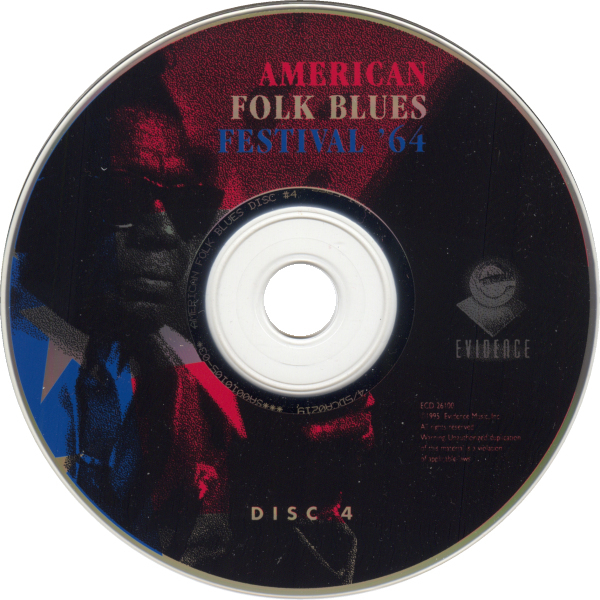 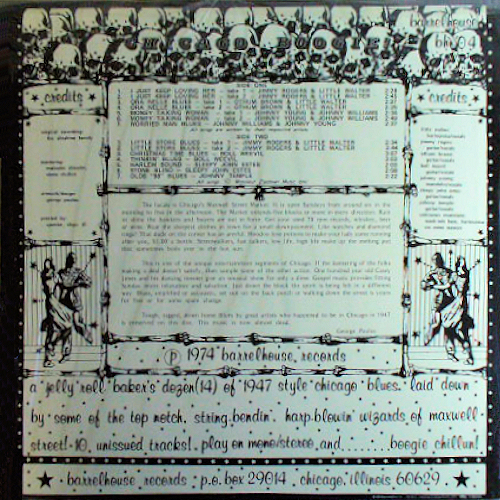 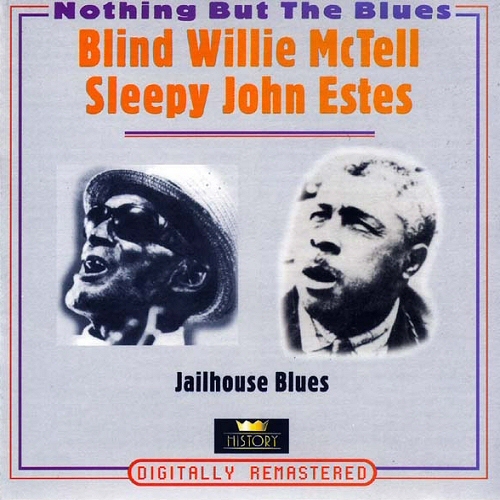 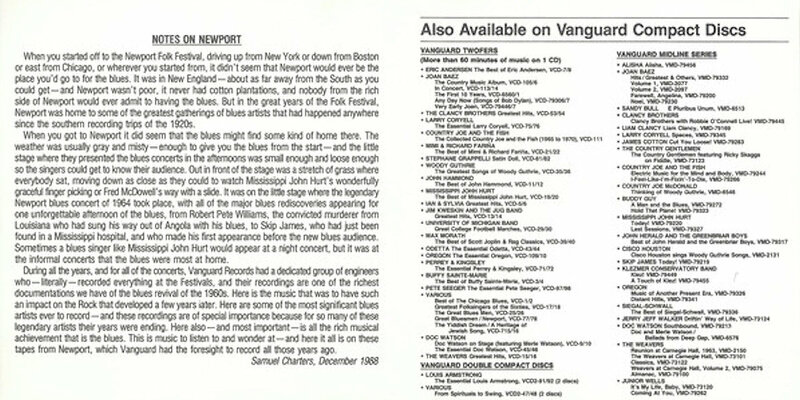 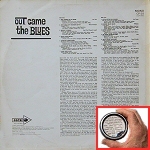 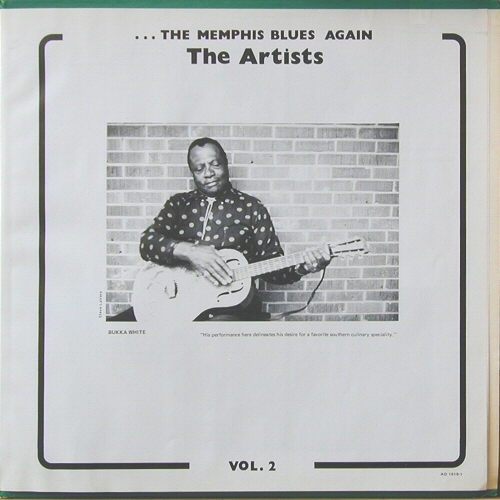 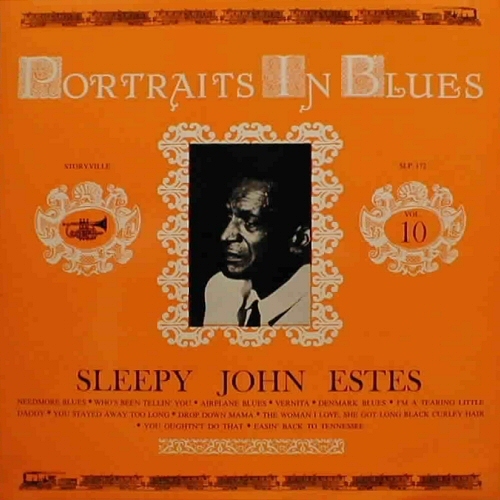 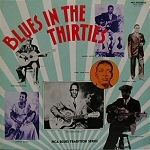 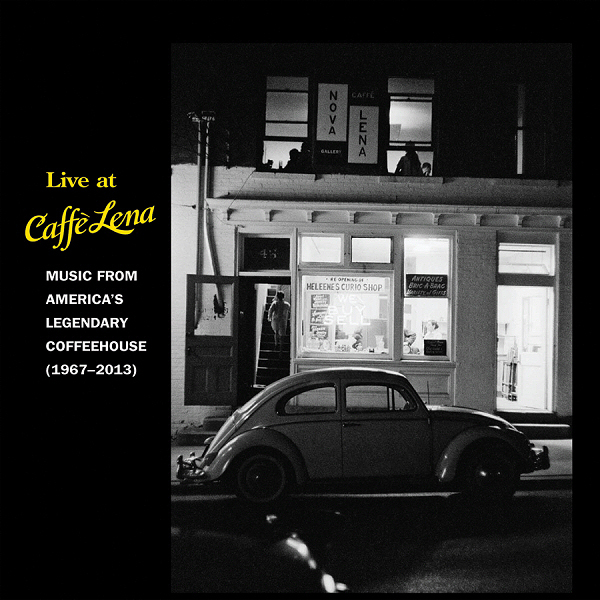 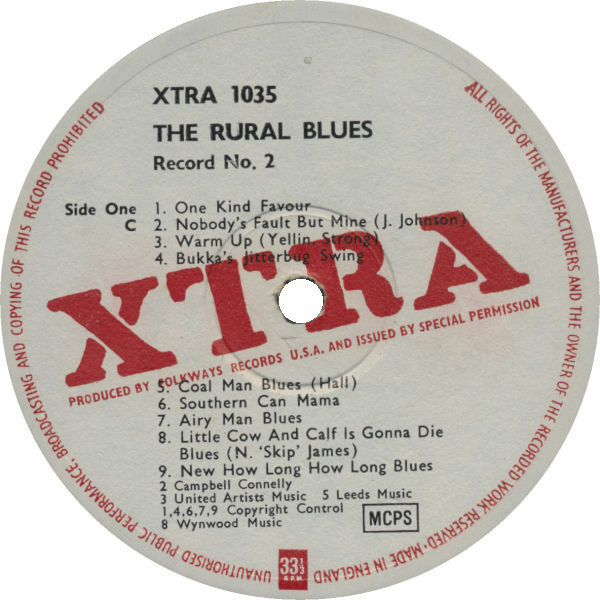 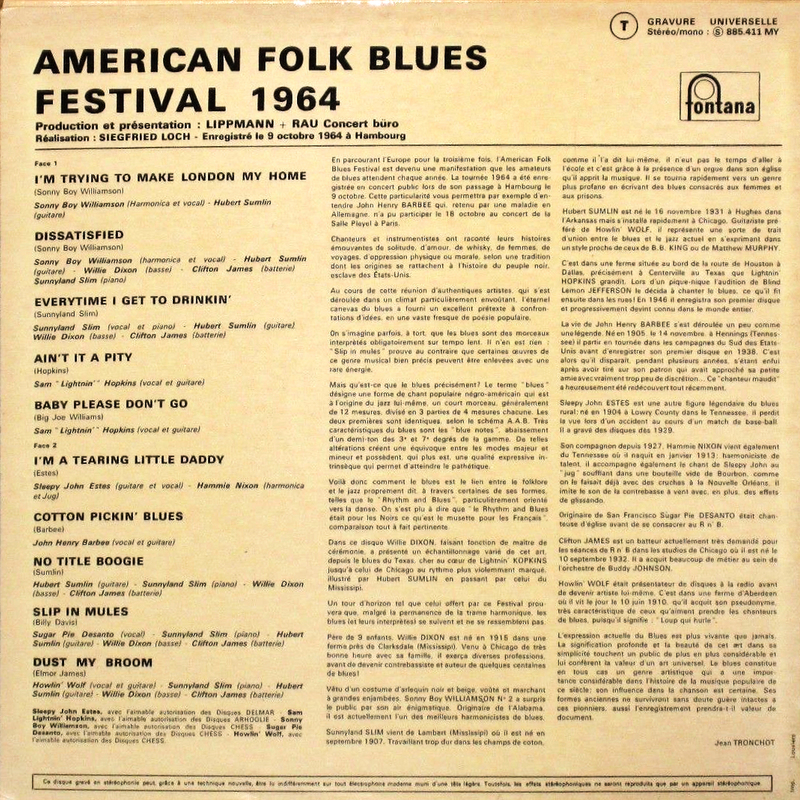 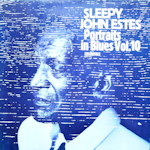 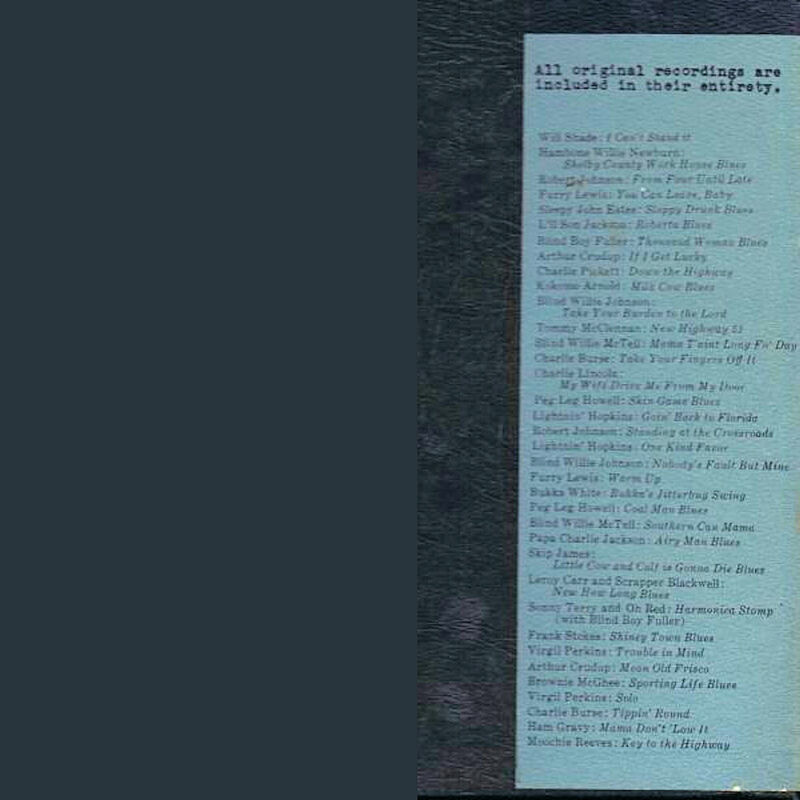 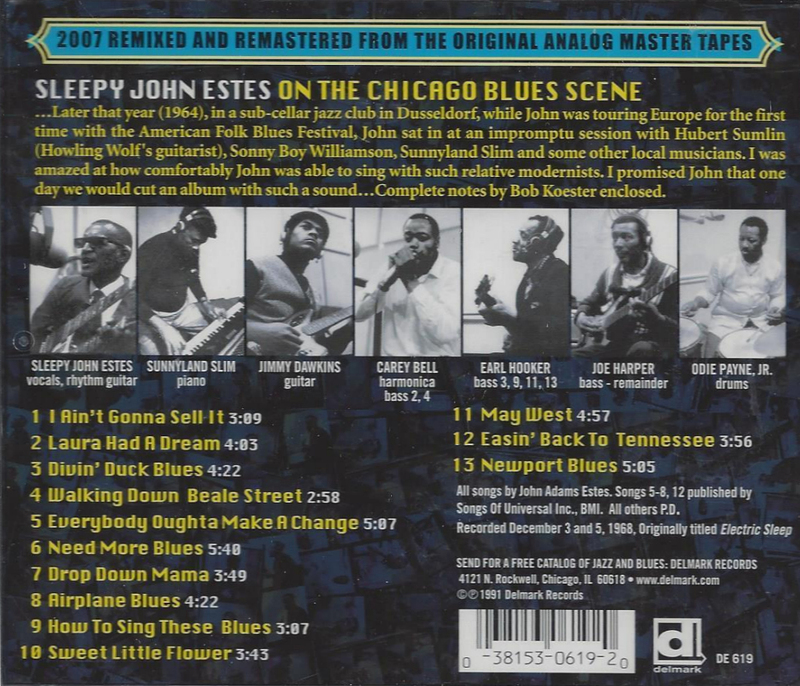 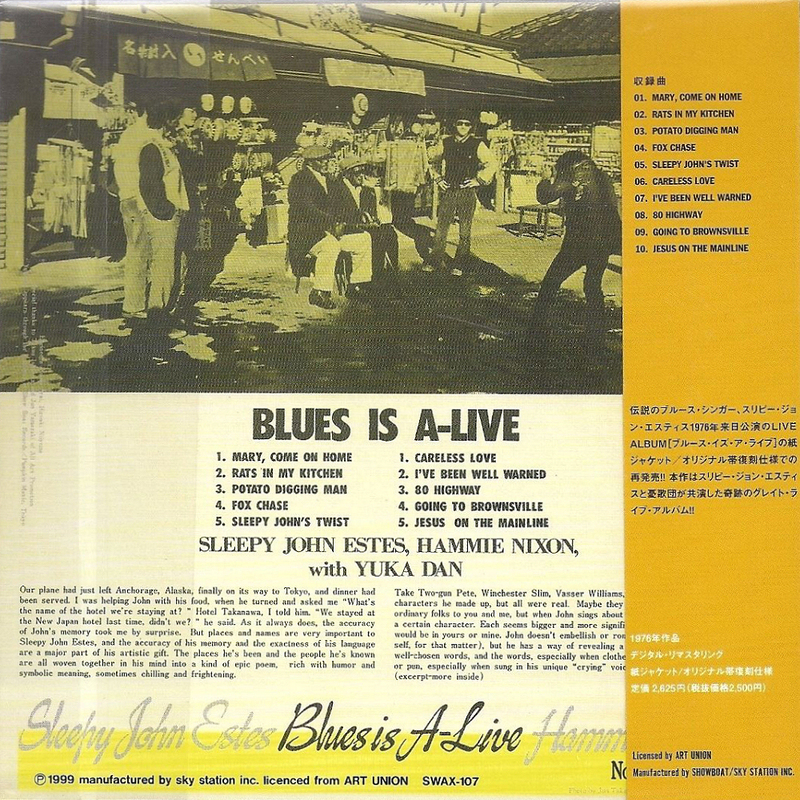 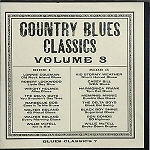 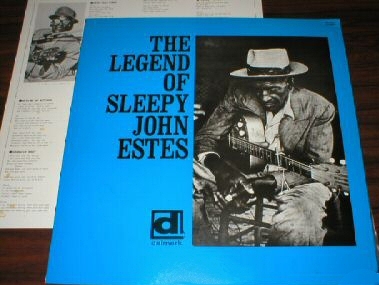 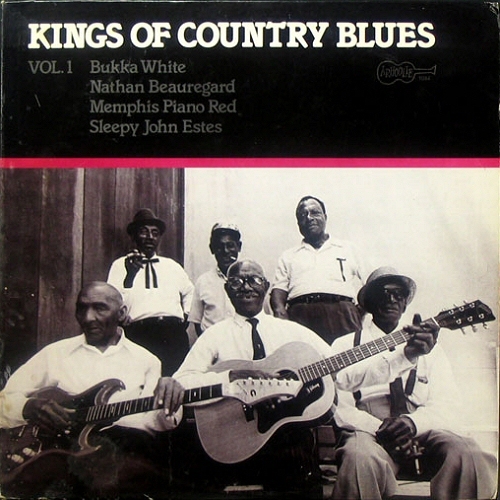 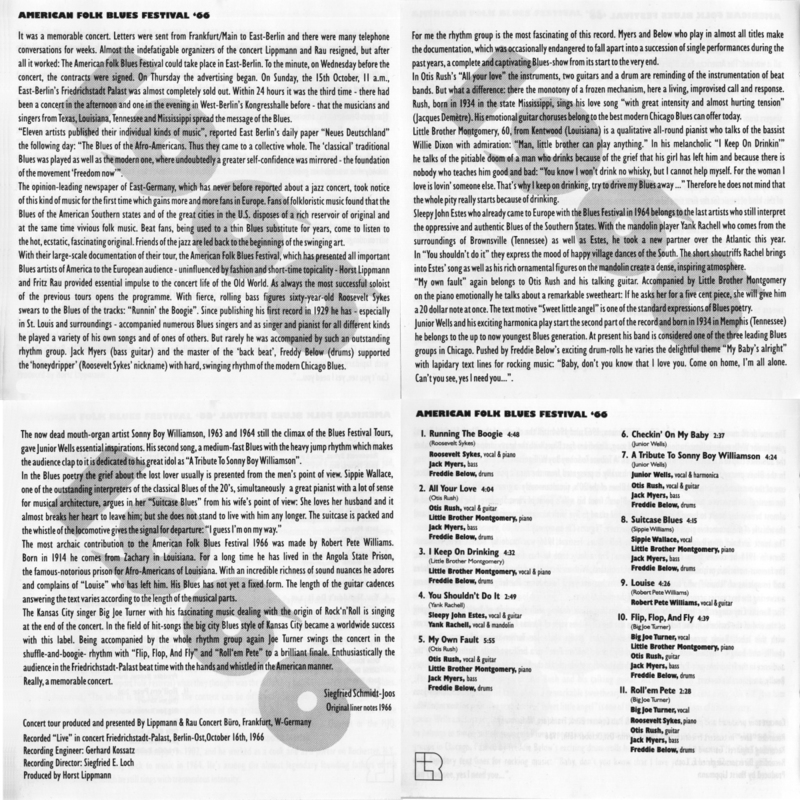 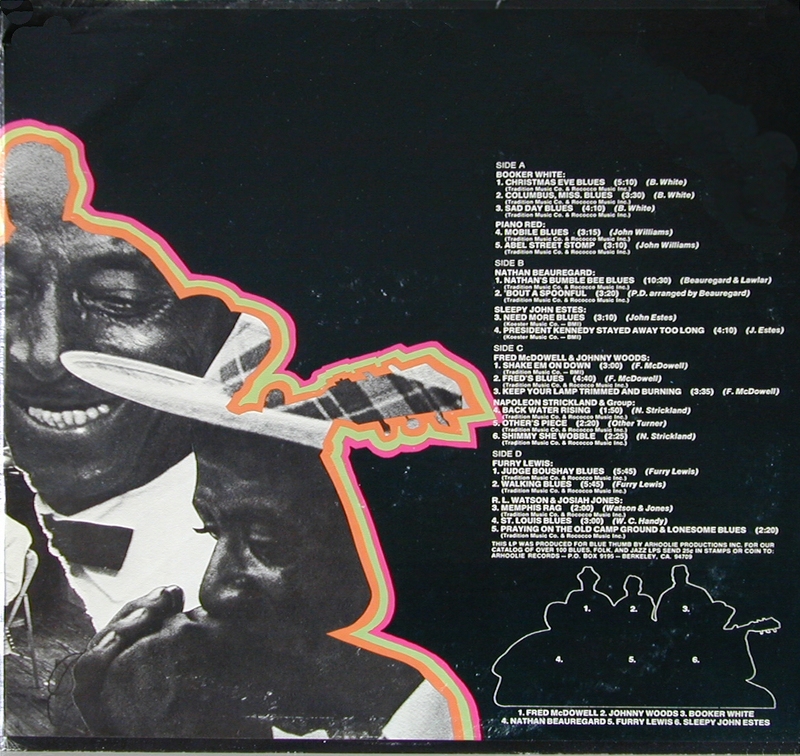 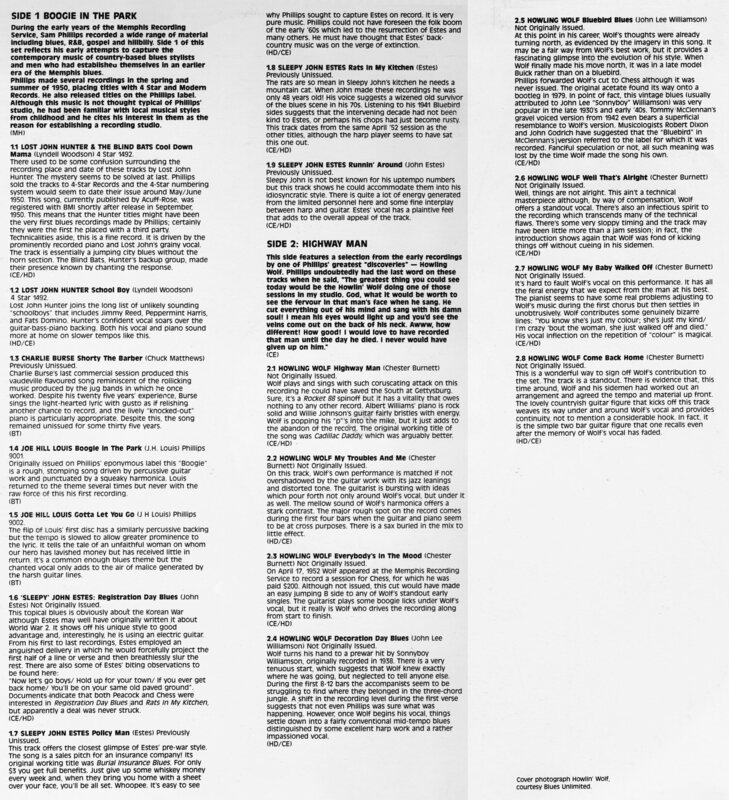 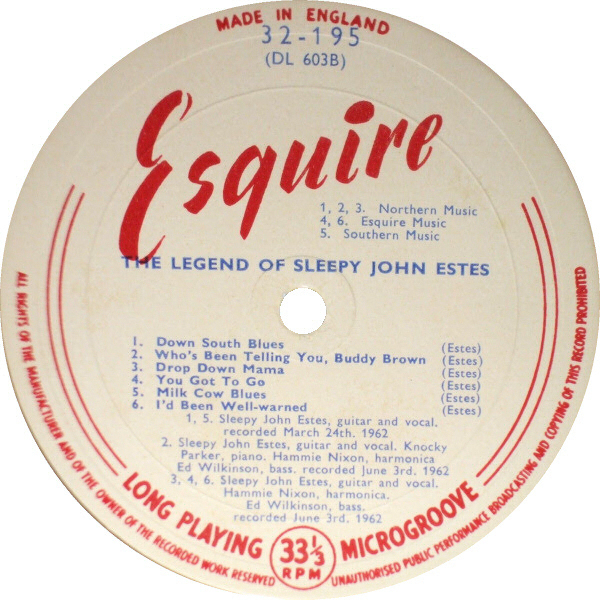 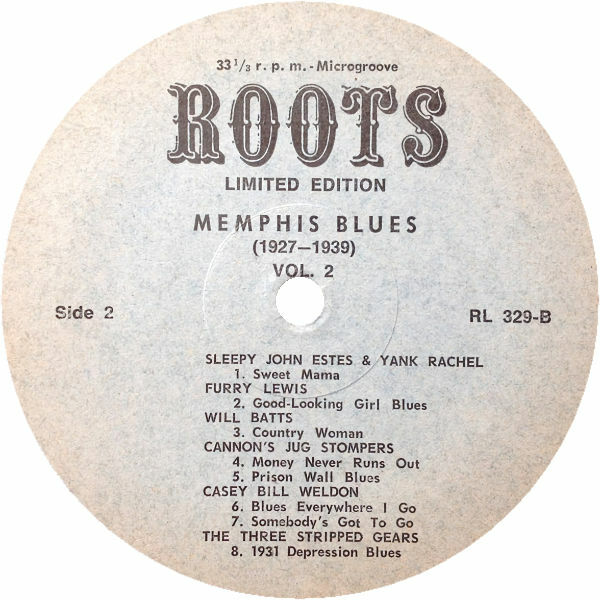 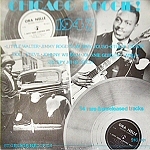 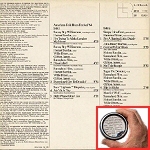 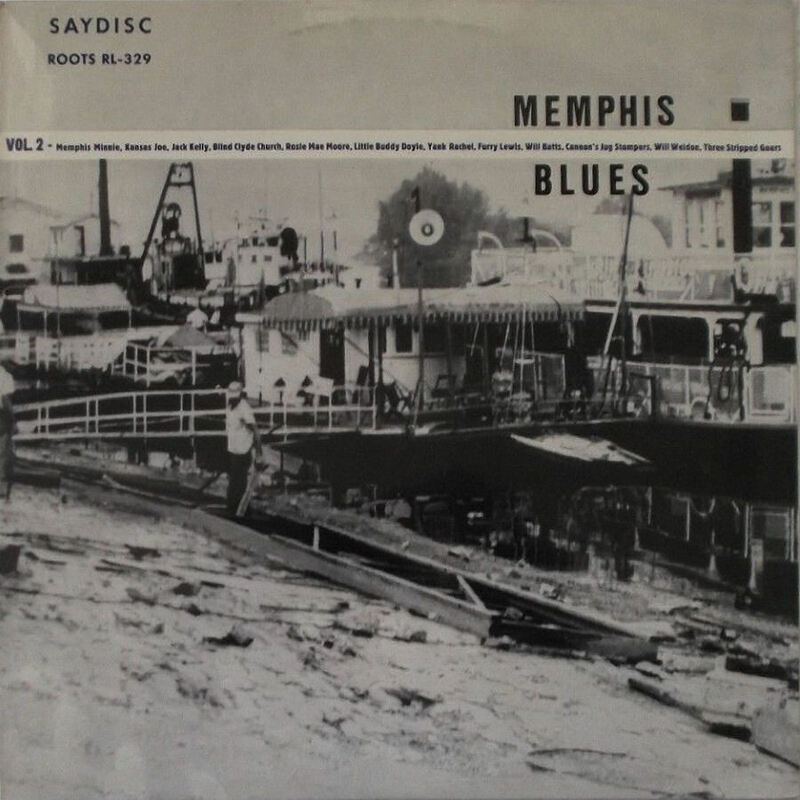 Estes' "Milk Cow Blues" has also been released as "Sloppy Drunk Blues" and "covered" under the title of "Leaving Trunk", e.g. 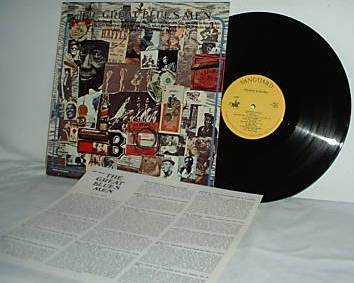 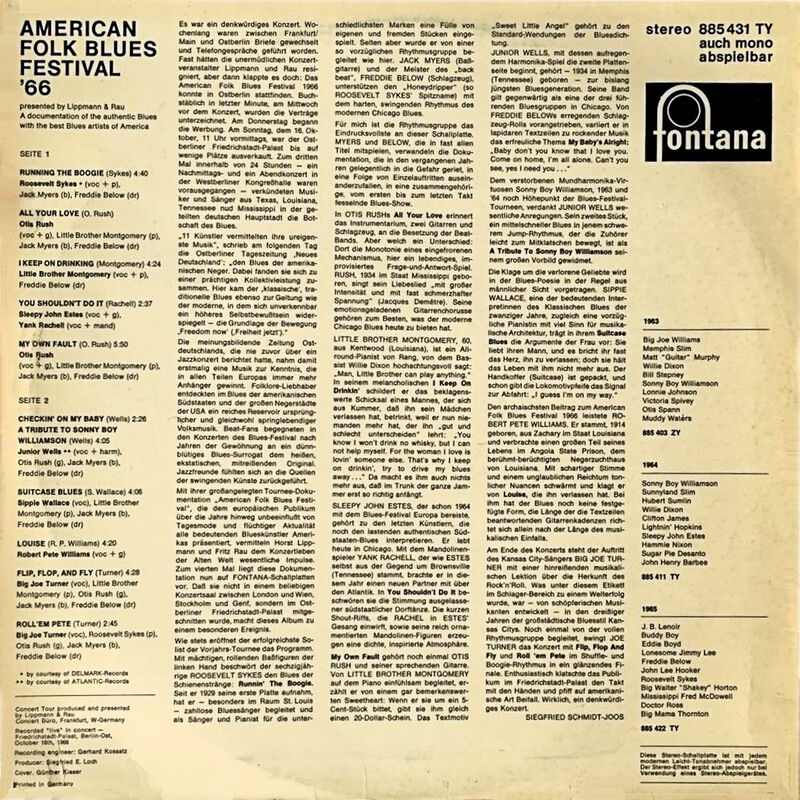 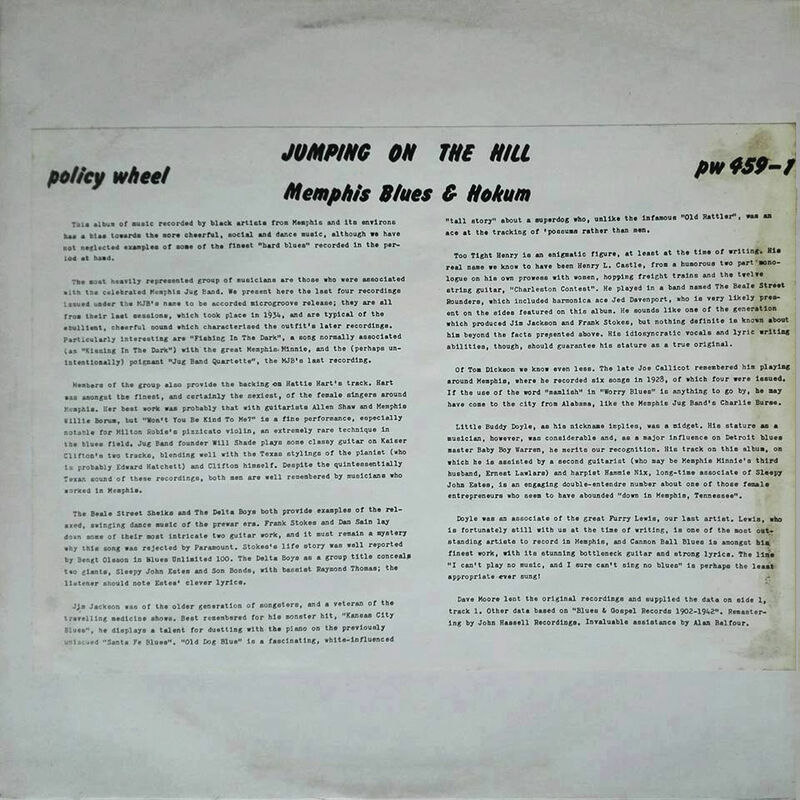 in 1968 by Taj Mahal! 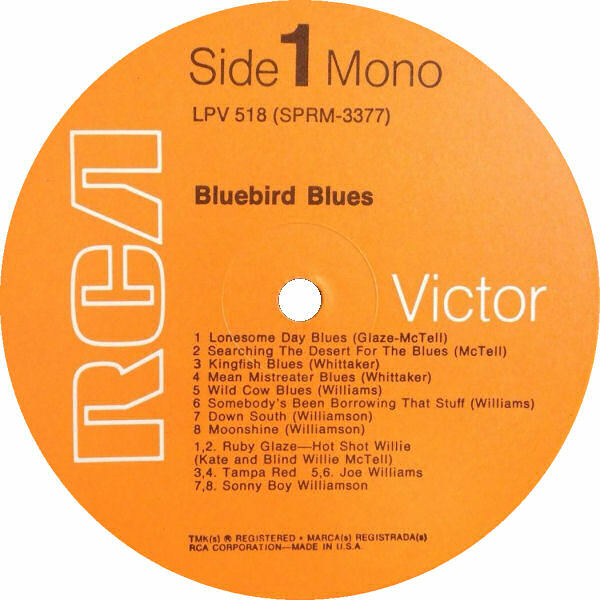 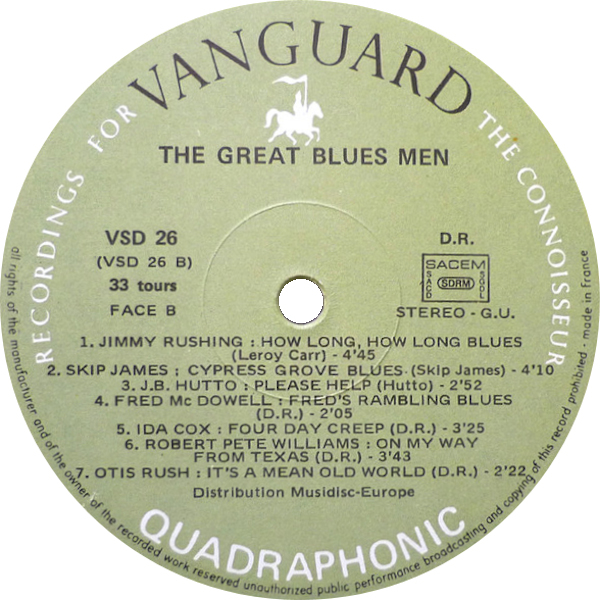 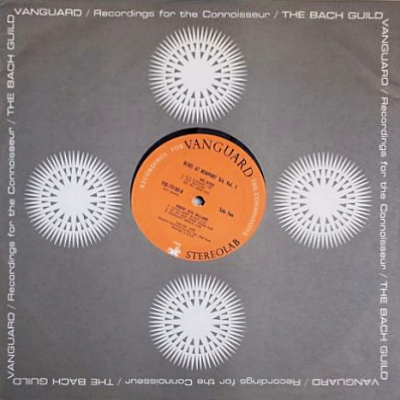 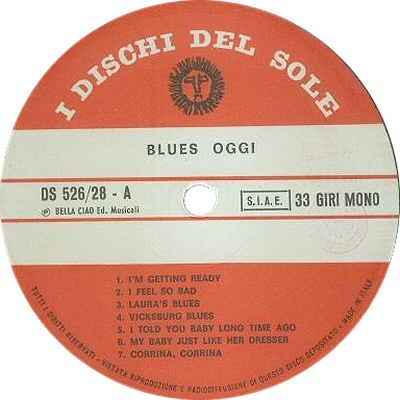 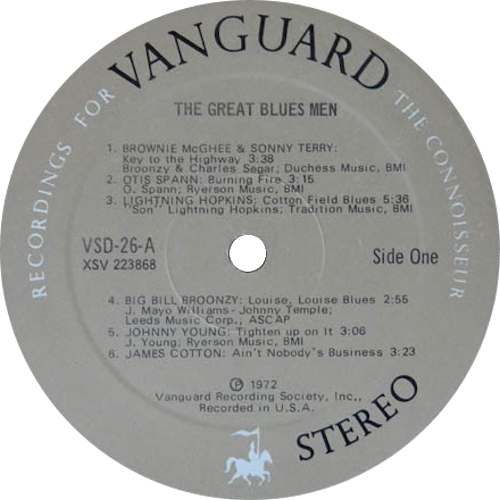 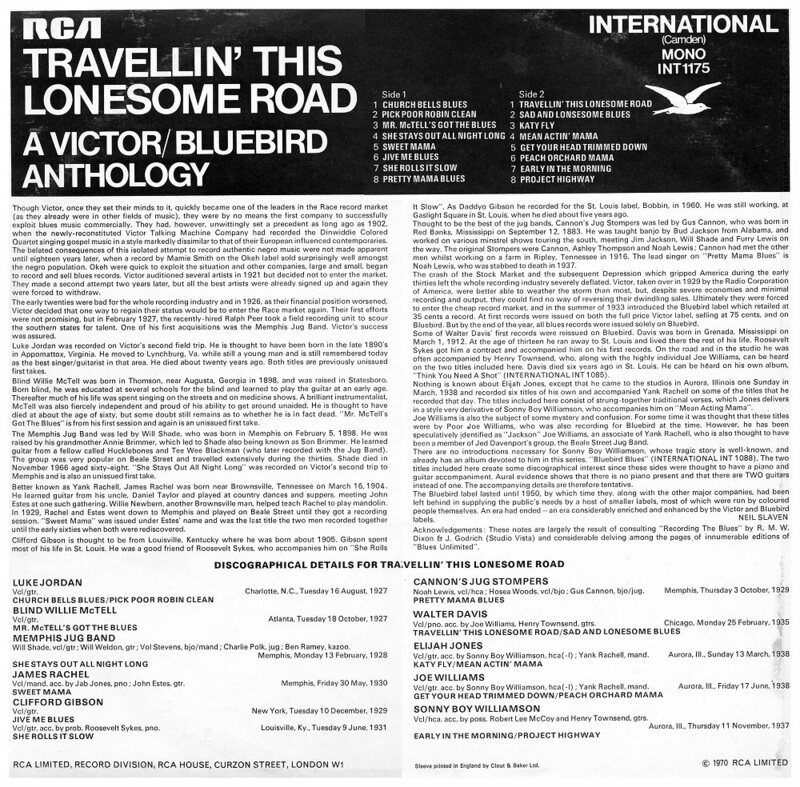 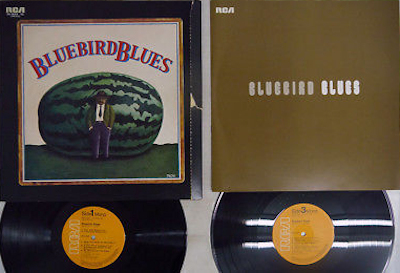 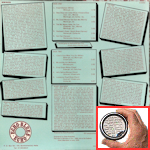 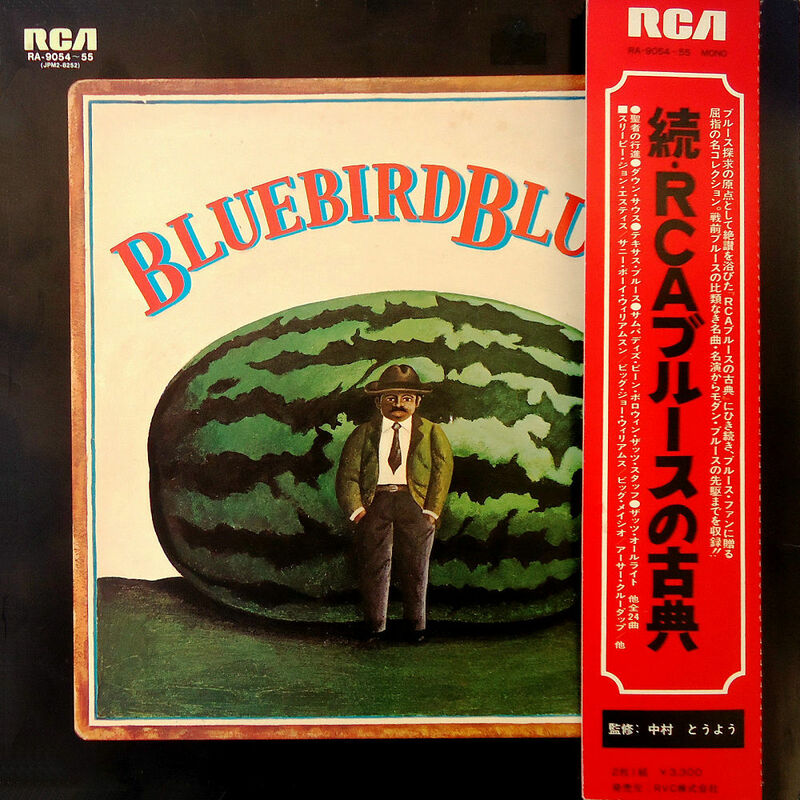 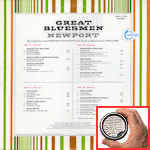 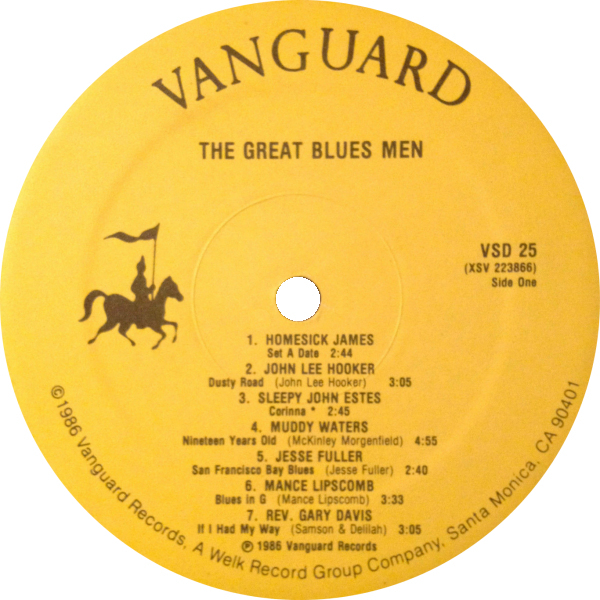 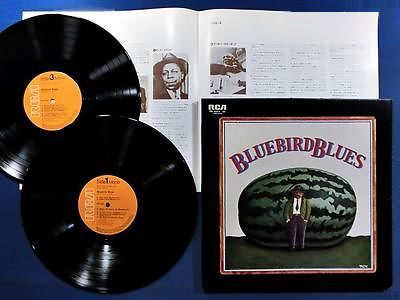 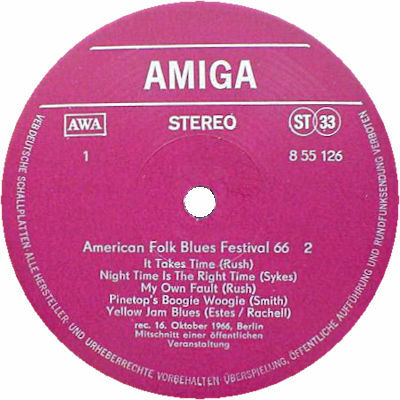 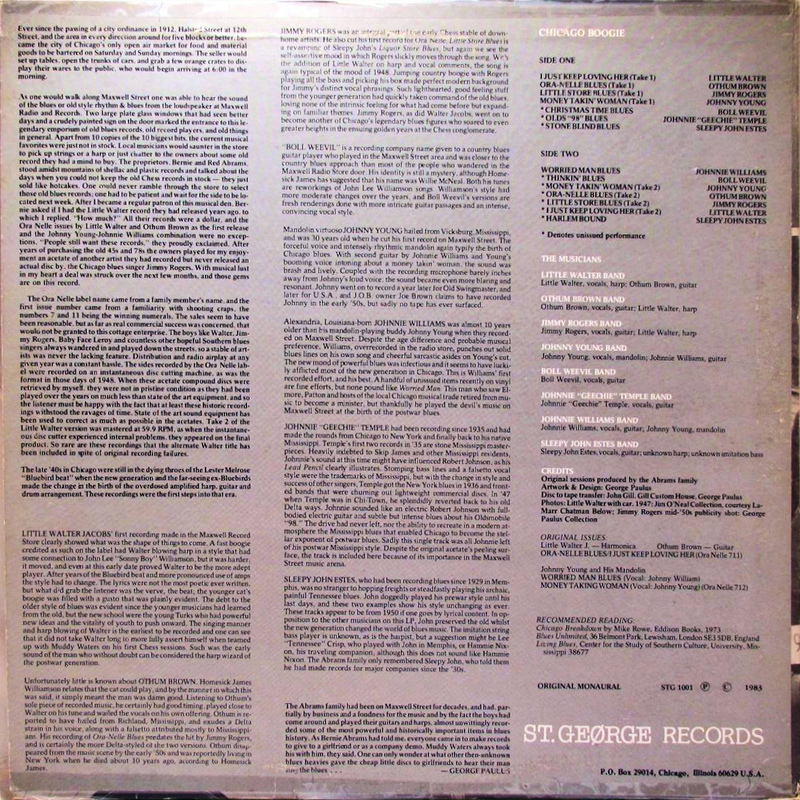 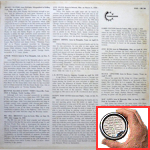 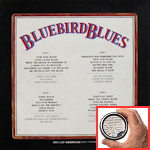 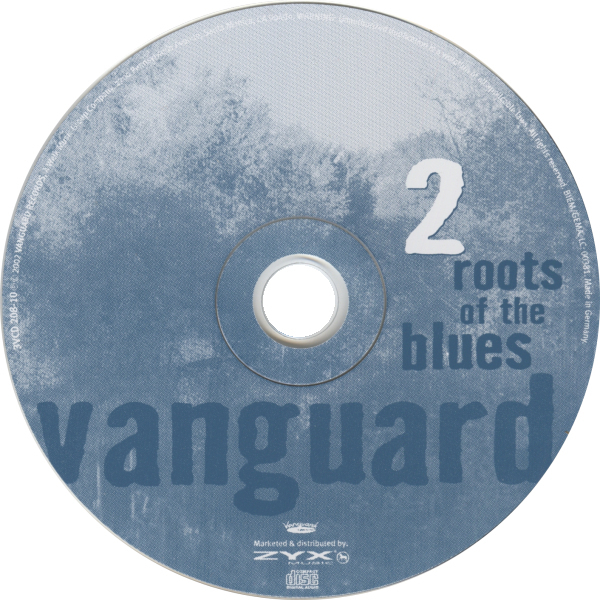 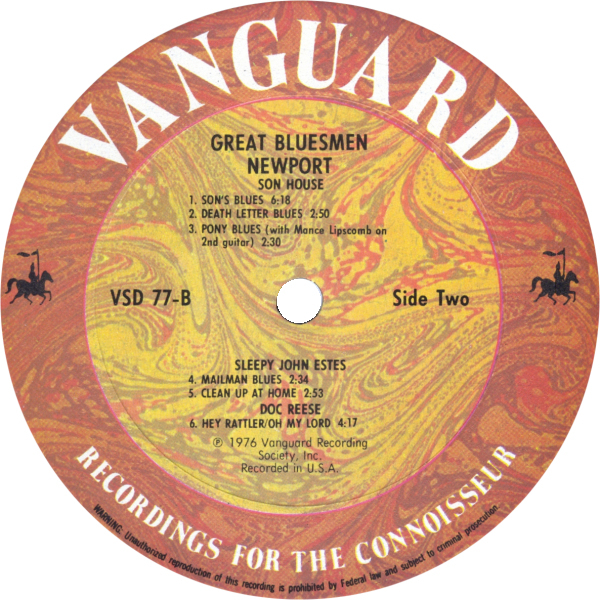 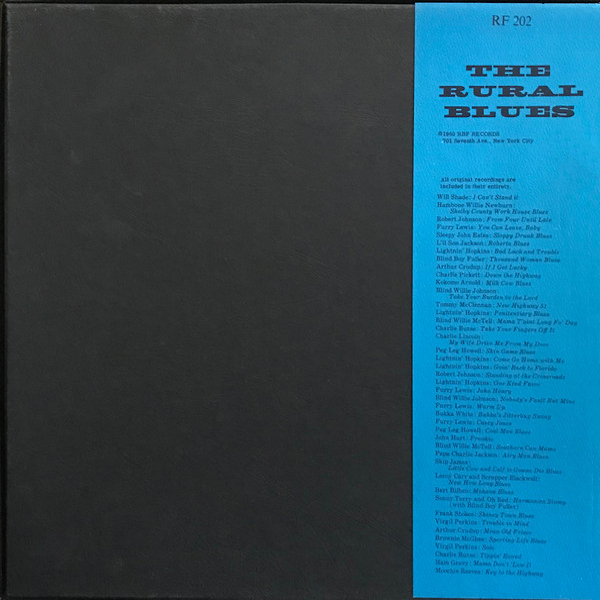 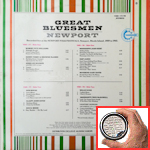 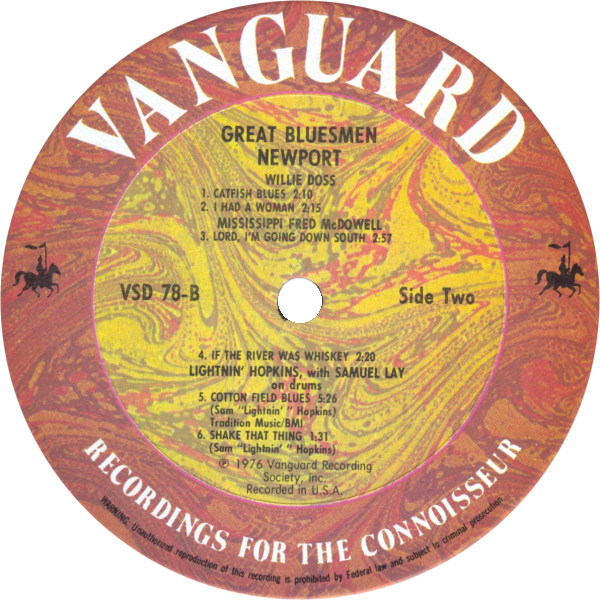 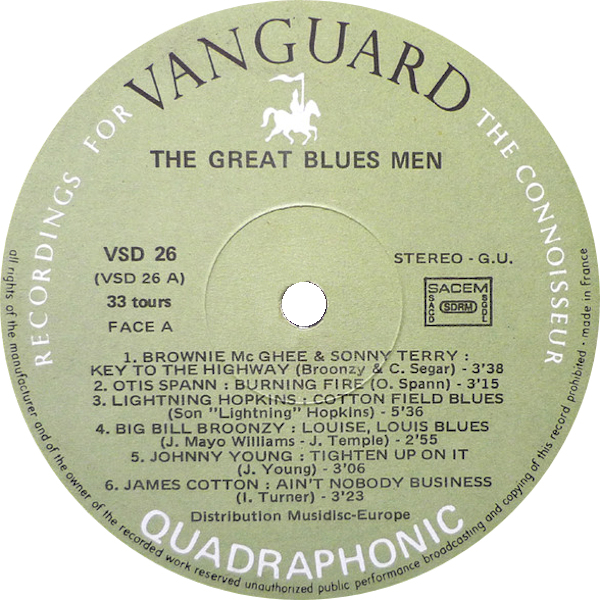 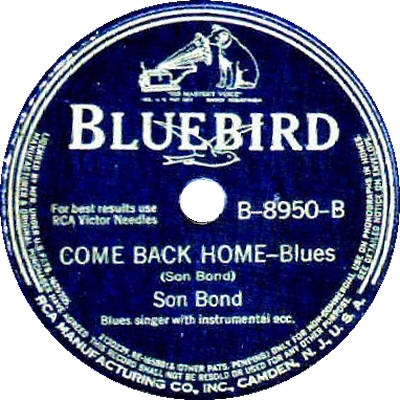 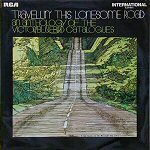 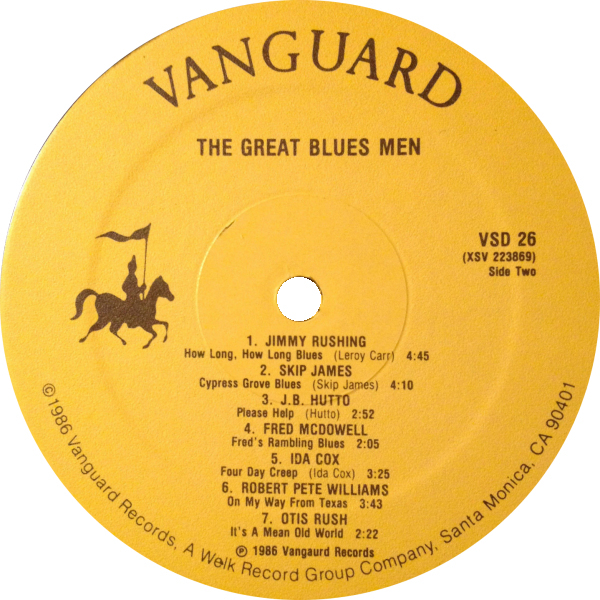 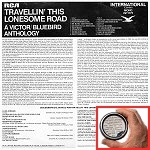 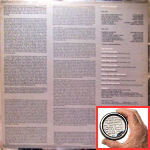 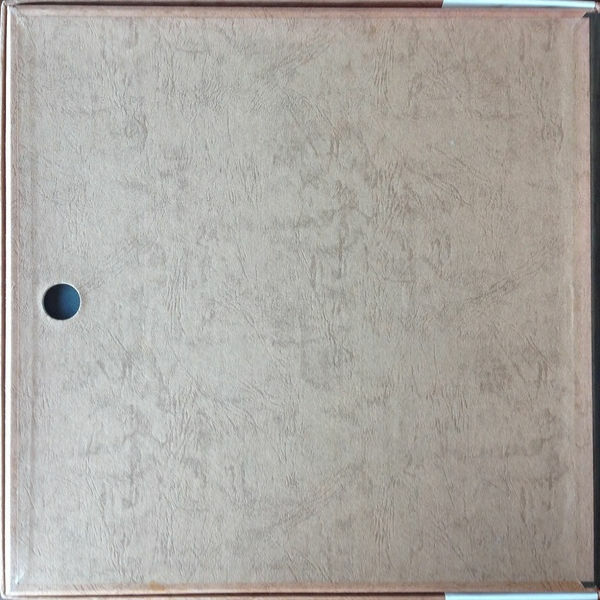 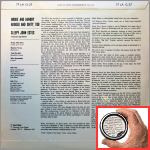 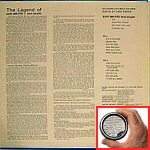 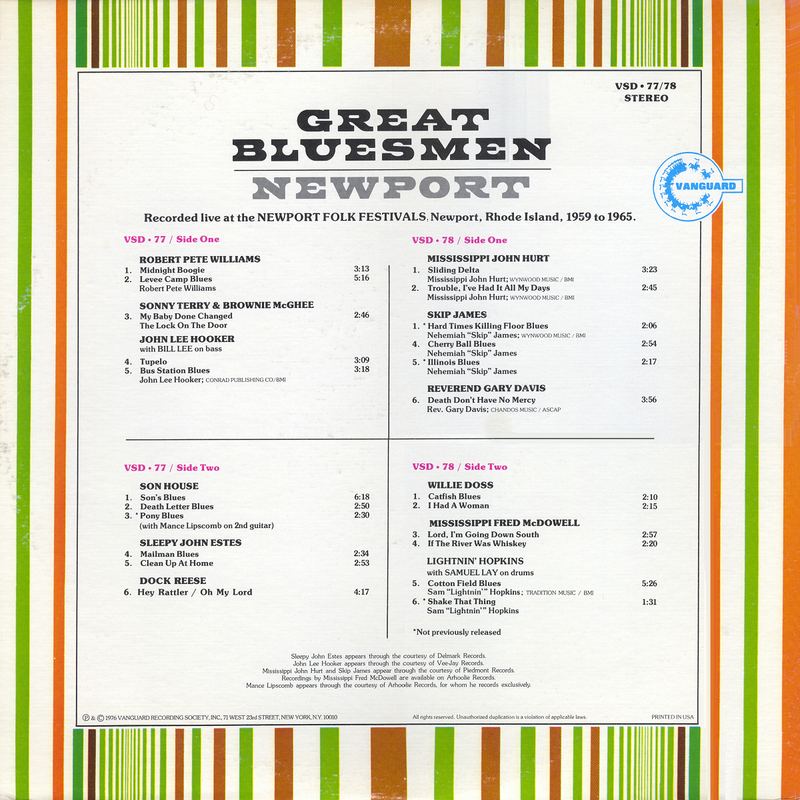 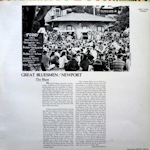 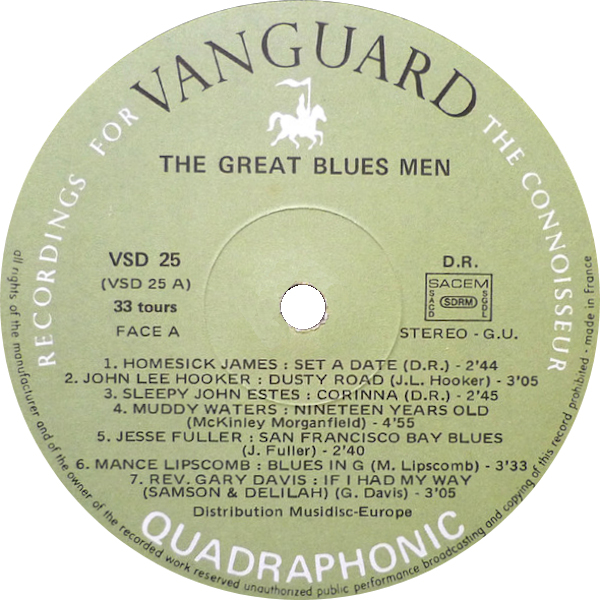 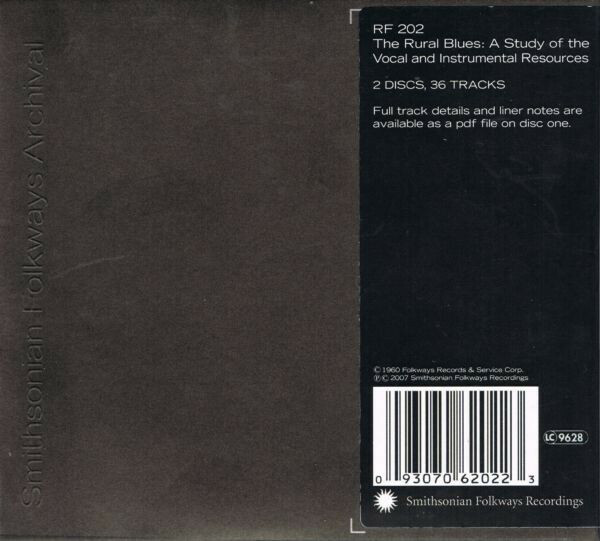 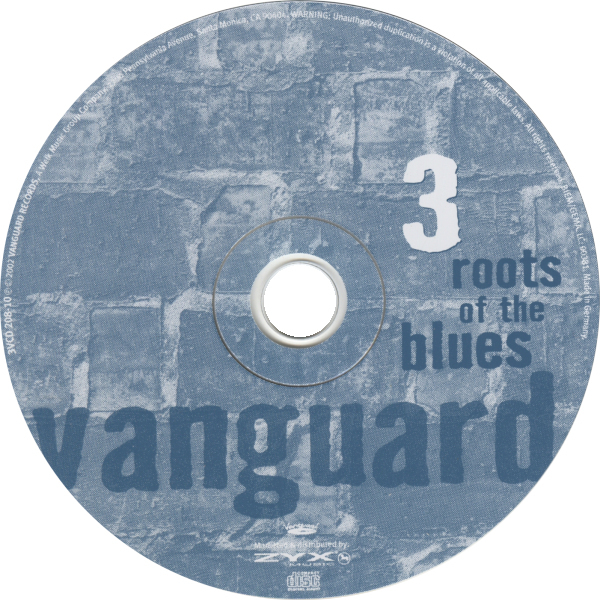 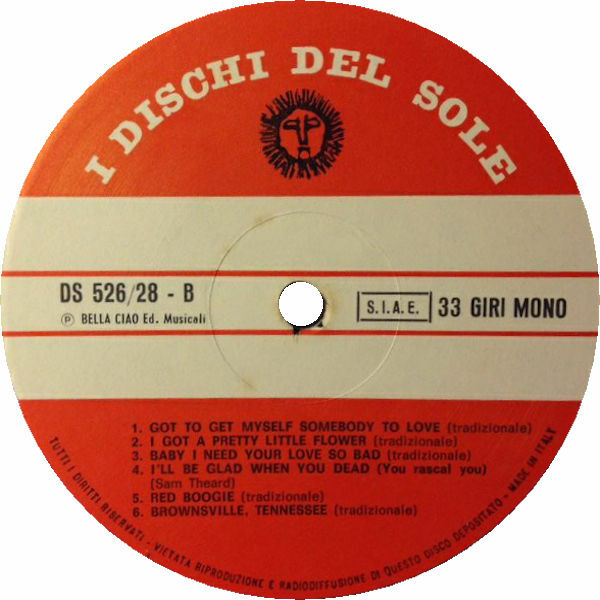 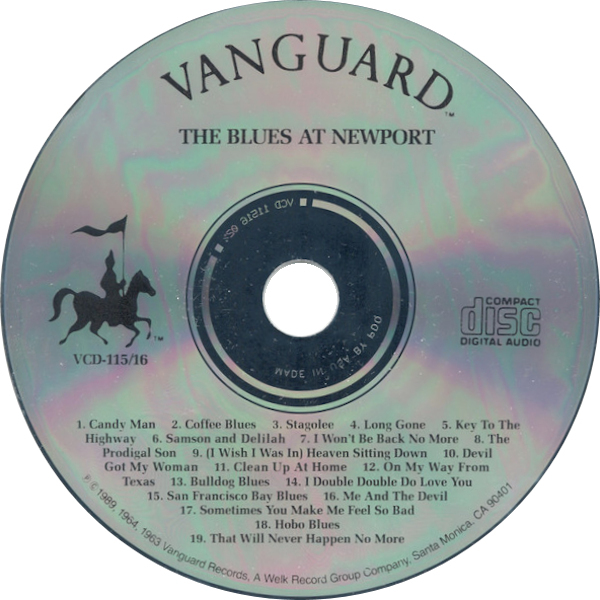 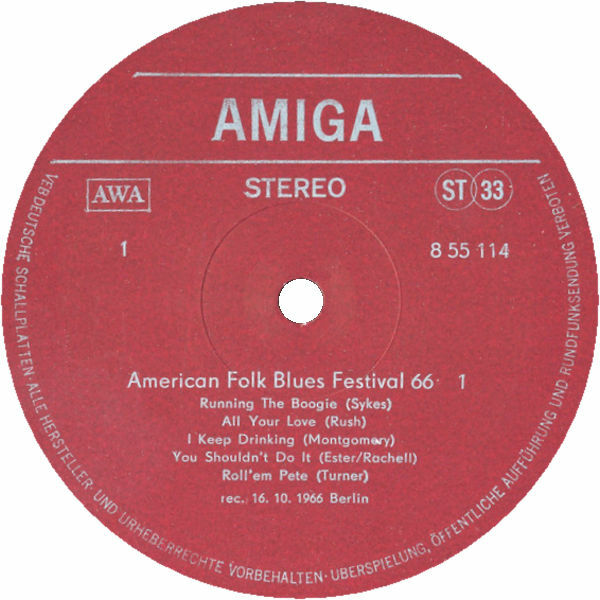 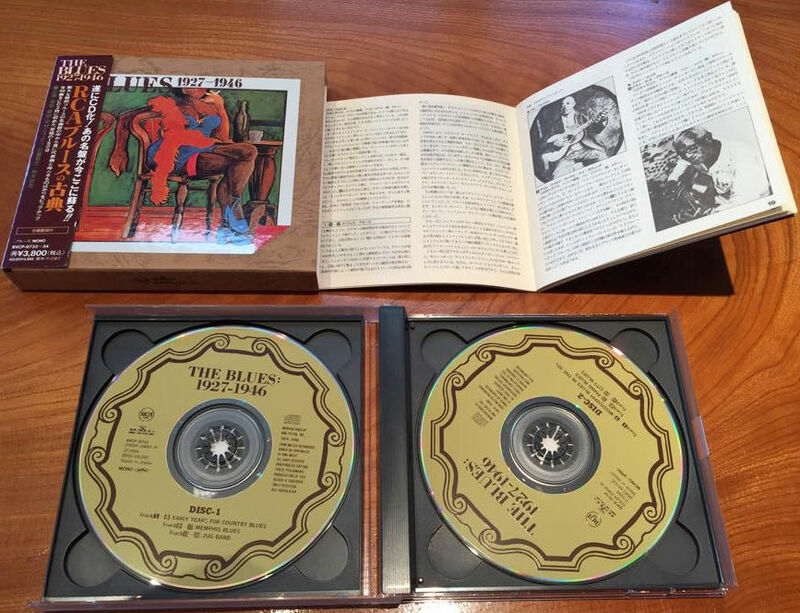 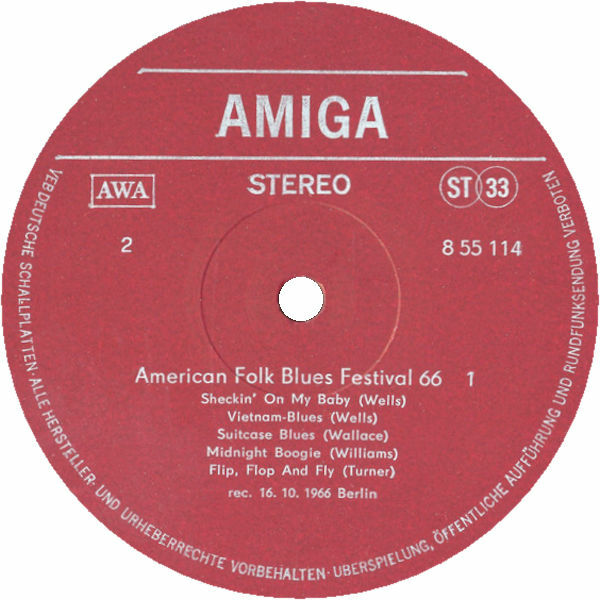 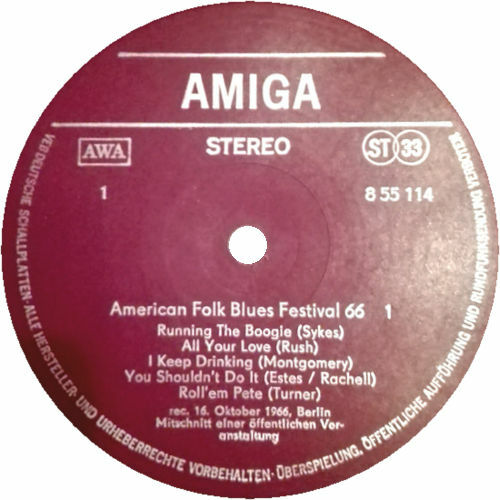 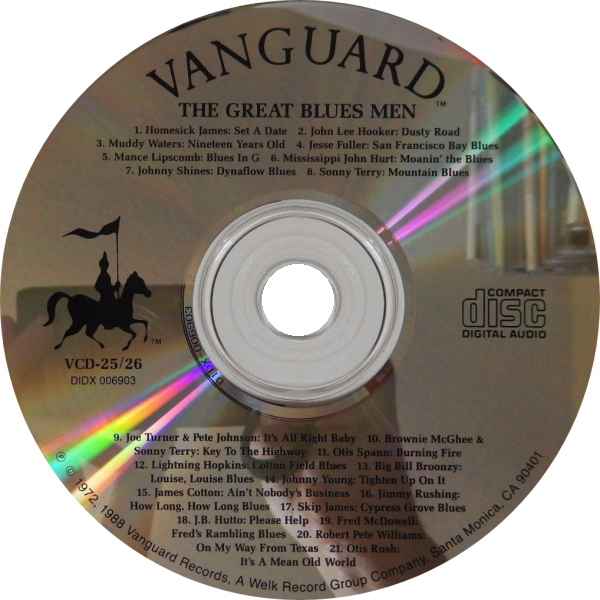 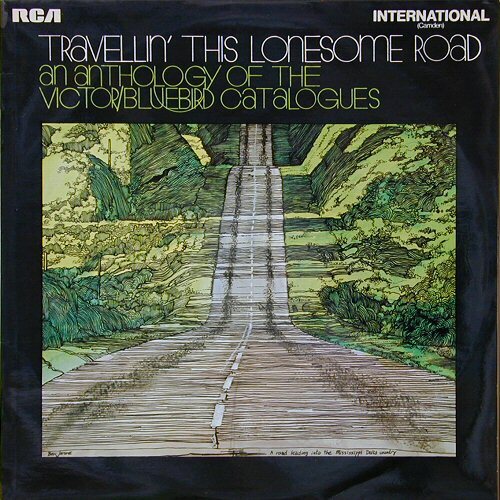 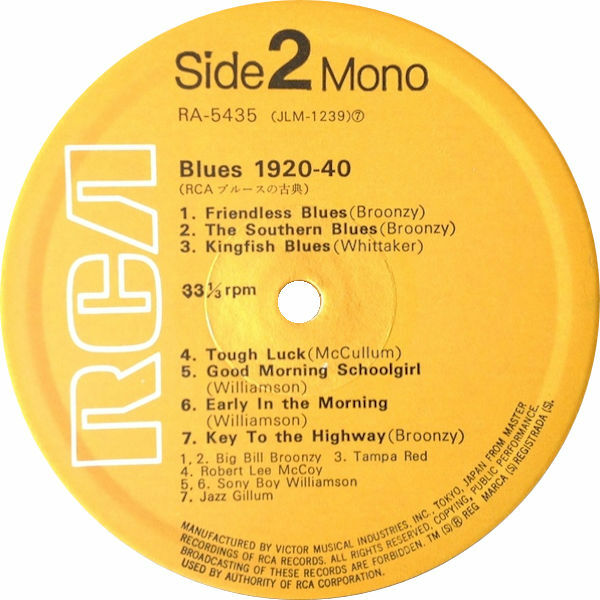 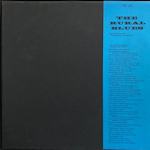 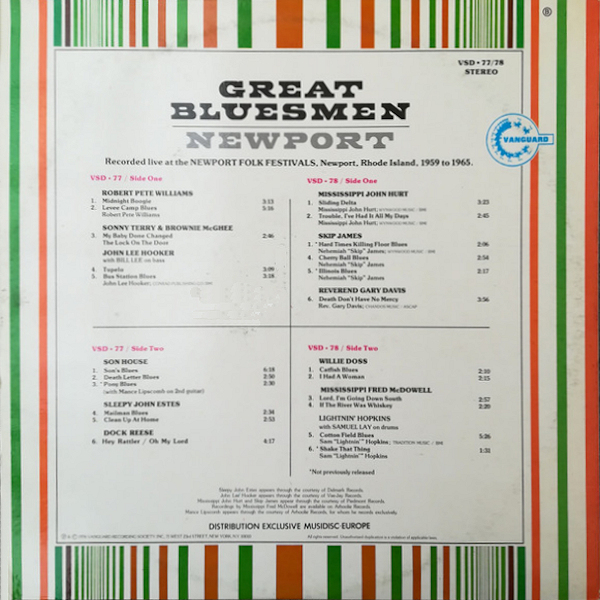 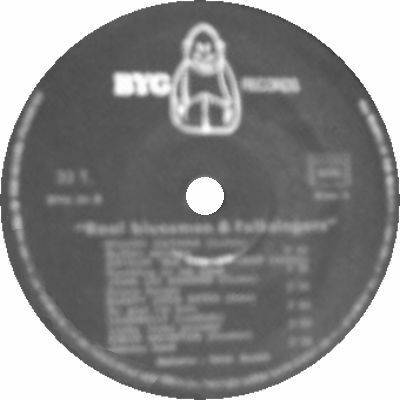 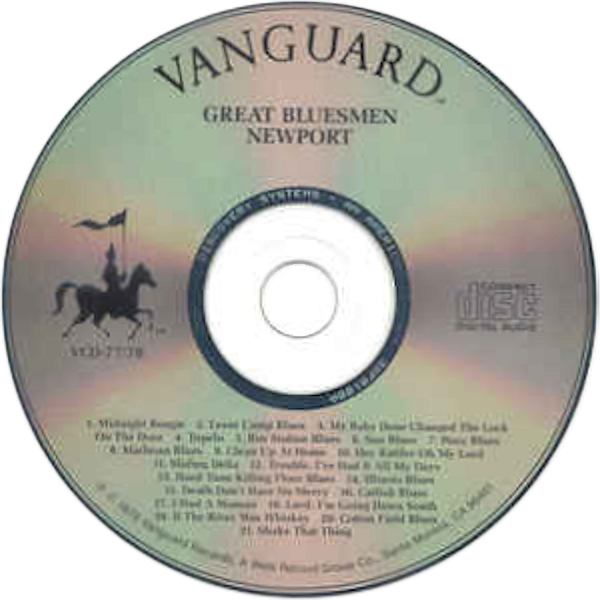 BG&R: "This reissue may use a different take than the original Victor V38549"; according to Helge Thygesen (who does own the Victor and the Bluebird) the same take (tk 1) has been used! 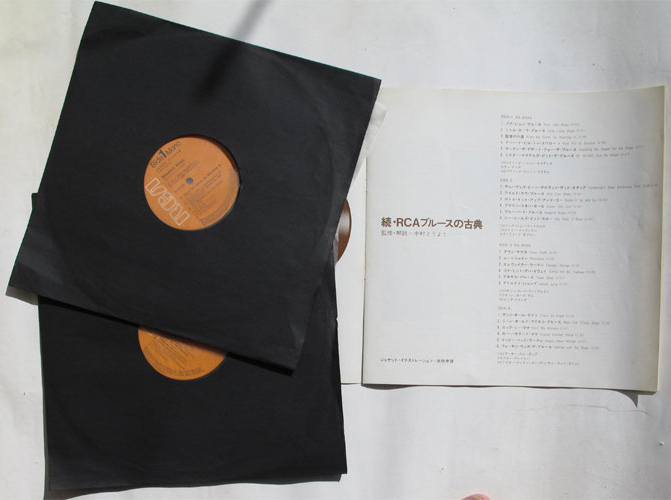 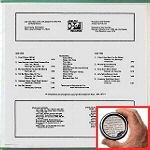 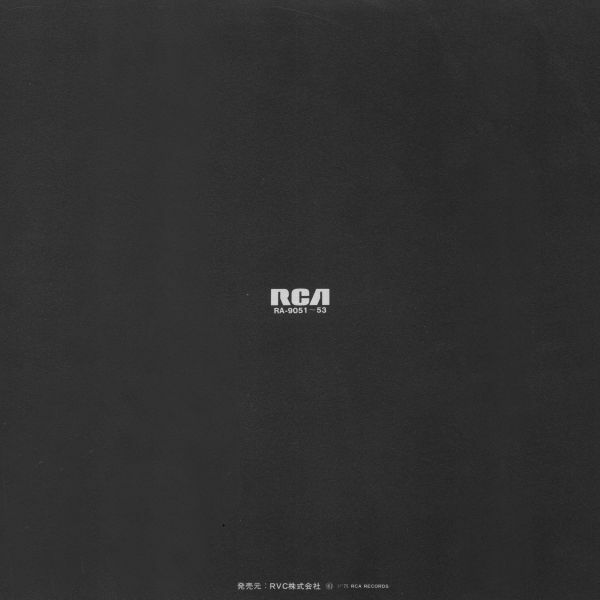 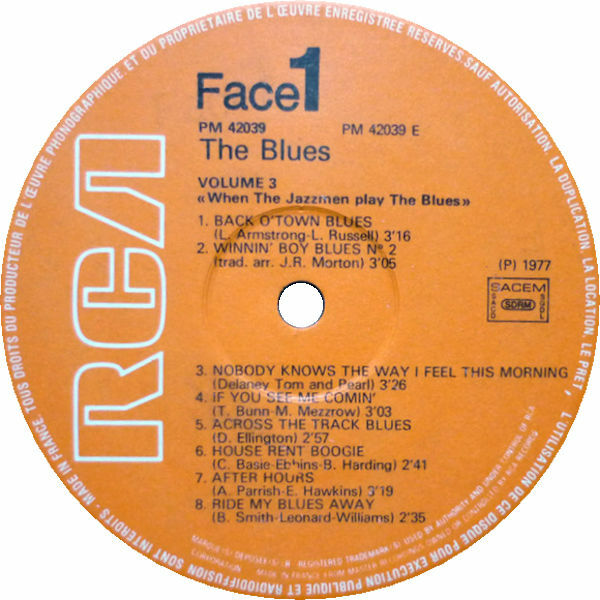 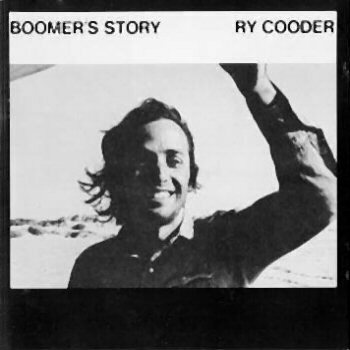 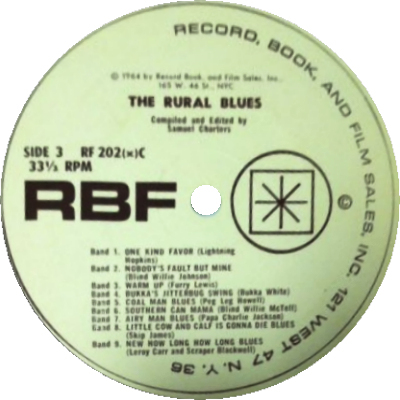 notes captioned "RBF RECORDS album No. 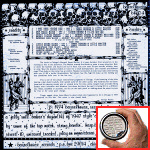 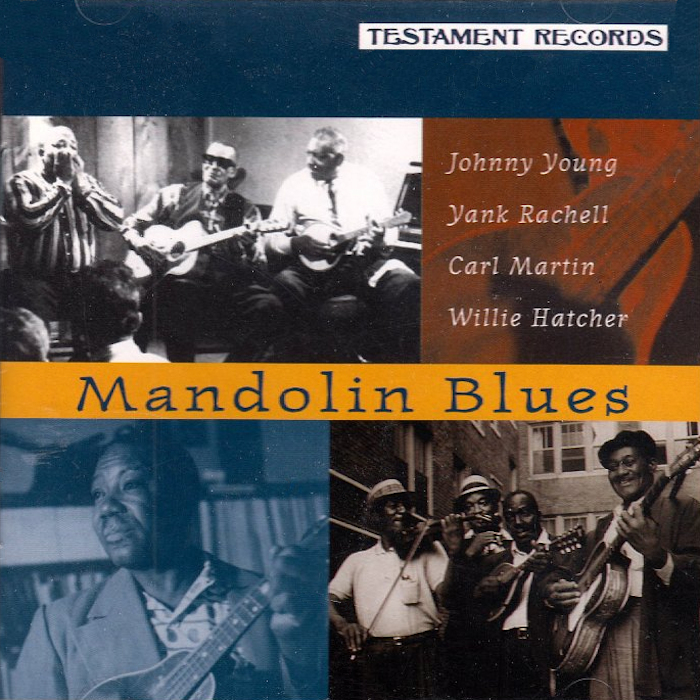 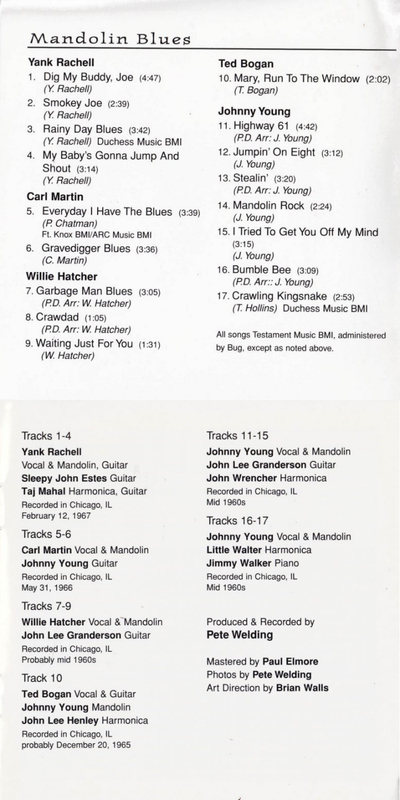 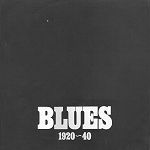 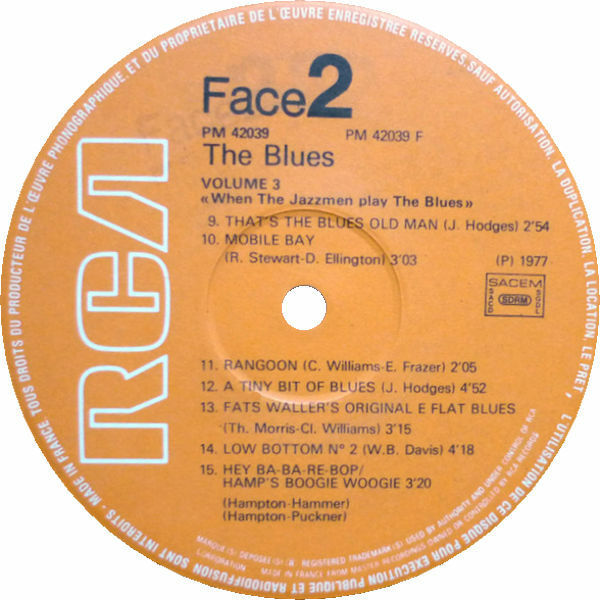 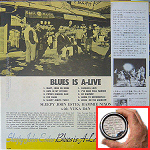 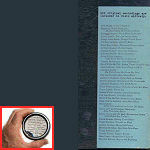 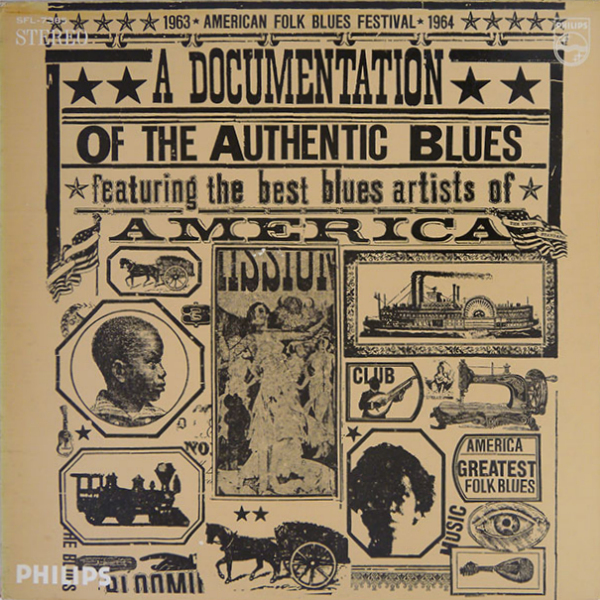 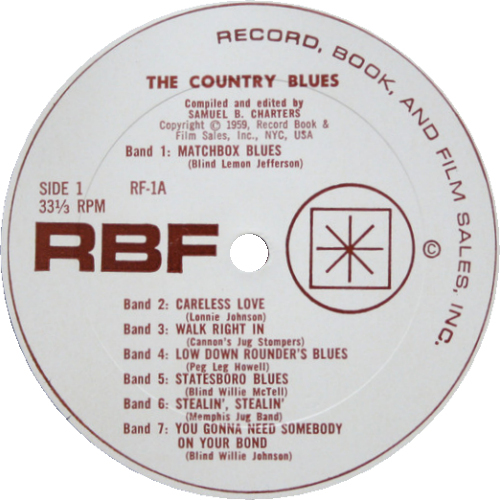 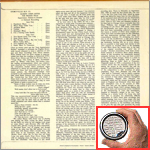 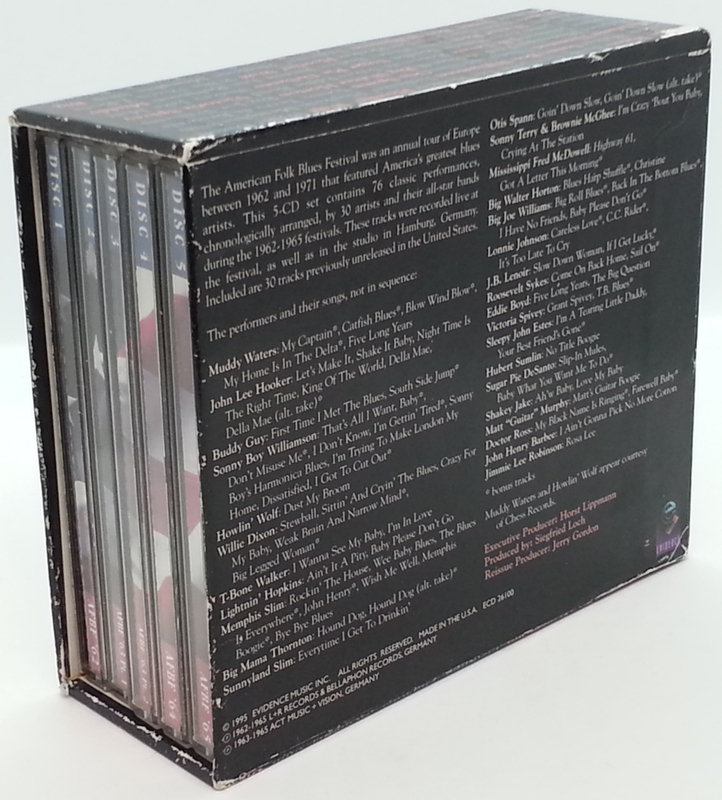 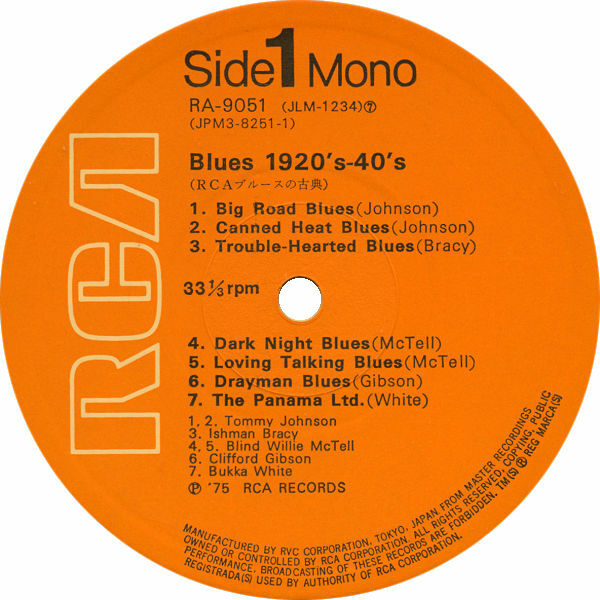 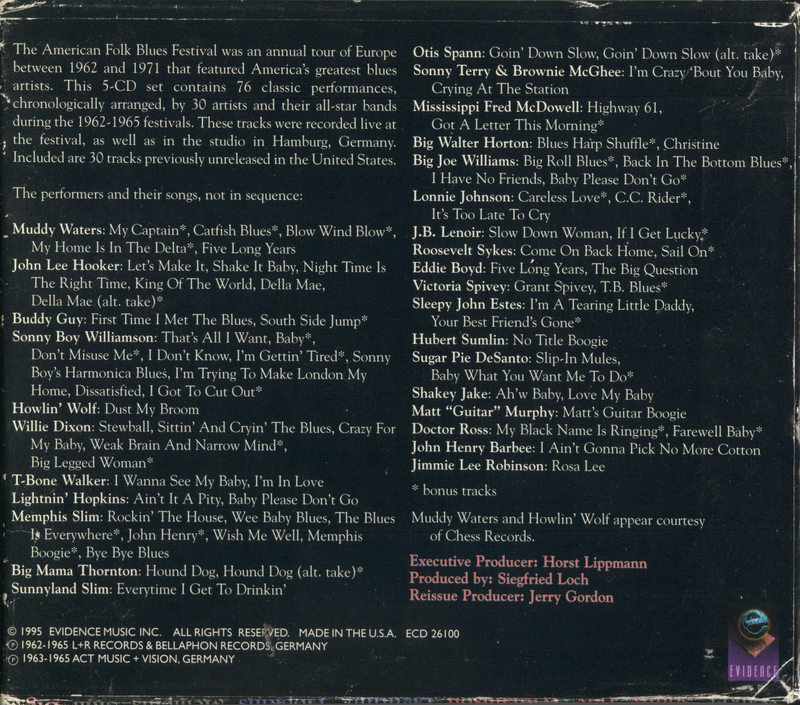 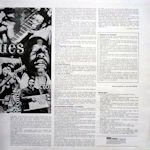 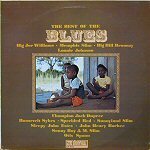 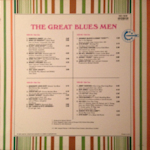 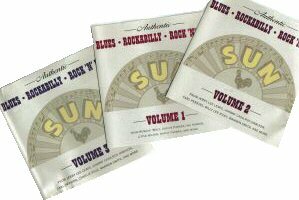 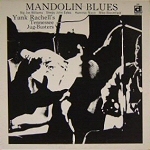 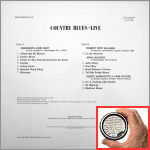 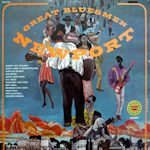 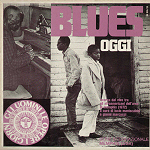 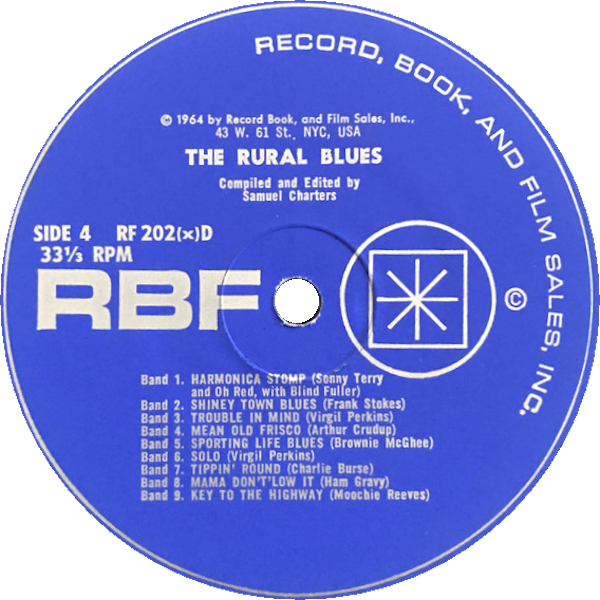 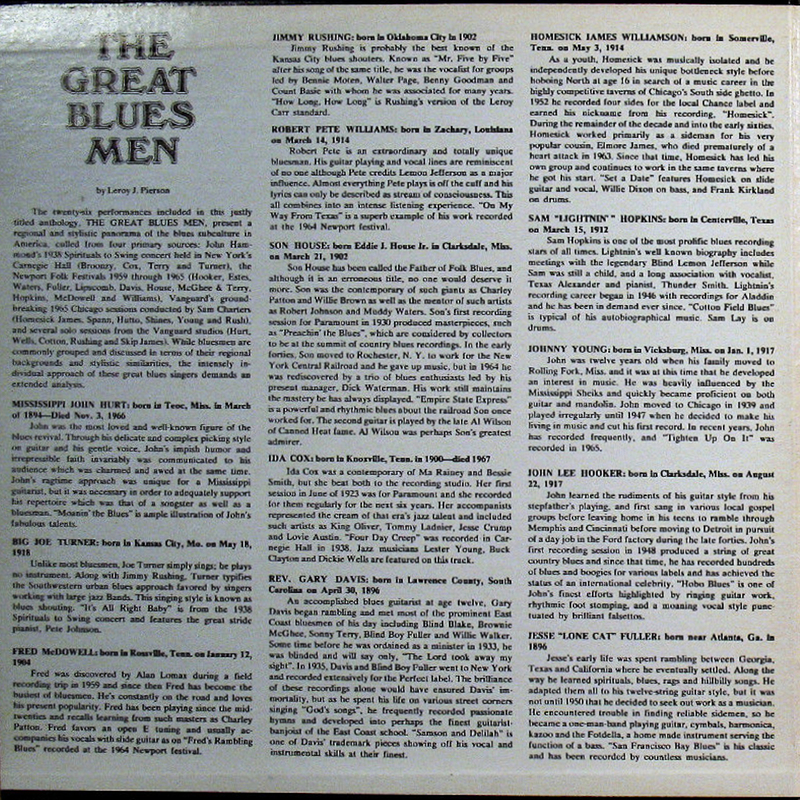 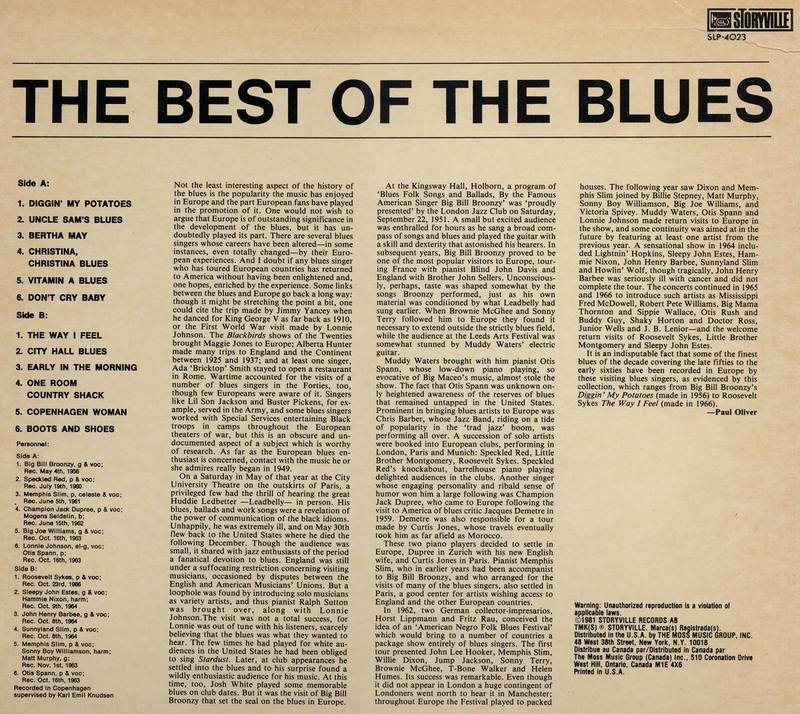 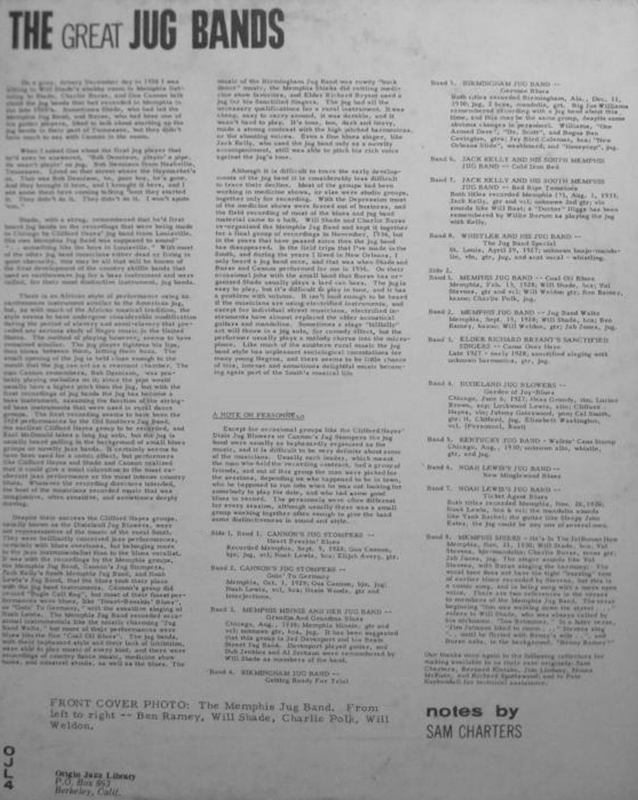 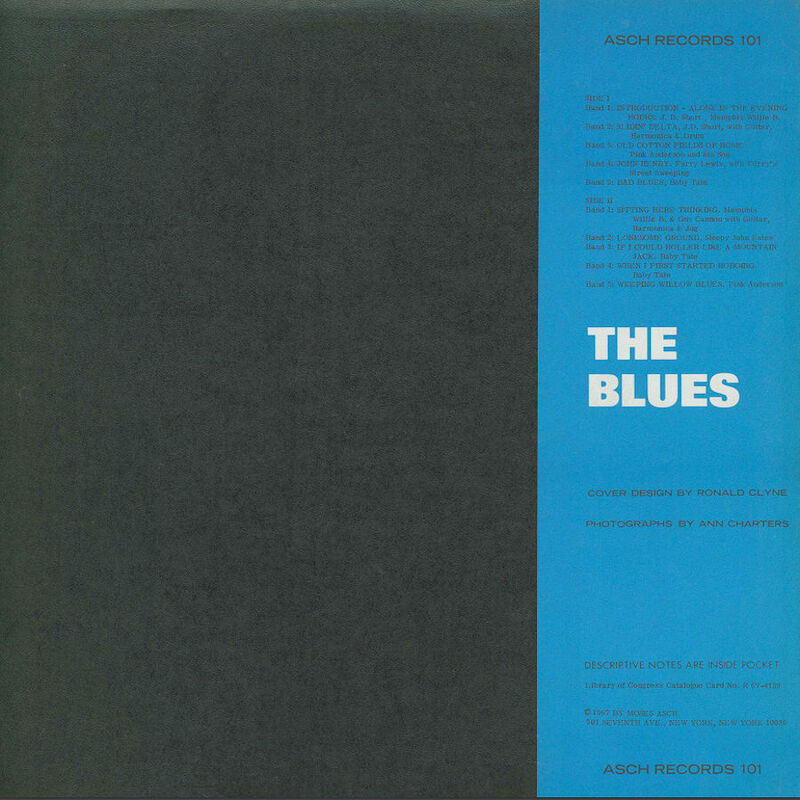 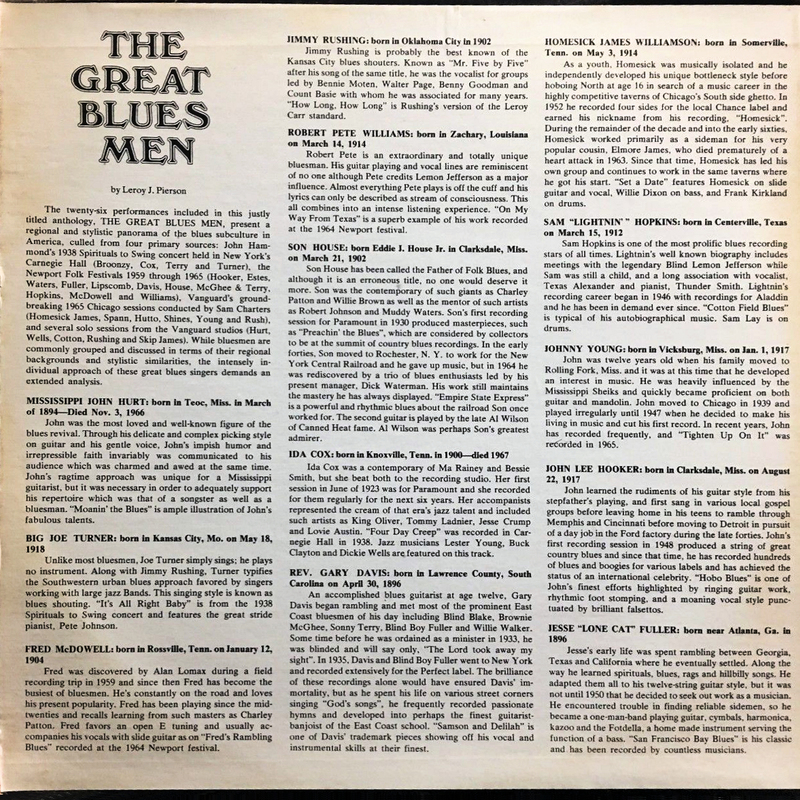 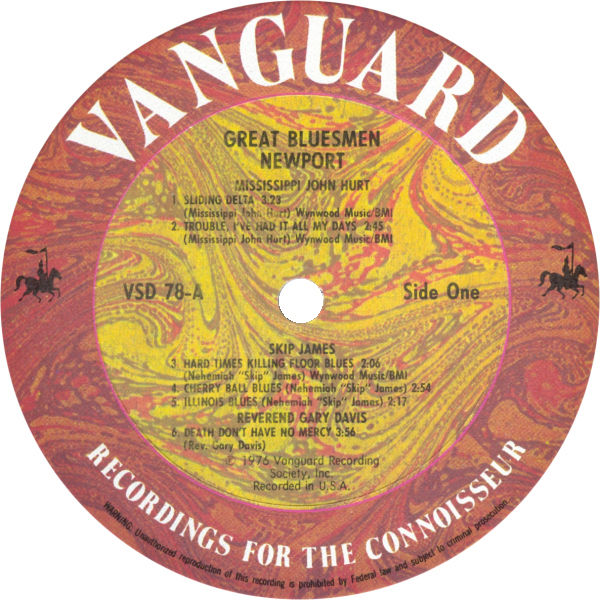 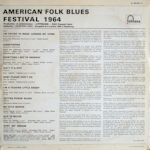 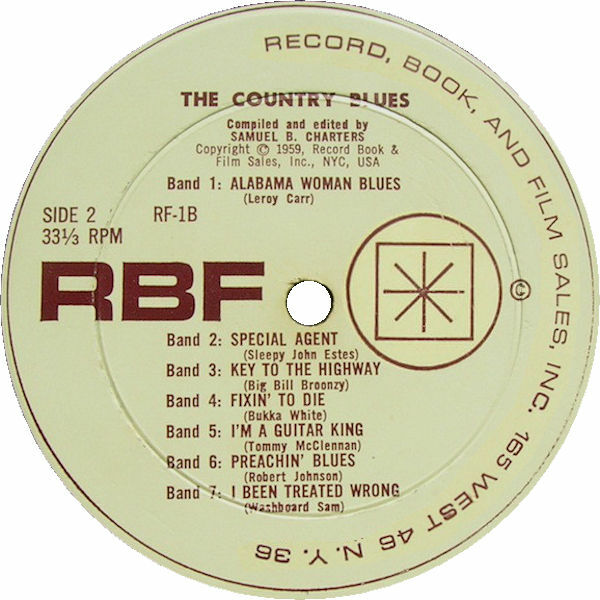 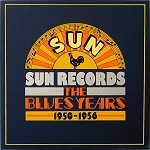 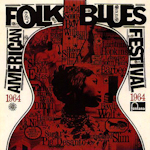 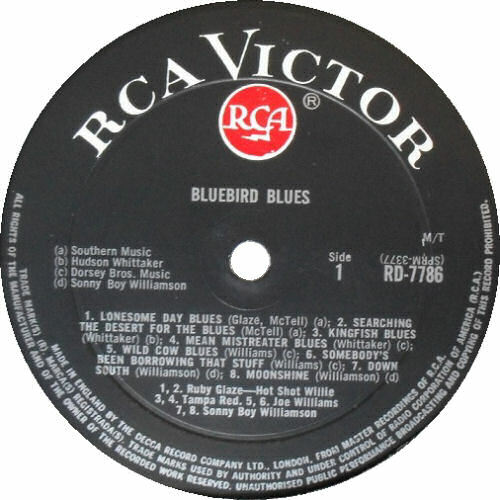 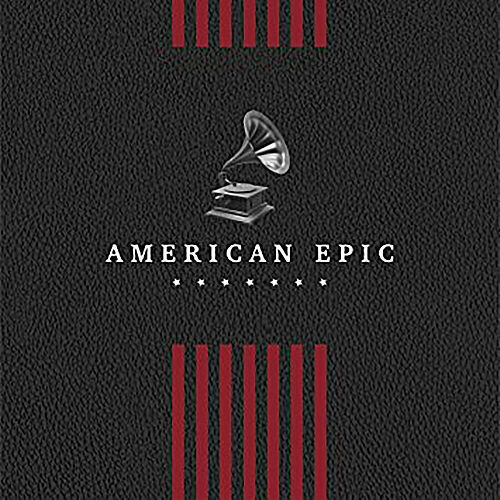 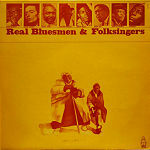 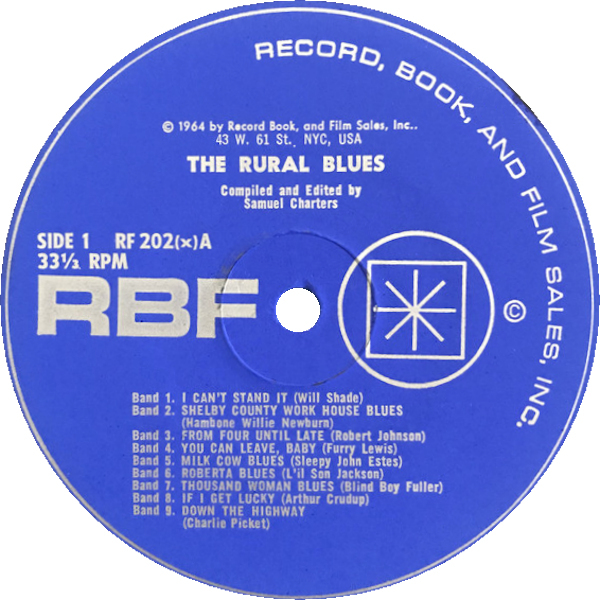 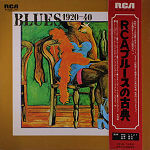  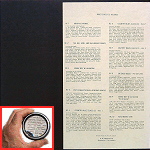 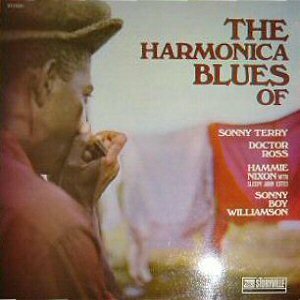 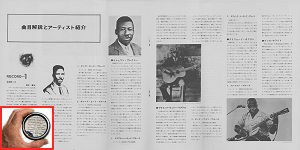 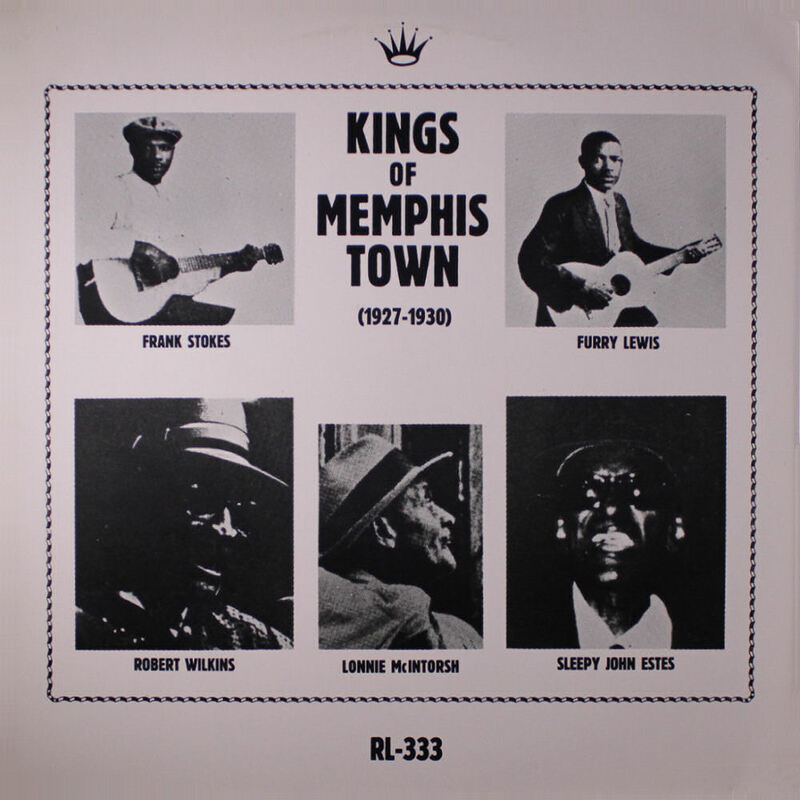 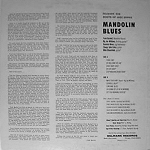 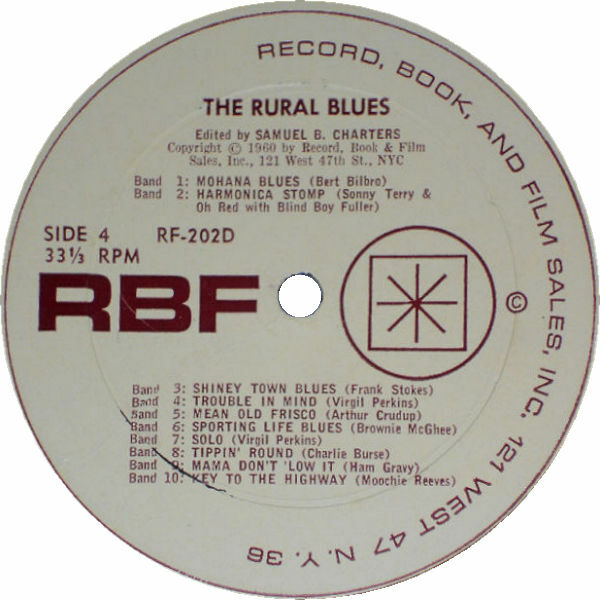 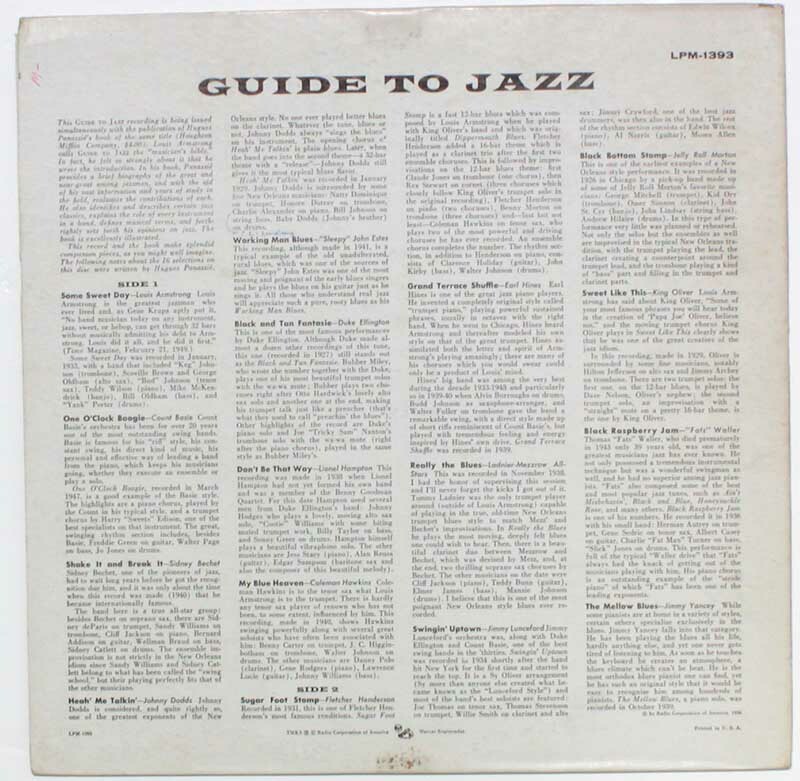 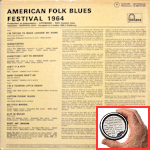 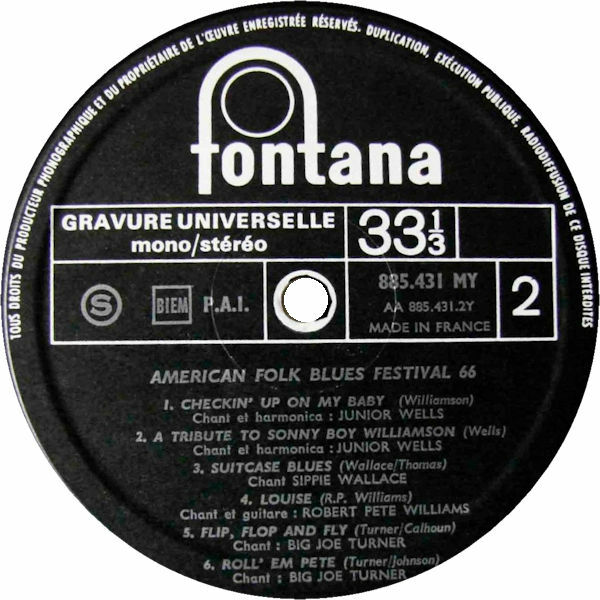 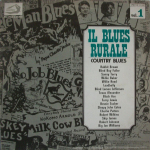 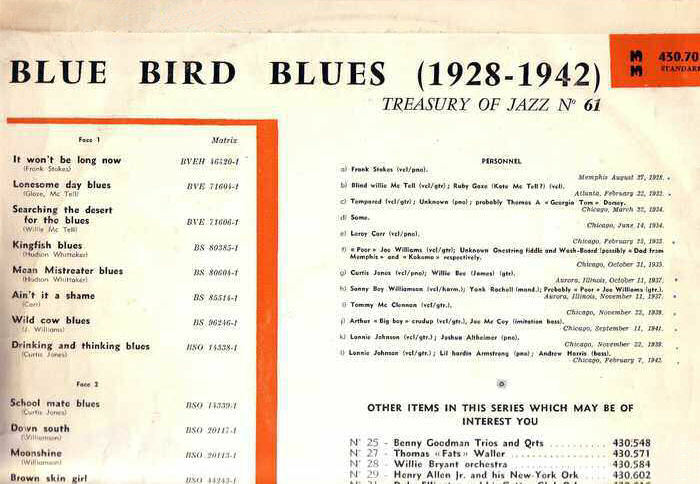 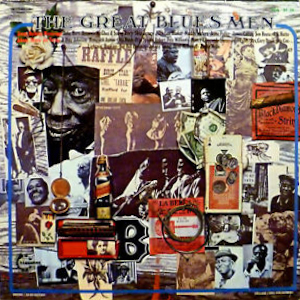 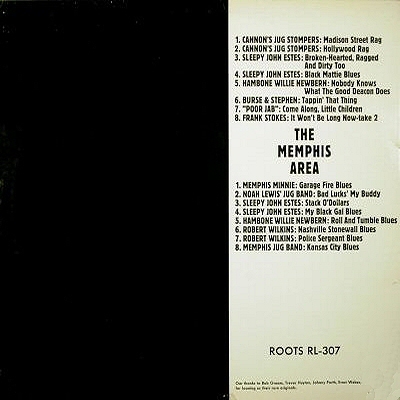 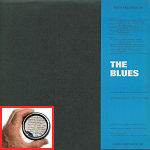 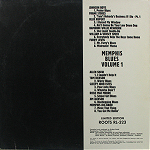 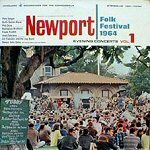 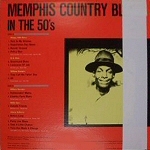 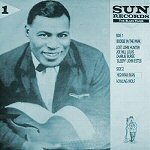 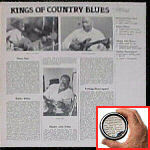 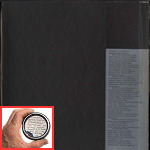 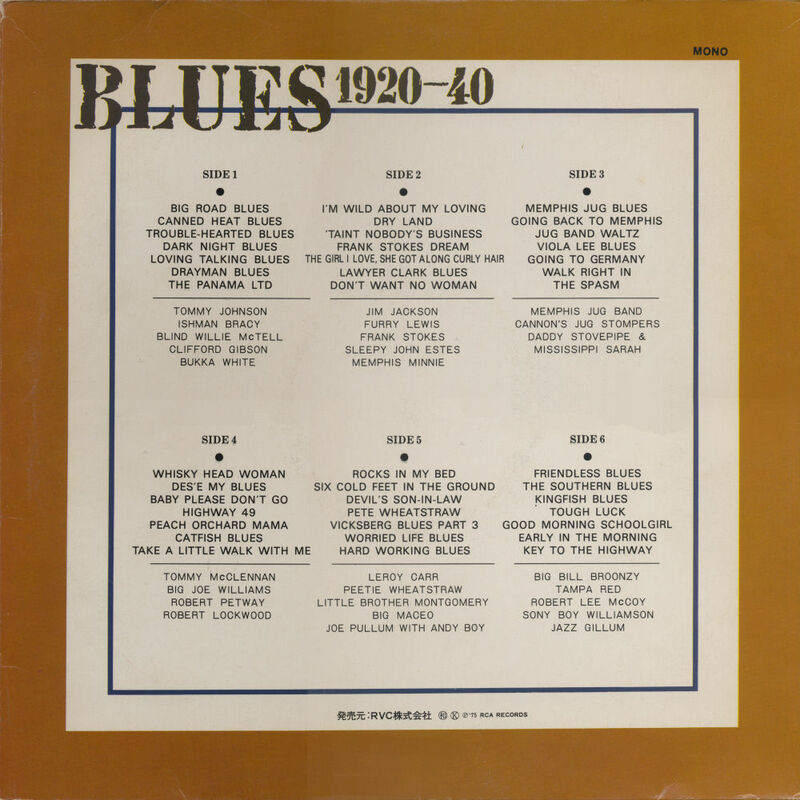 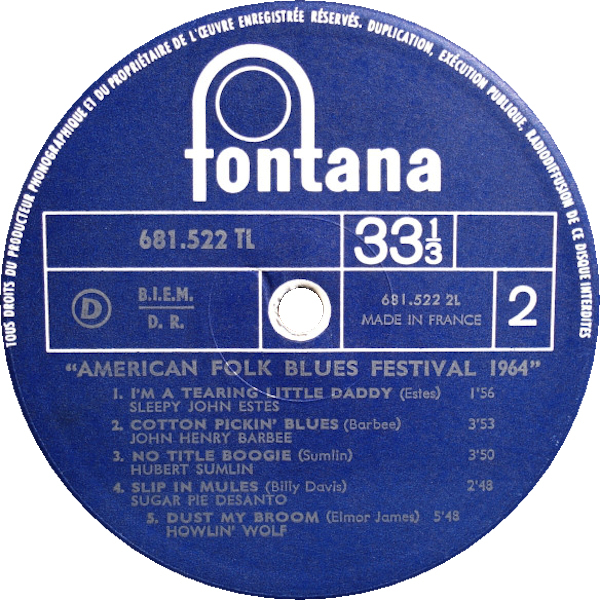 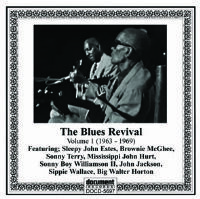 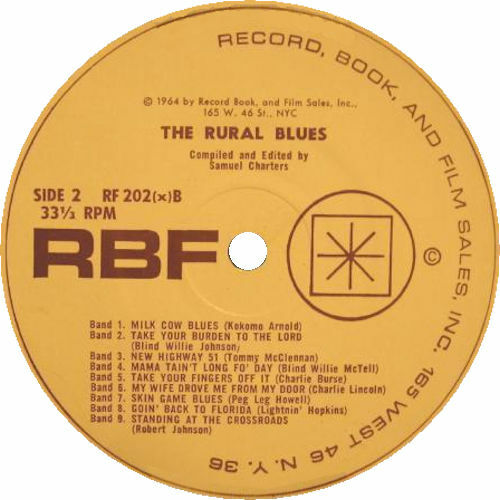 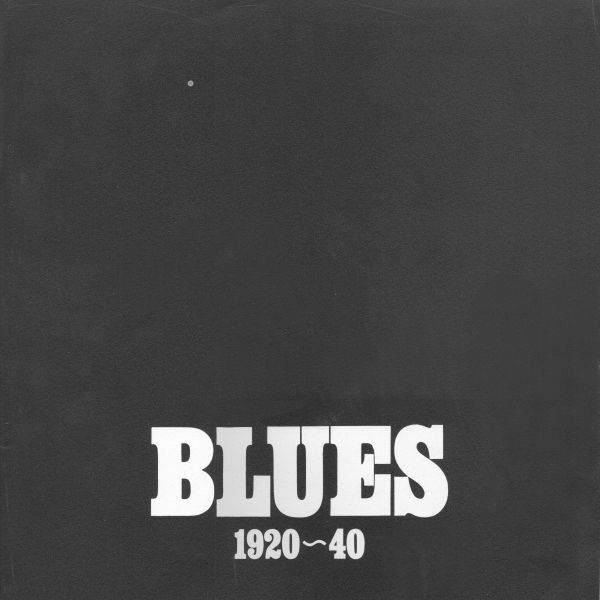 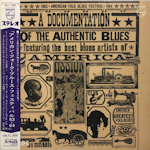 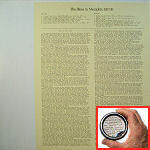 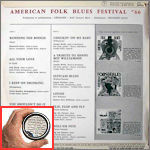 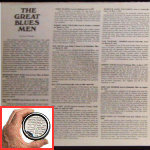 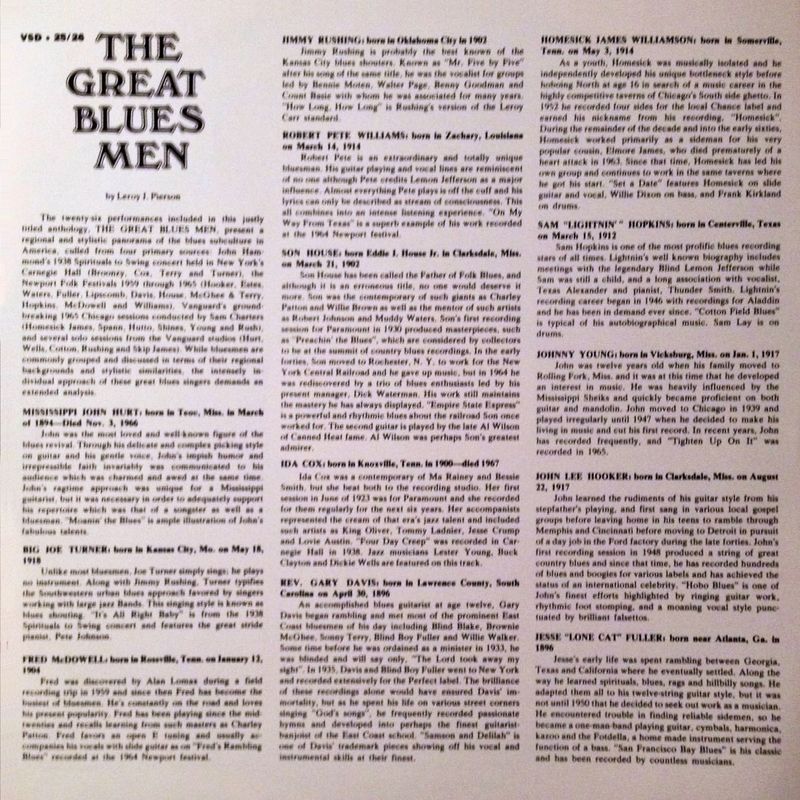 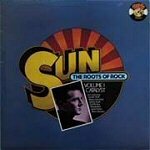 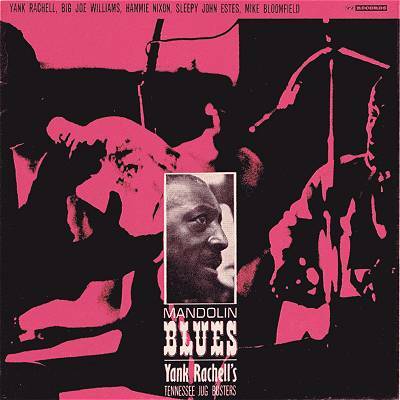 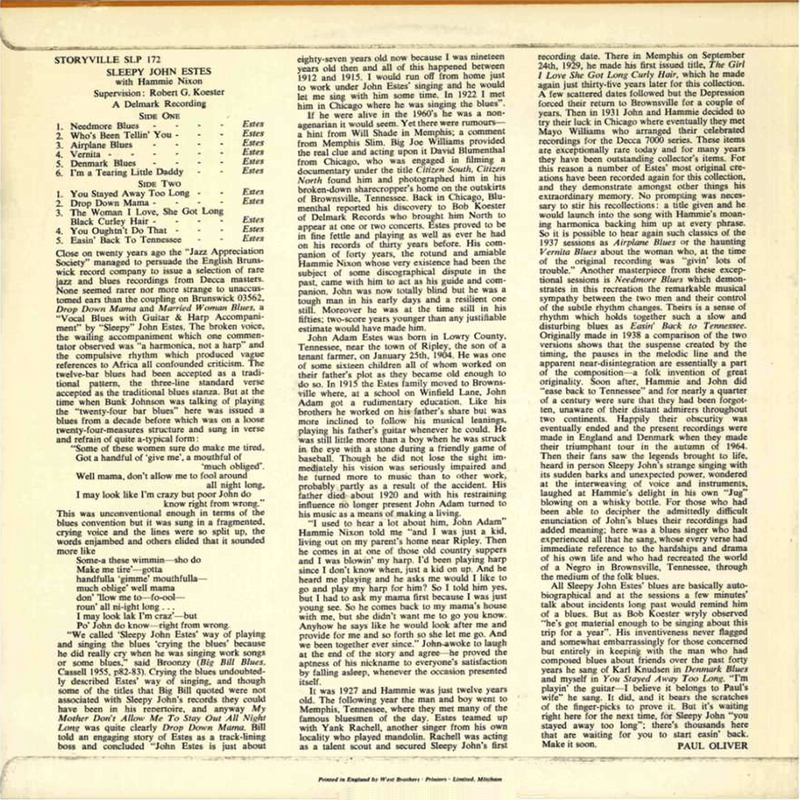 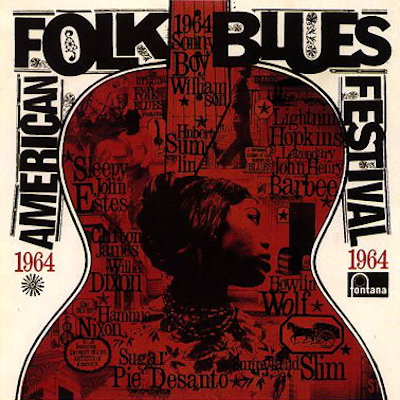 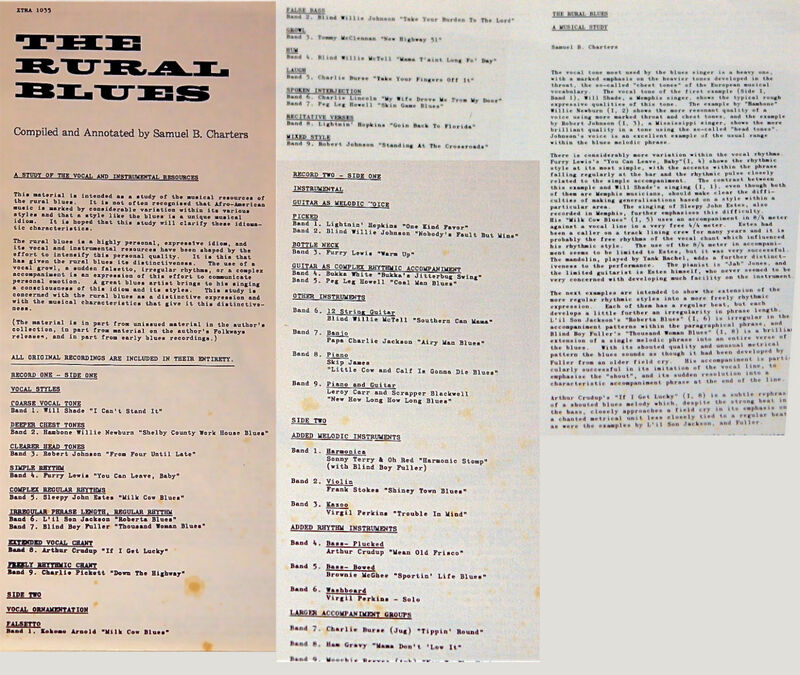 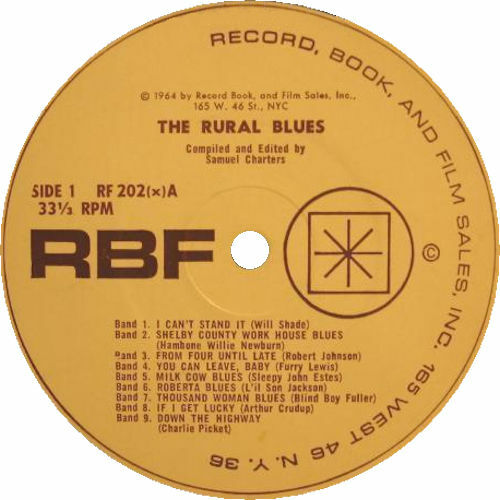 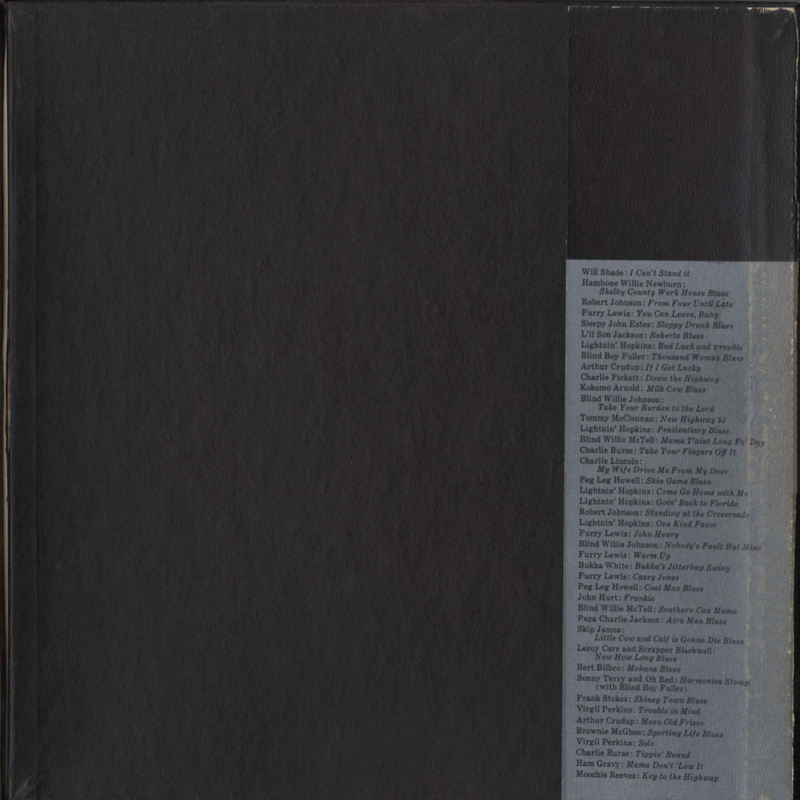 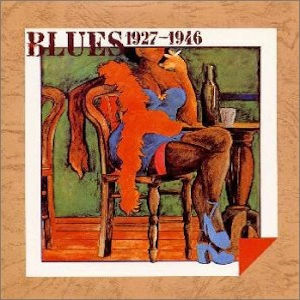 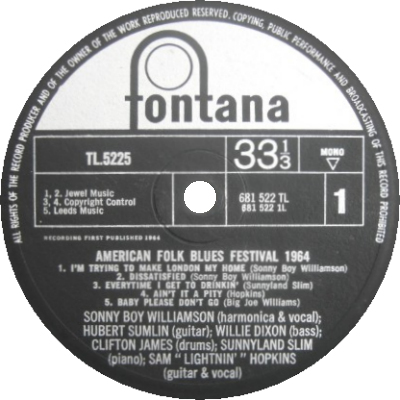 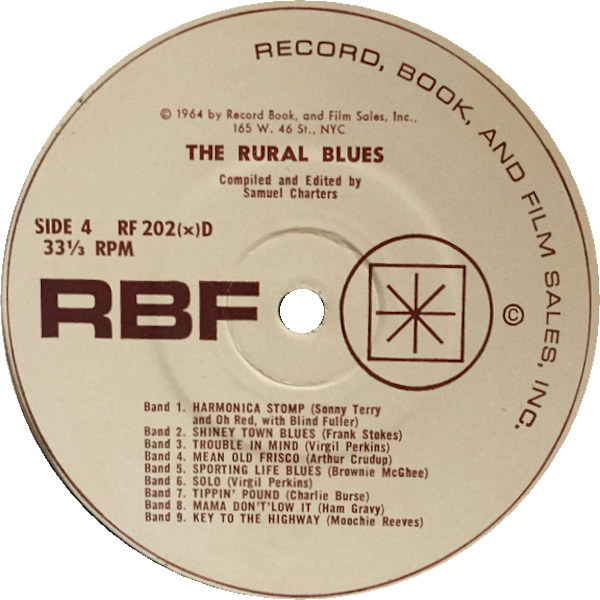 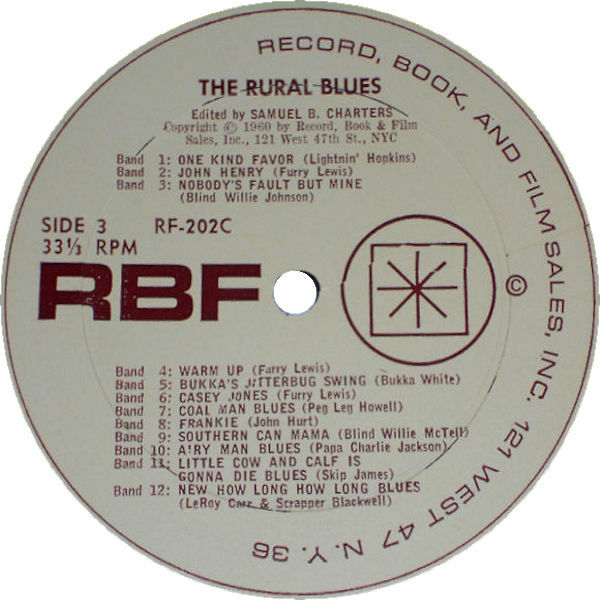 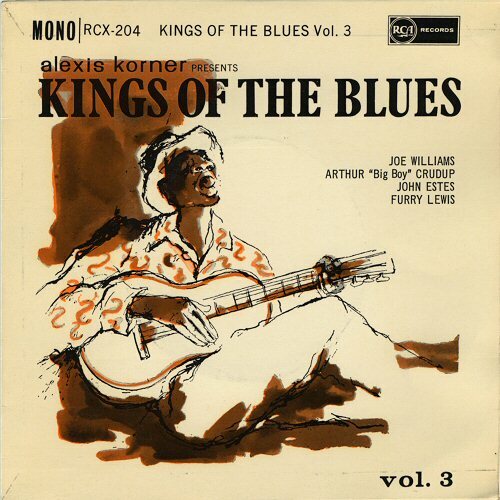 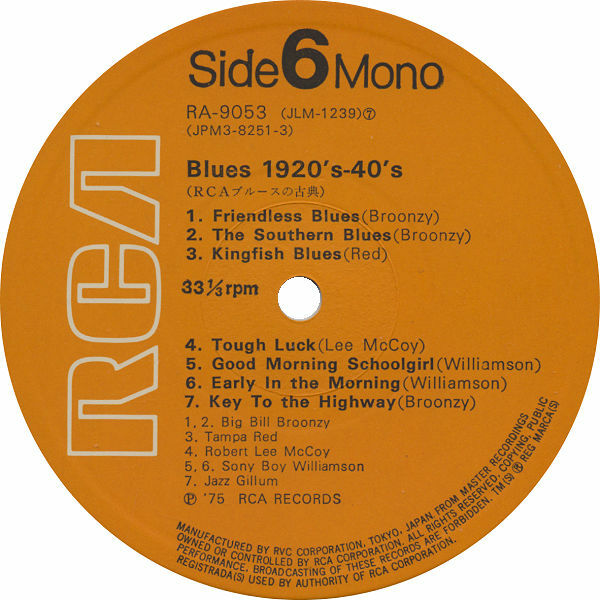 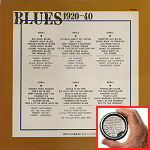 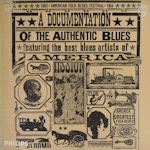 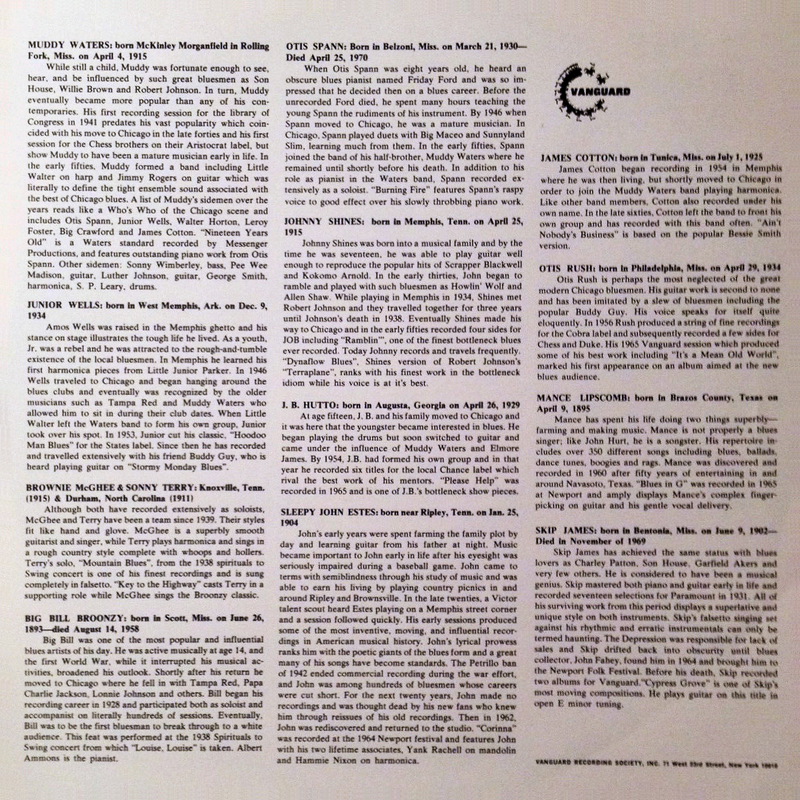 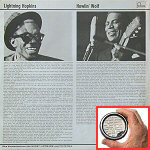 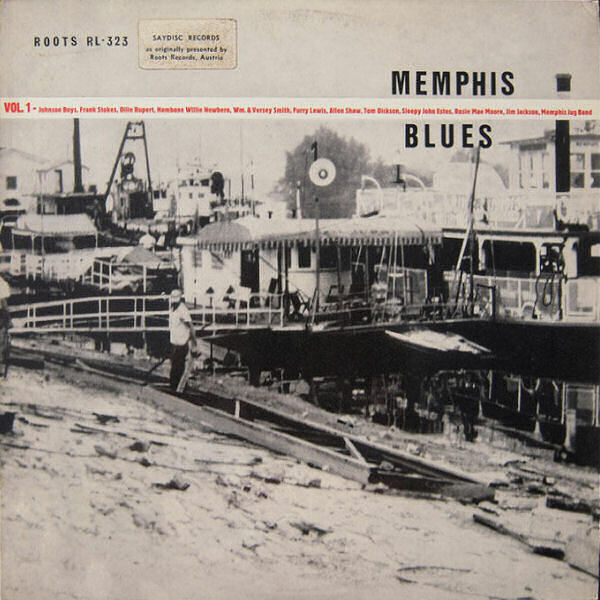 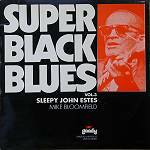 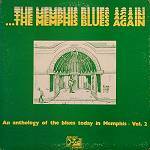 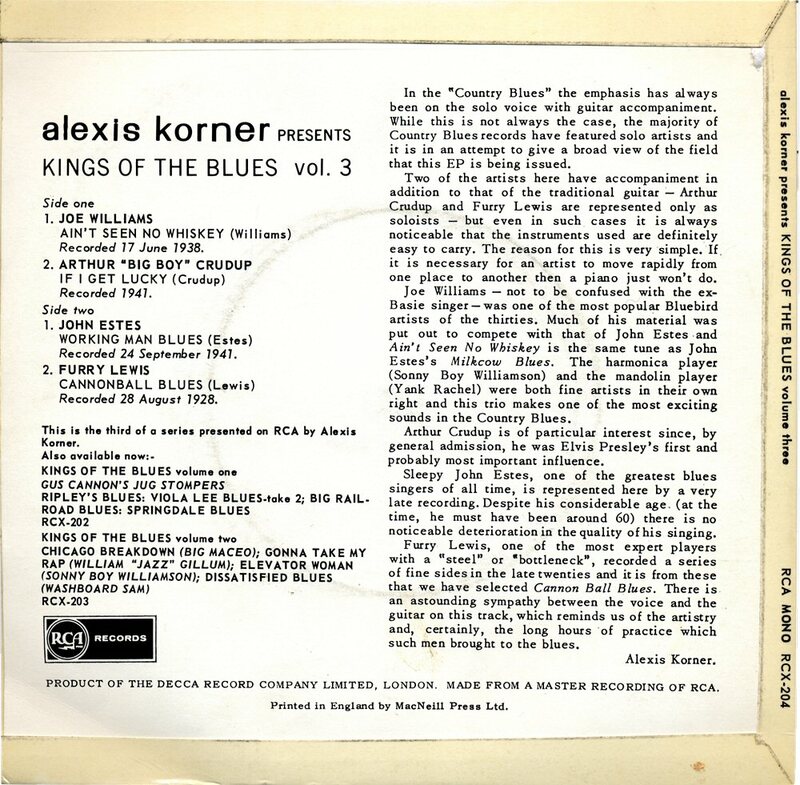 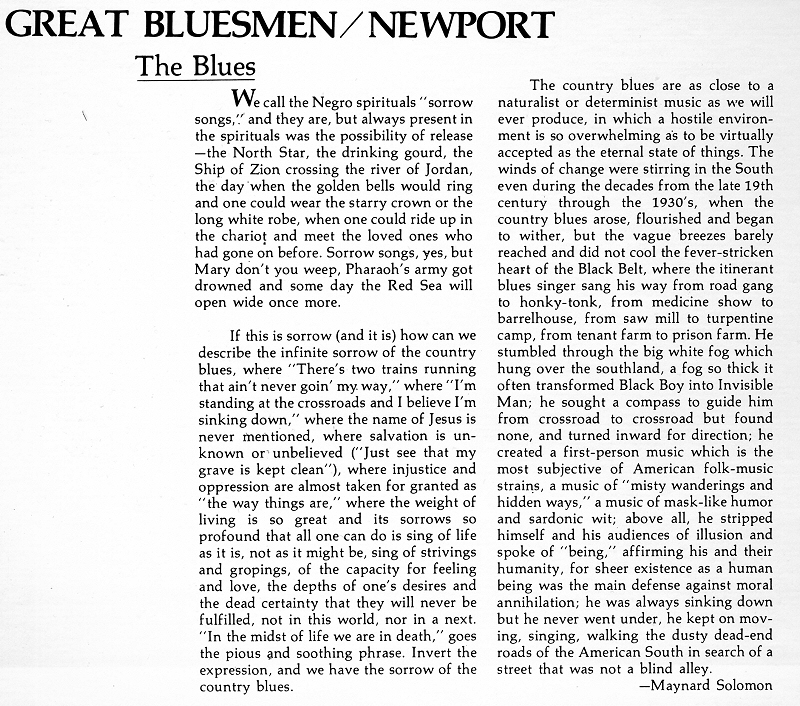 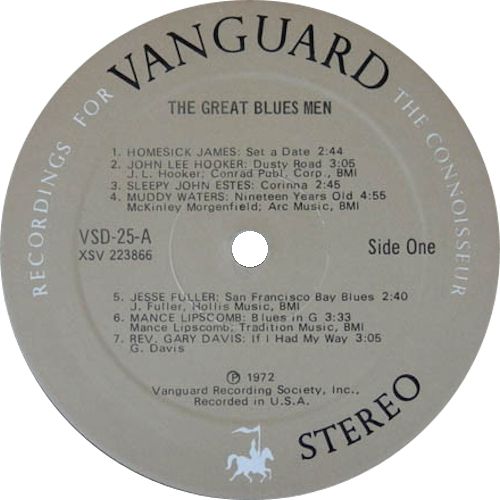 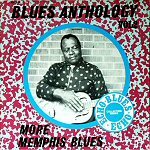 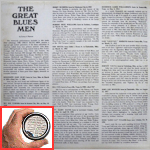 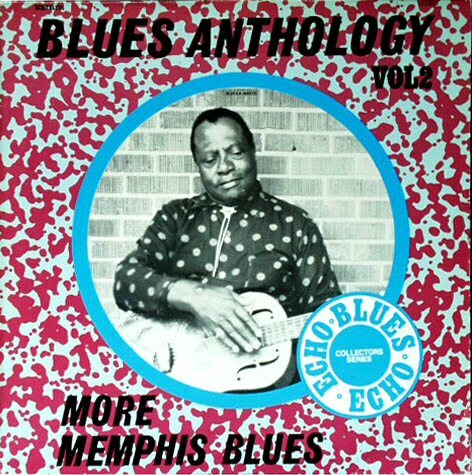 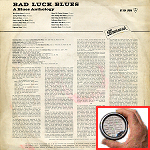 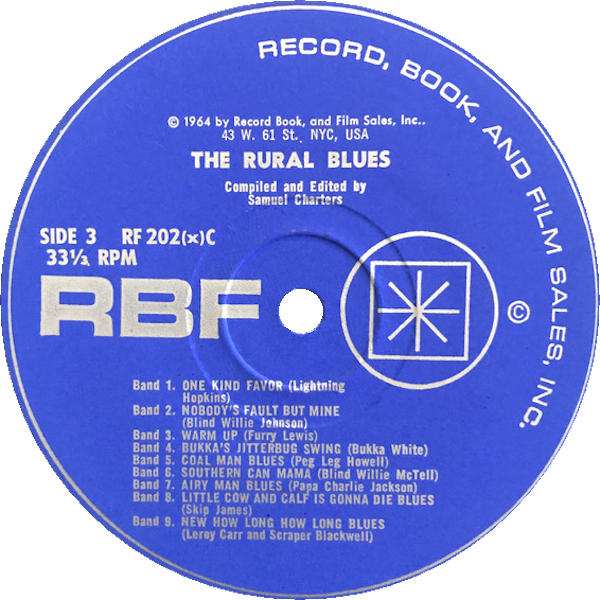 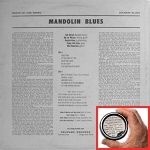 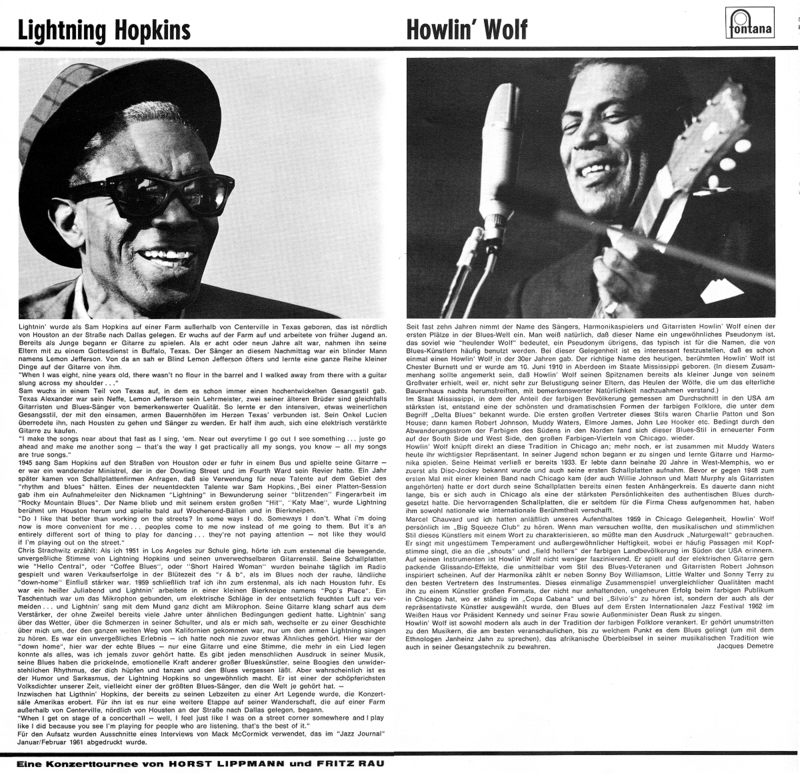 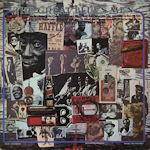 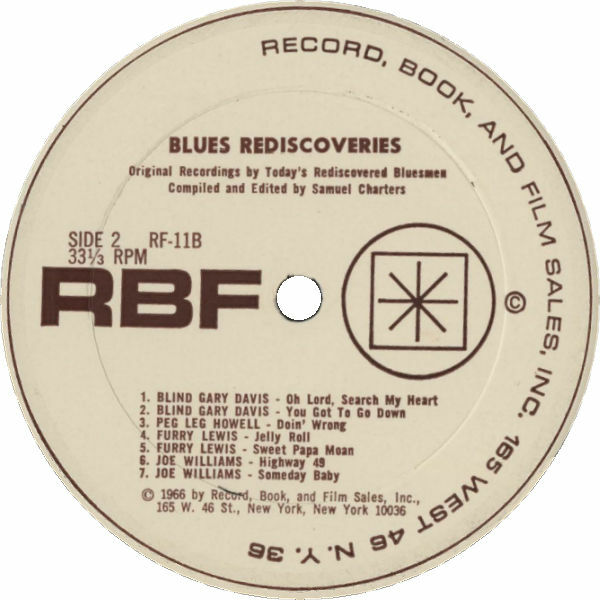 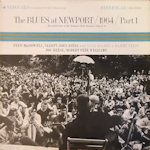 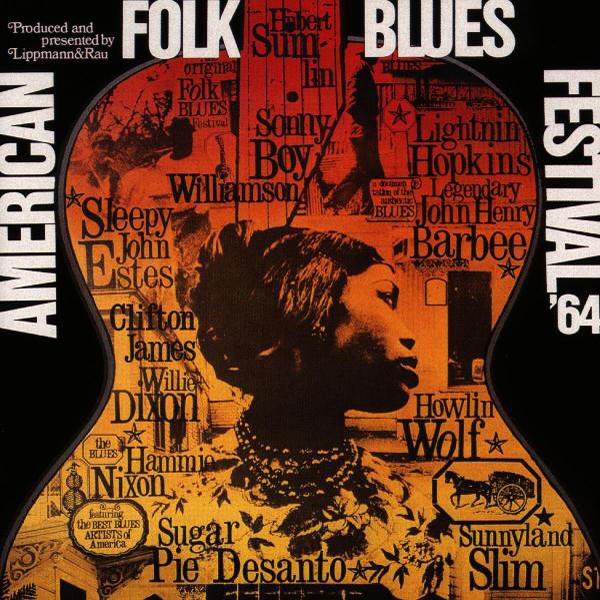 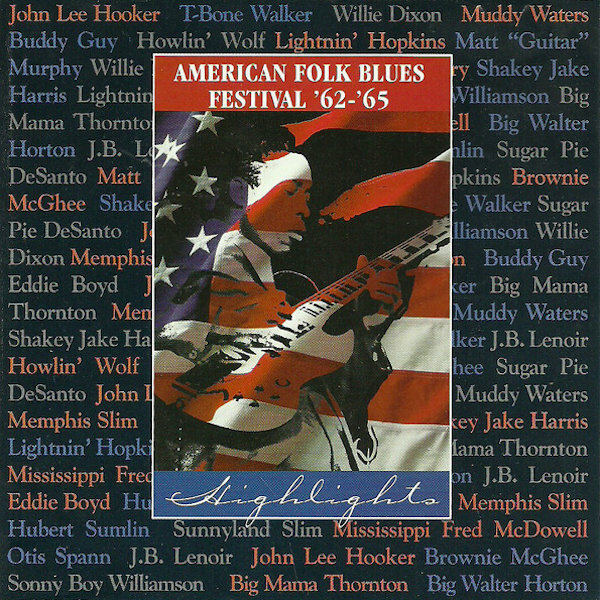 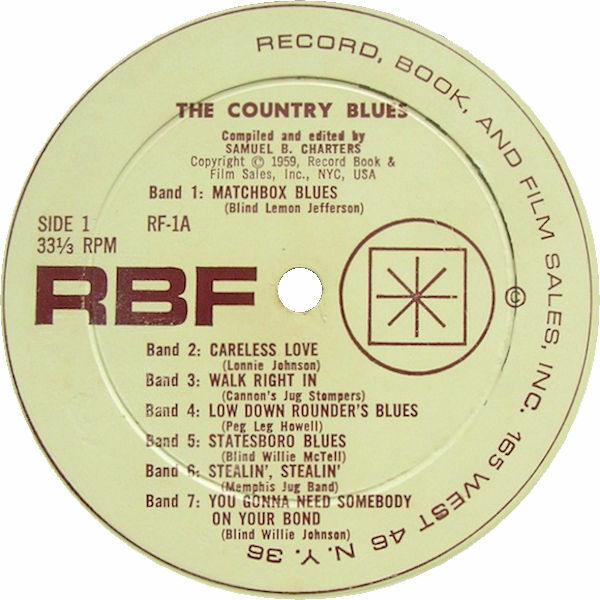 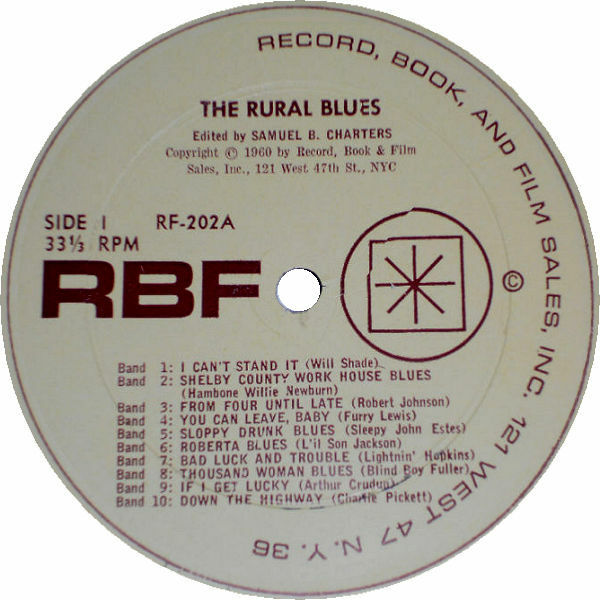 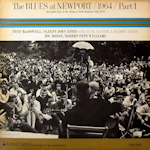 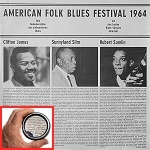 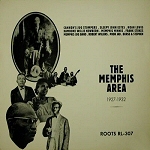 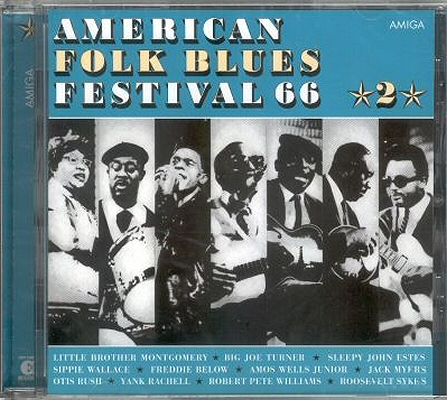 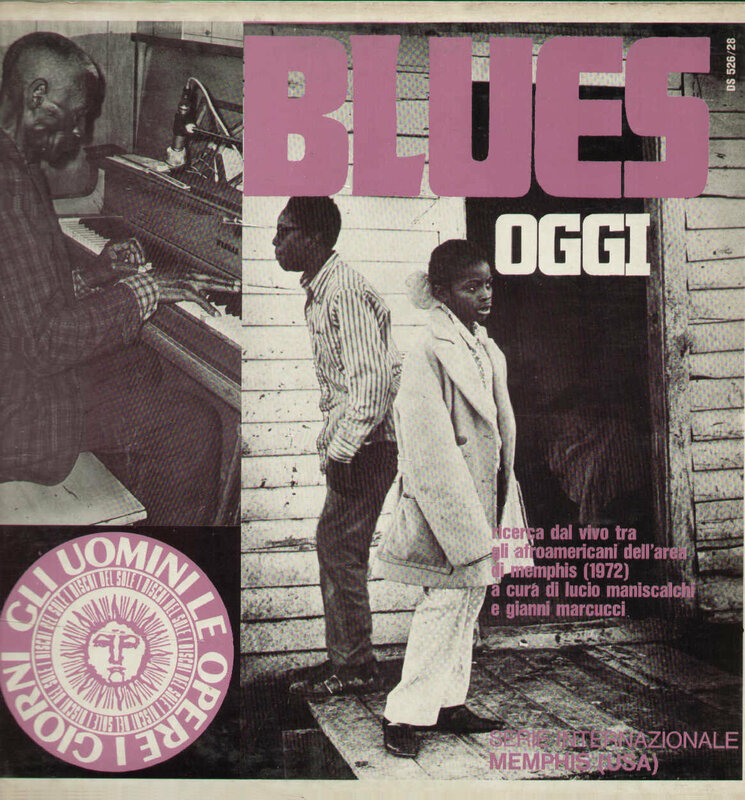 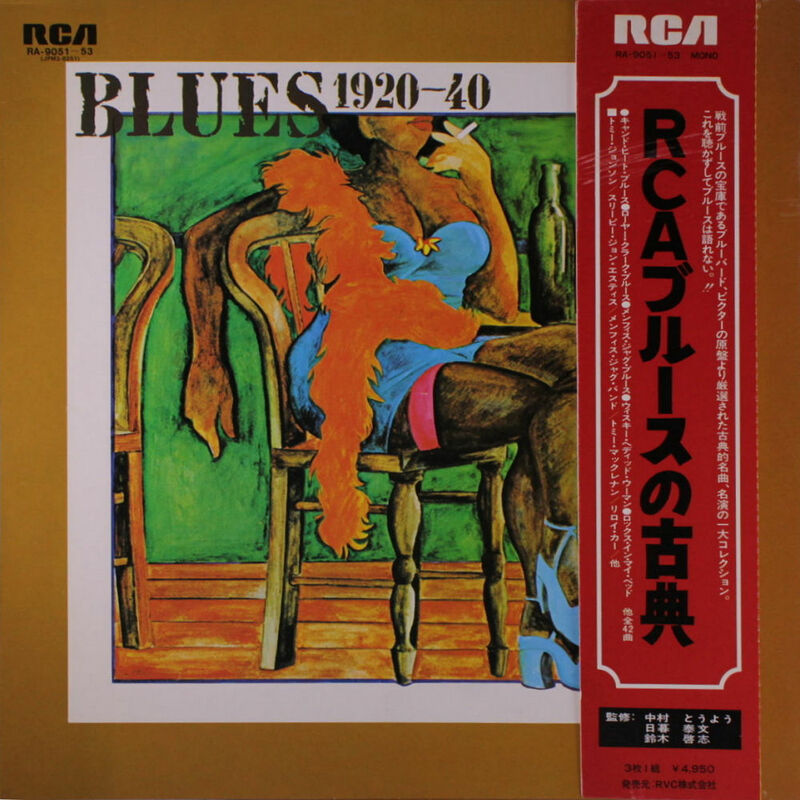 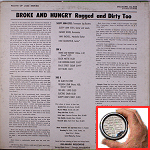 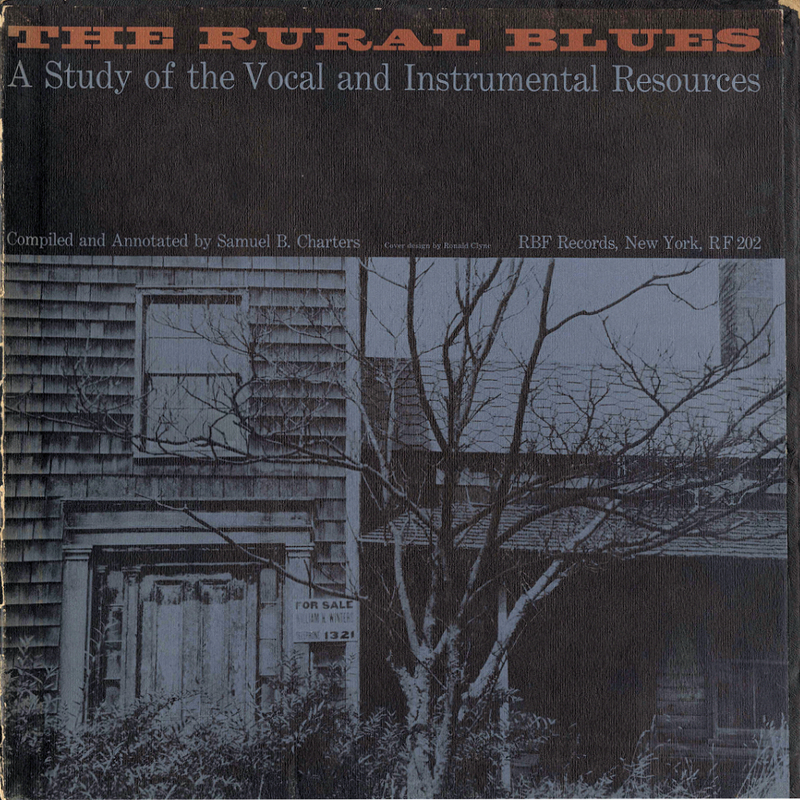 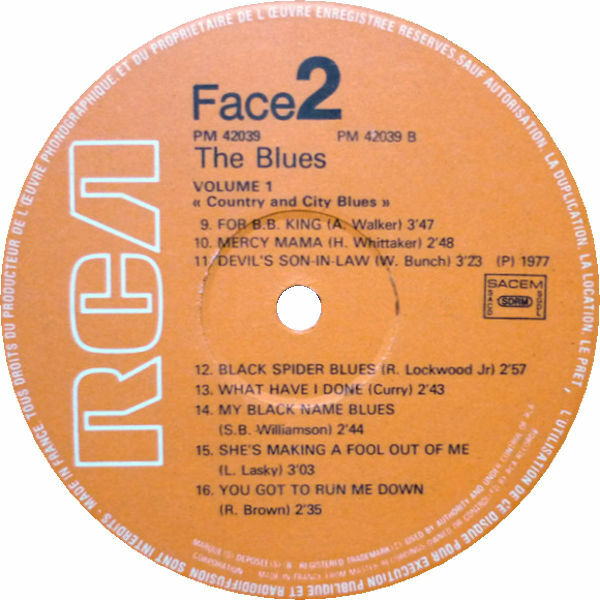 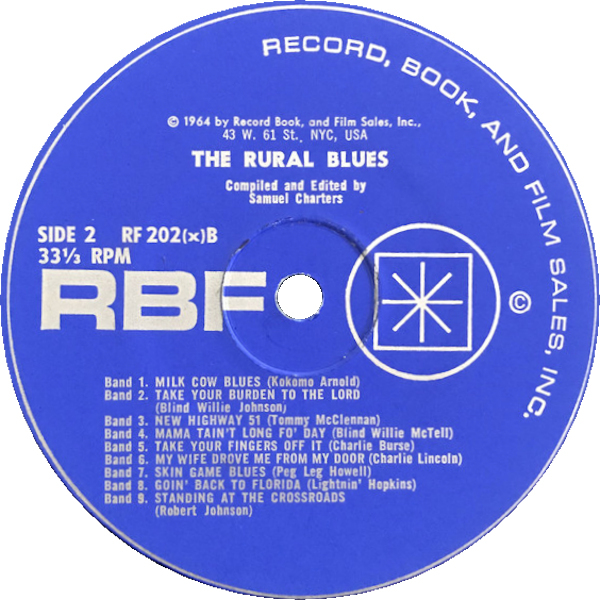 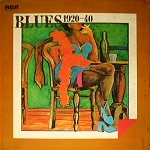 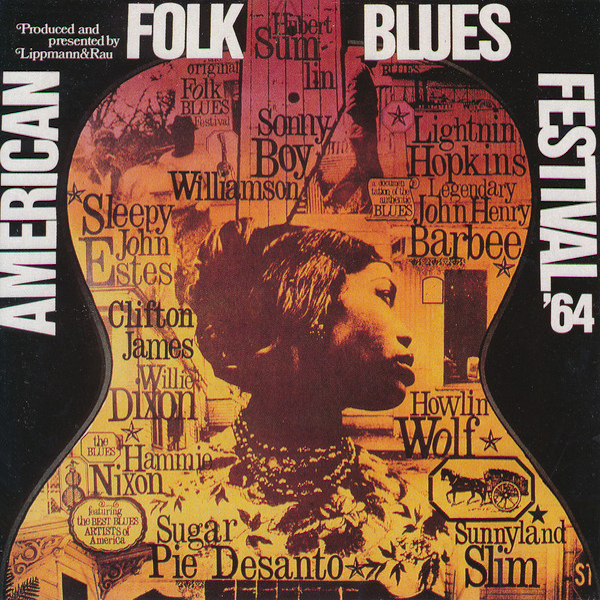 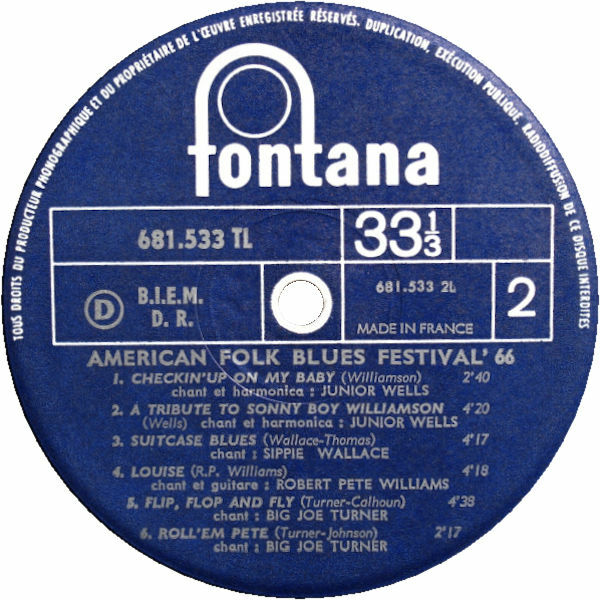 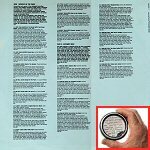 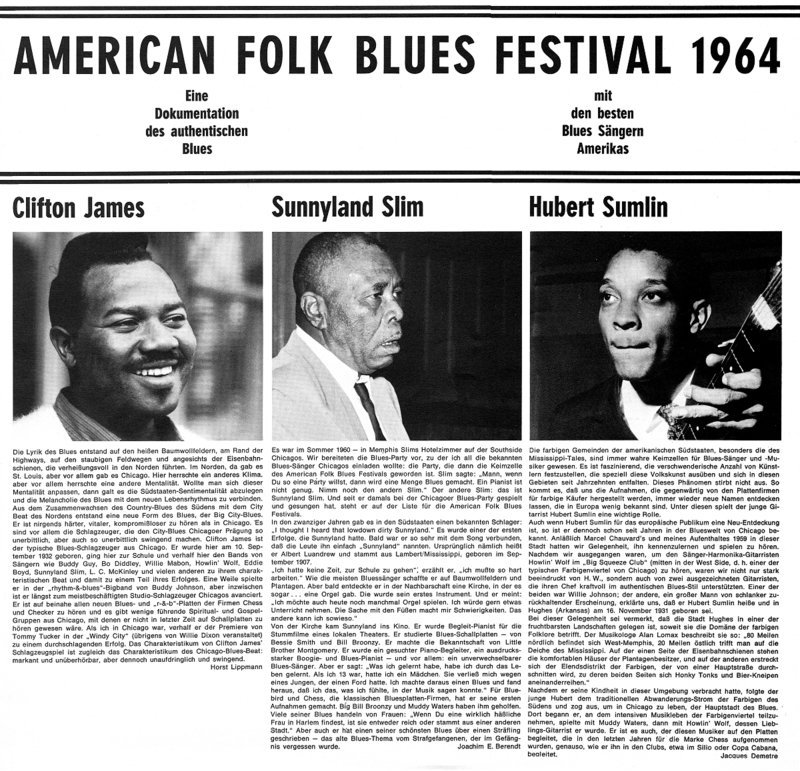 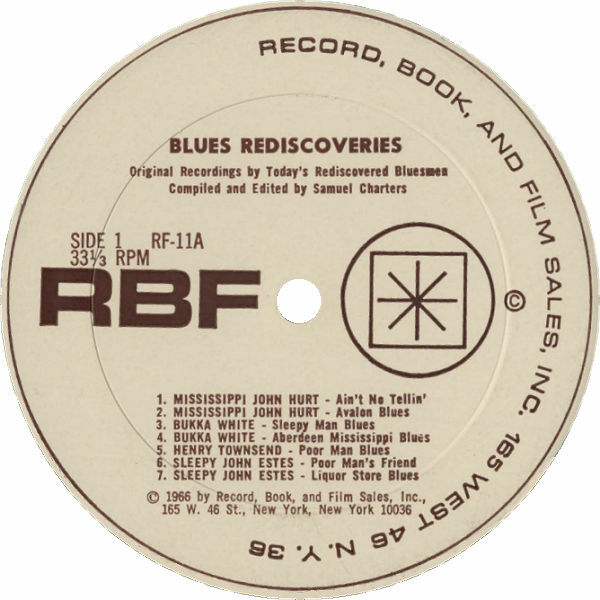 RF 202 Copyright © 1960"
"Super Black Blues Vol. 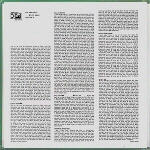 5"
notes by Bob Koester "Seven West Grand, Chicago, Illinois(60610)"
= Goody GY 10008 (Germany 198?) 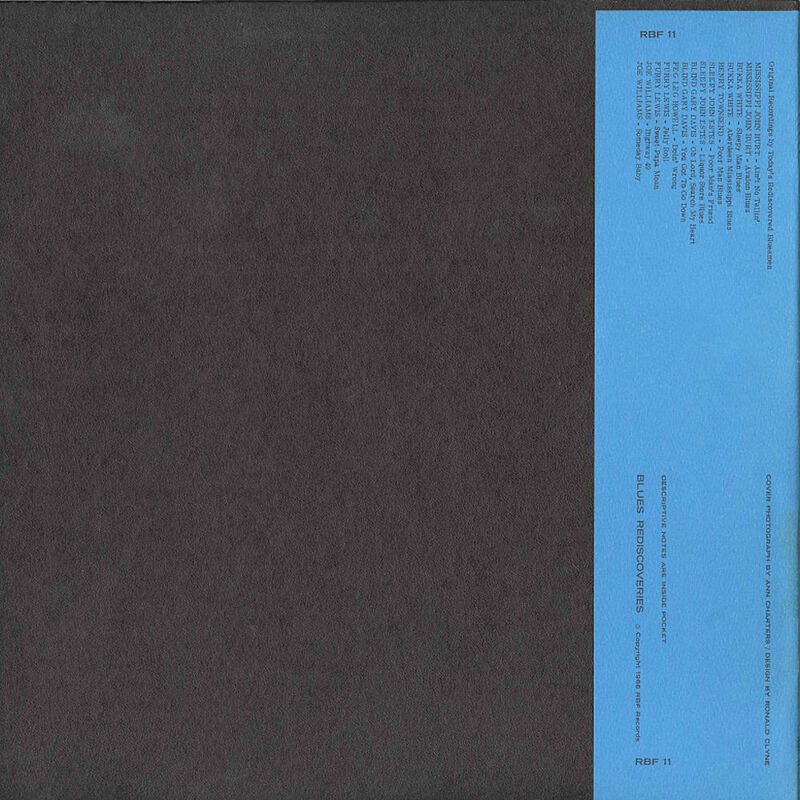 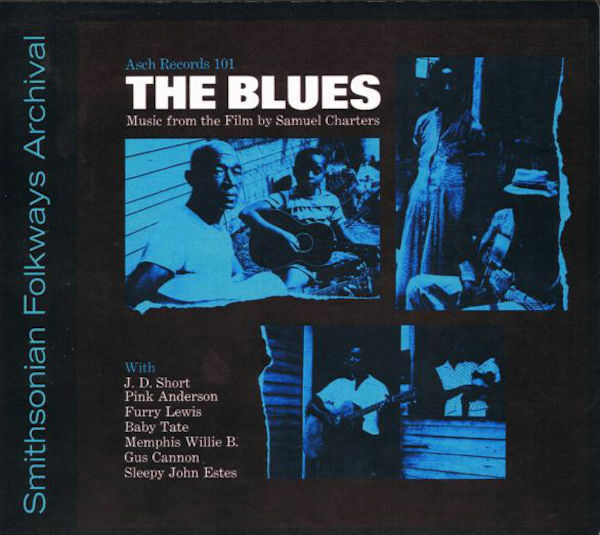 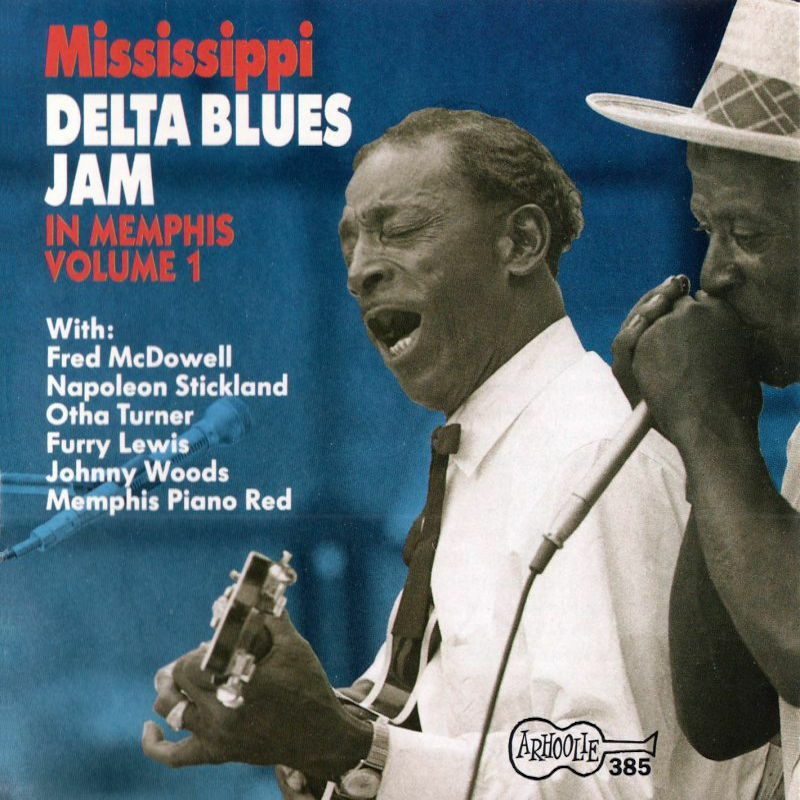 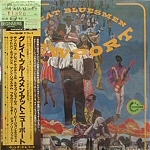 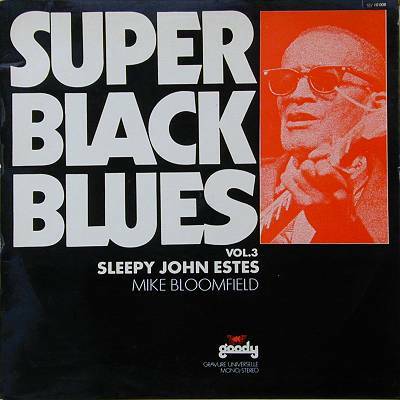 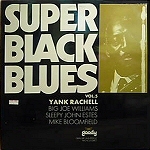 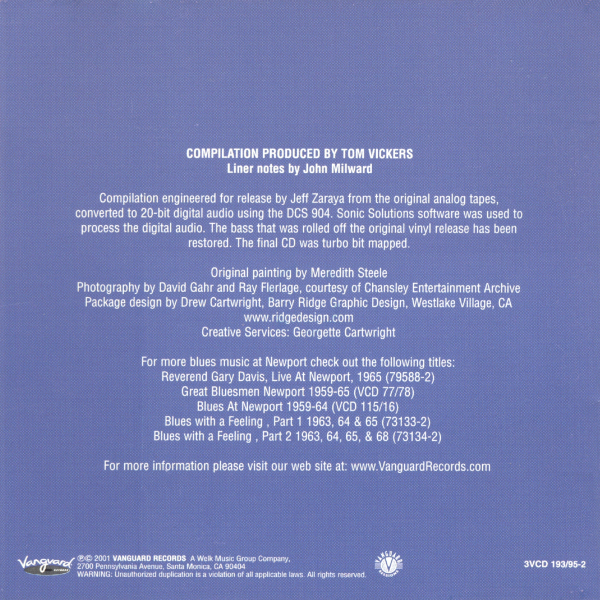 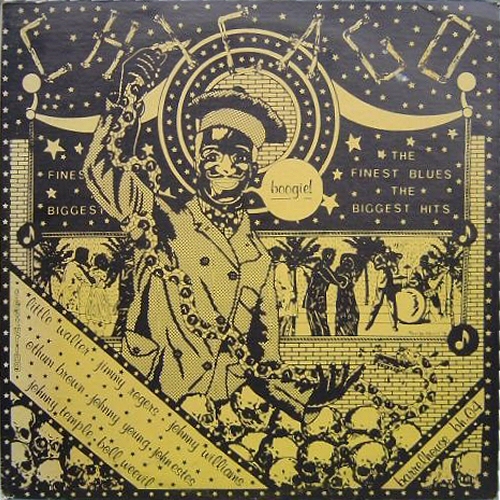 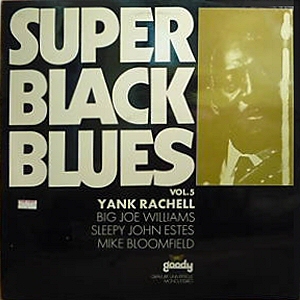 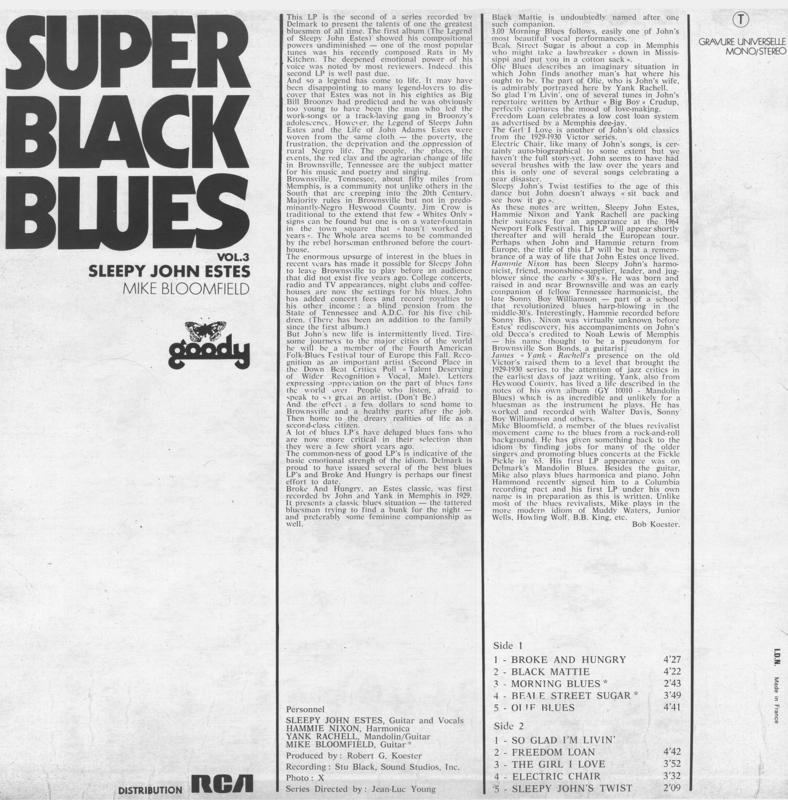 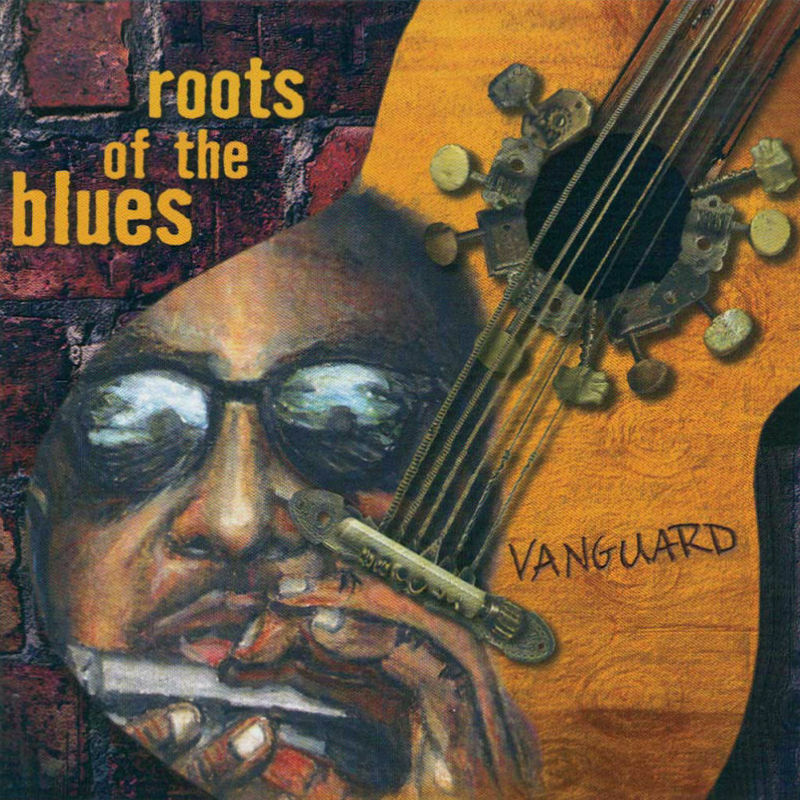 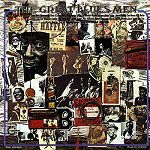 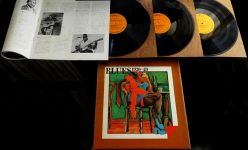 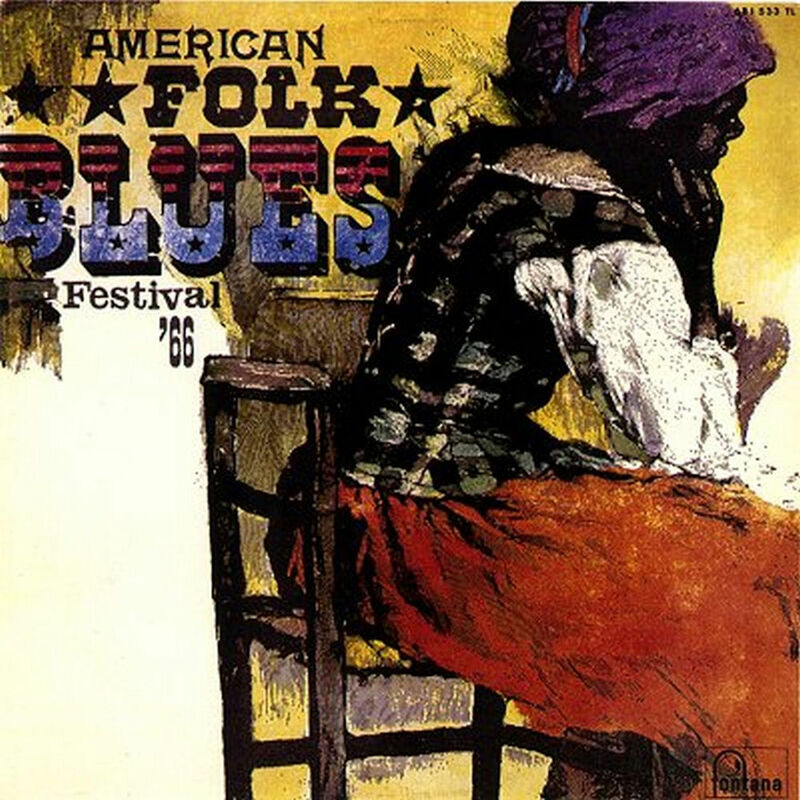 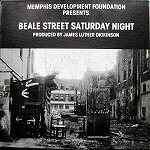 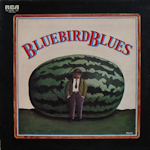 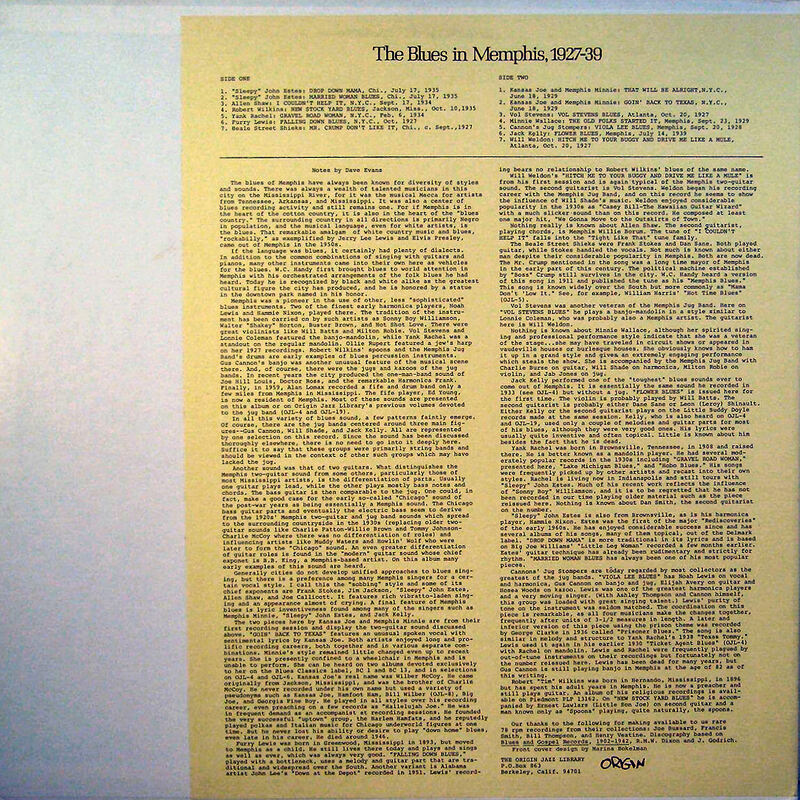 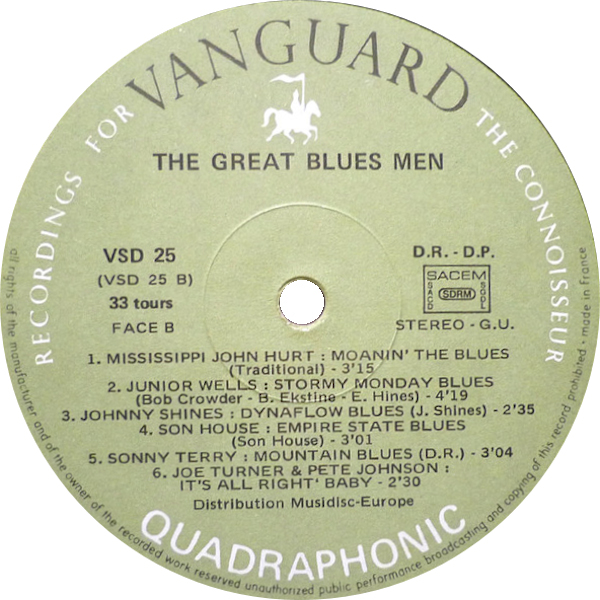 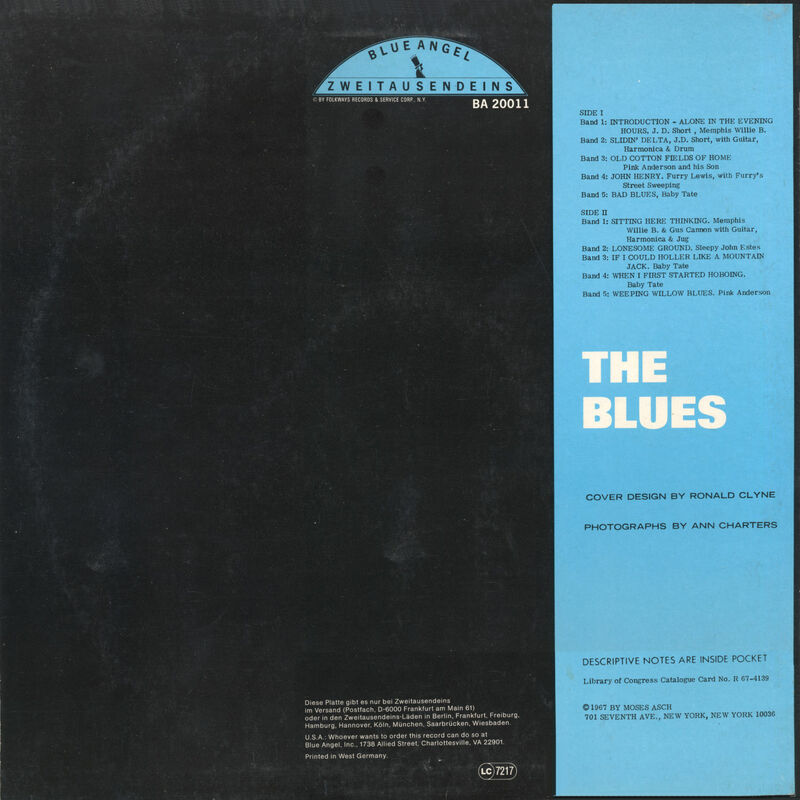 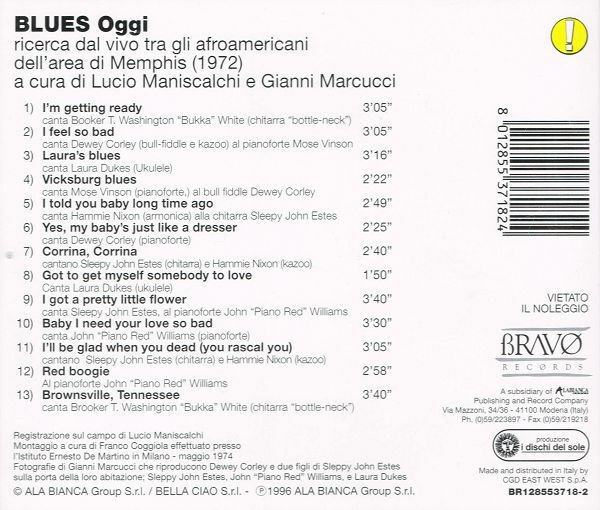 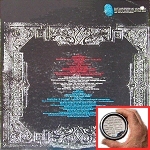 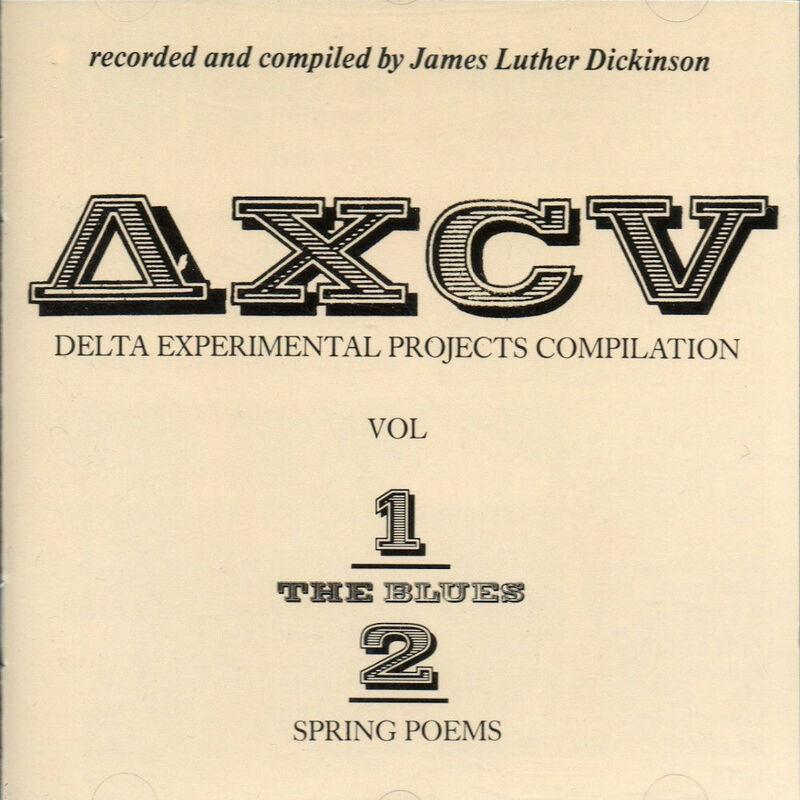 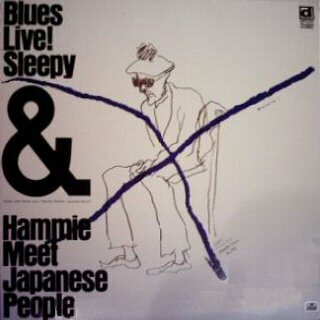 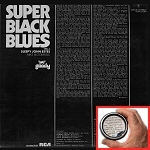 "Super Black Blues Vol. 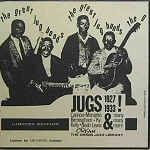 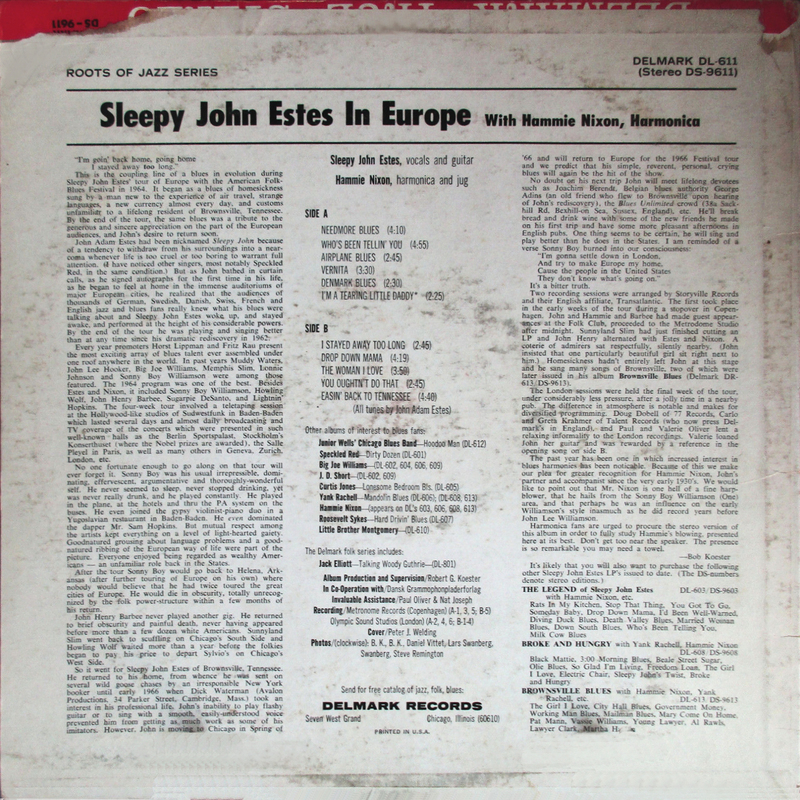 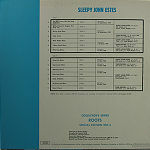 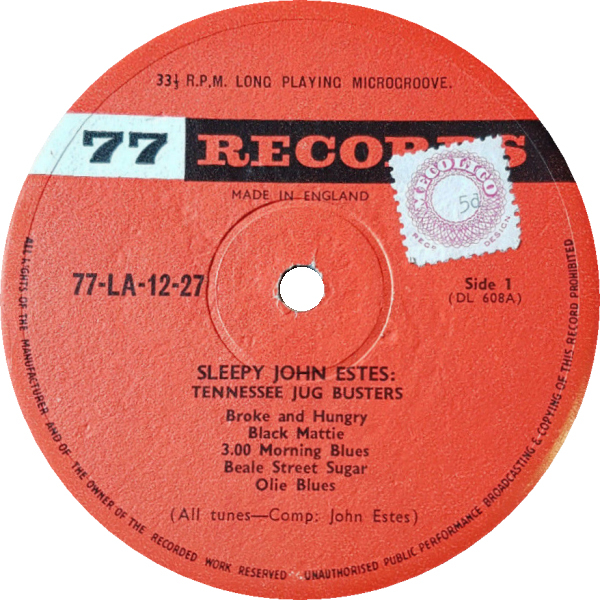 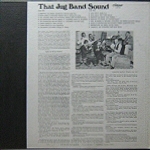 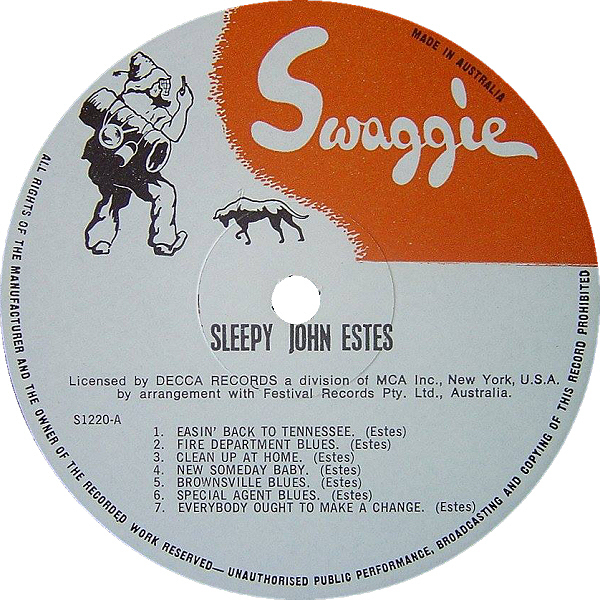 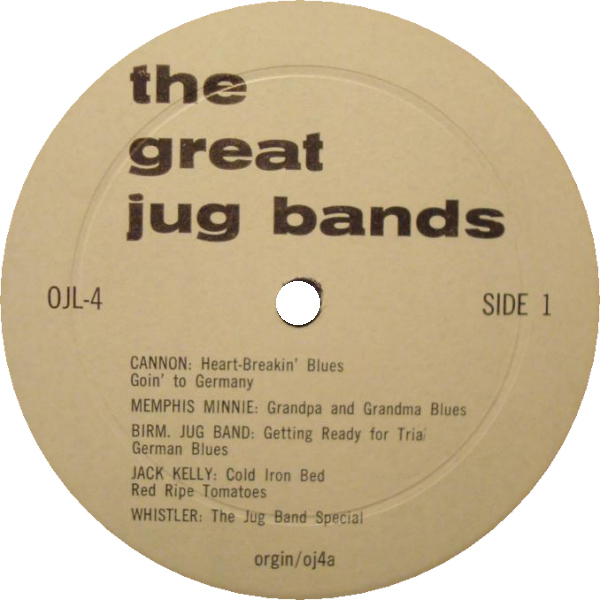 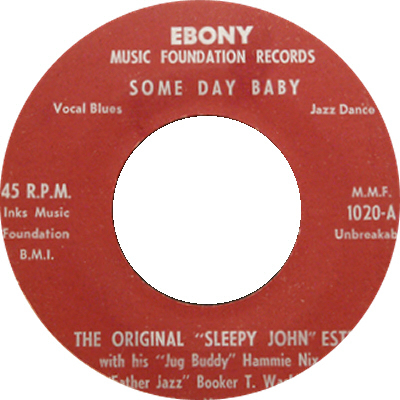 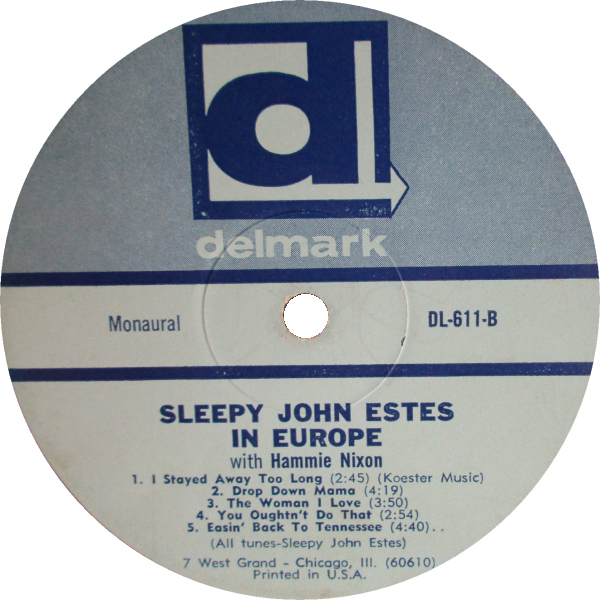 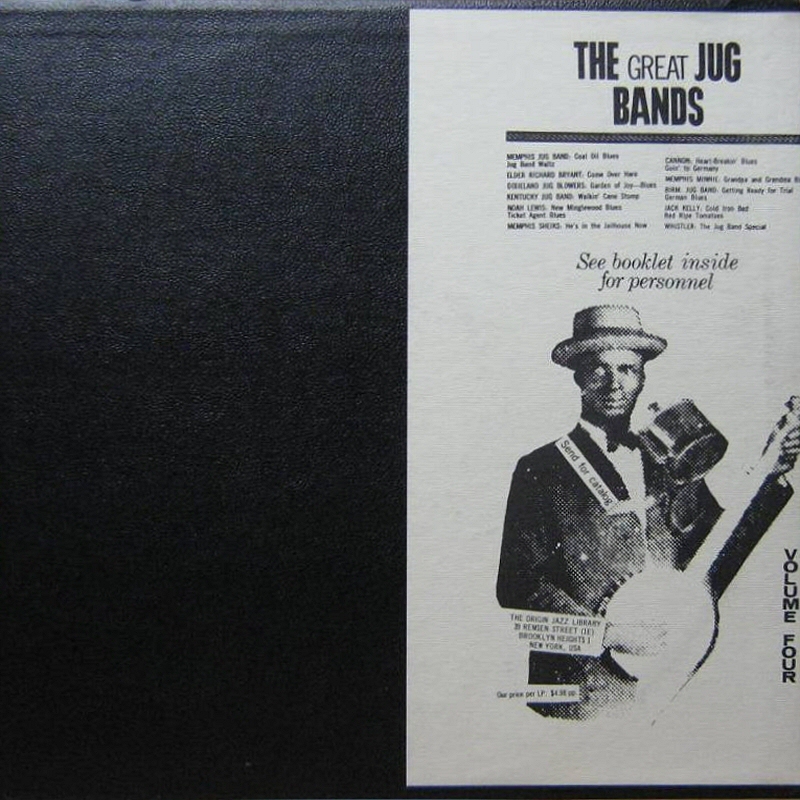 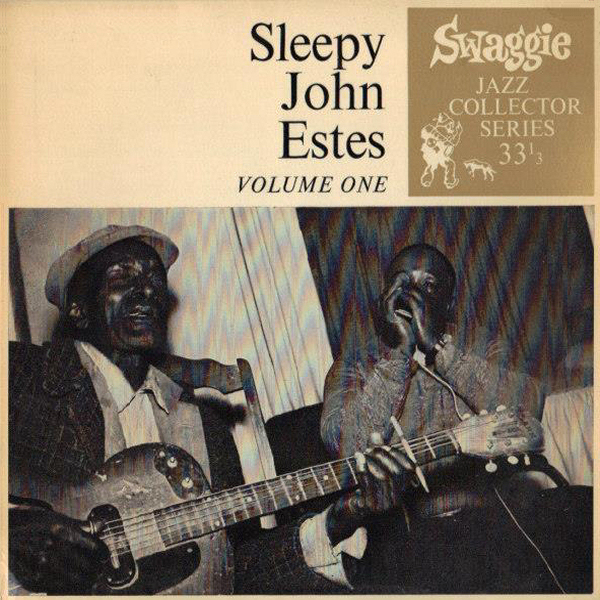 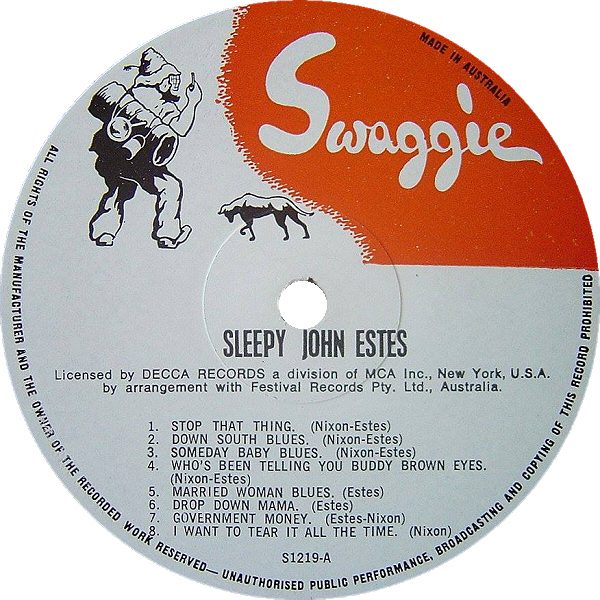 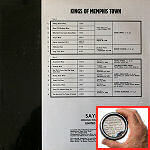 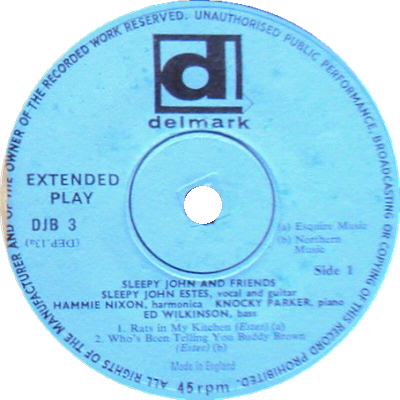 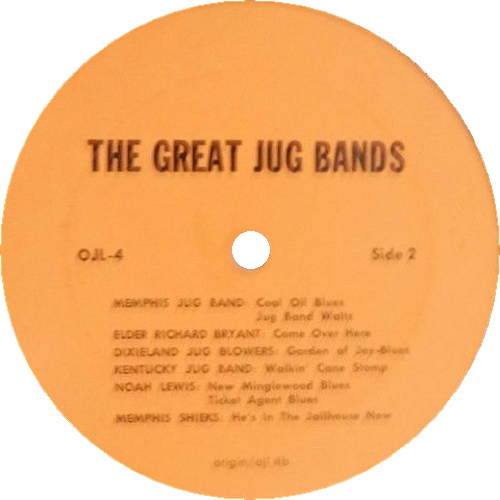 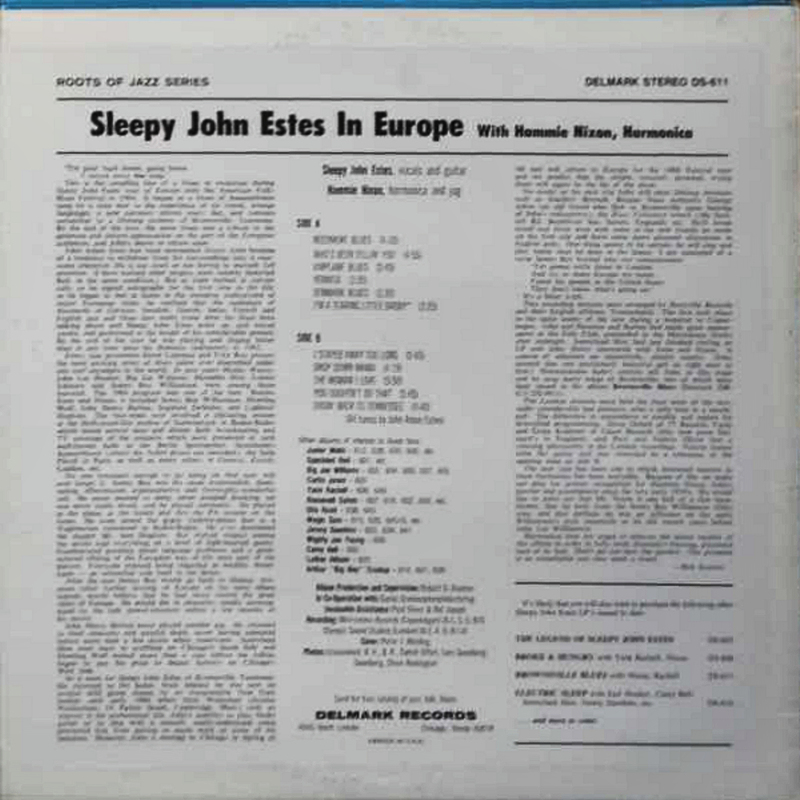 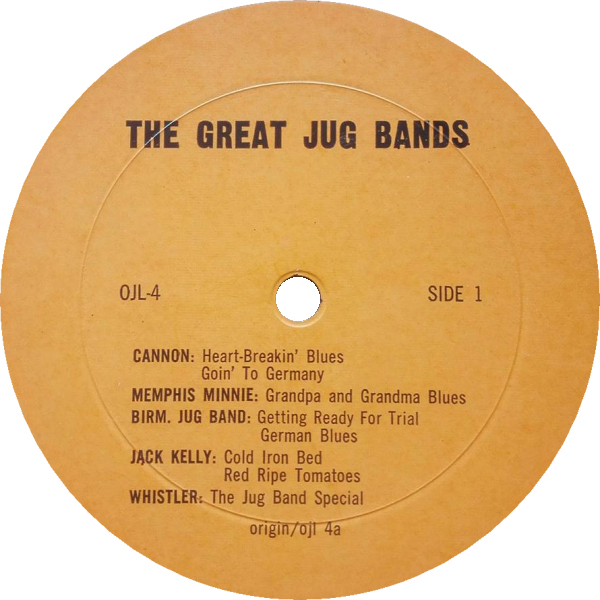 3"
(on label: "Sleepy John And Friends"
Swaggie JCS series started around 1960! 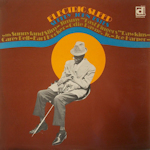 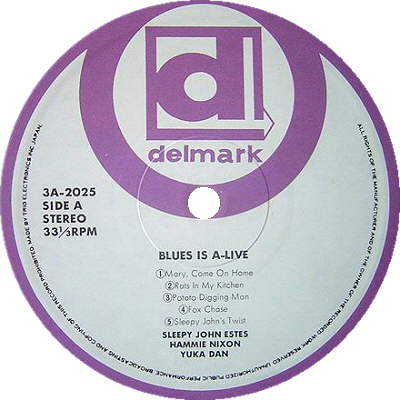 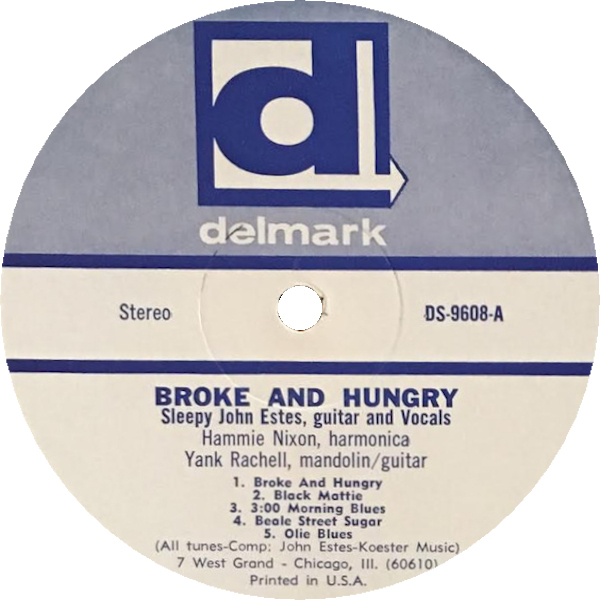 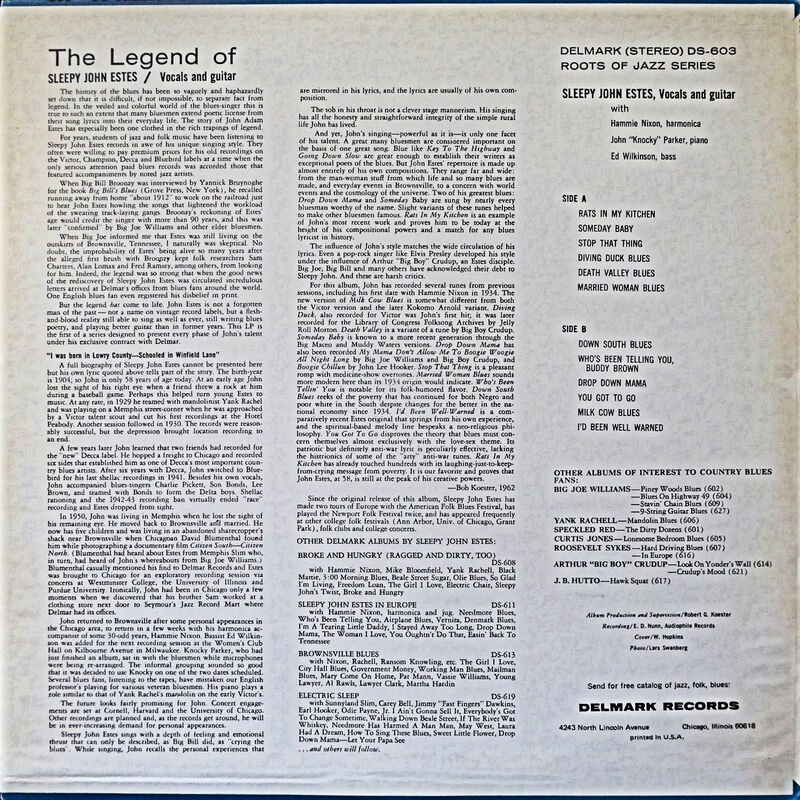 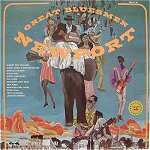 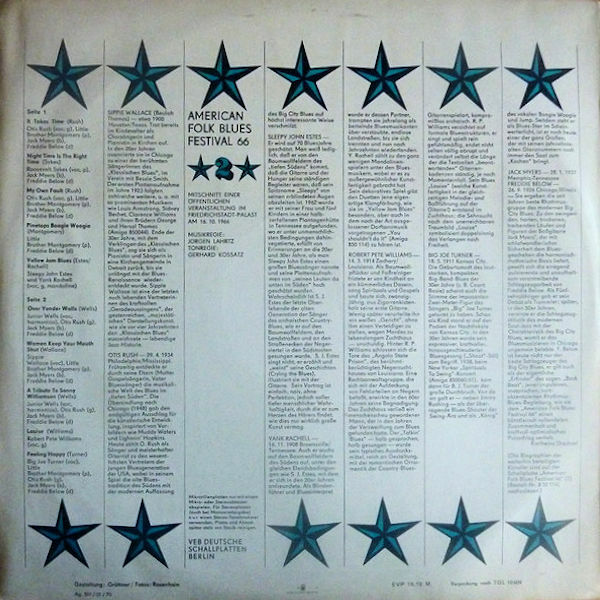 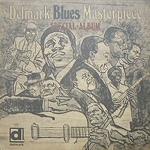 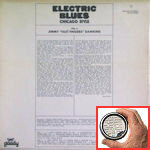 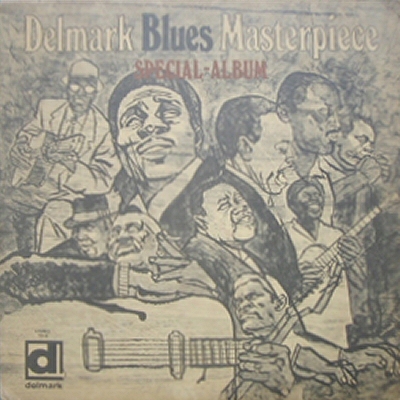 Delmark DS-619 (UK 1969) "distributed by ESQUIRE RECORDS TALENT LIMITED"
= Goody GY 10003 (Fr 1969) "Electric Blues, Chicago Style Vol. 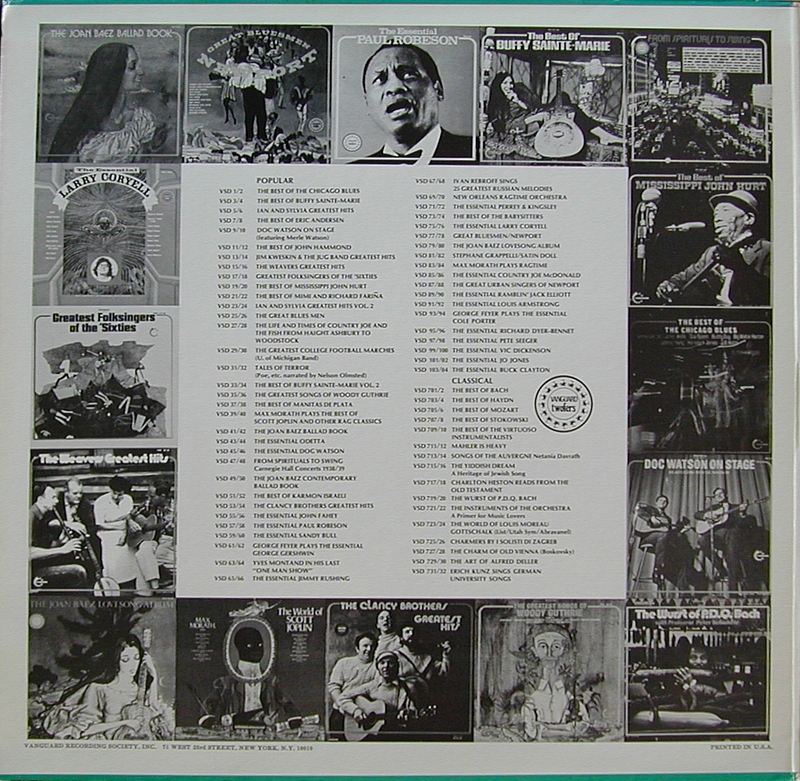 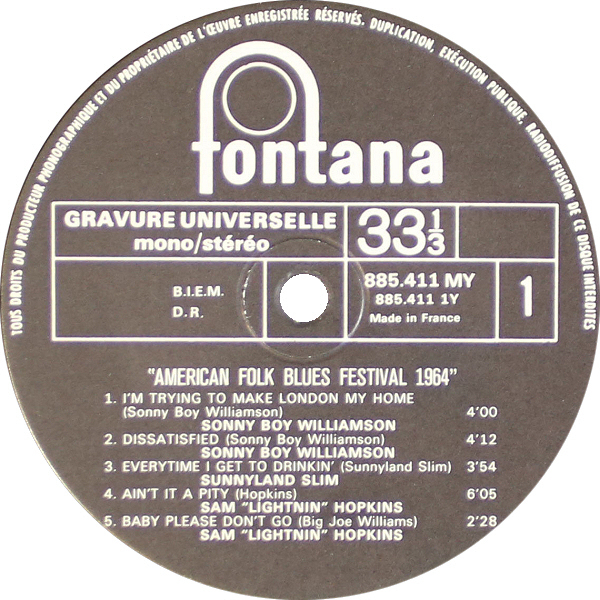 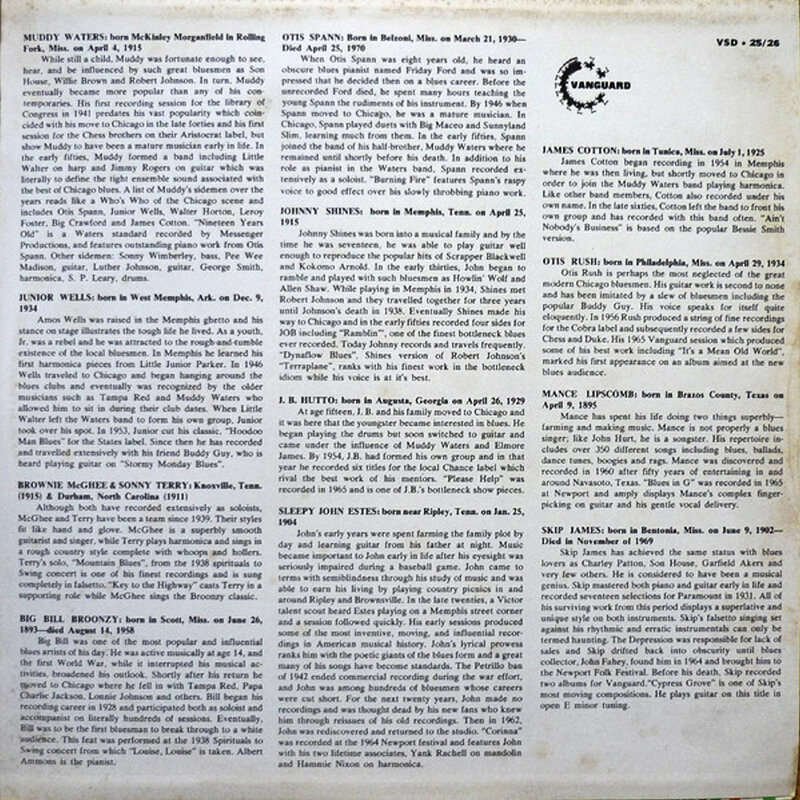 3"
= Goody GY 10003 (Fr 1969) with false title on back cover: "Vol. 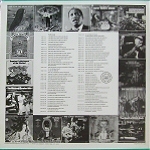 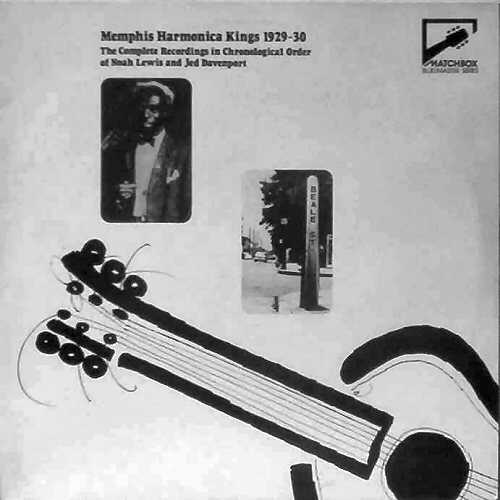 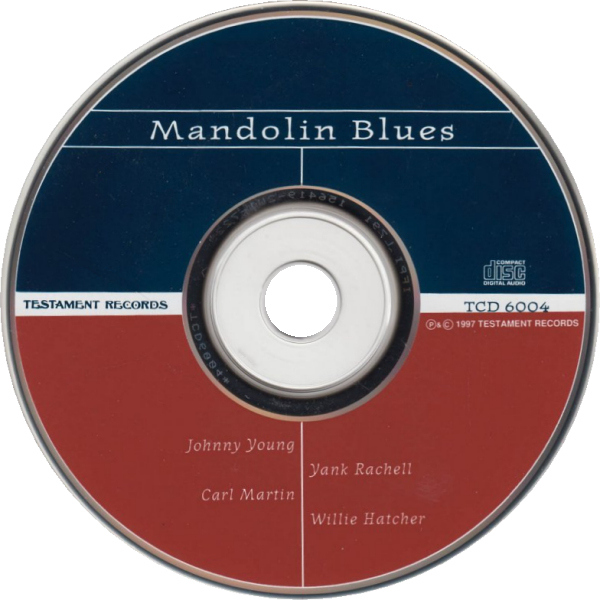 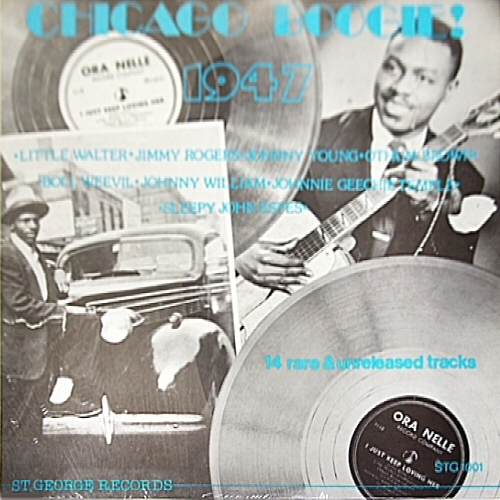 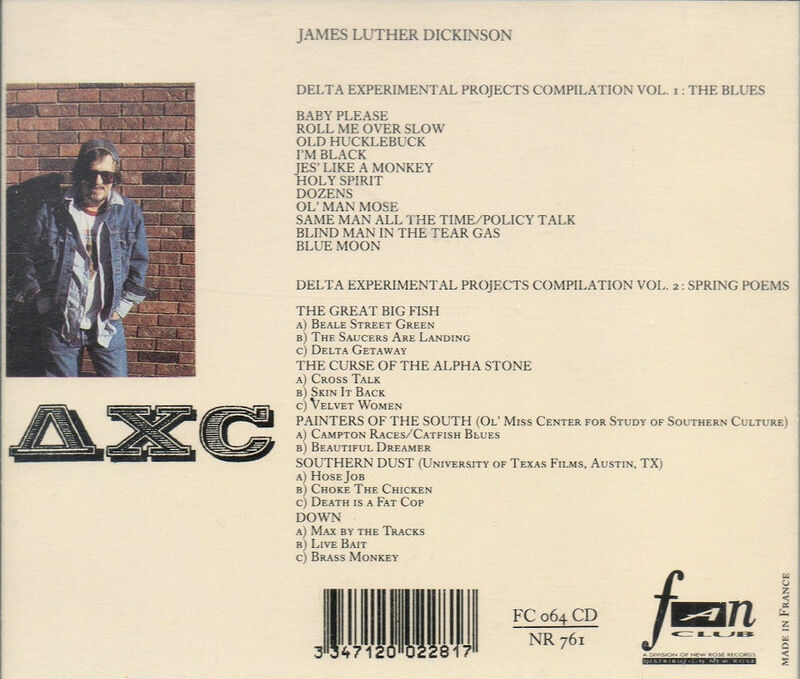 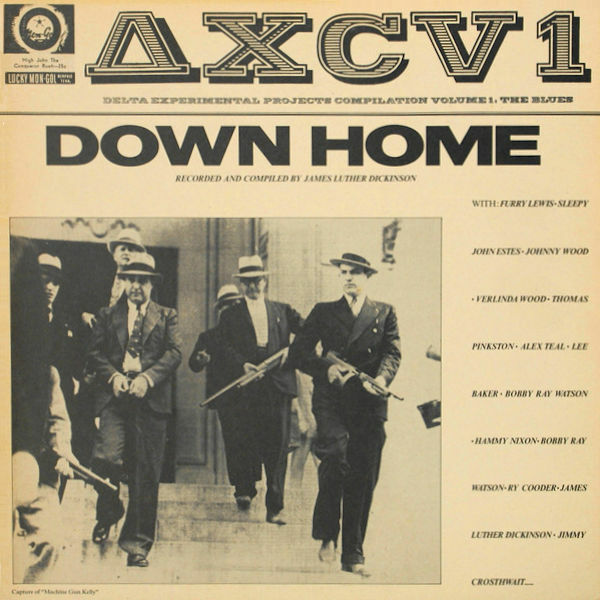 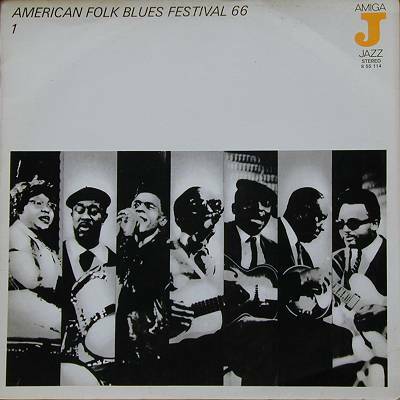 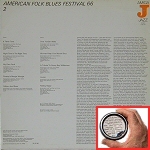 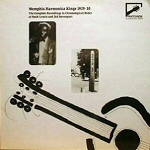 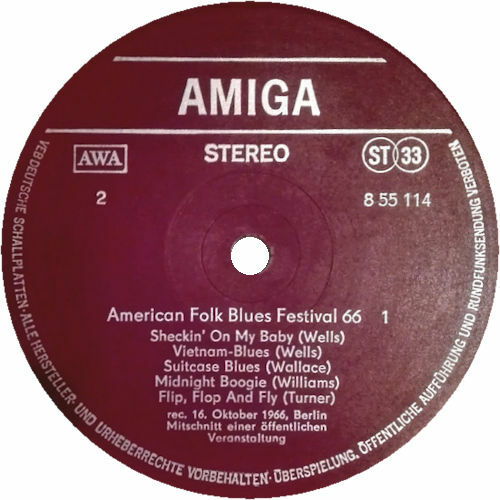 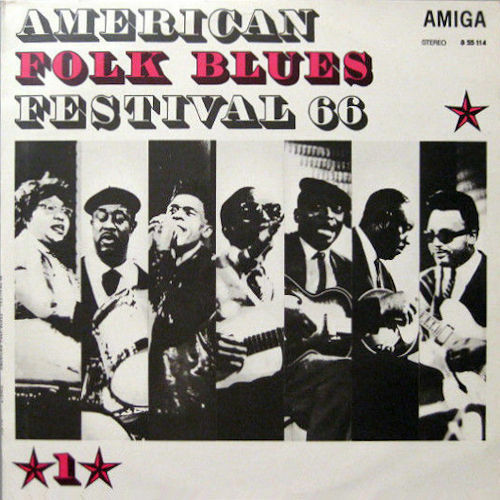 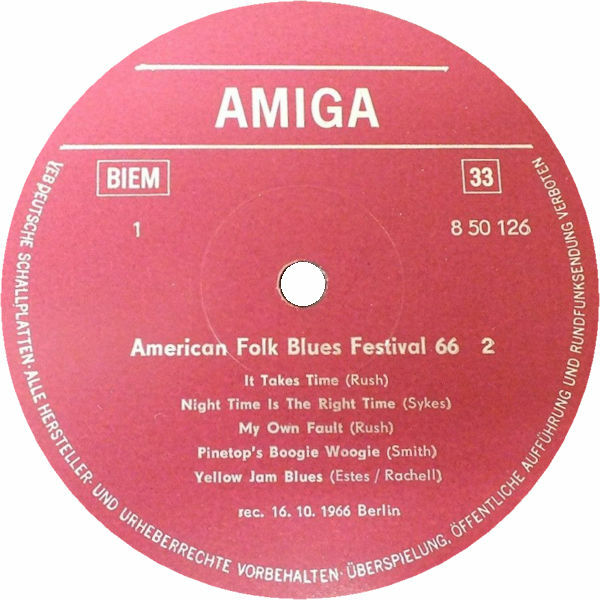 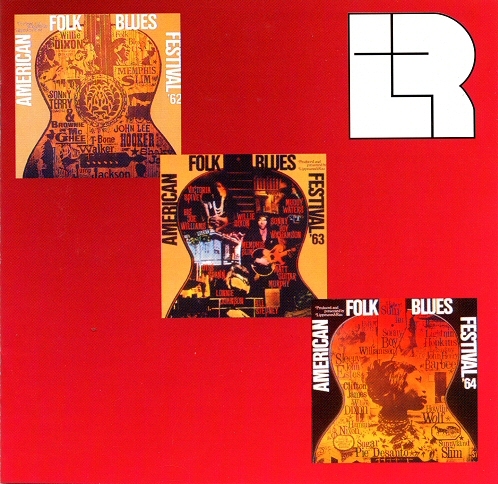 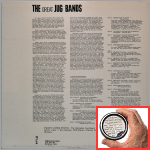 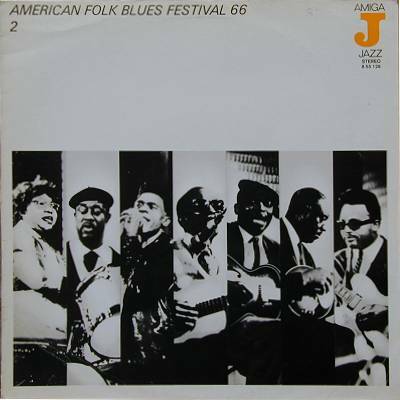 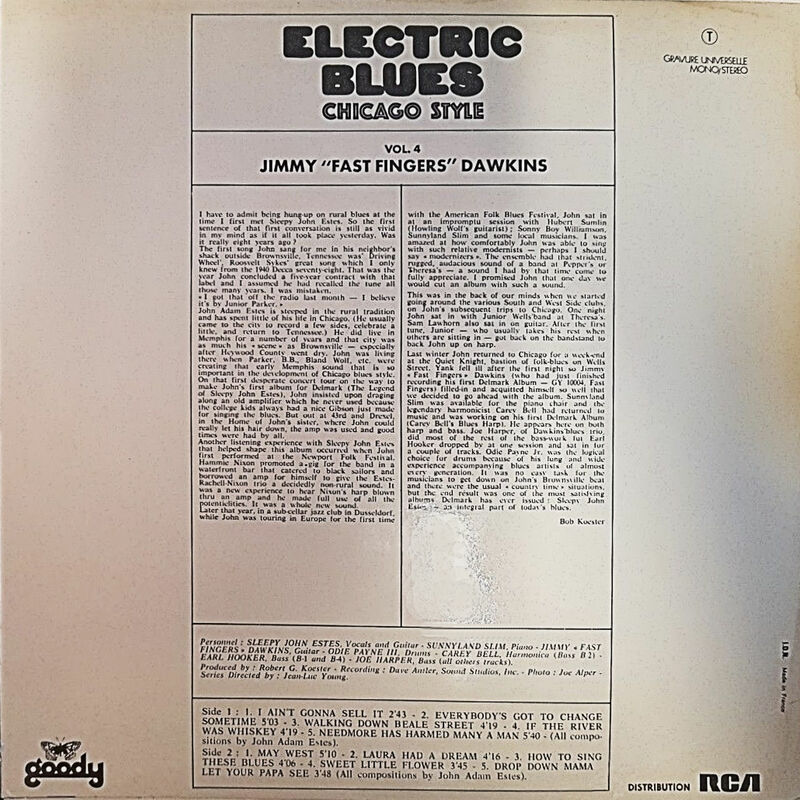 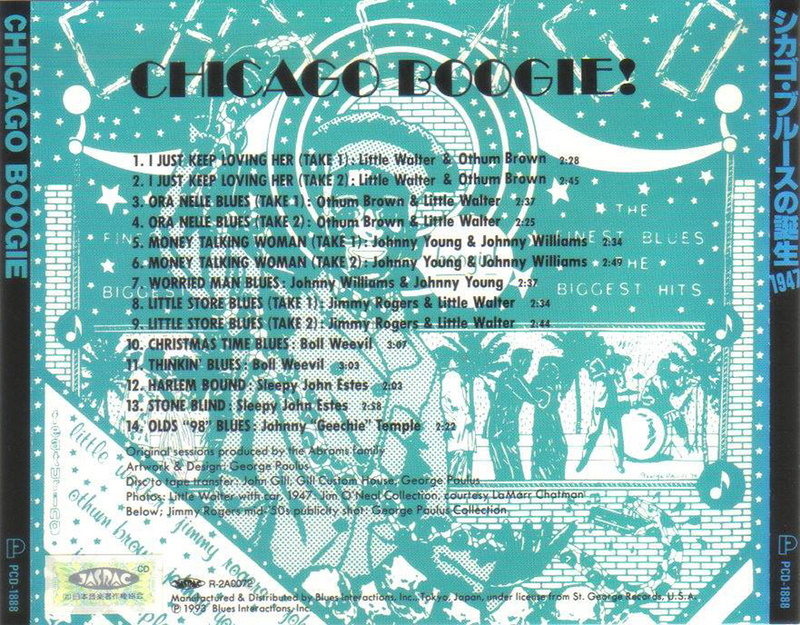 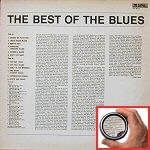 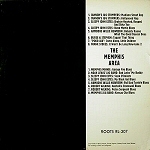 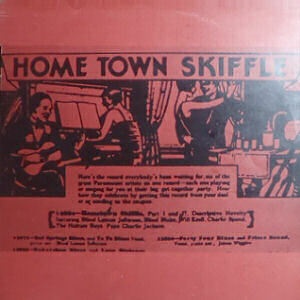 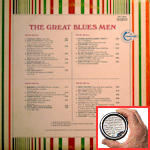 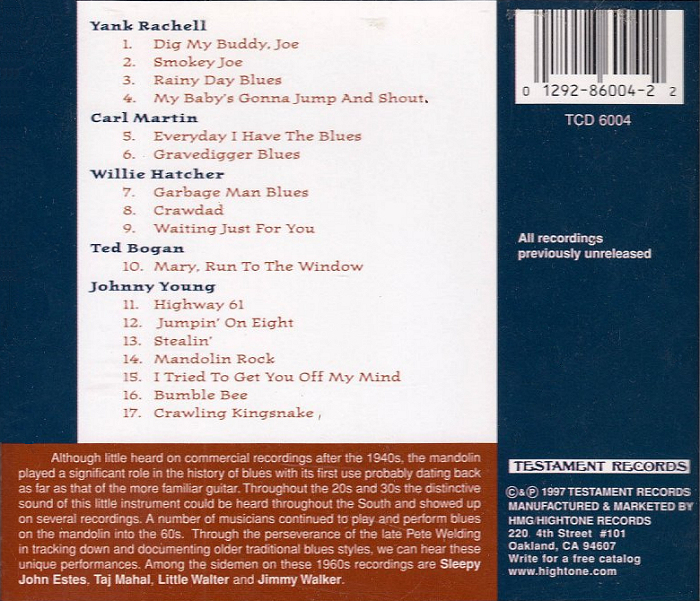 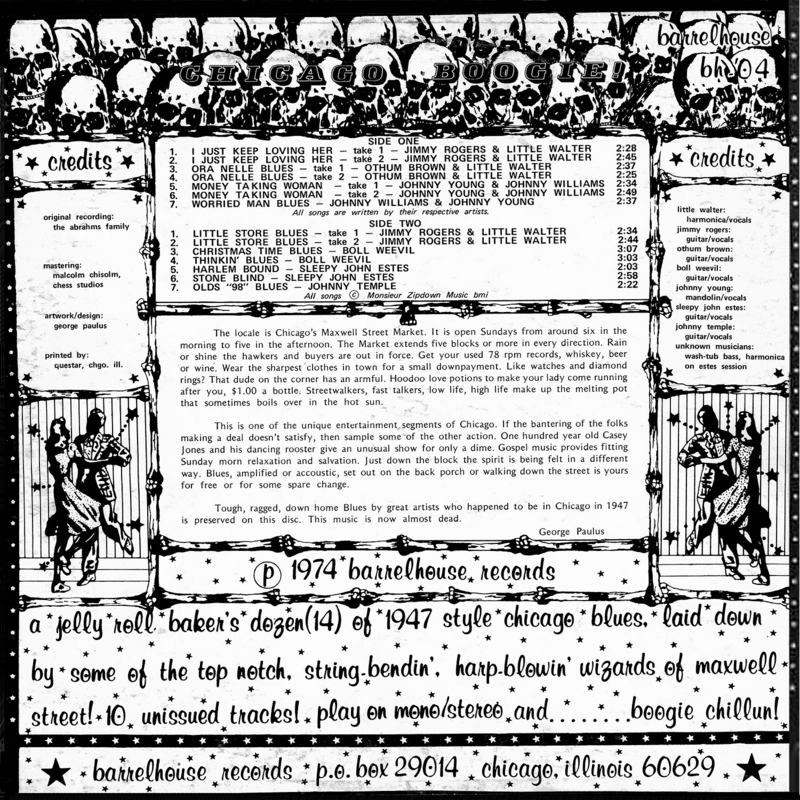 4 Jimmy 'Fast Fingers' Dawkins"
= Delmark DE-619 (US 2007) "On The Chicago Blues Scene"
66a 1969 Up The Country ! 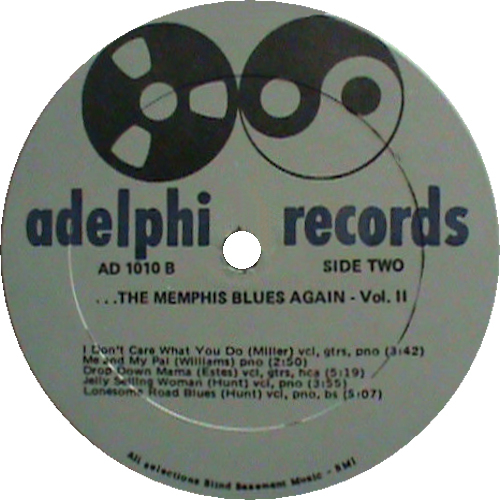 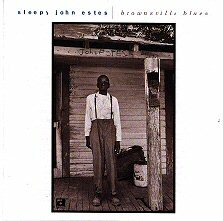 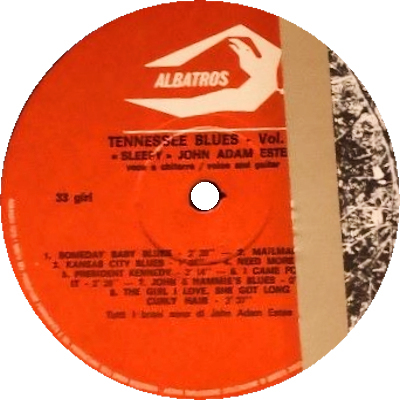 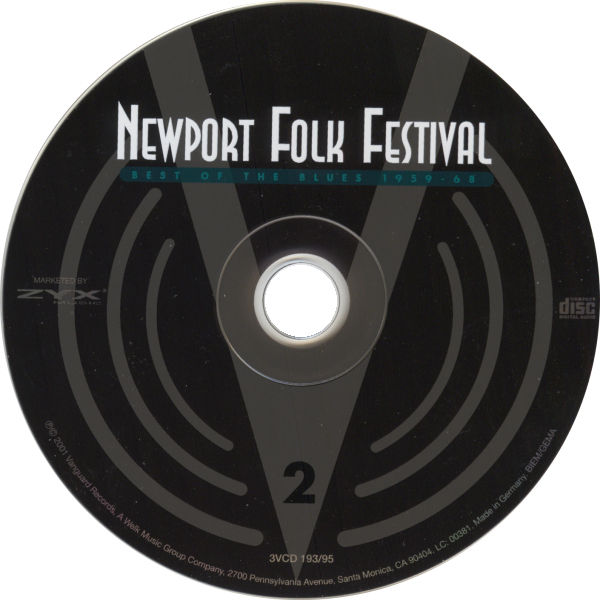 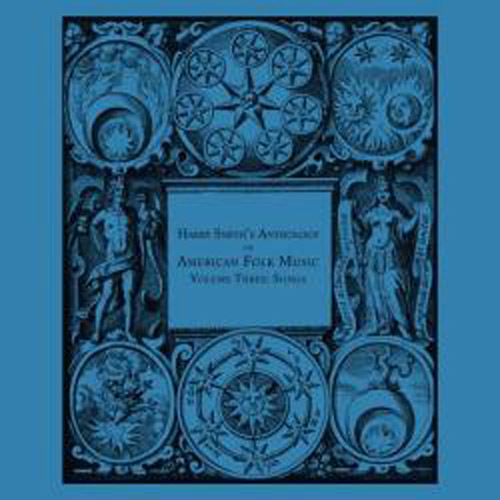 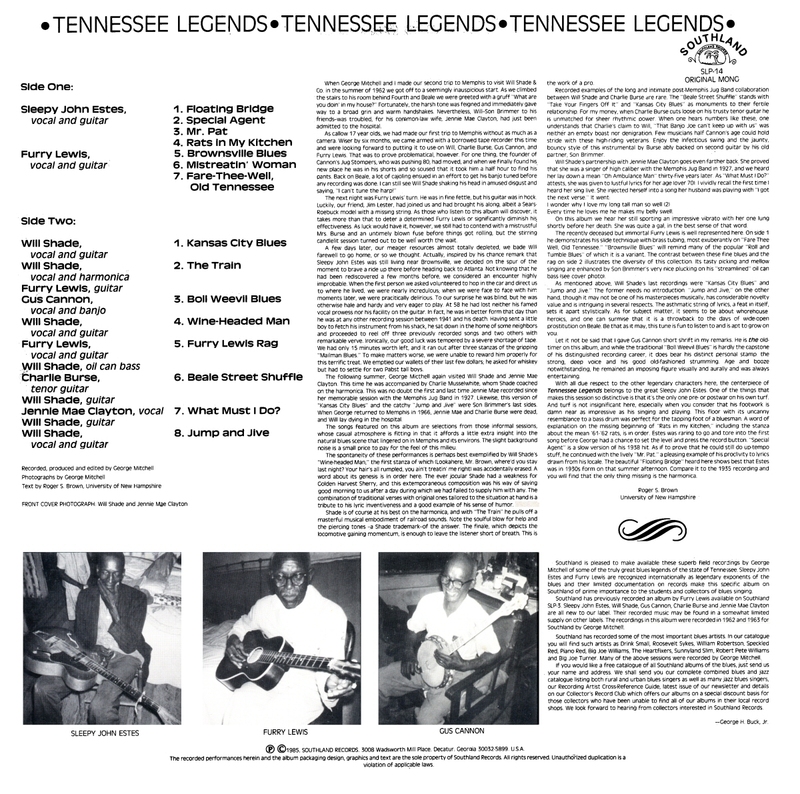 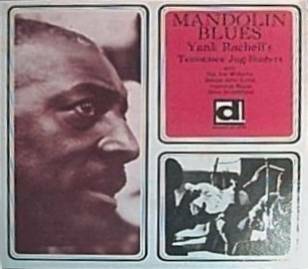 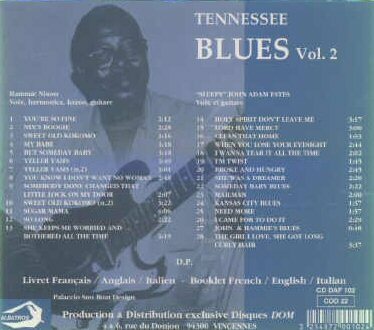 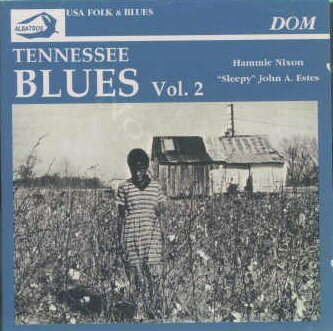 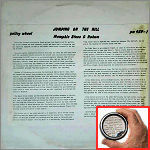 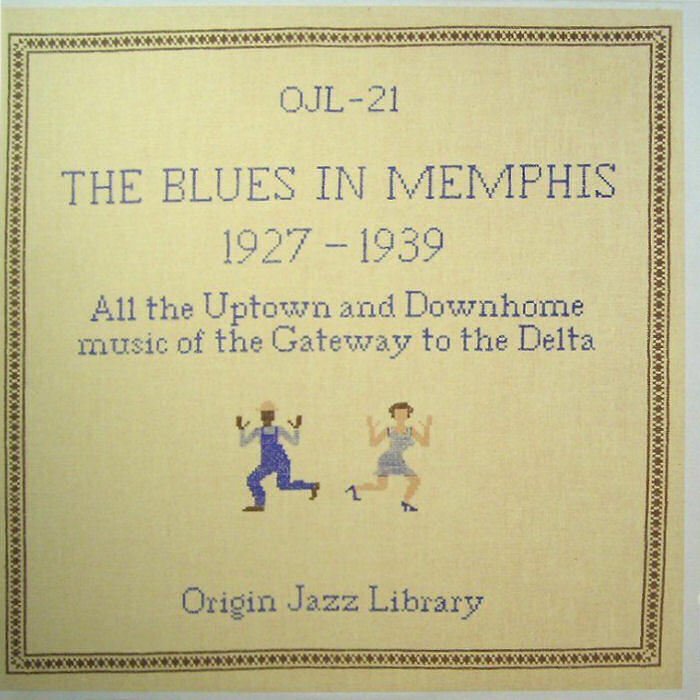 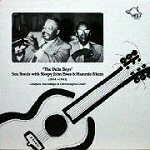 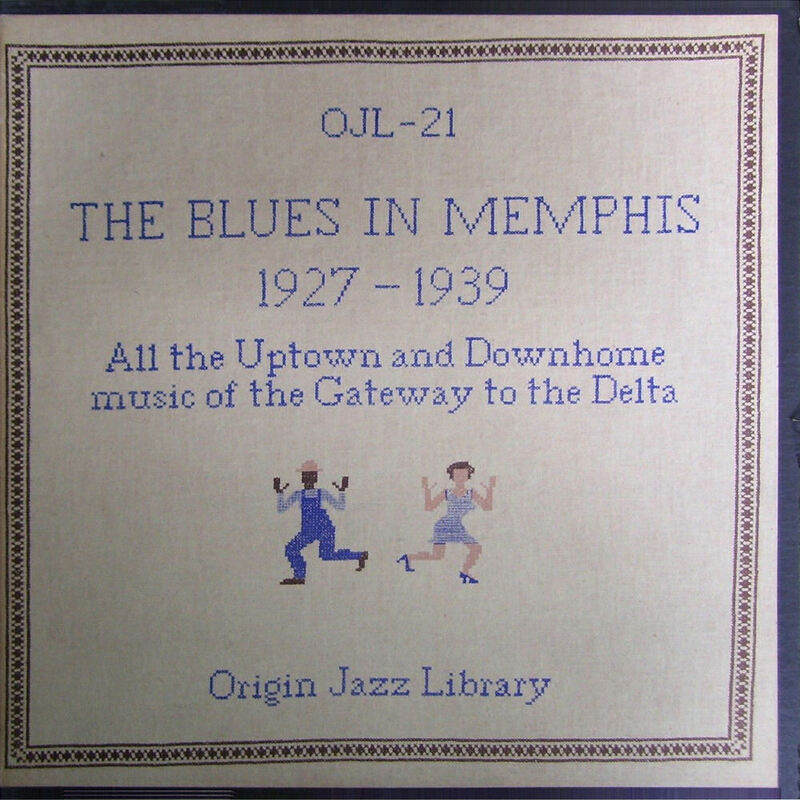 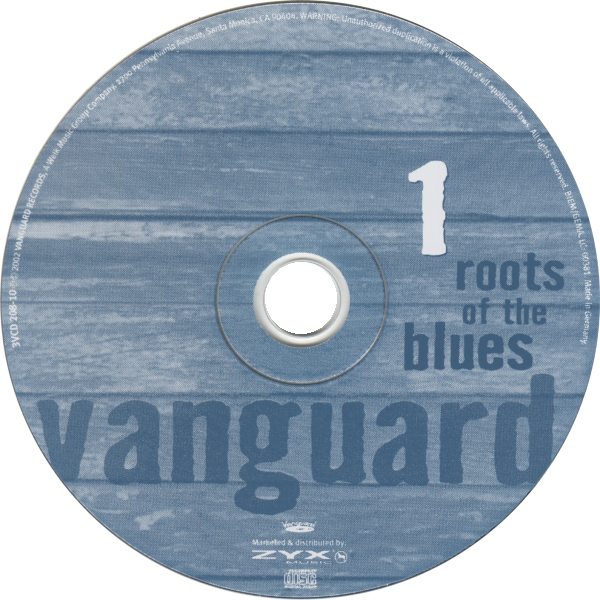 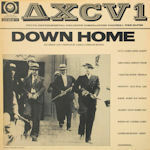 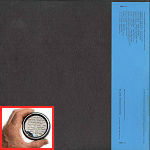 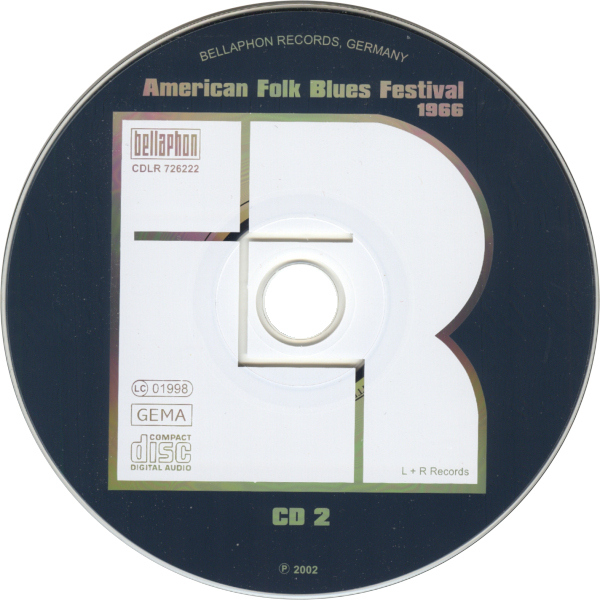 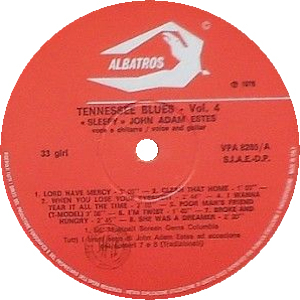 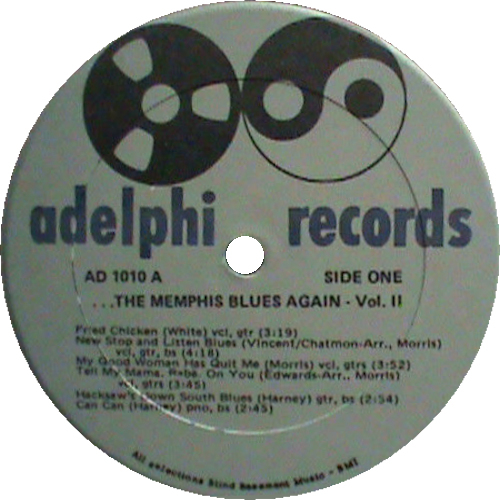 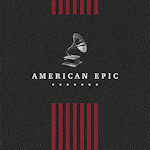 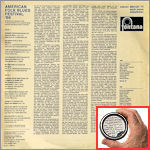 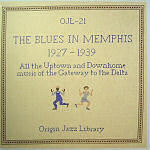 reissued (along with VPA 8277) by Dom disques Fr 1997 as Albatros CD DAF 102 "Tennessee Blues Vol. 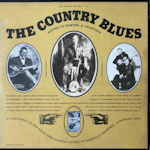 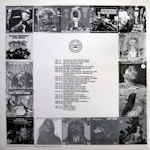 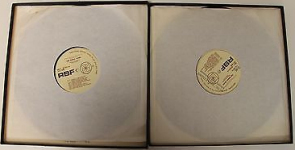 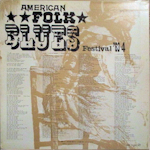 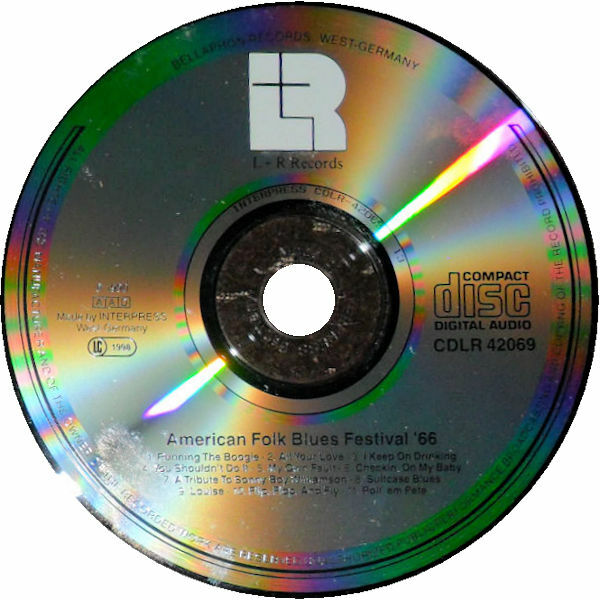 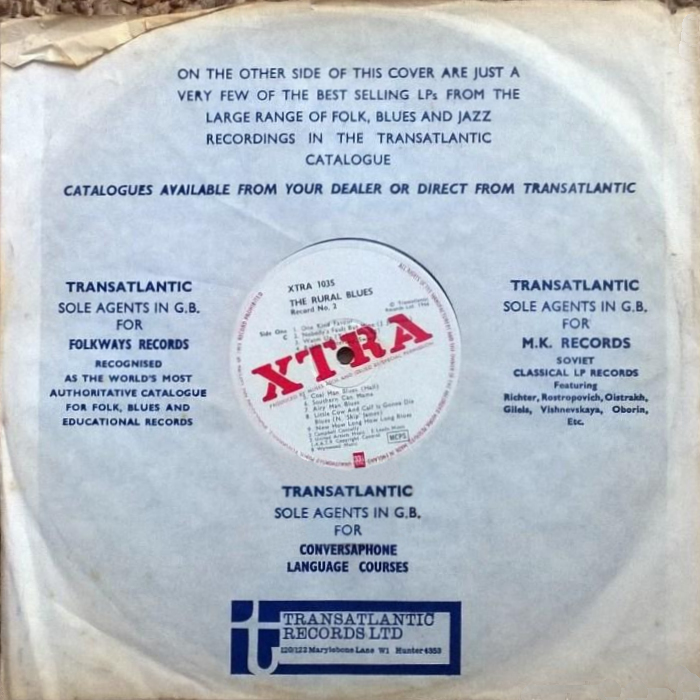 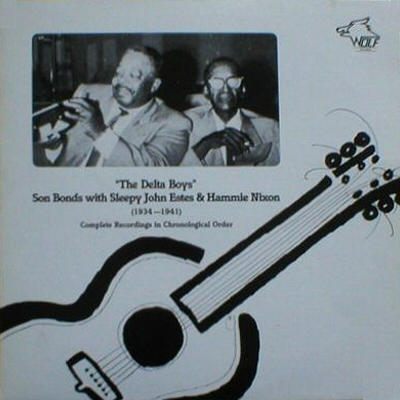 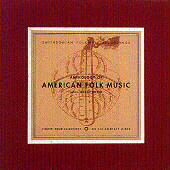 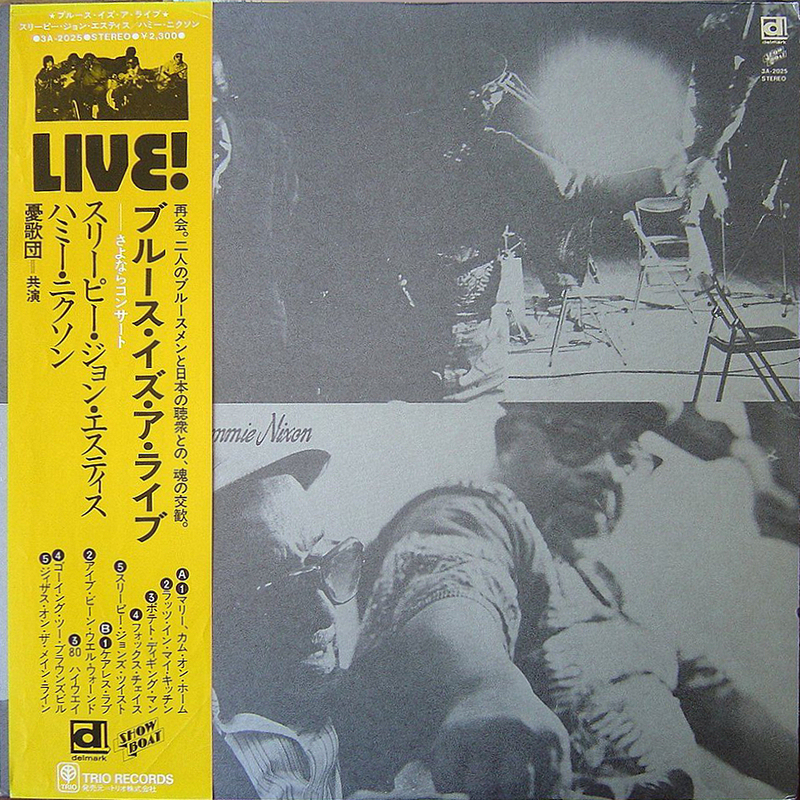 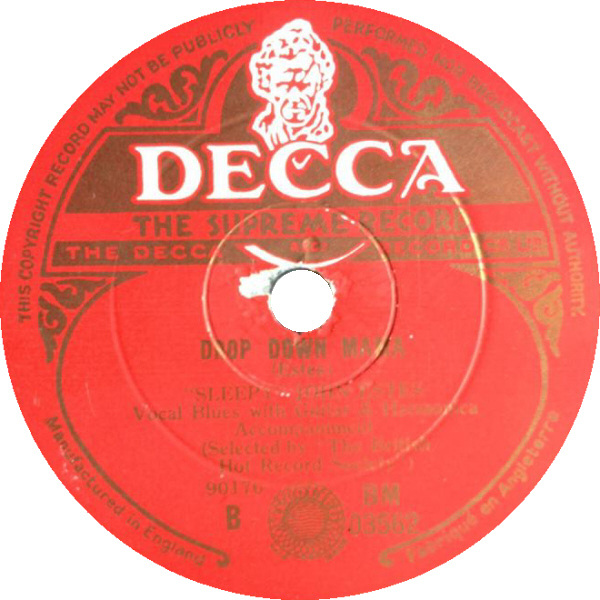 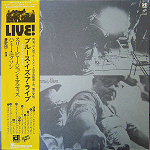 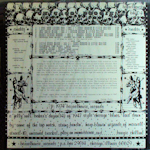 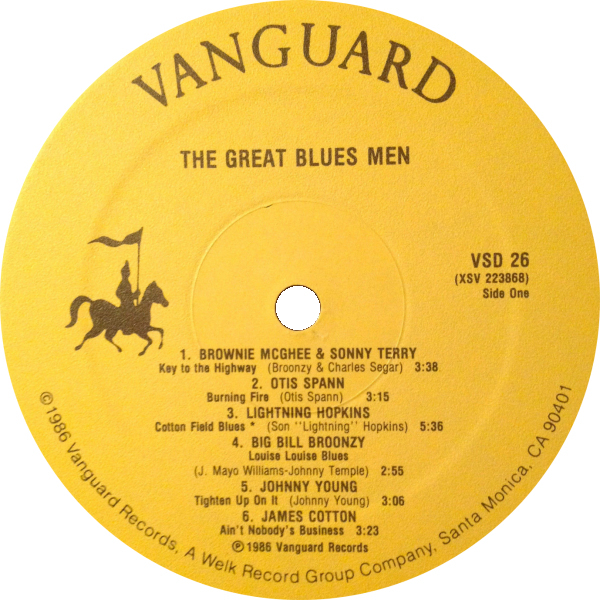 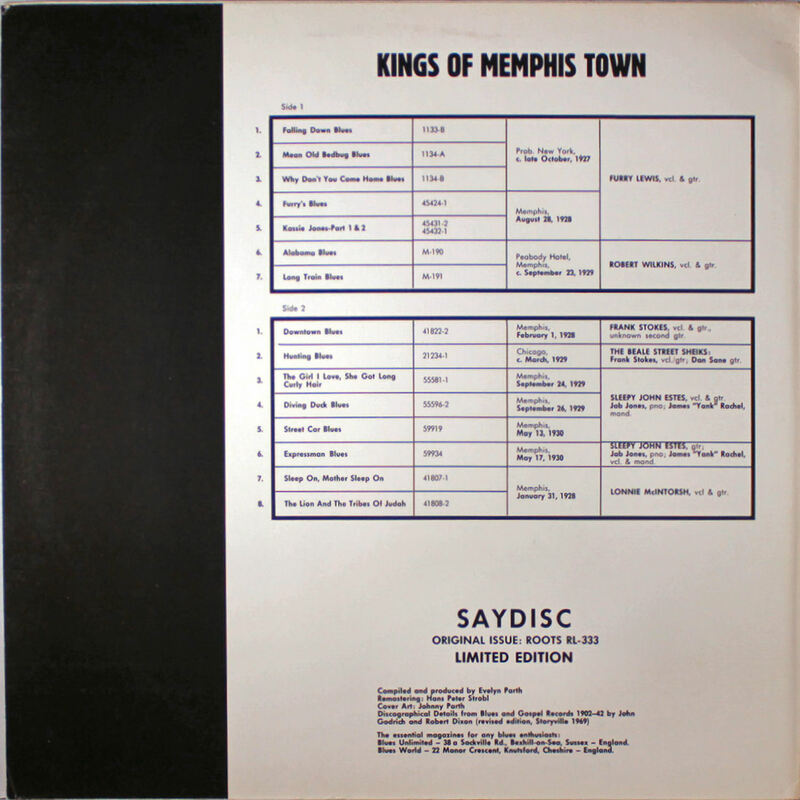 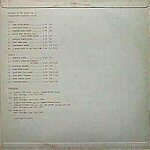 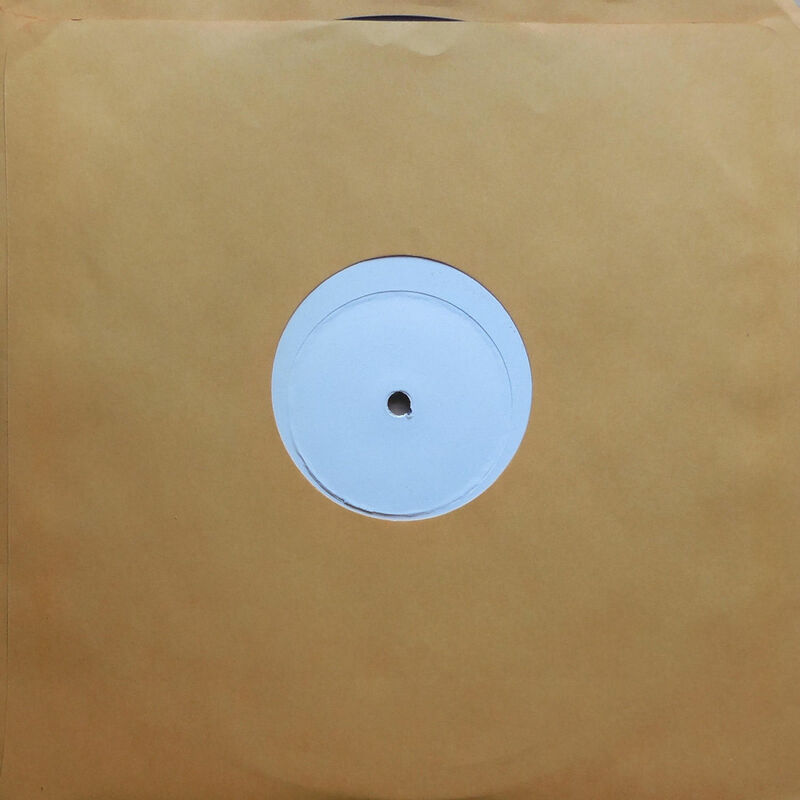 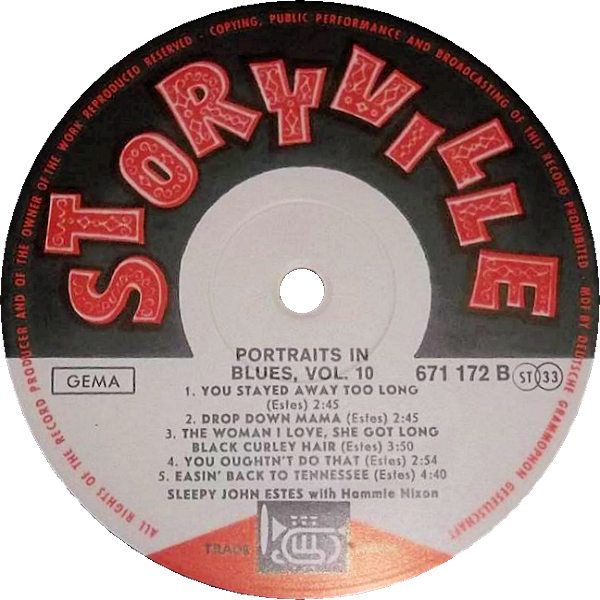 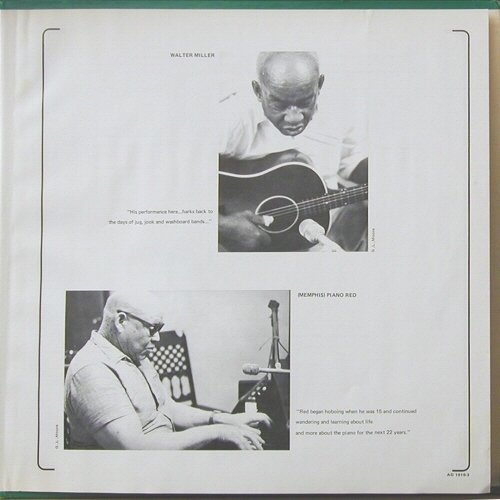 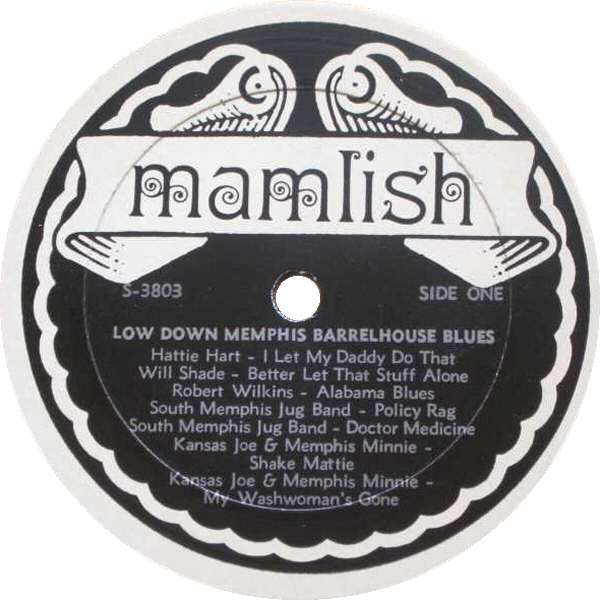 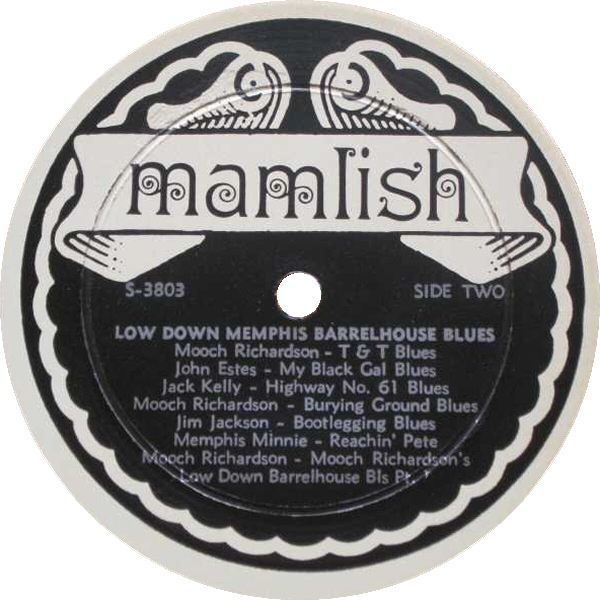 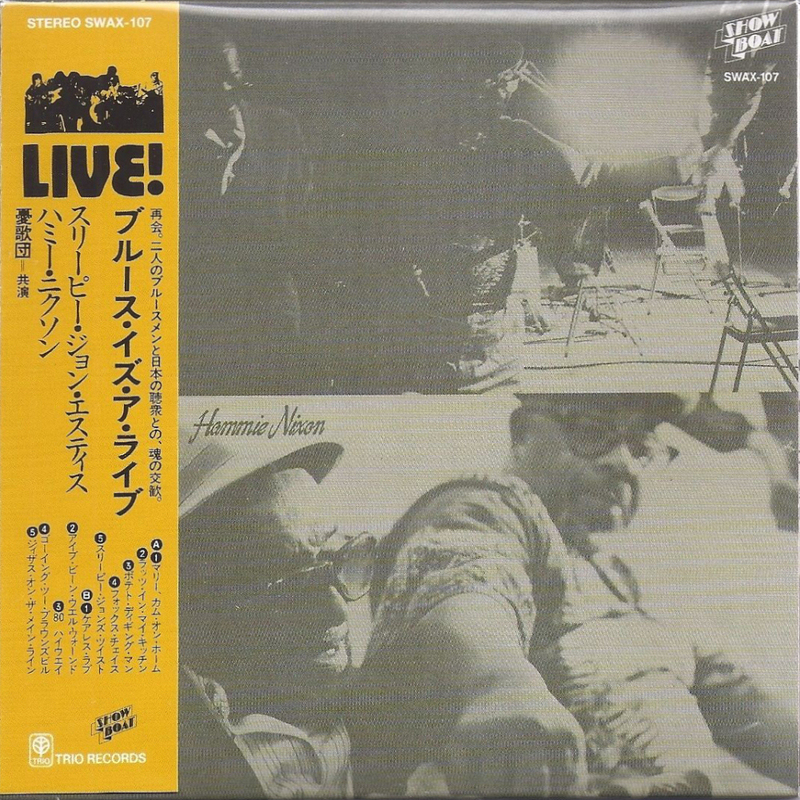 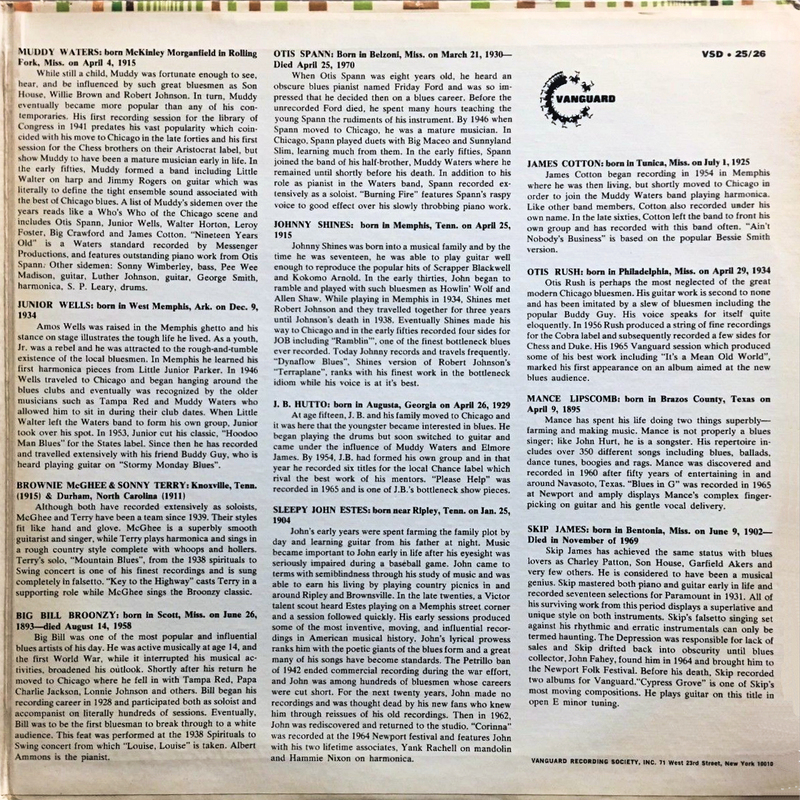 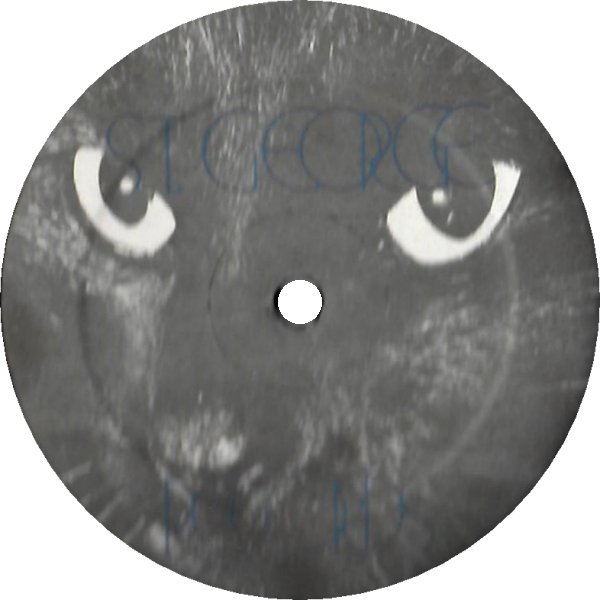 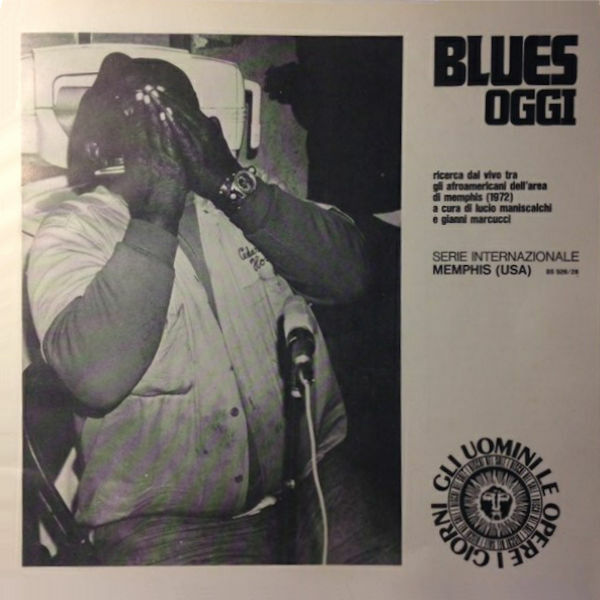 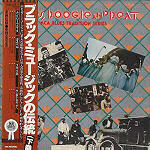 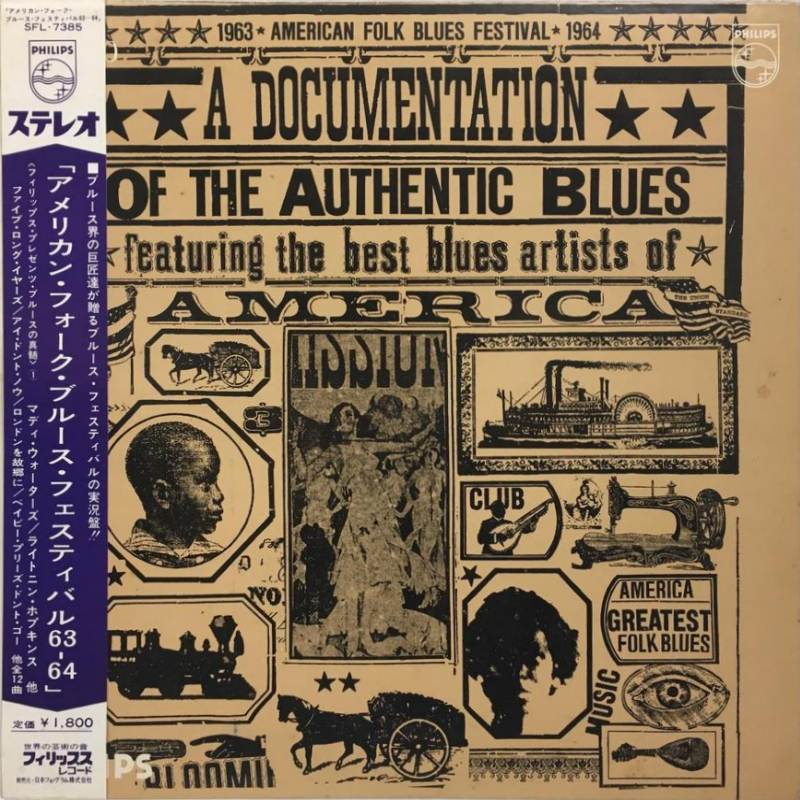 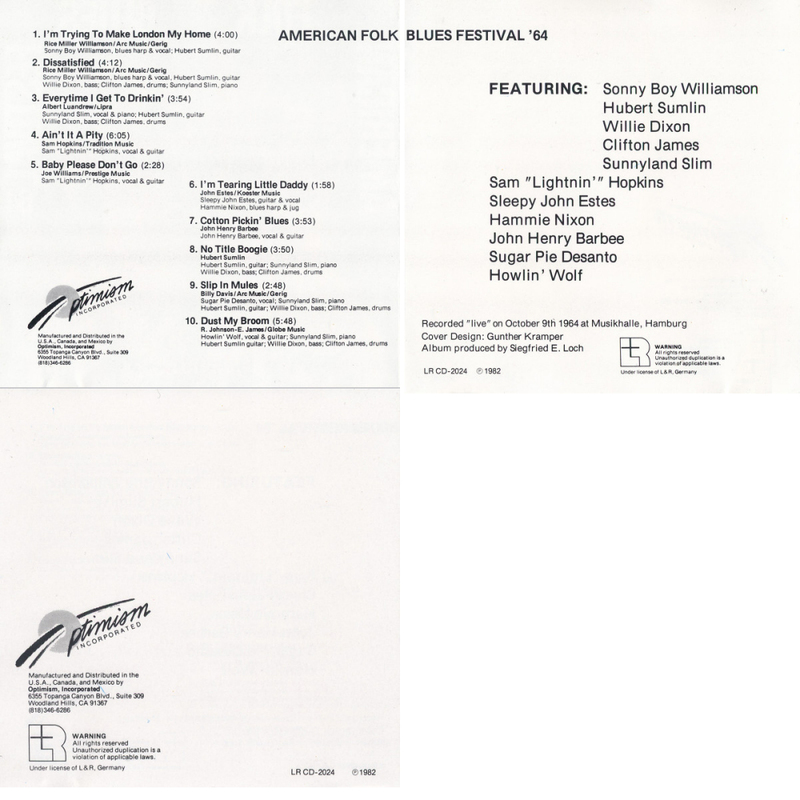 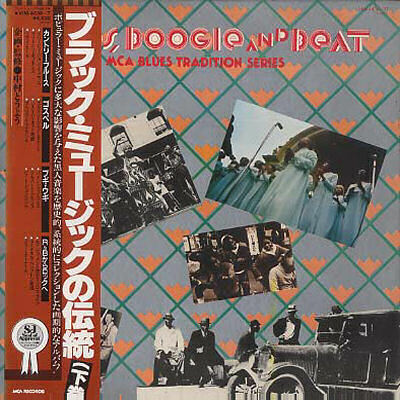 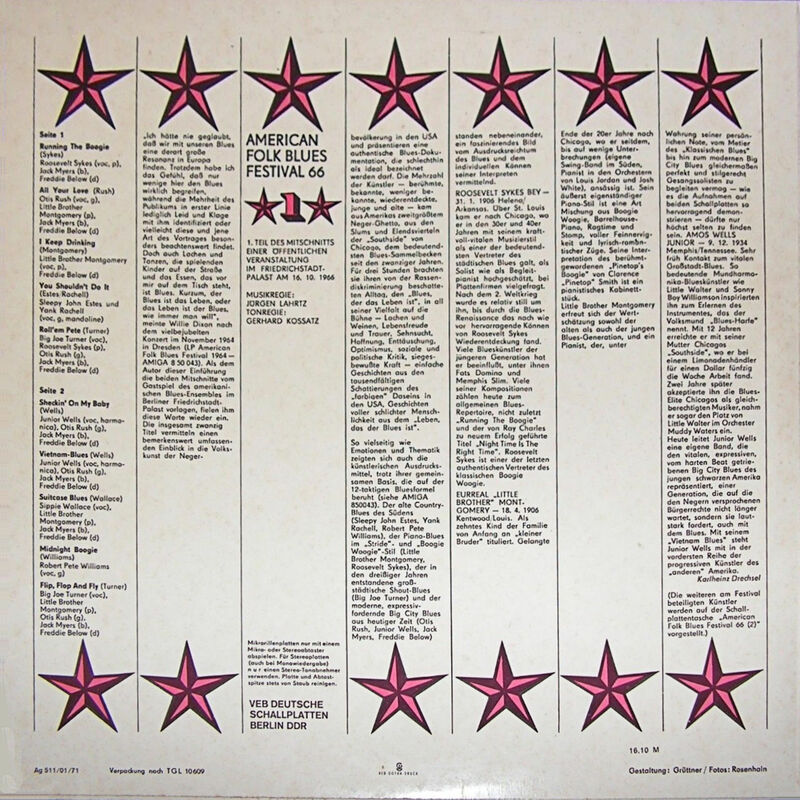 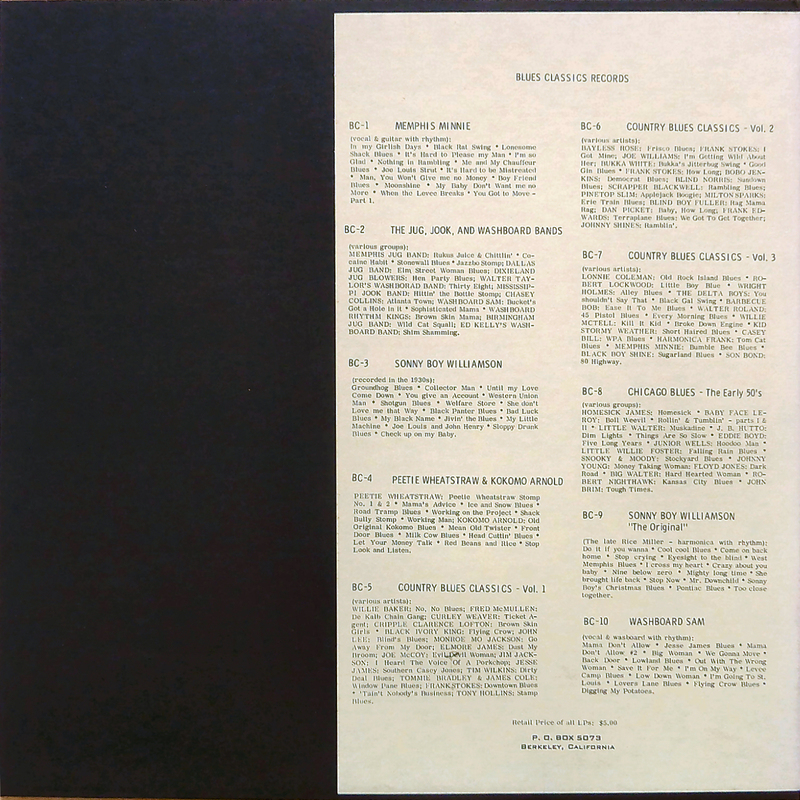 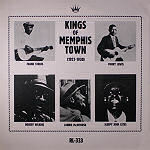 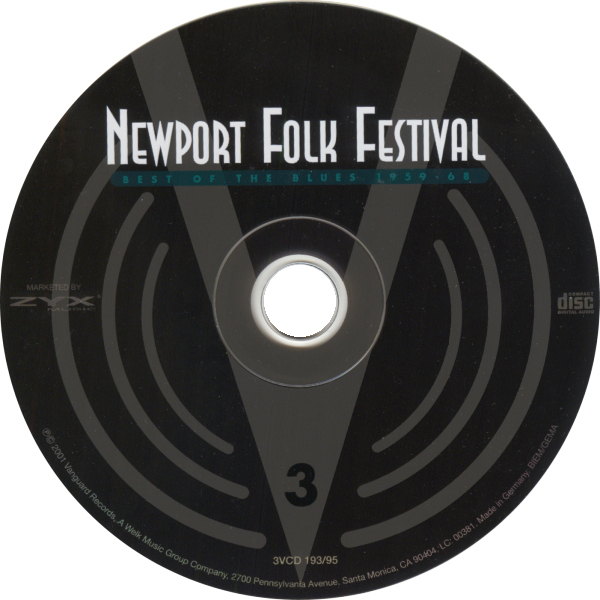 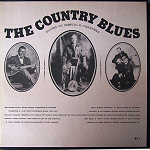 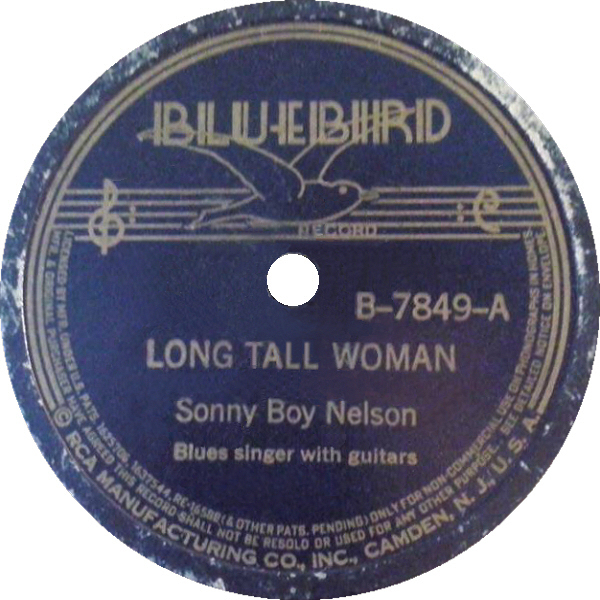 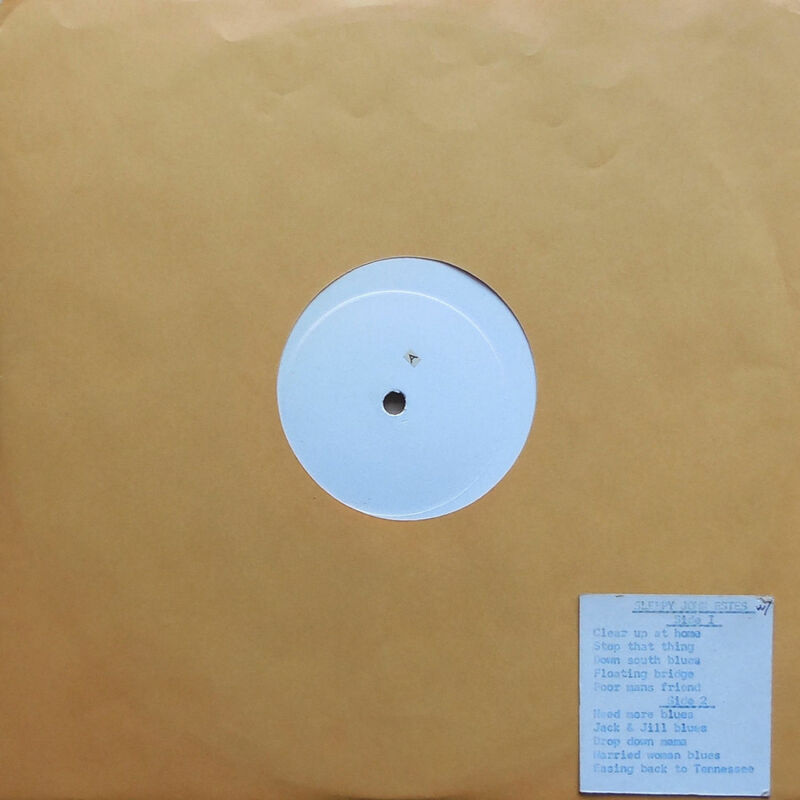 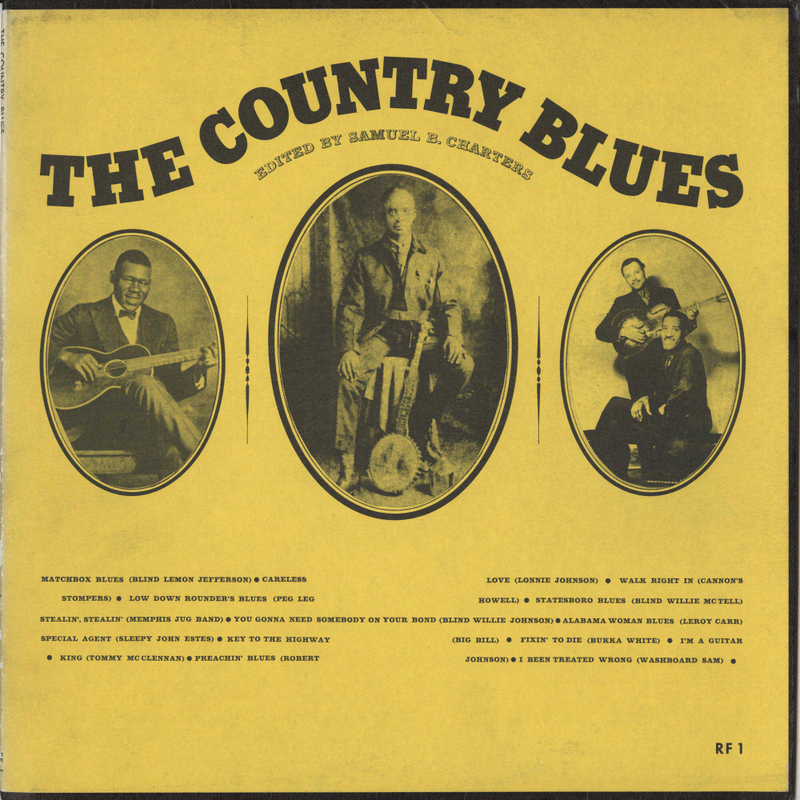 2"
= Trio SWAX-107 (Jp 1999) "Showboat" "Art Union"
= Fat Possum FP 1092-2 "Tennessee Recordings: The George Mitchell Collection"
112 1988 Country Blues Live! 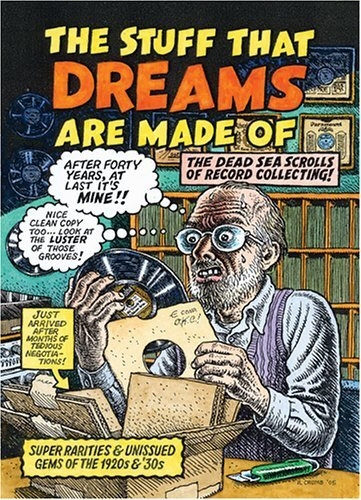 - Ain't That News ? 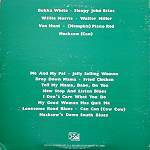 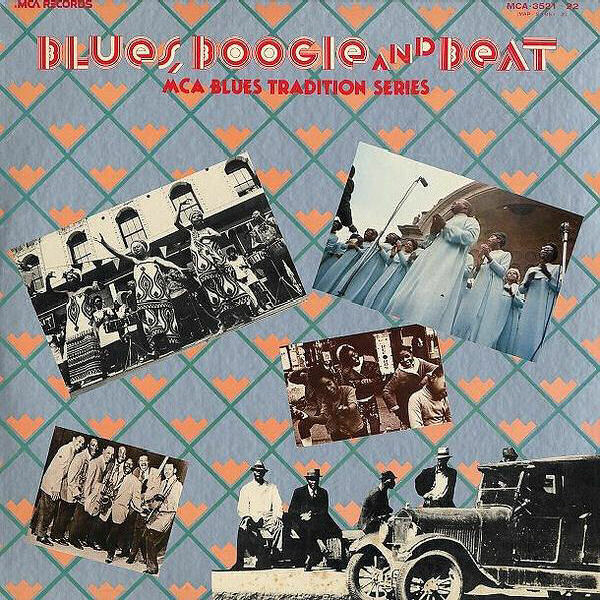 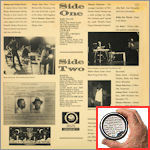 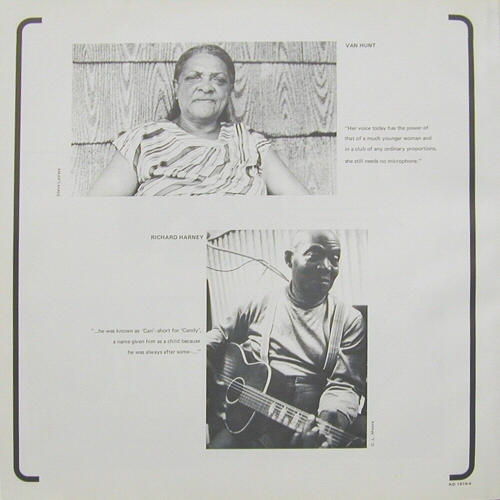 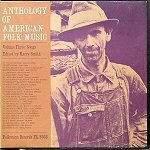 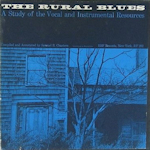 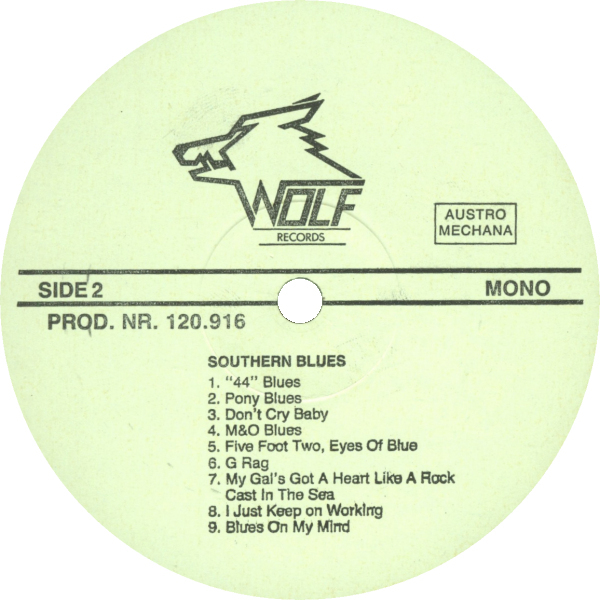 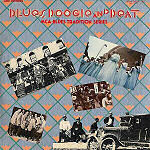 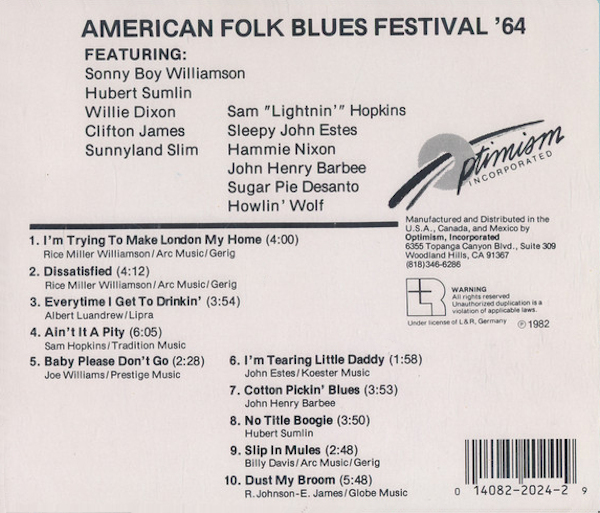 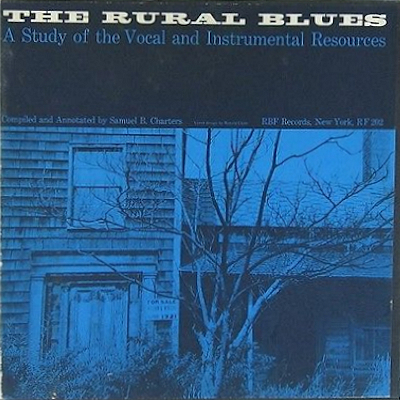 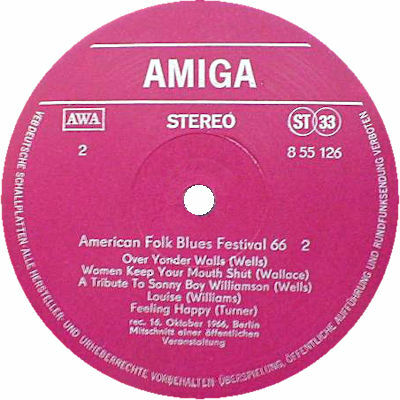 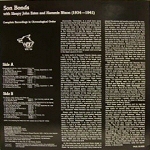 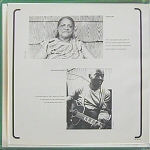 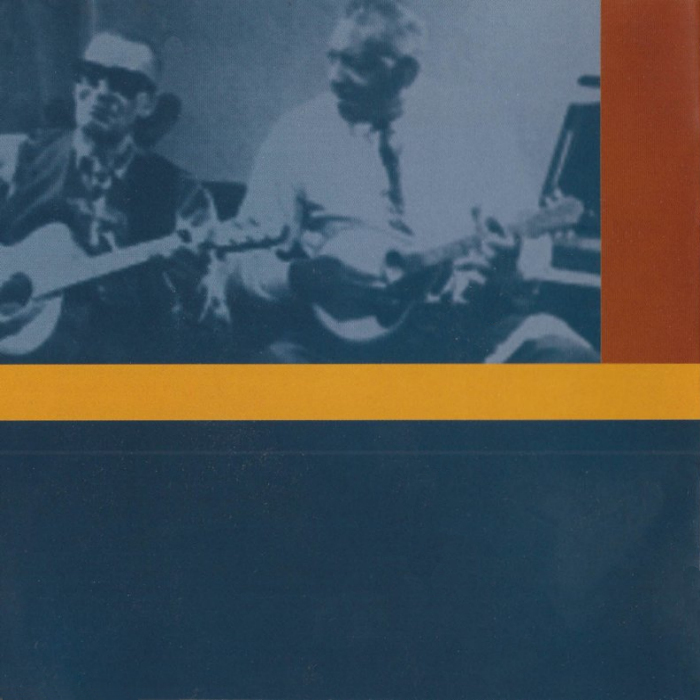 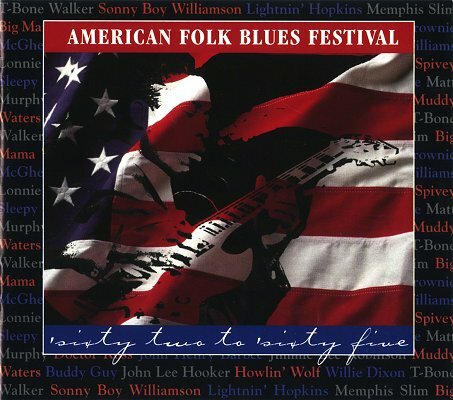 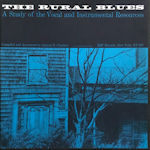 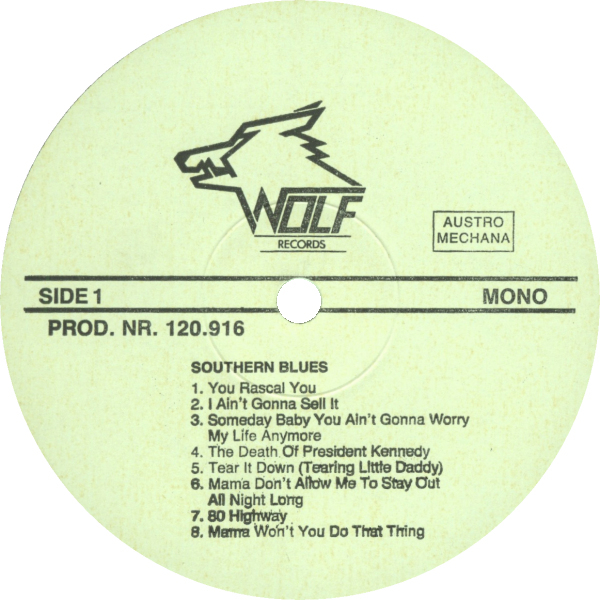 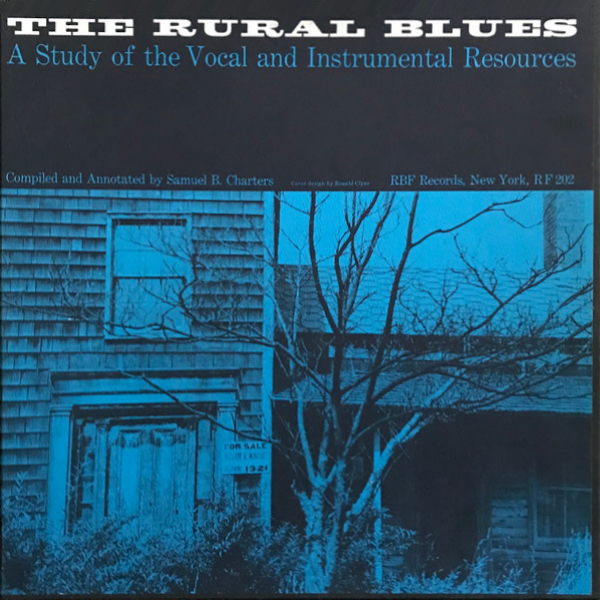 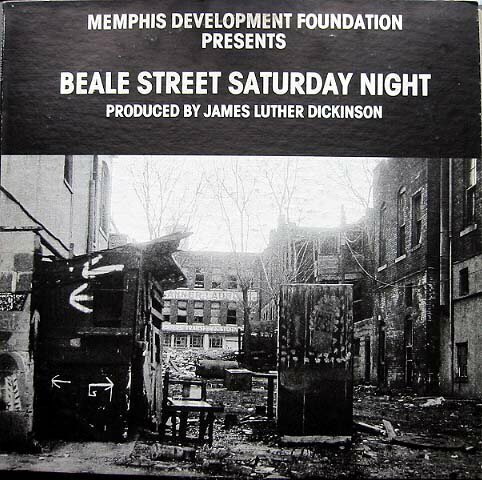 (=) Wolf WBCD-003 (Austria1991) "Son Bonds & Charlie Pickett: Brownsville Blues"
- Who's Telling You Buddy Brown? 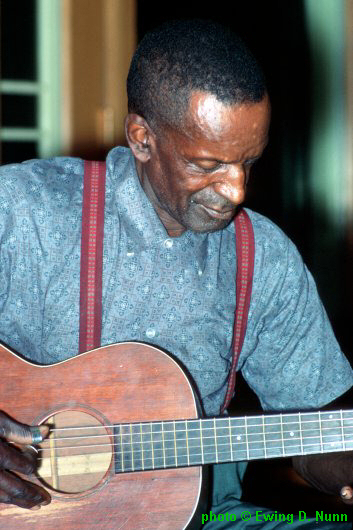 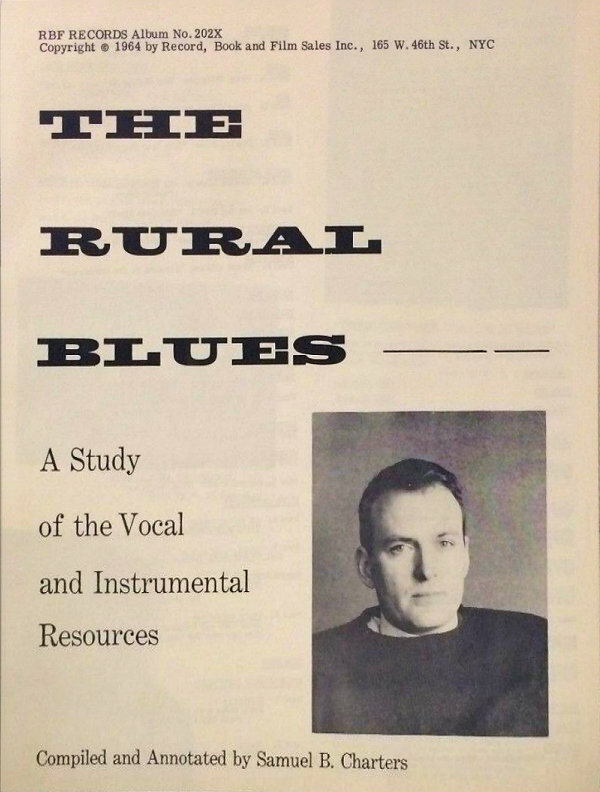 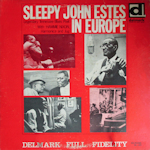 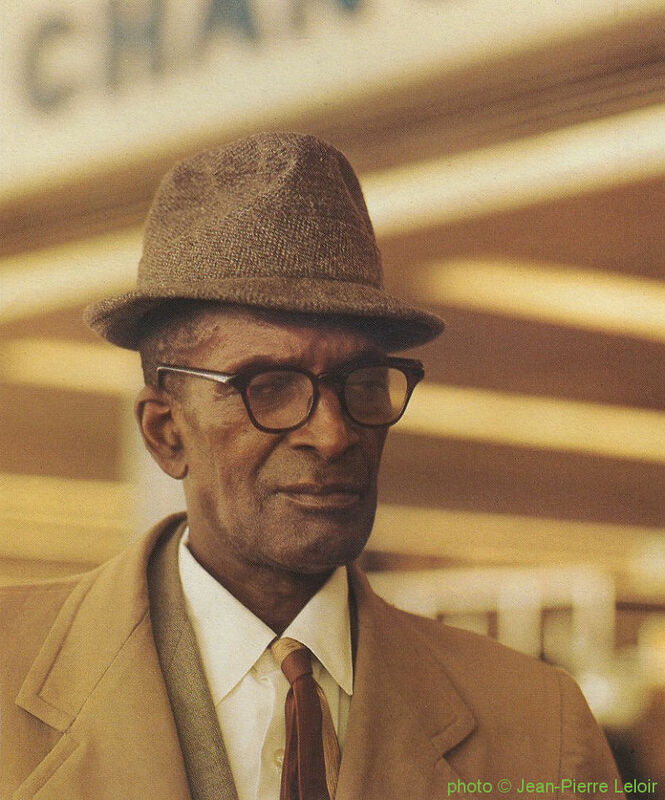 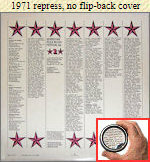 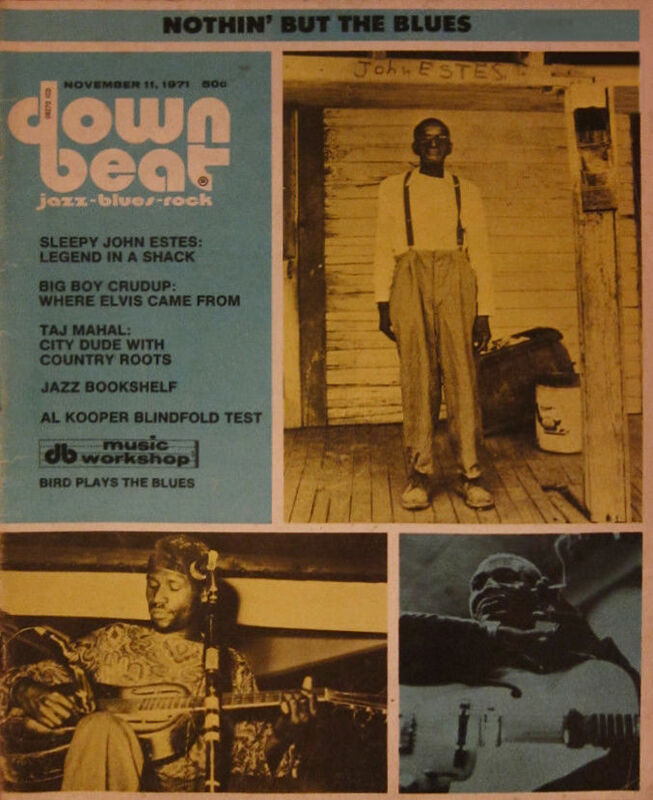 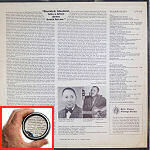 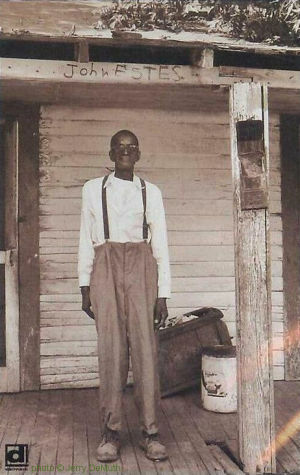 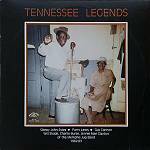 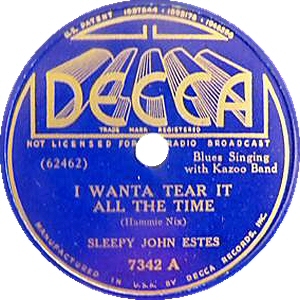 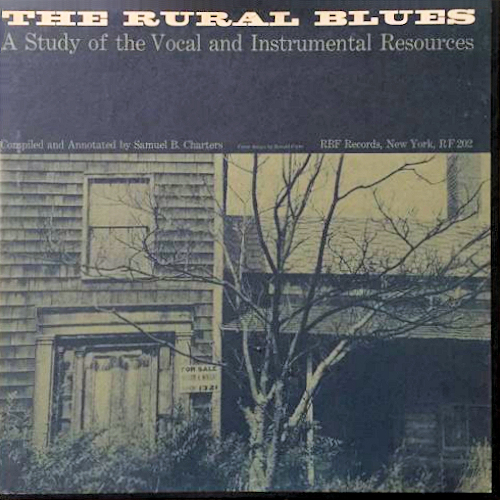 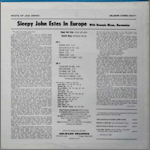 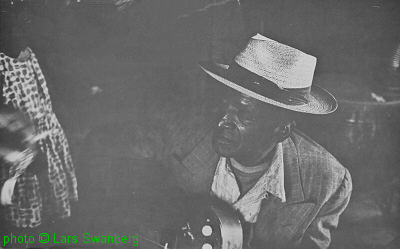 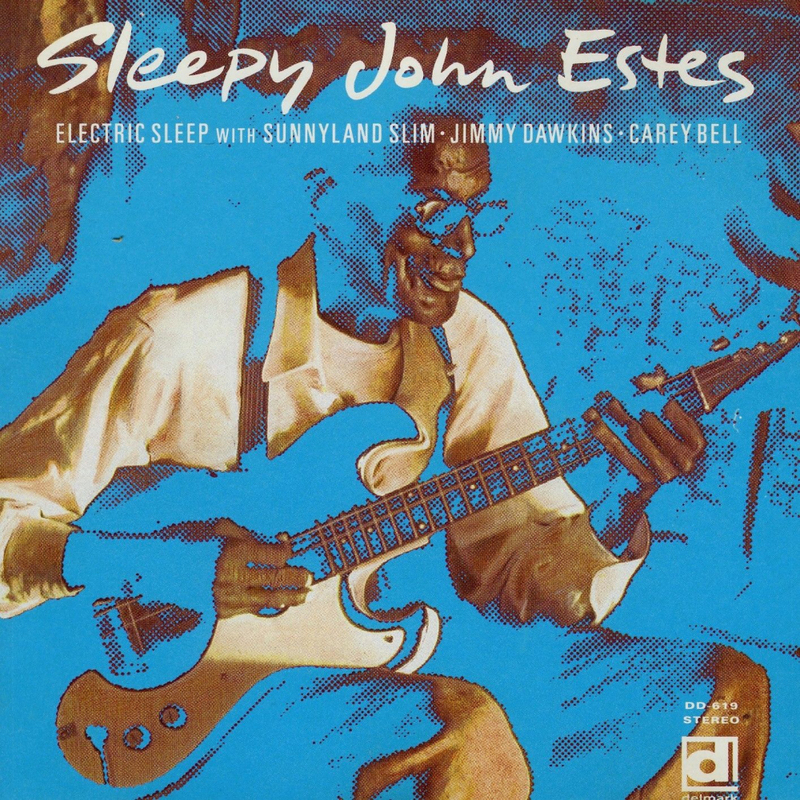 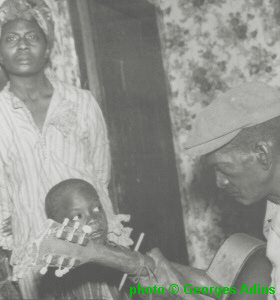 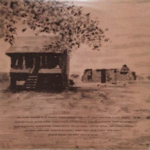 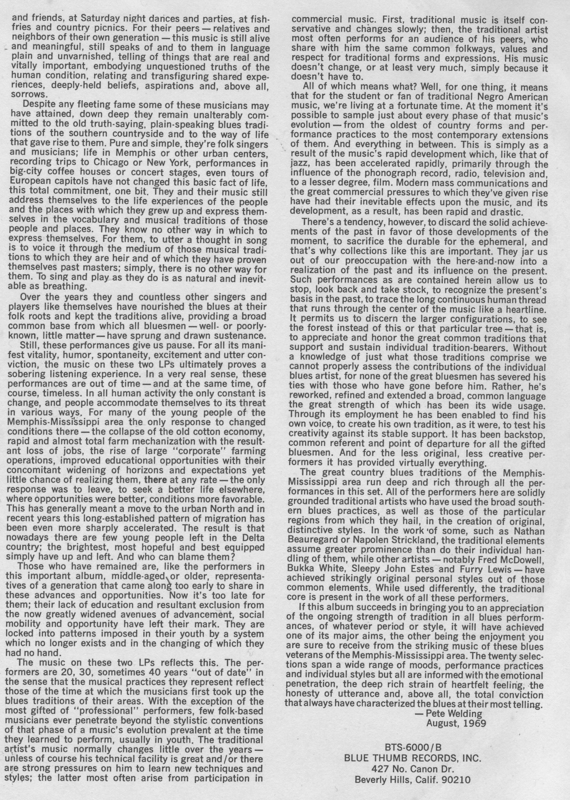 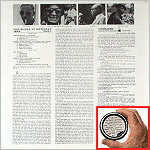 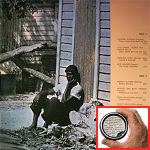 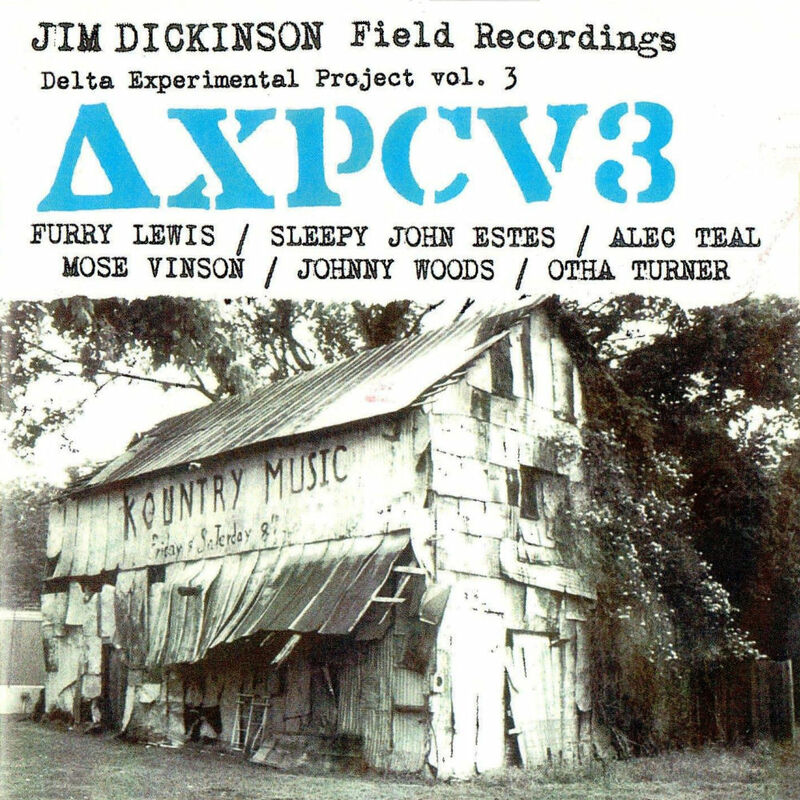 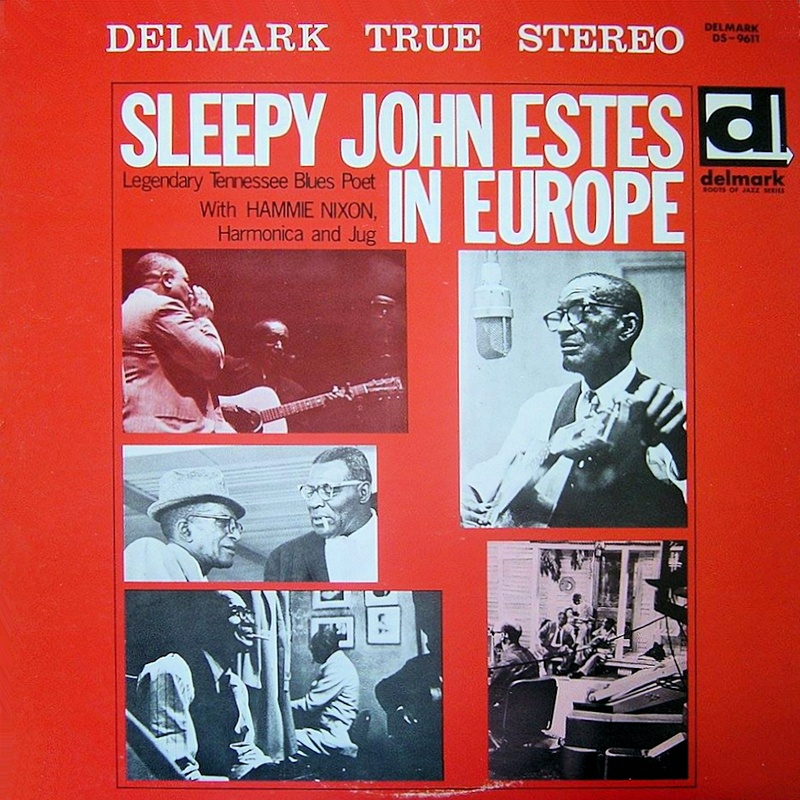 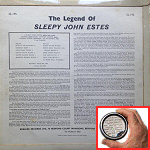 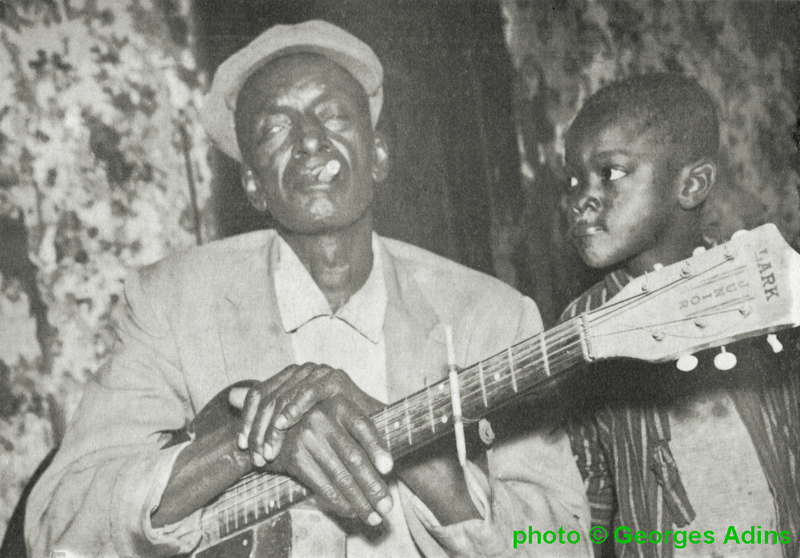 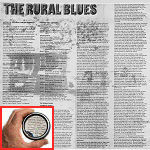 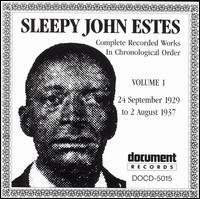 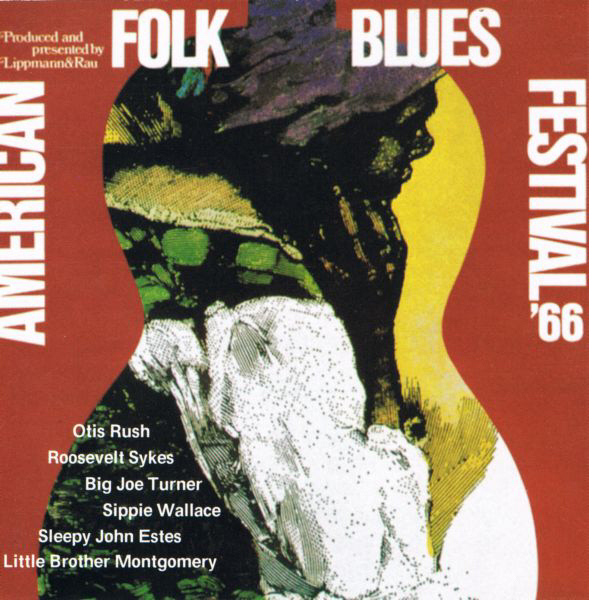 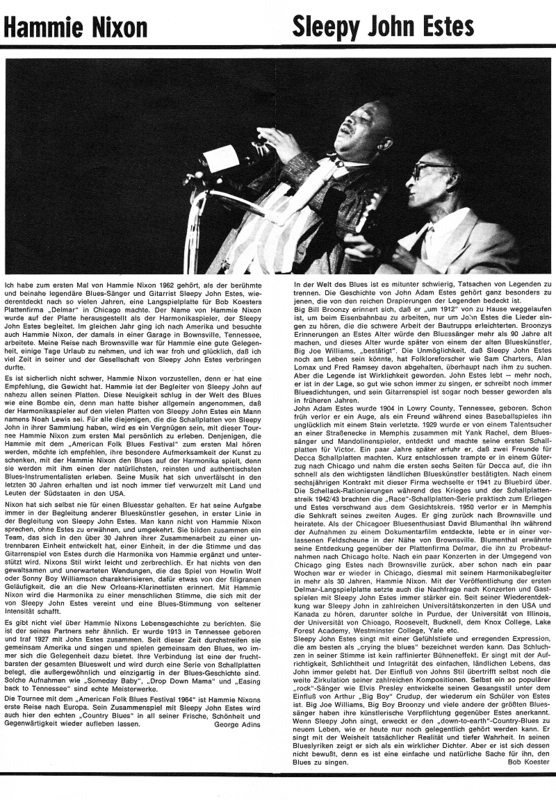 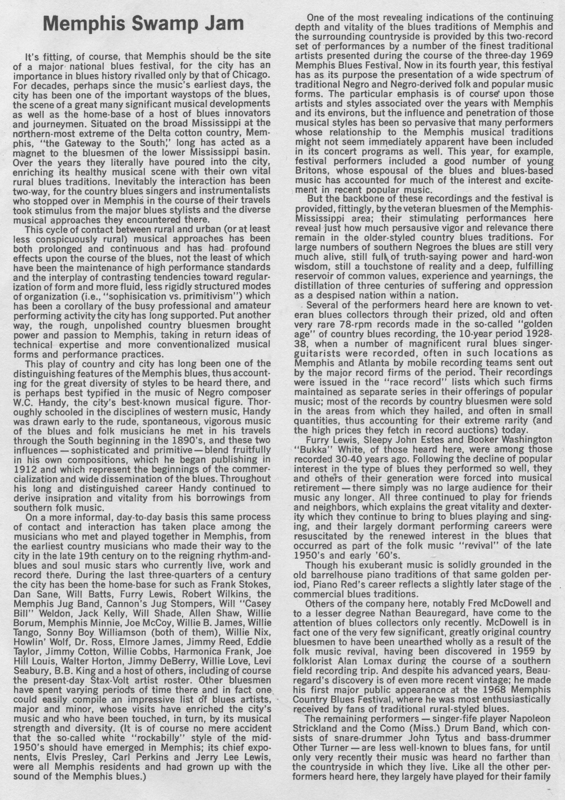 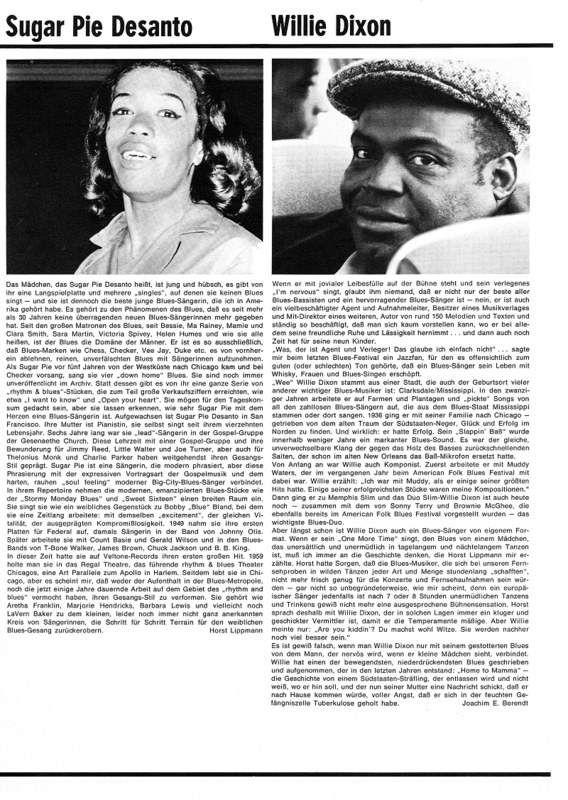 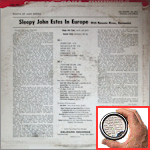 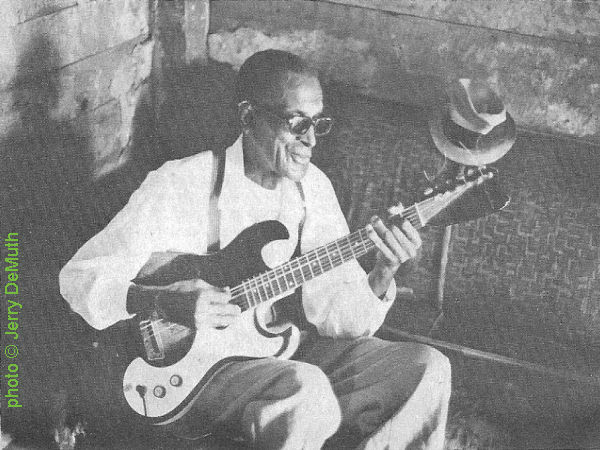 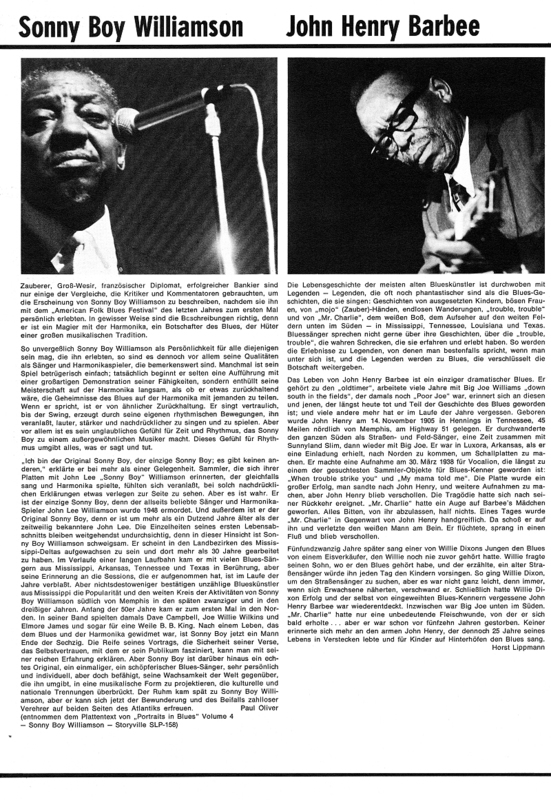 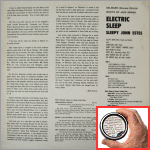 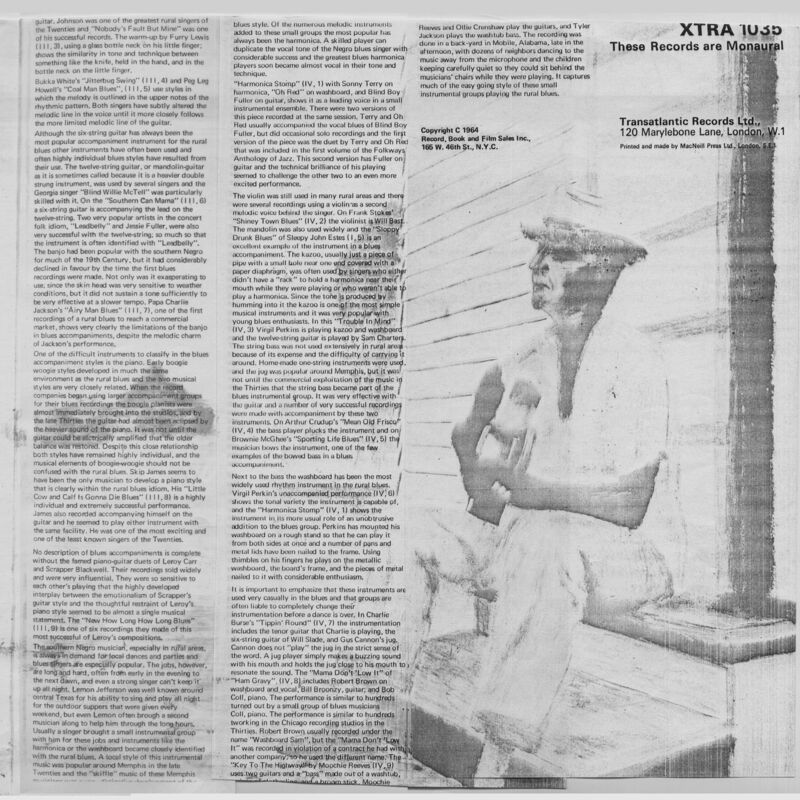 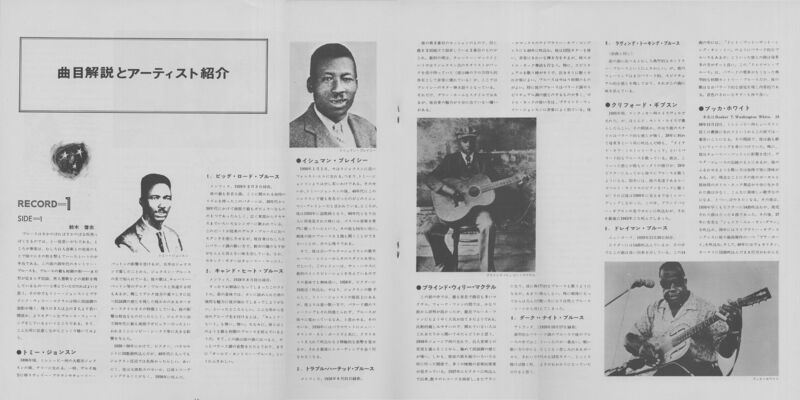 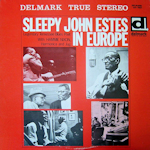 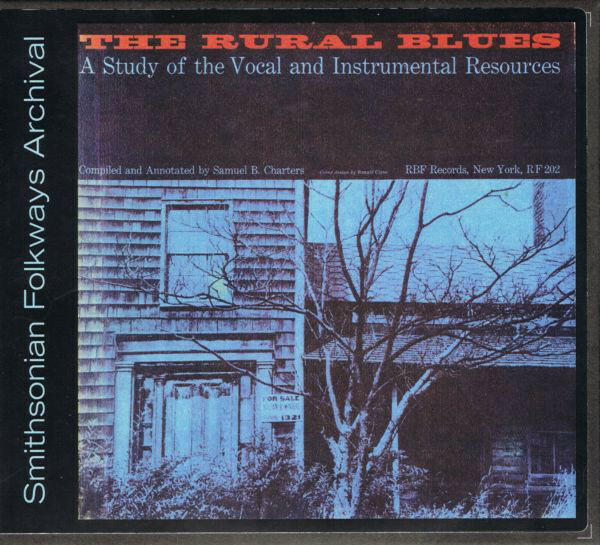 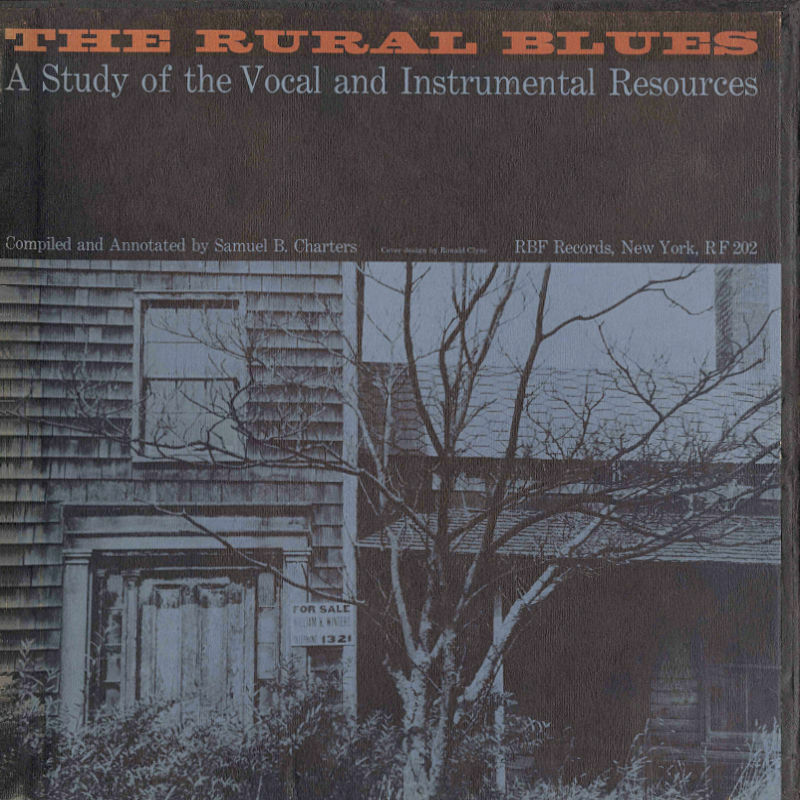 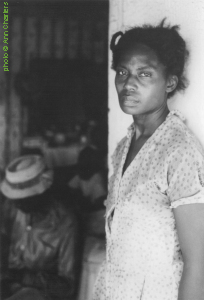 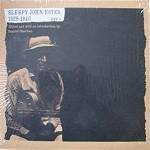 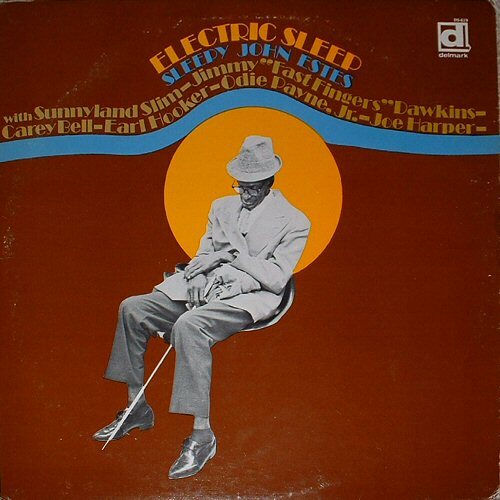 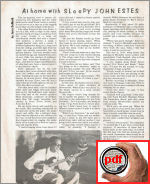 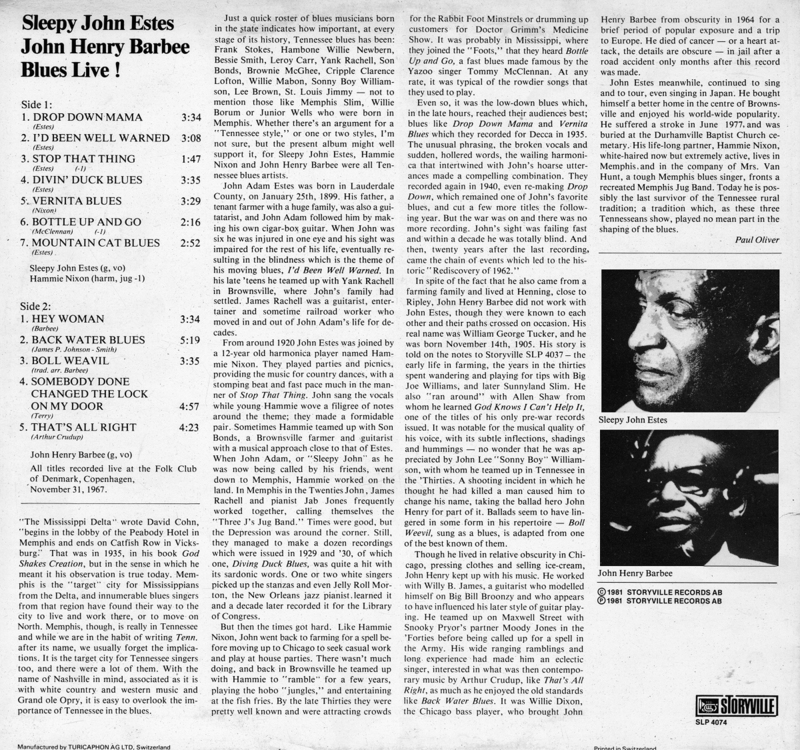 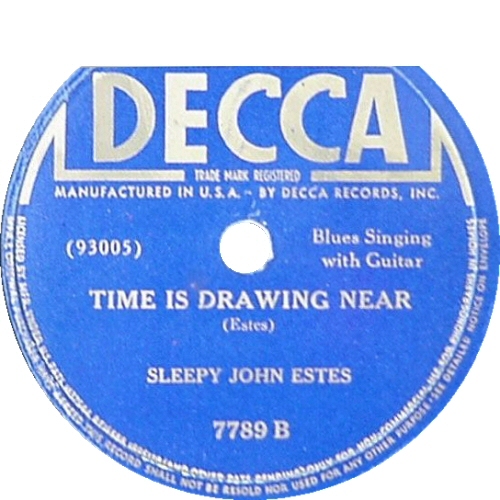 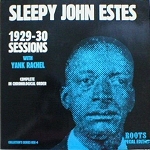 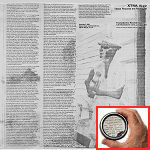 source: Photo (on p. 10) accompanying Jerry DeMuth's article "Sleepy John Estes - Legend In A Shack"